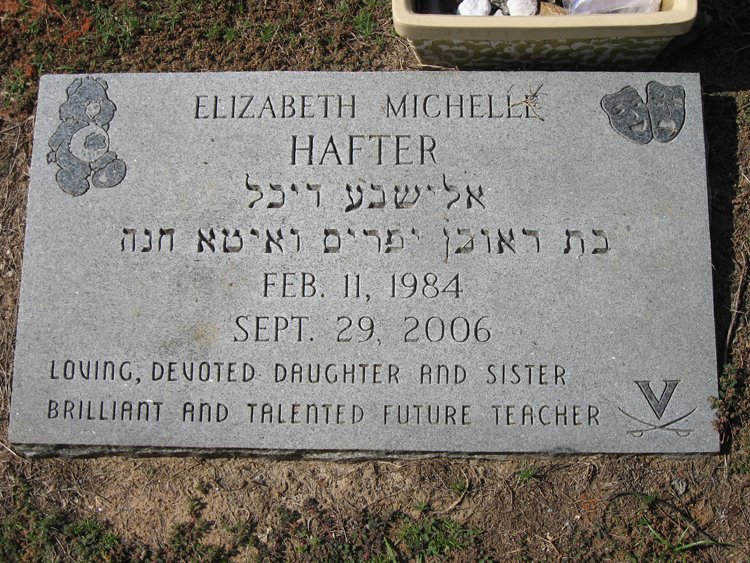 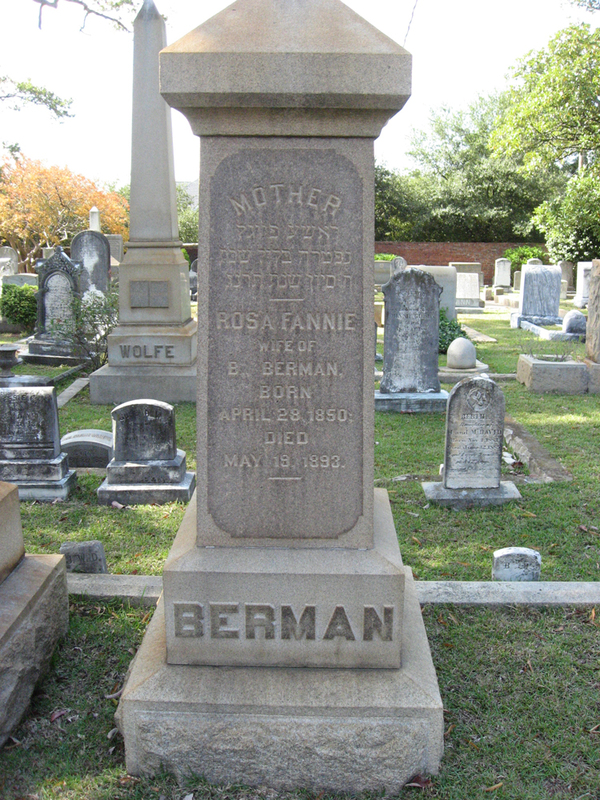 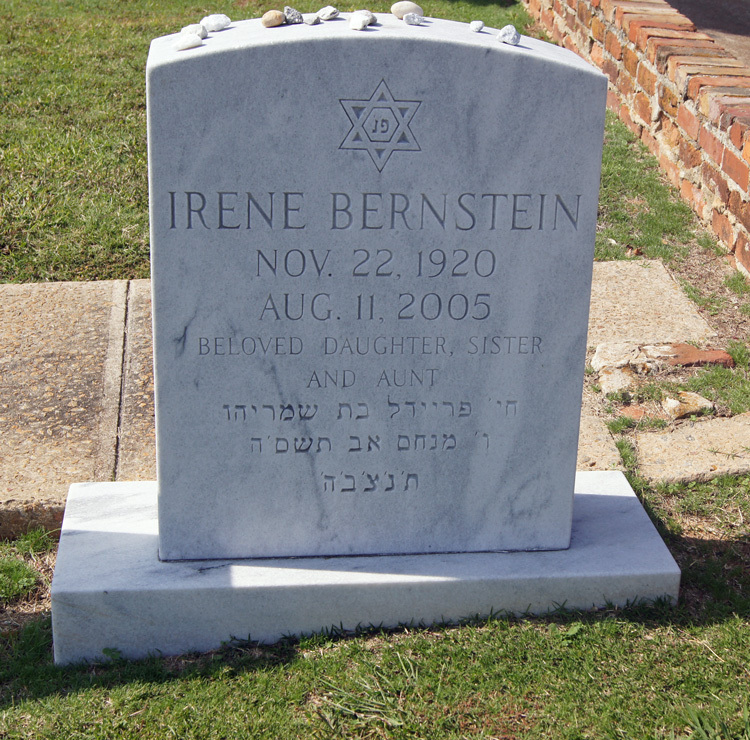 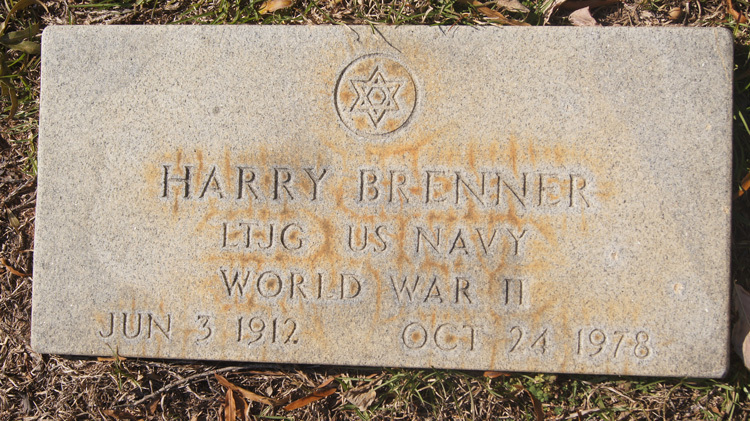 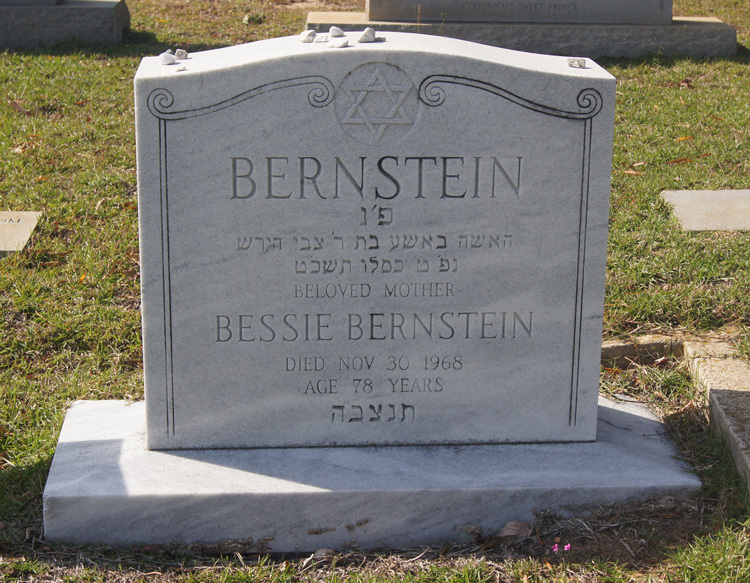 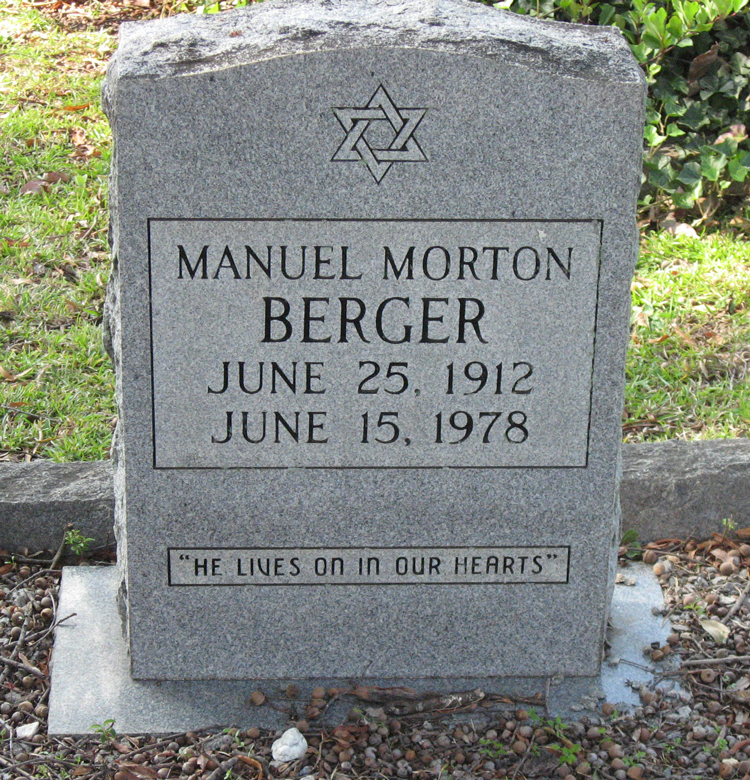 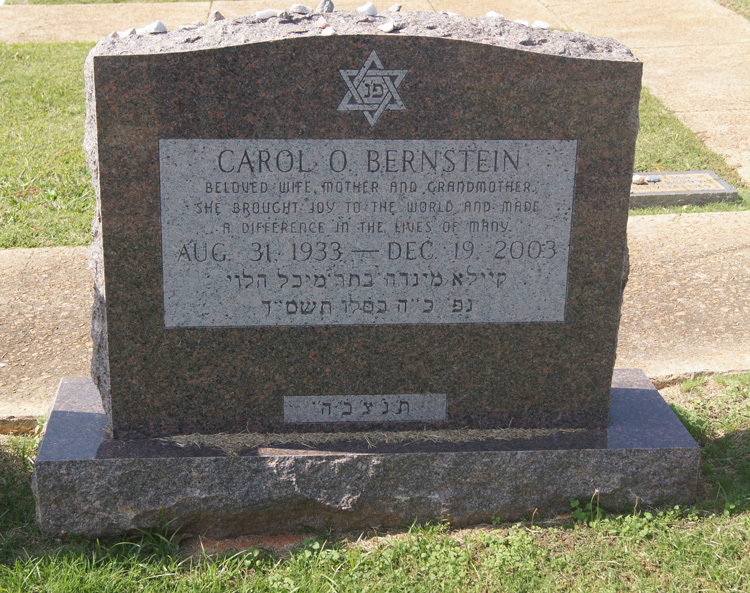 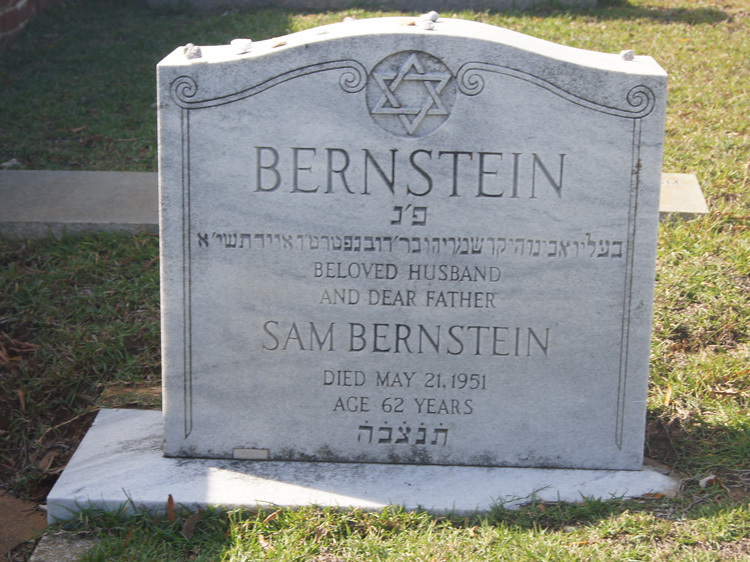 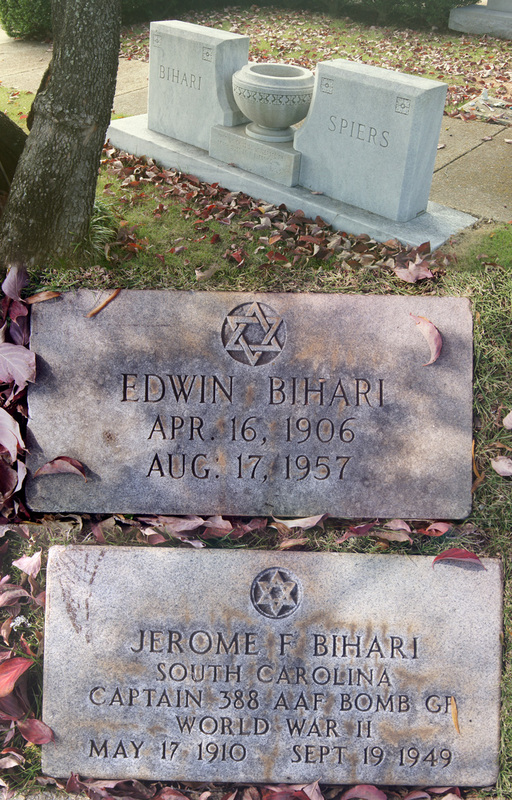 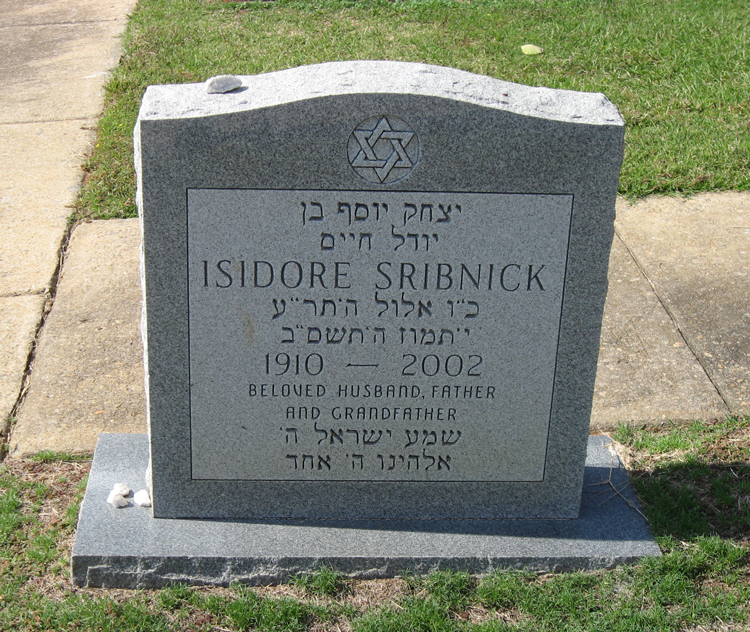 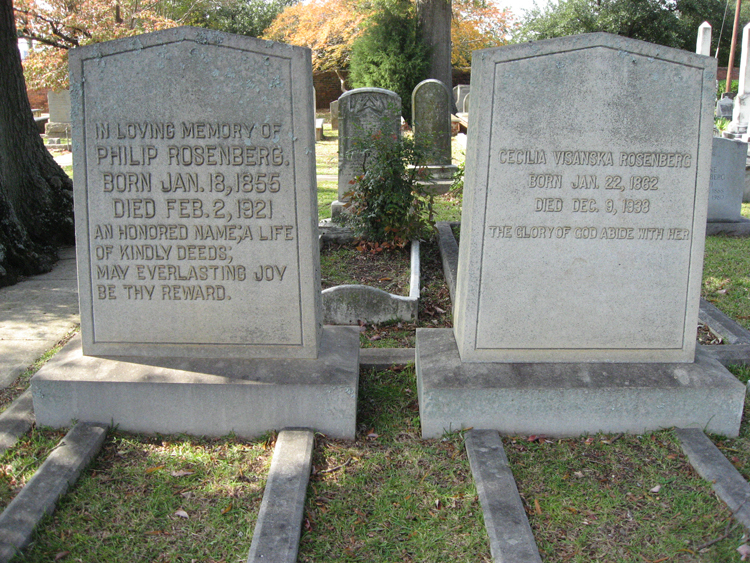 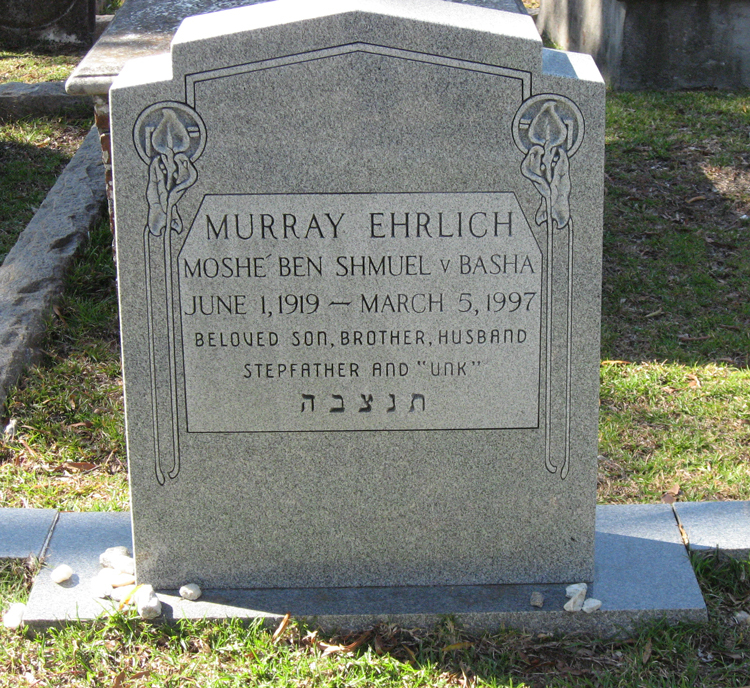 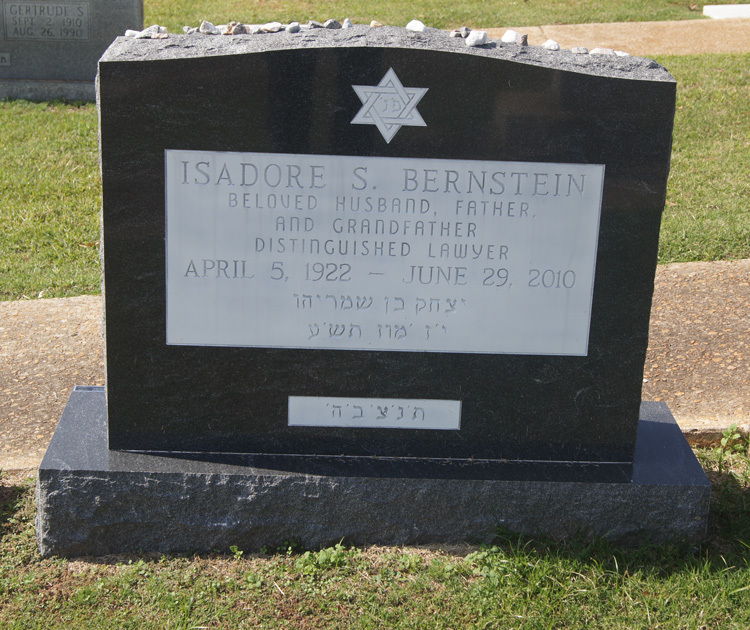 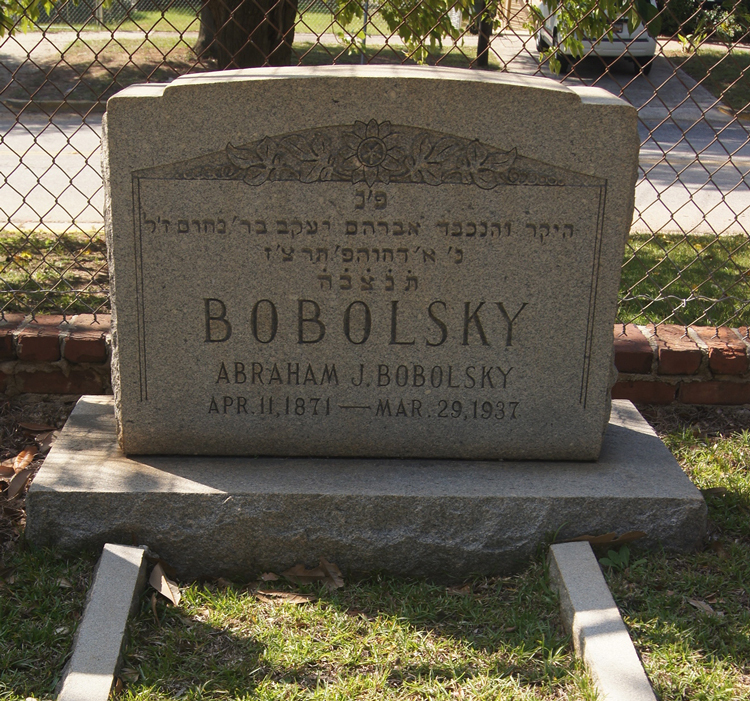 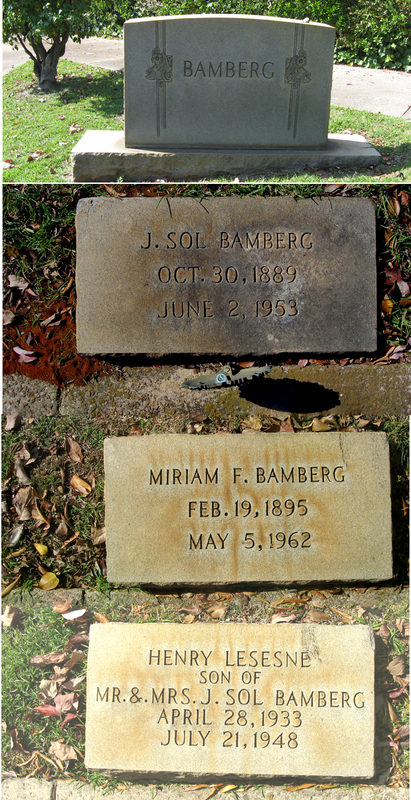 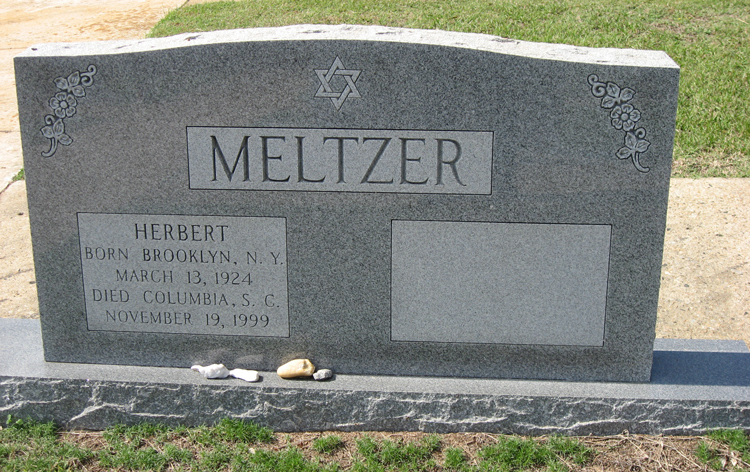 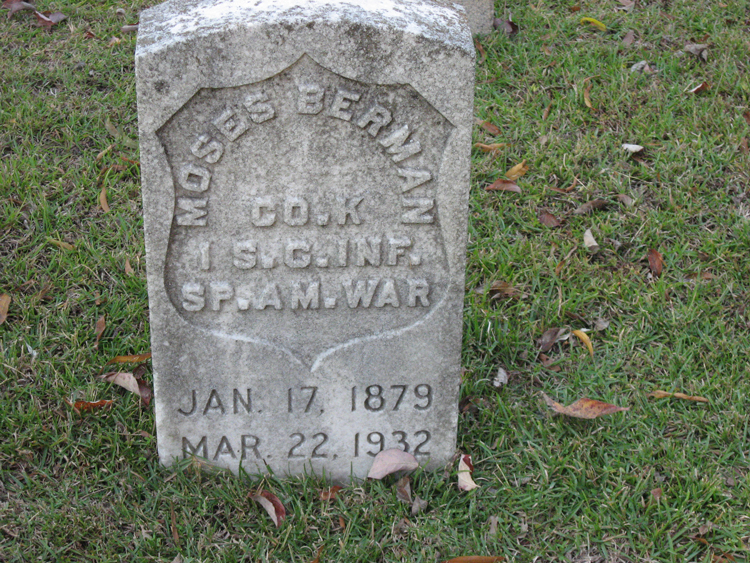 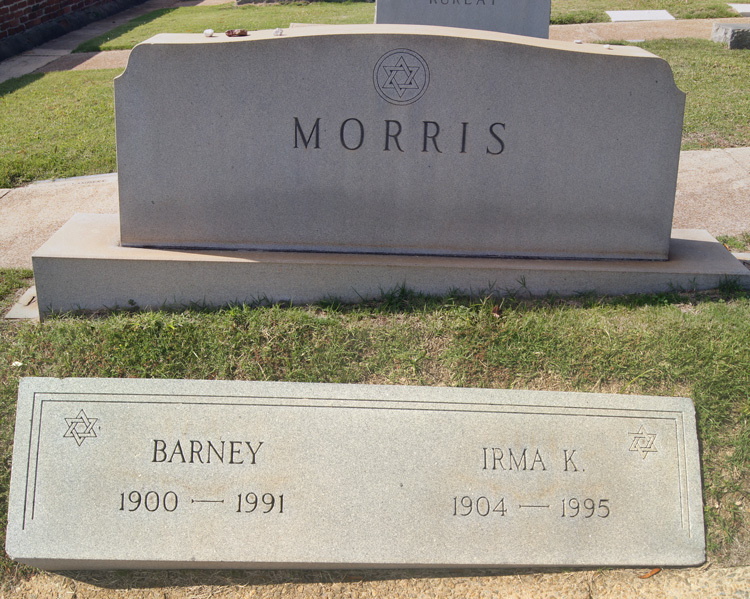 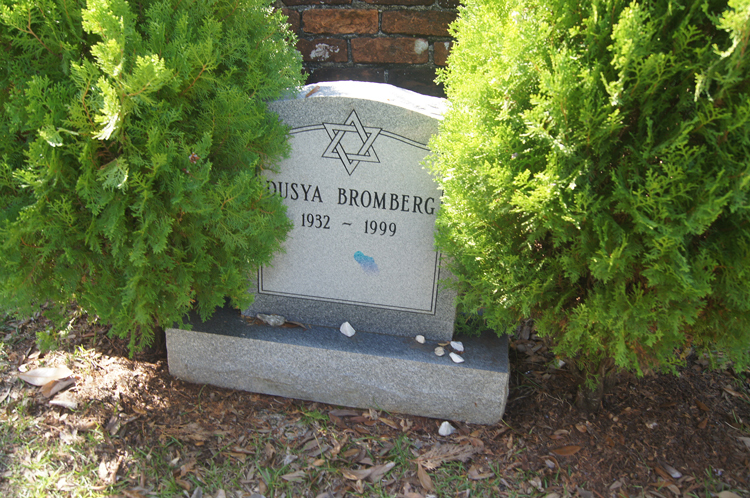 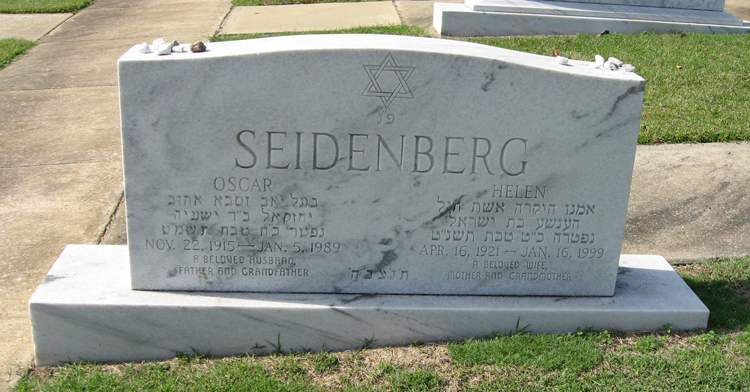 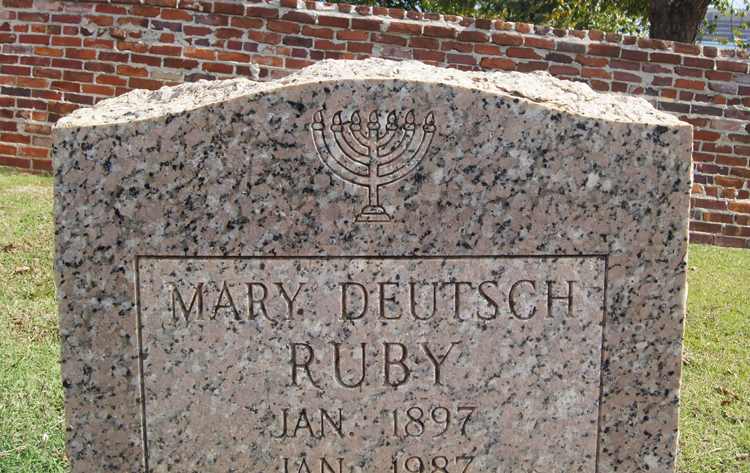 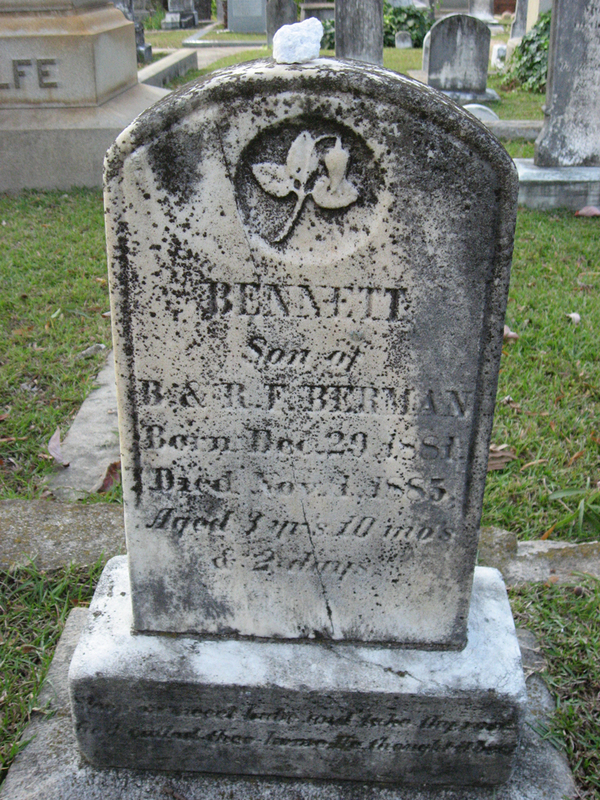 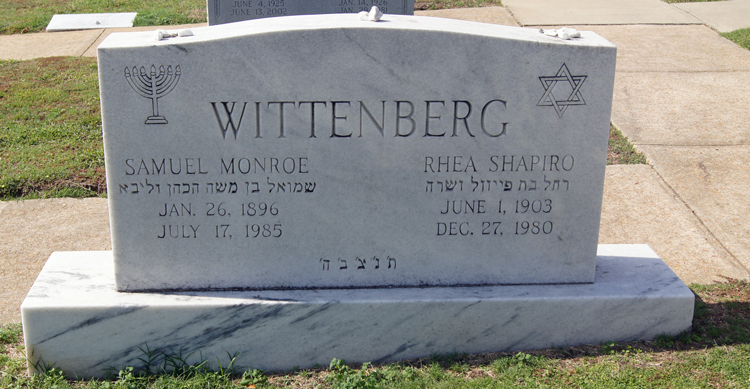 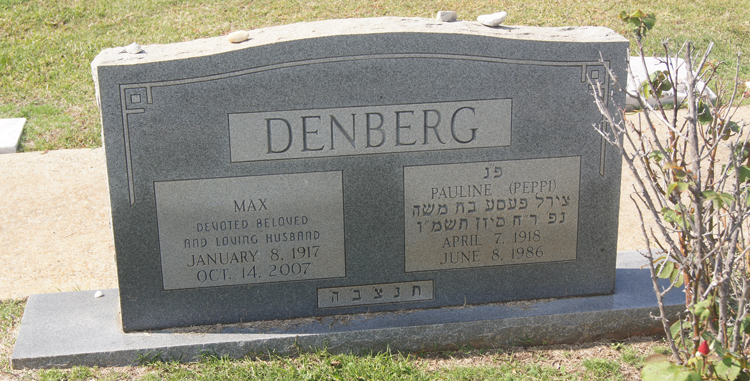 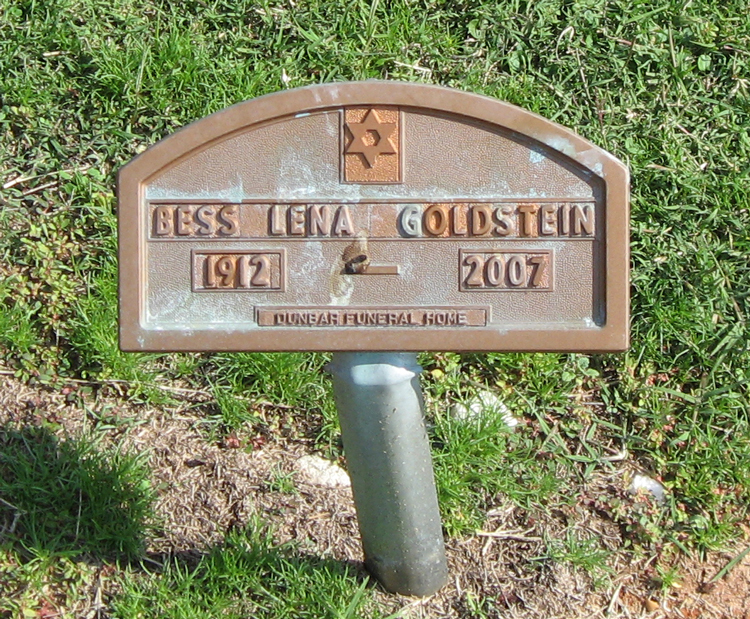 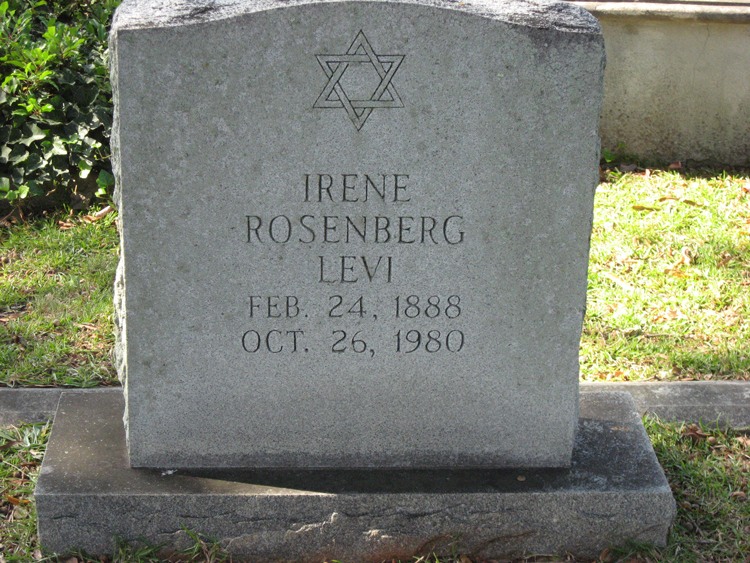 22-1 BAMBERG Henry Lesesne 28-Apr-1933 Myrtle Beach, SC USA 22-Jul-1948 BAMBERG J. Sol Miriam F.
19C-5 BERMAN Barnett Poland 12-Feb-1850 Columbia, SC USA 26-Jan-1922 Rosa Fannie BERMAN David S.
43-6 BIRCH Jeanette W. 01-May-1907 29-Jul-1995 Louis BIRCH, M.D. 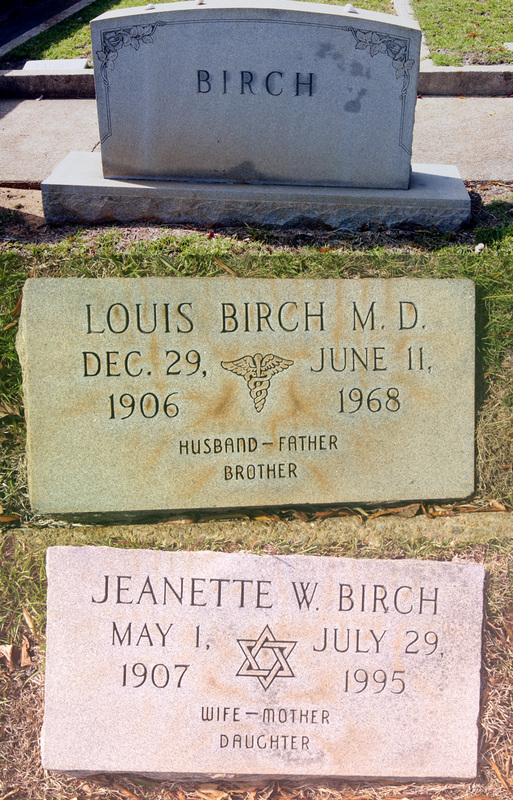 43-4 BIRCH Louis, M.D. 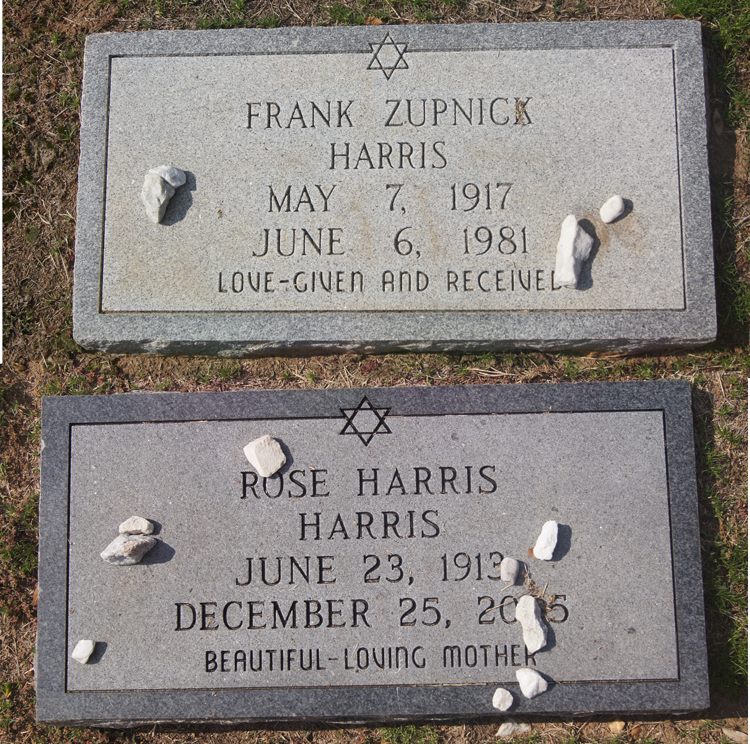 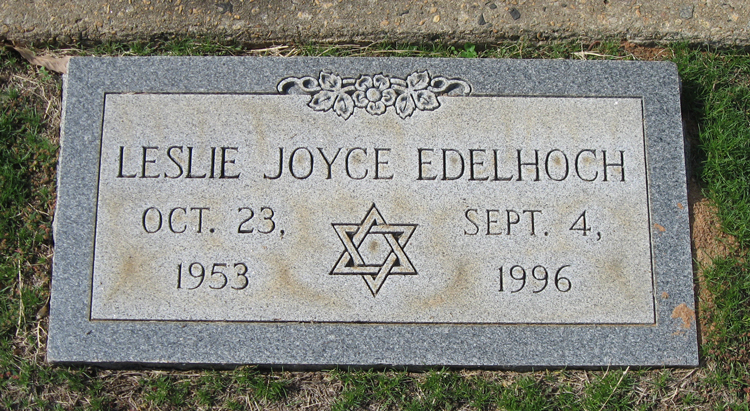 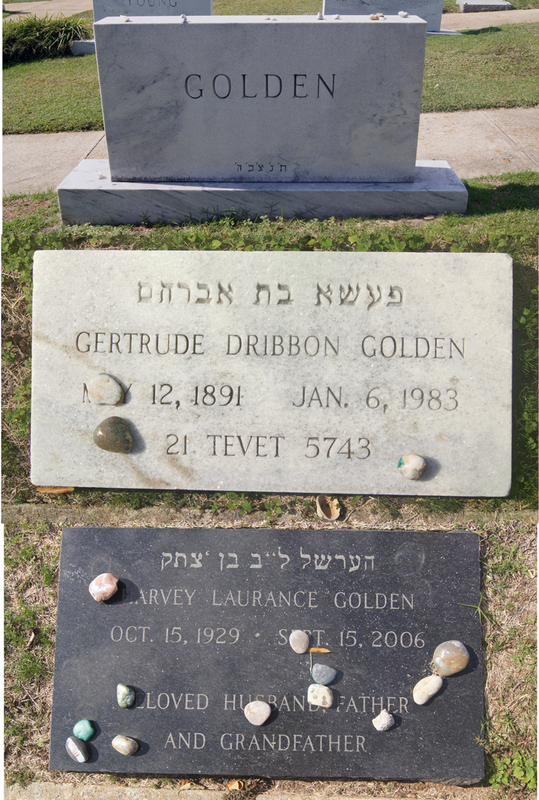 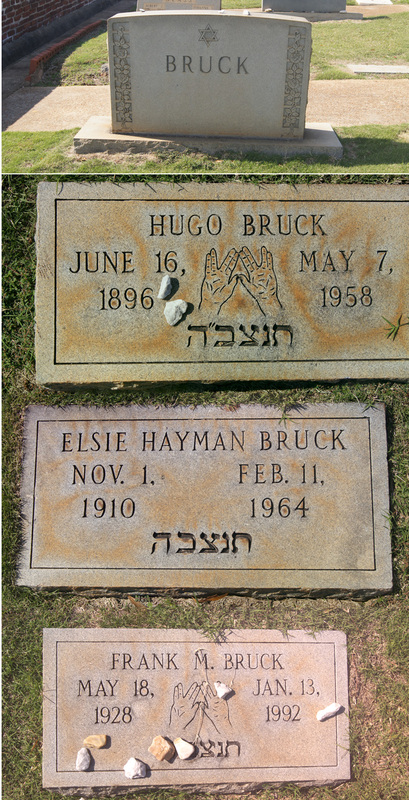 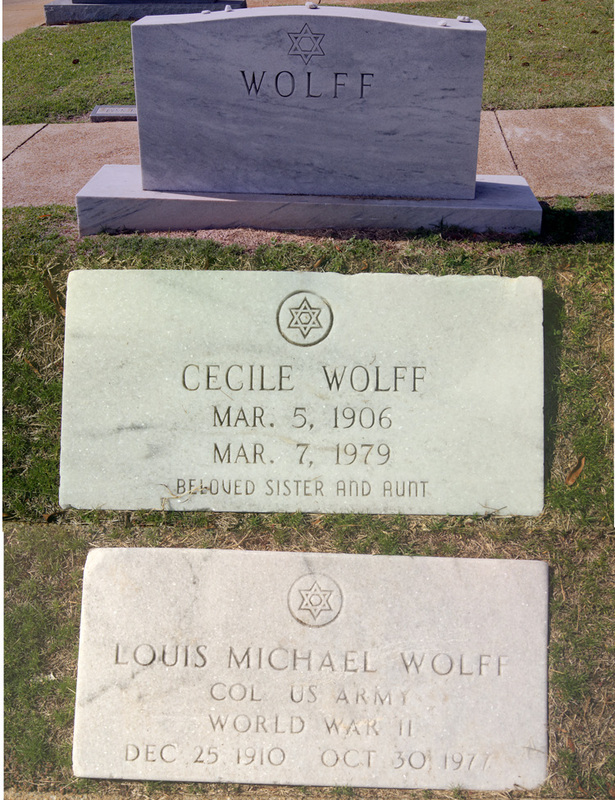 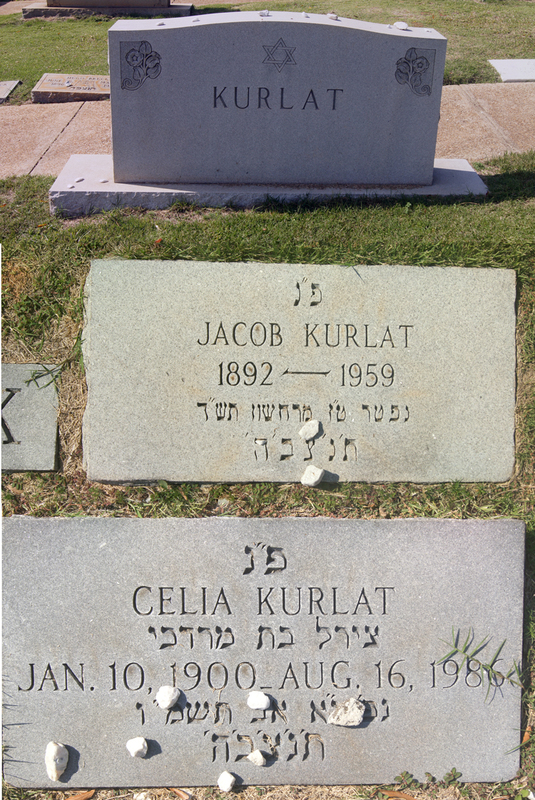 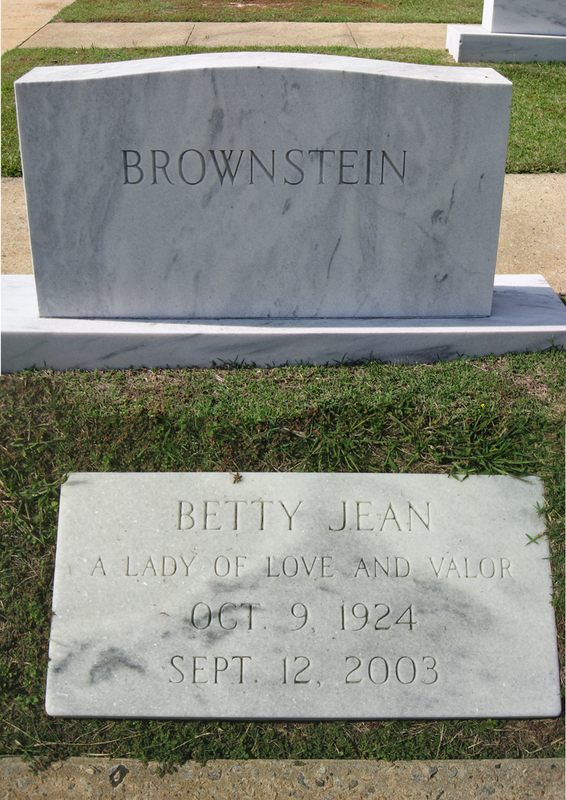 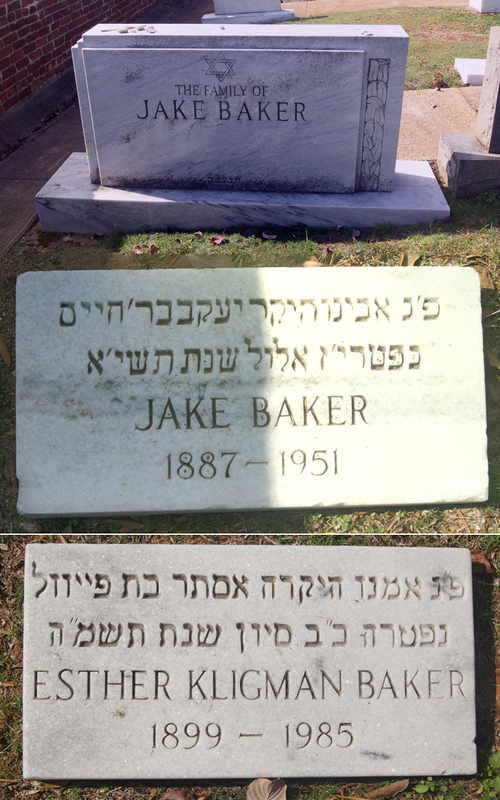 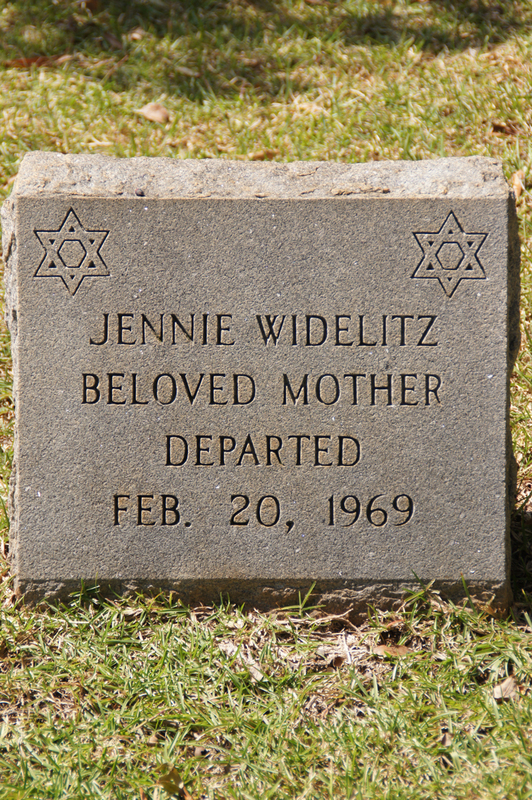 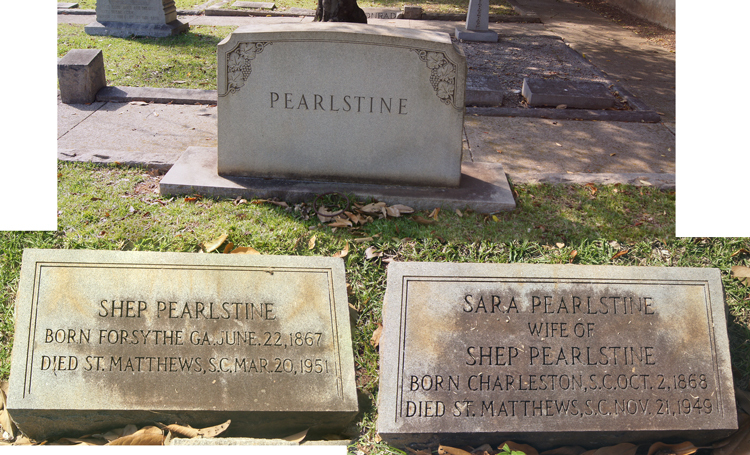 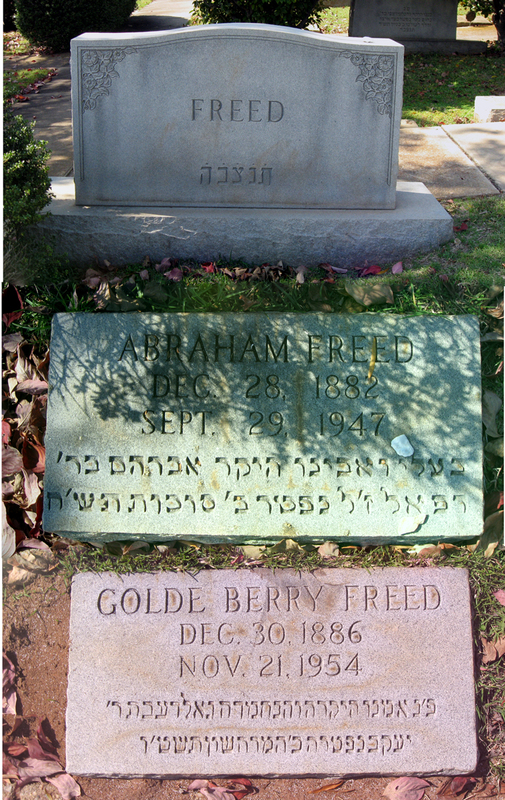 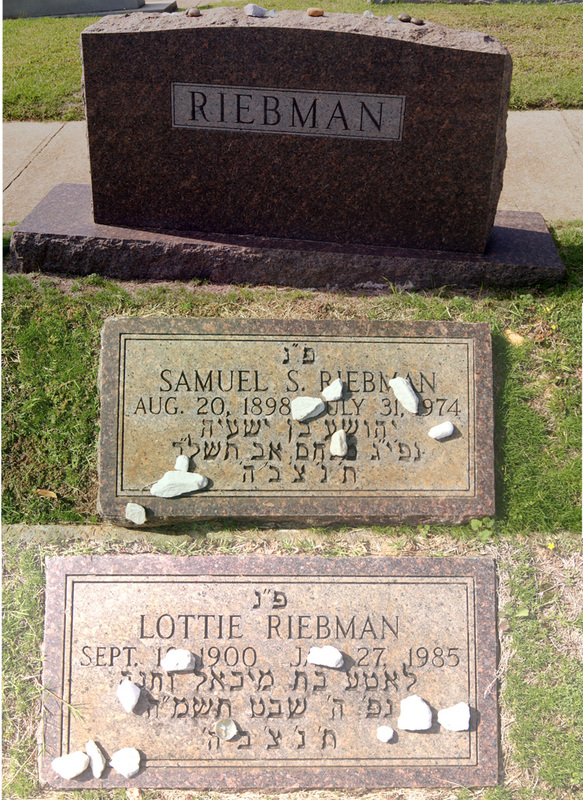 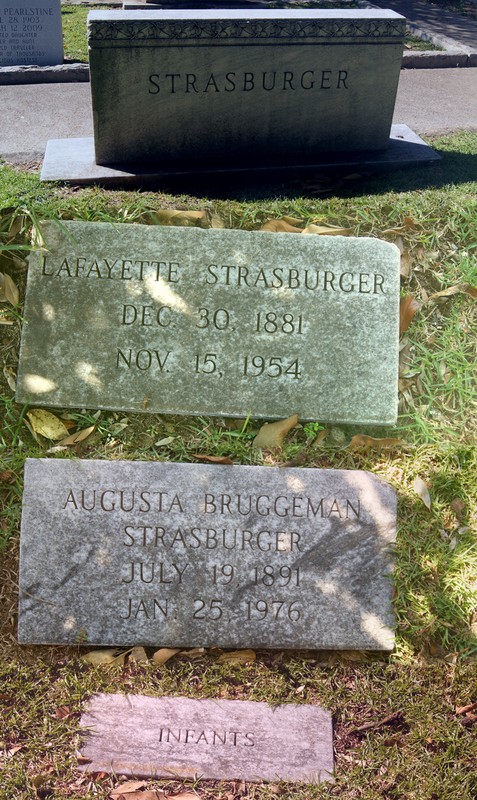 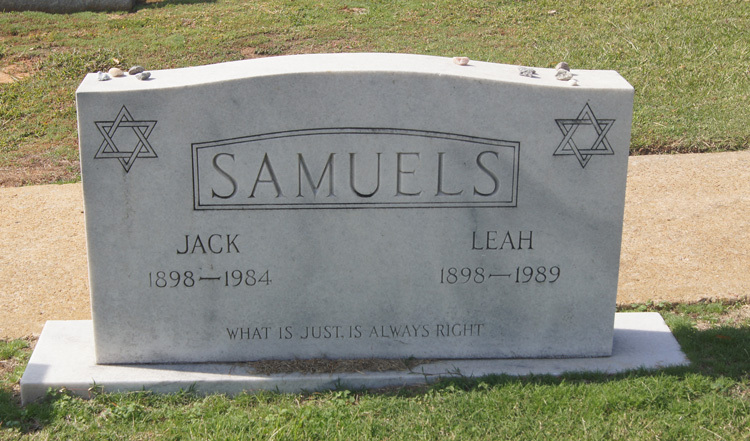 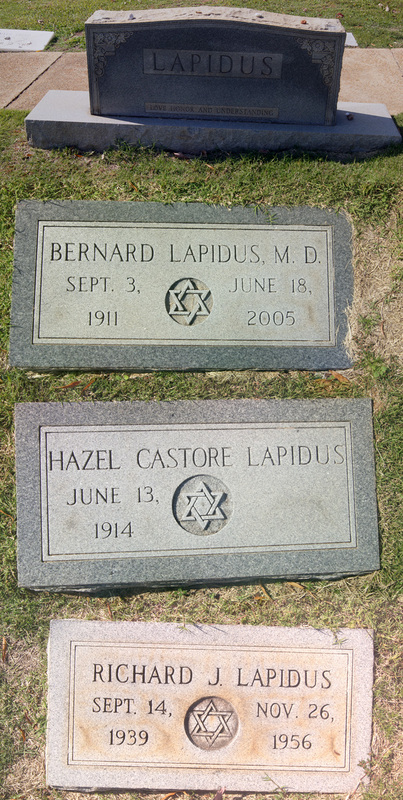 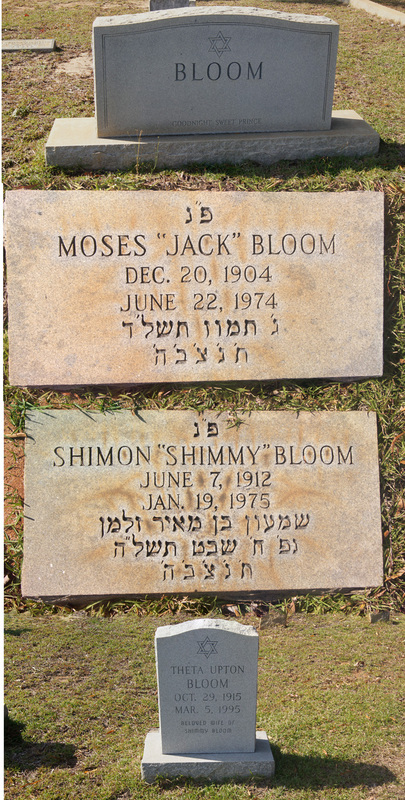 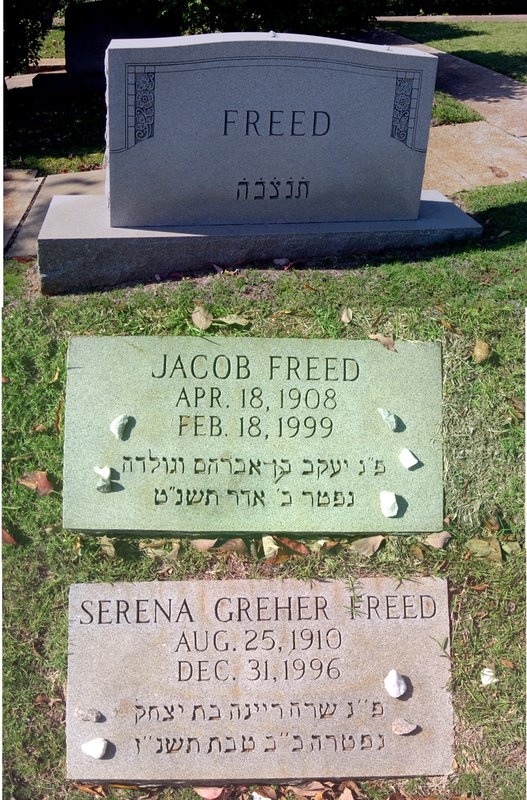 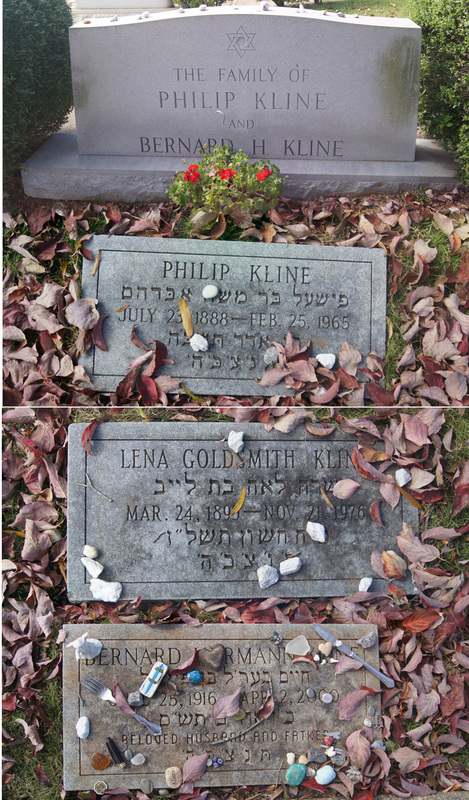 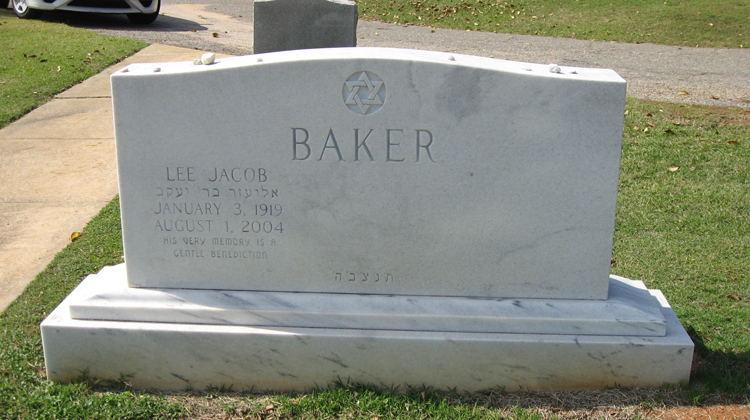 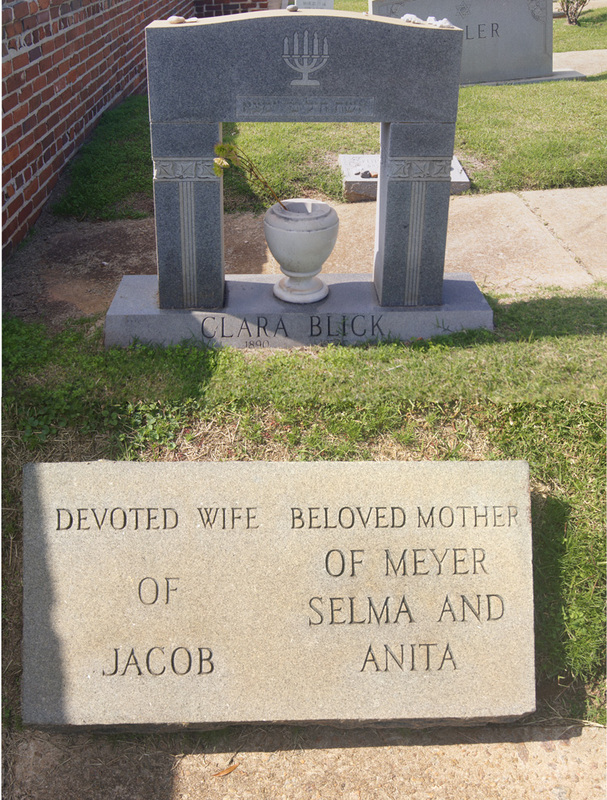 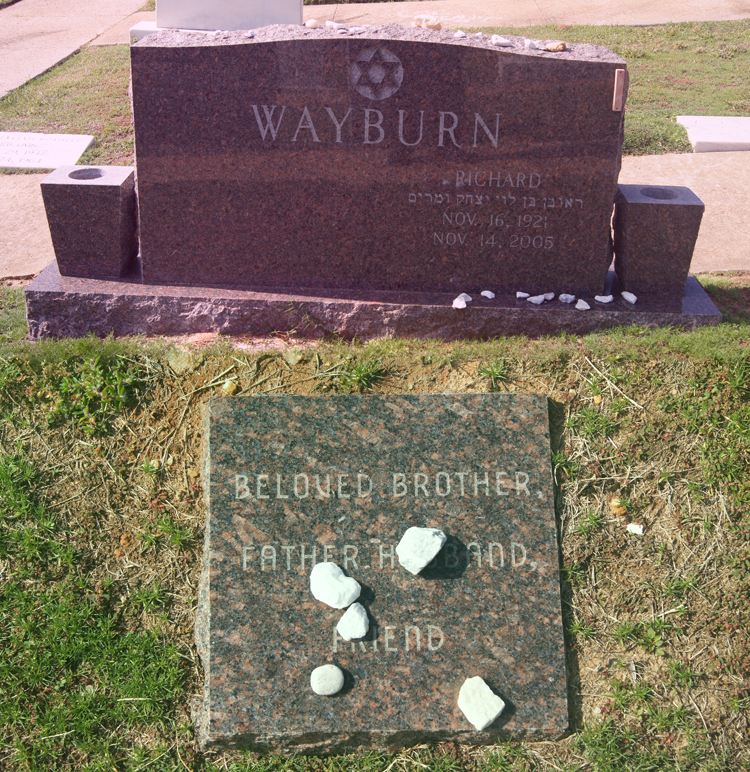 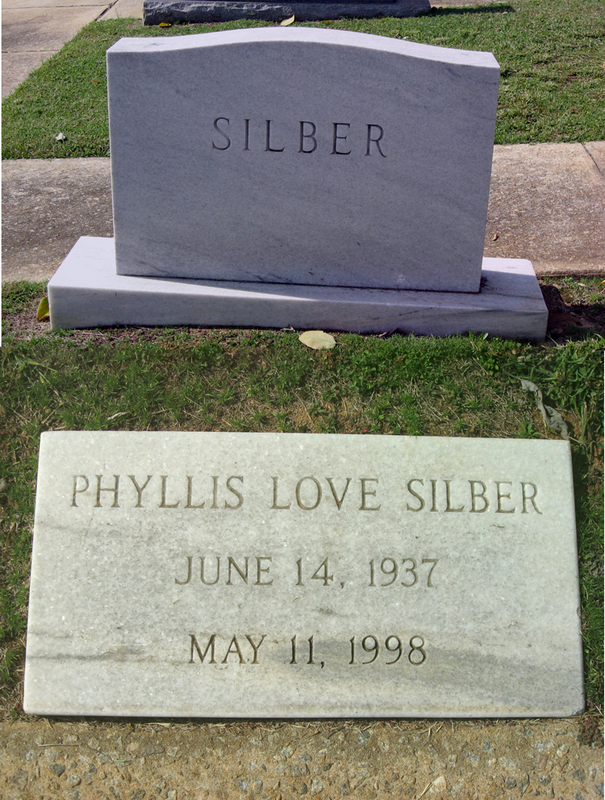 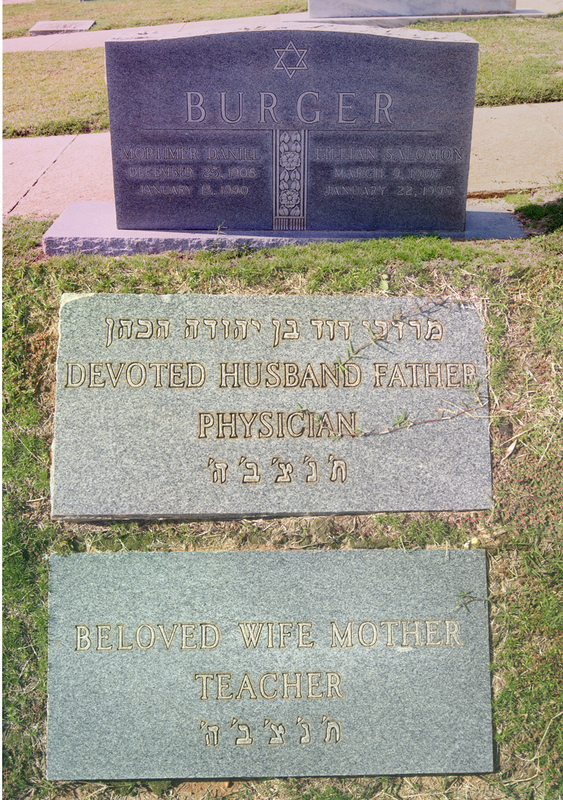 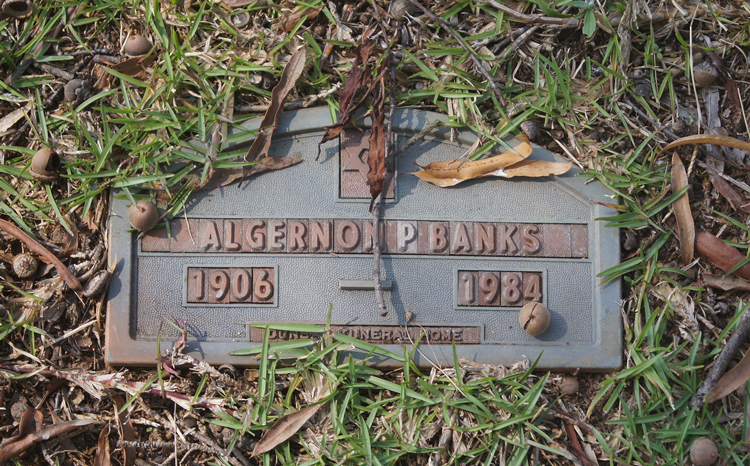 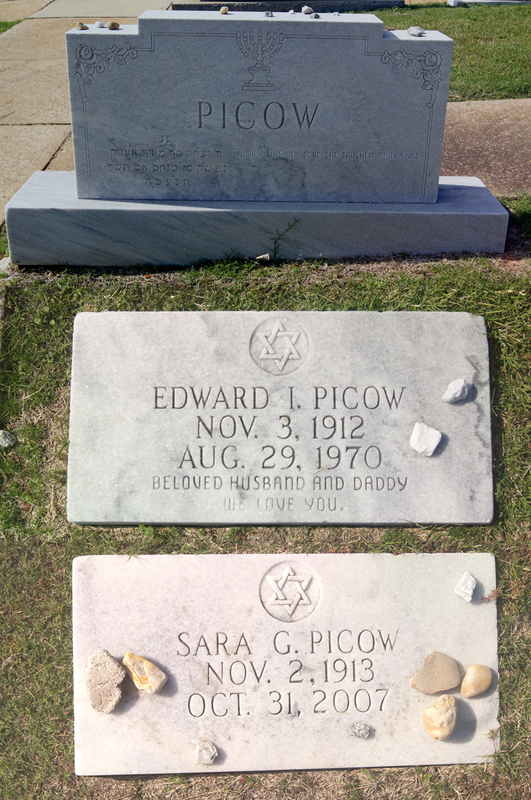 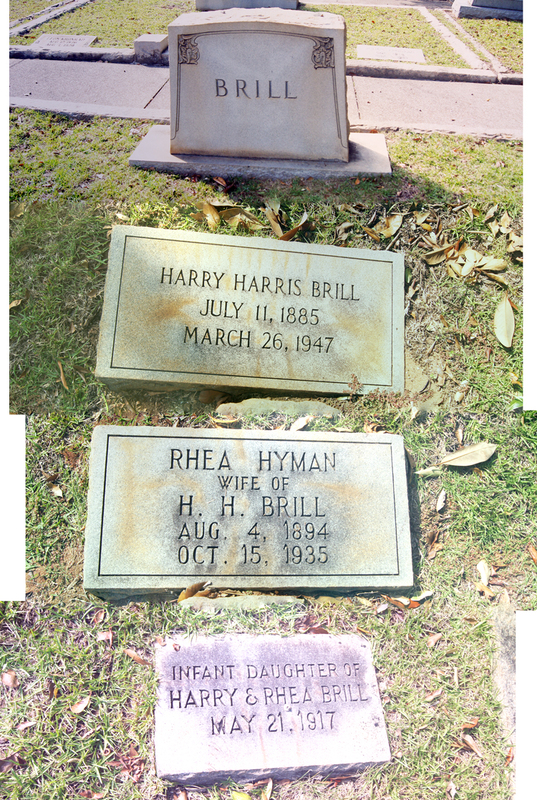 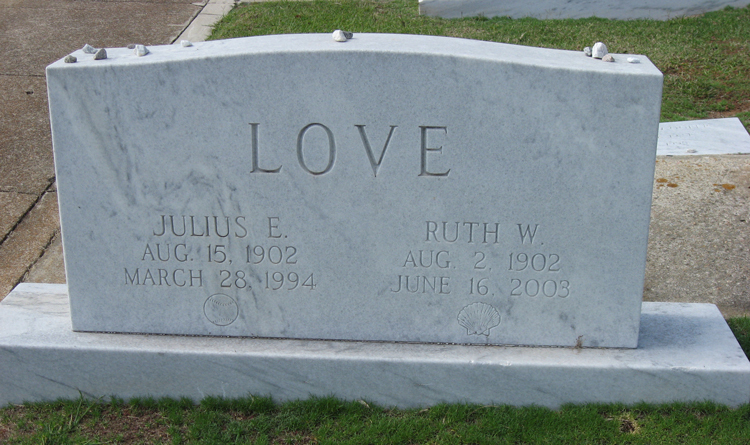 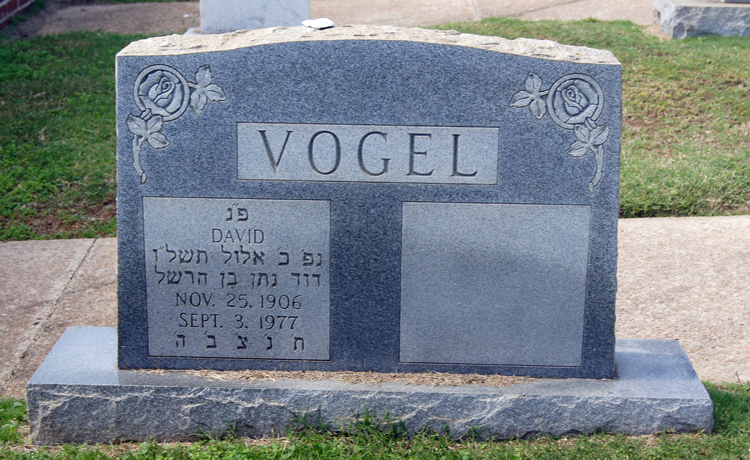 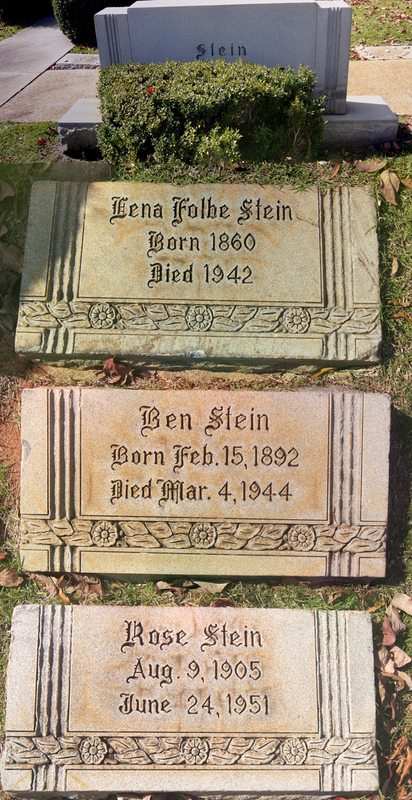 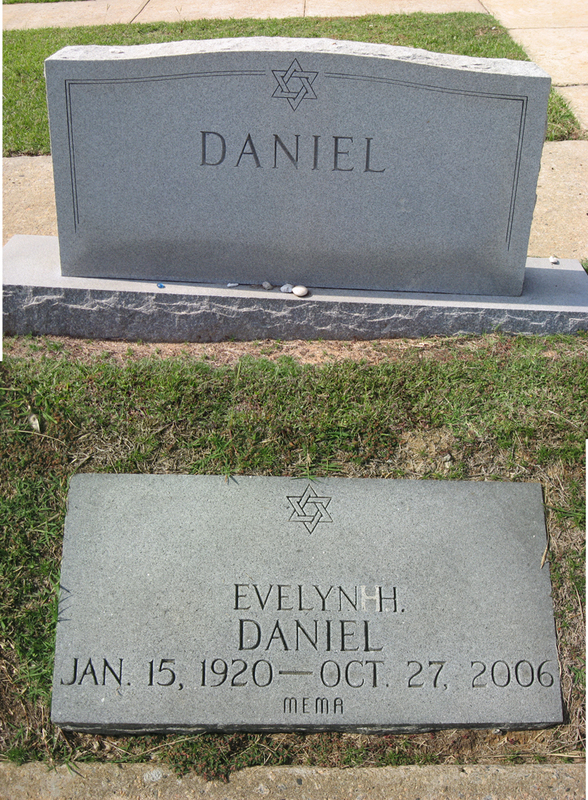 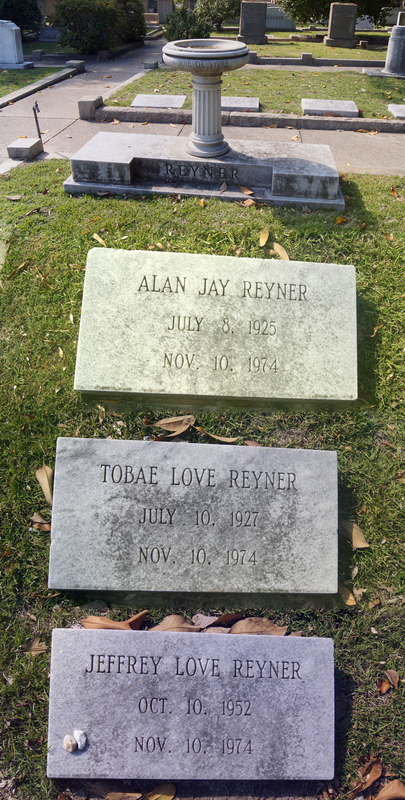 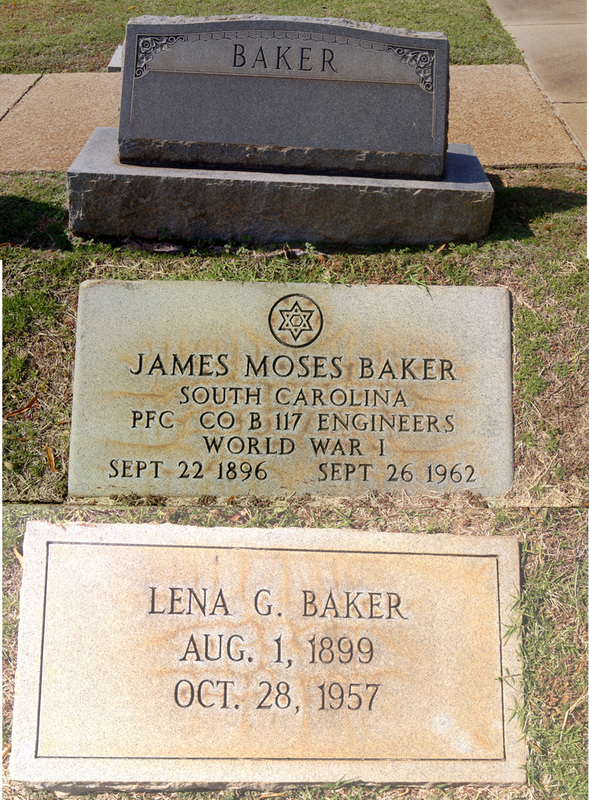 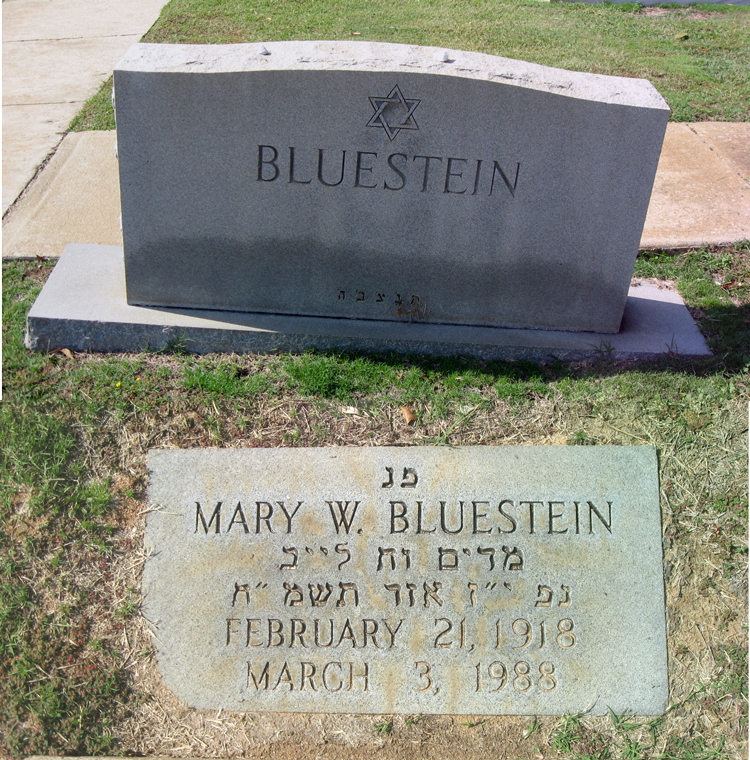 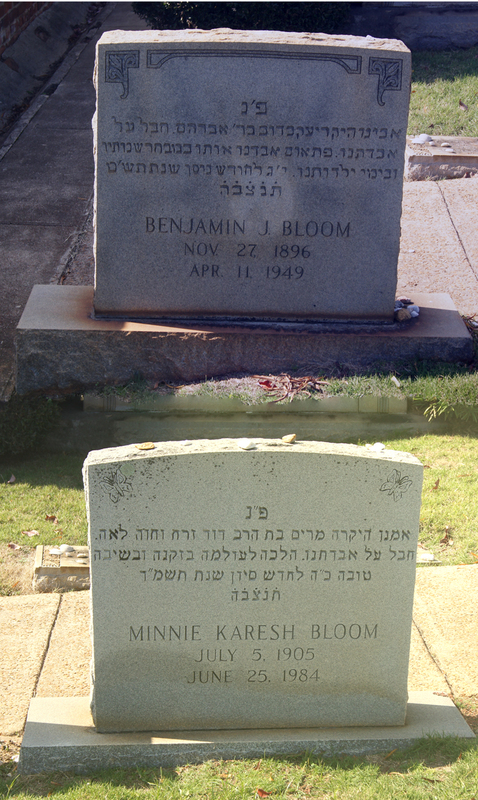 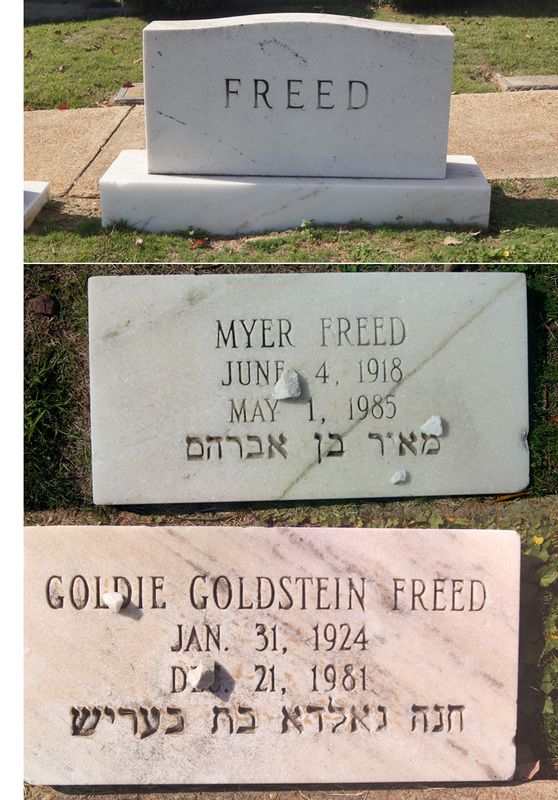 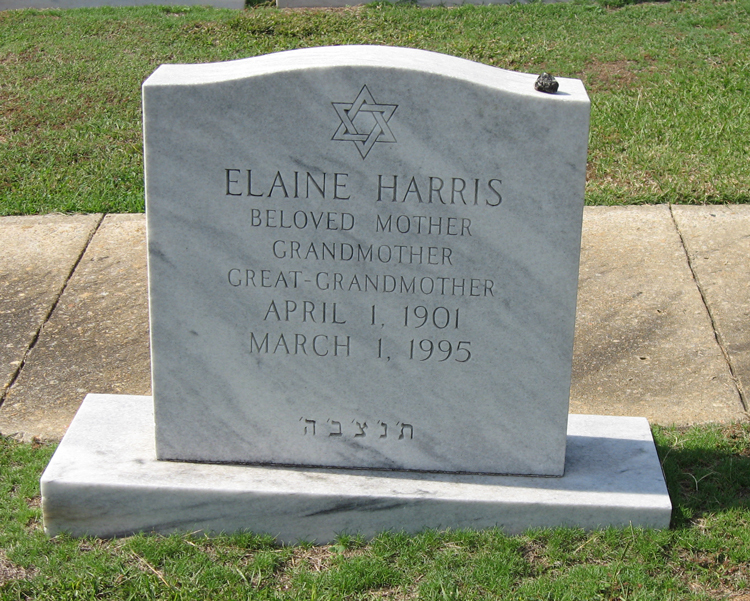 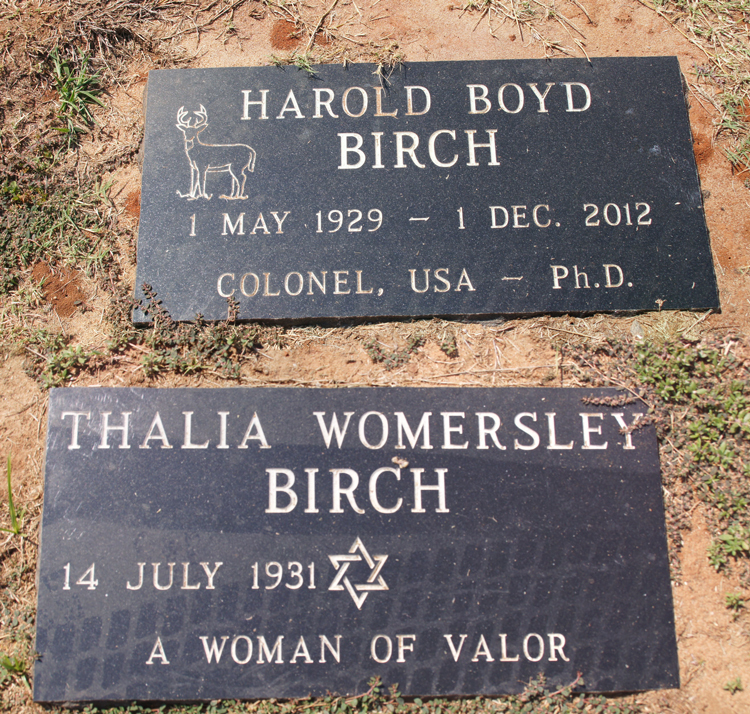 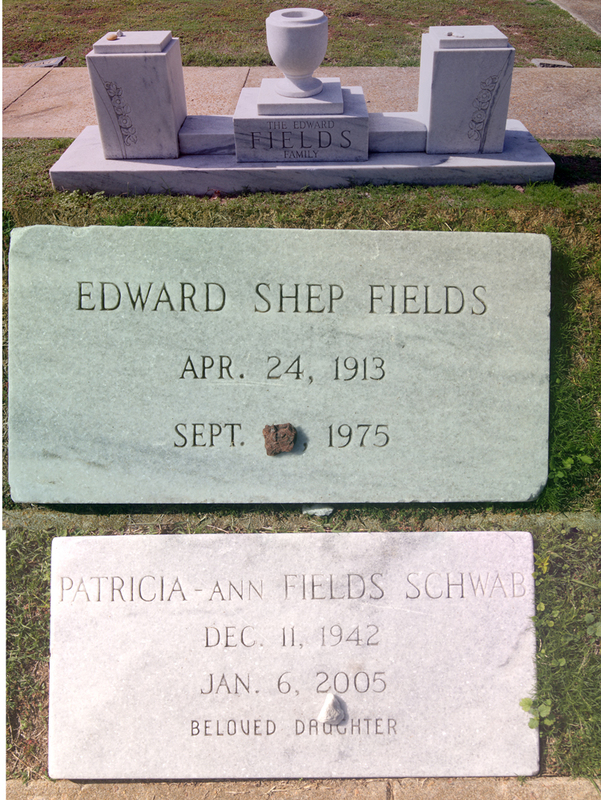 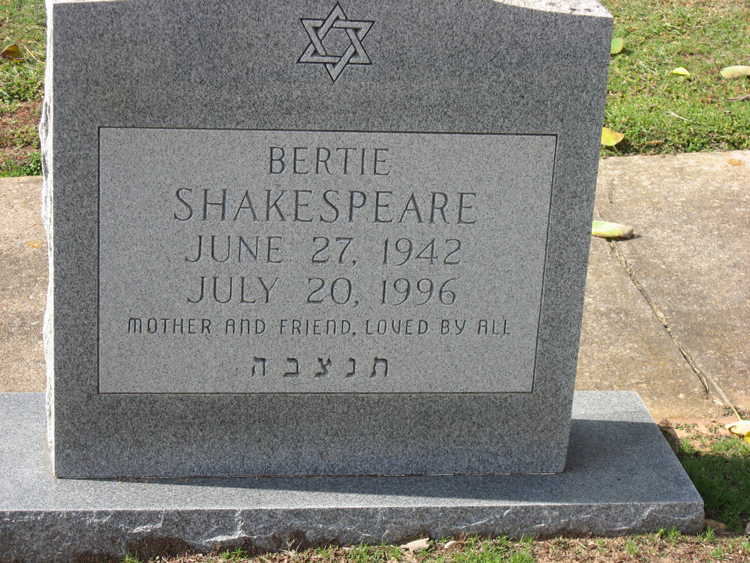 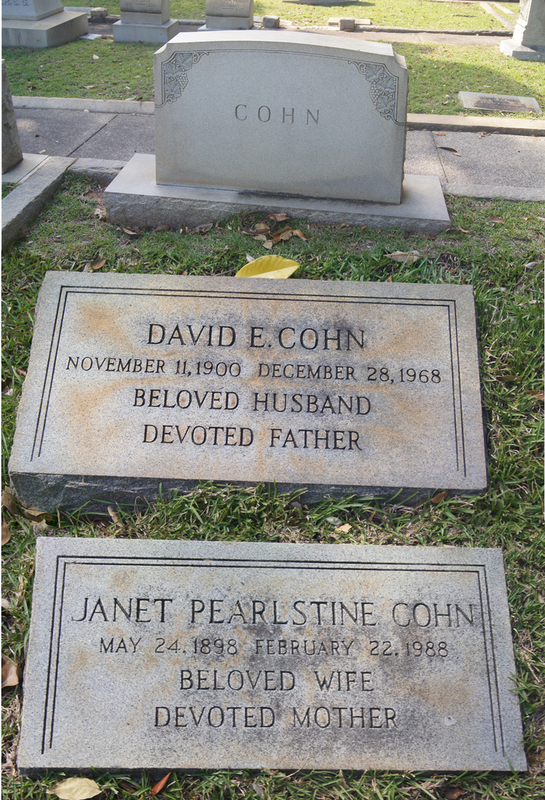 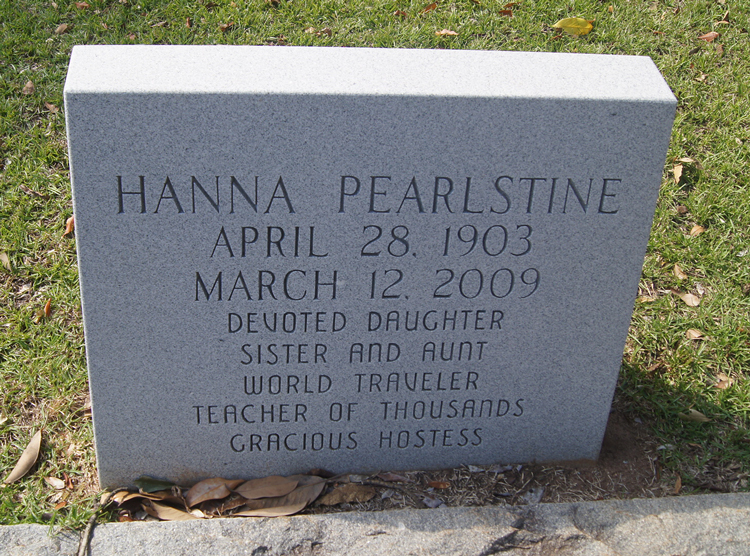 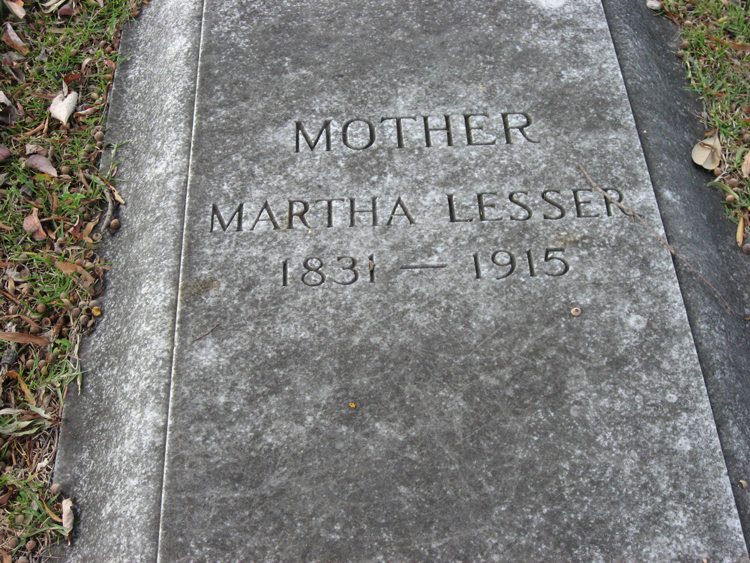 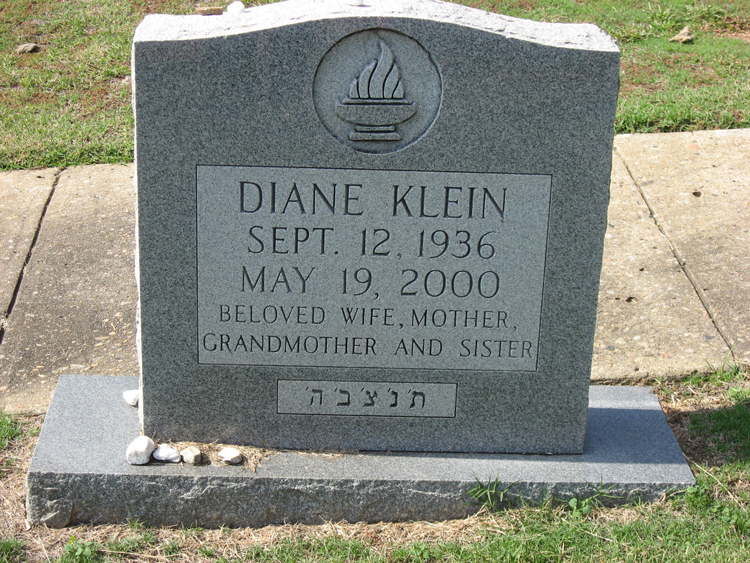 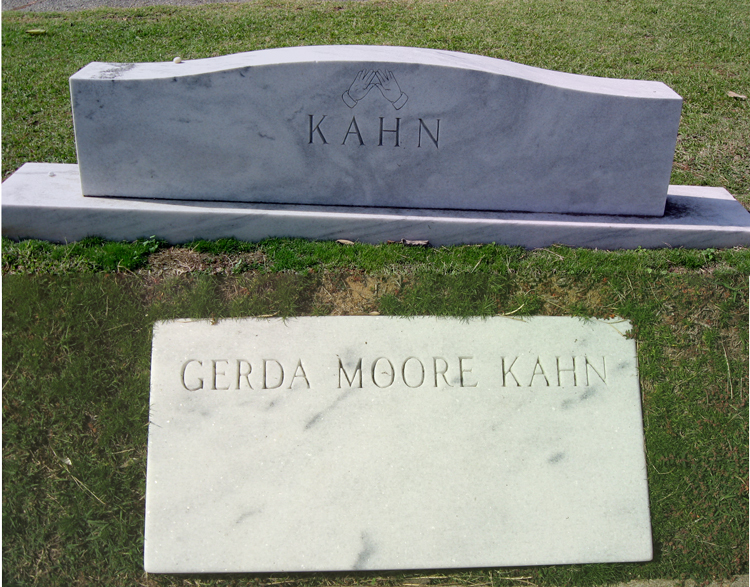 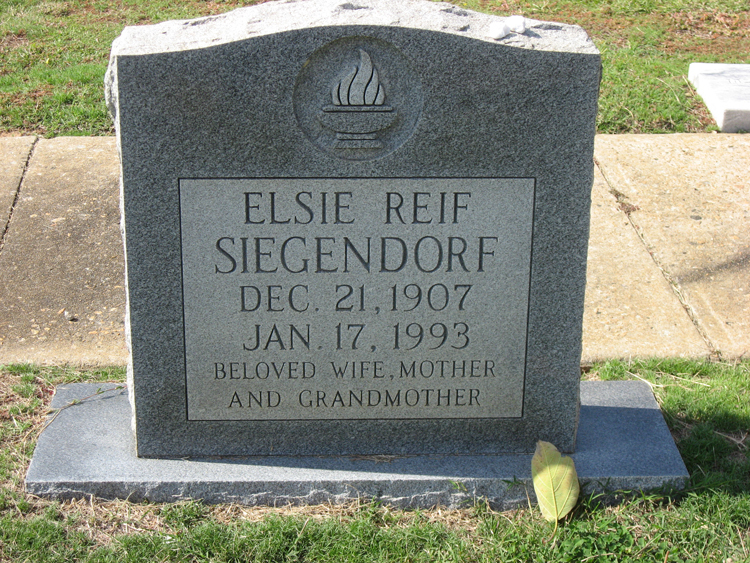 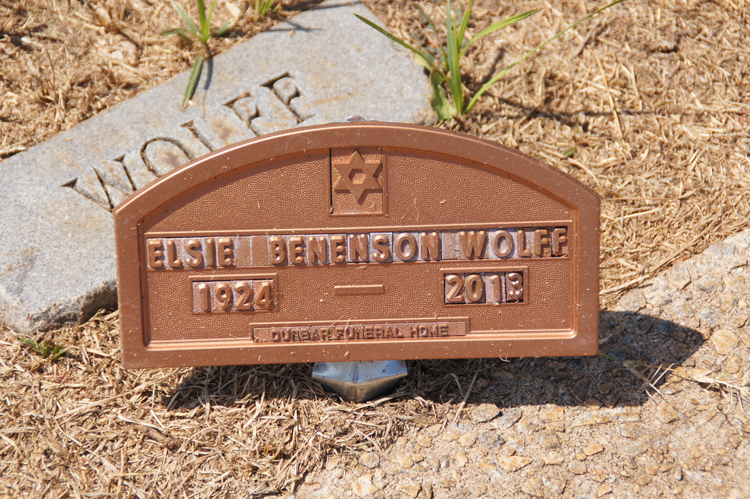 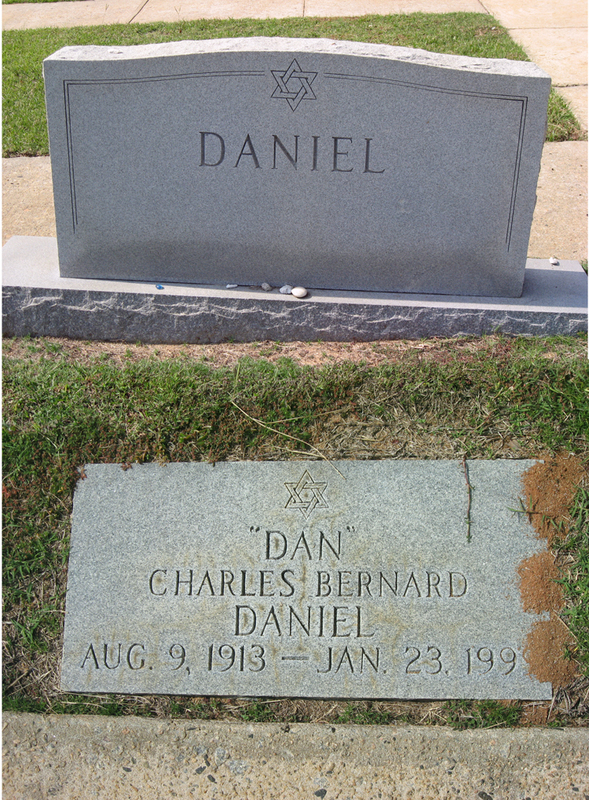 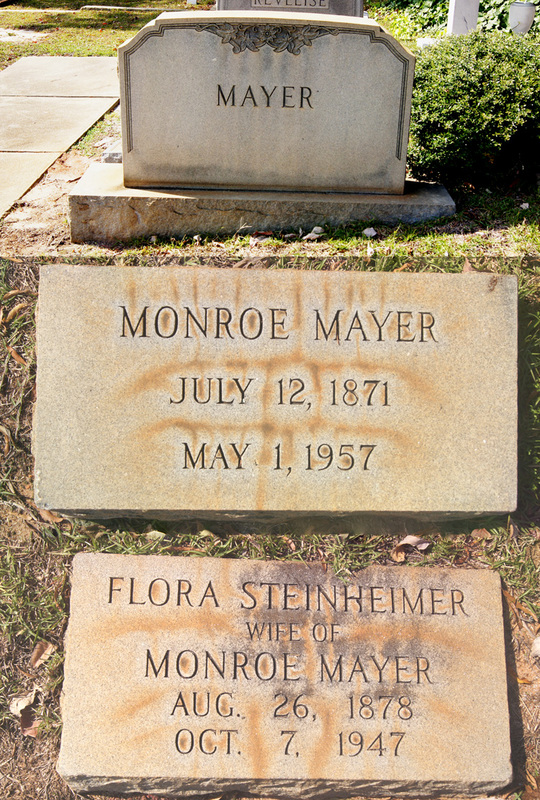 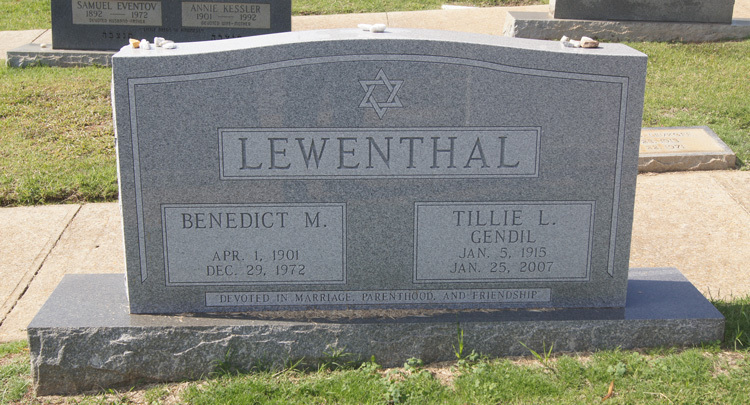 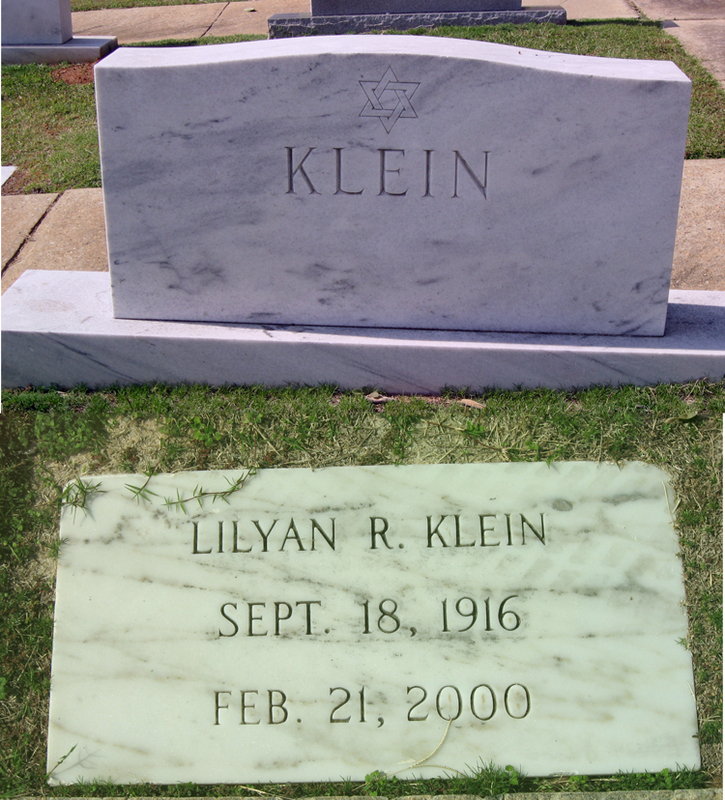 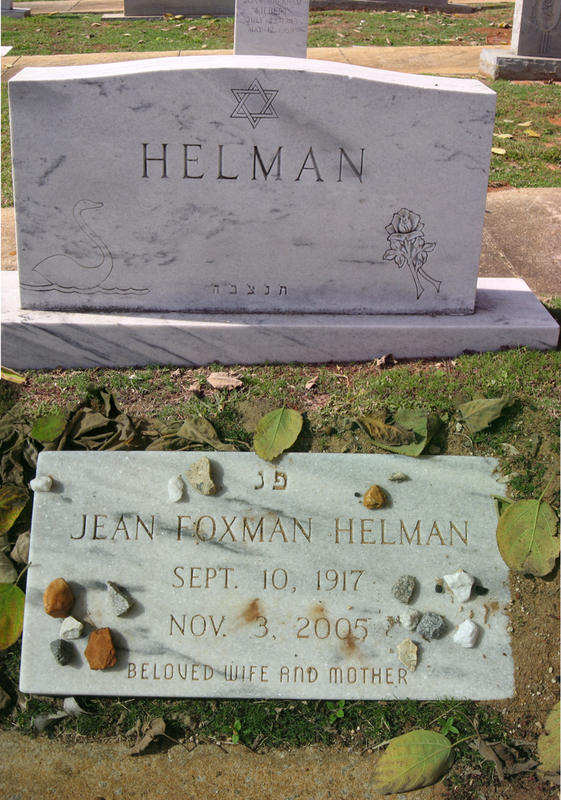 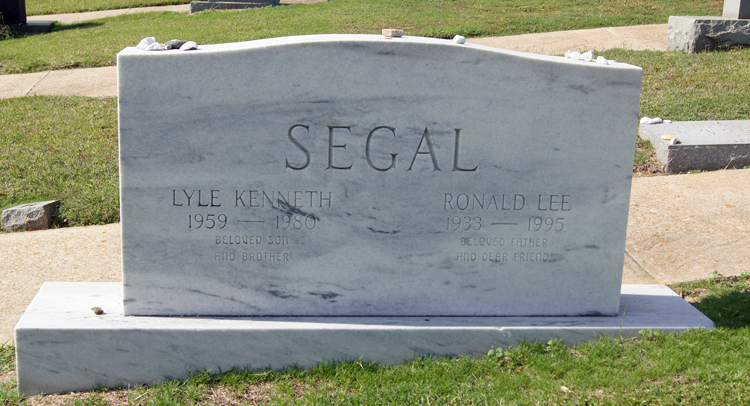 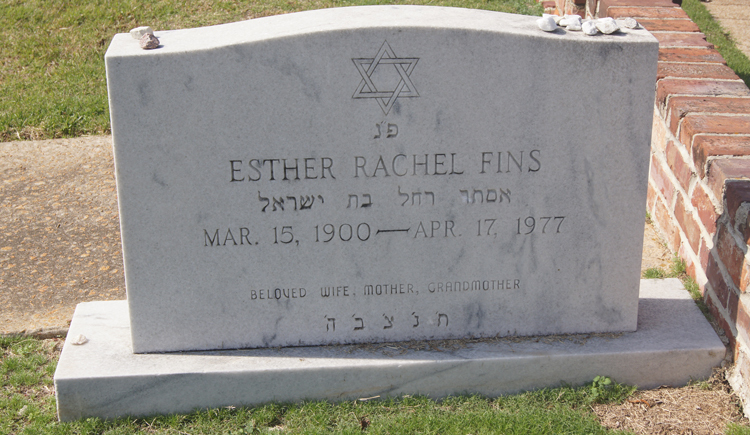 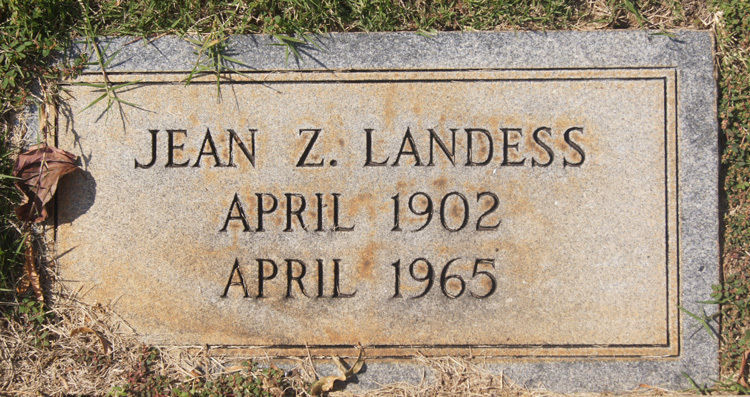 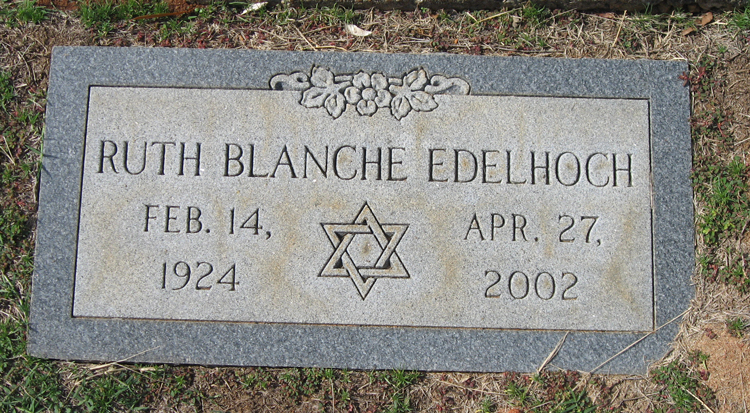 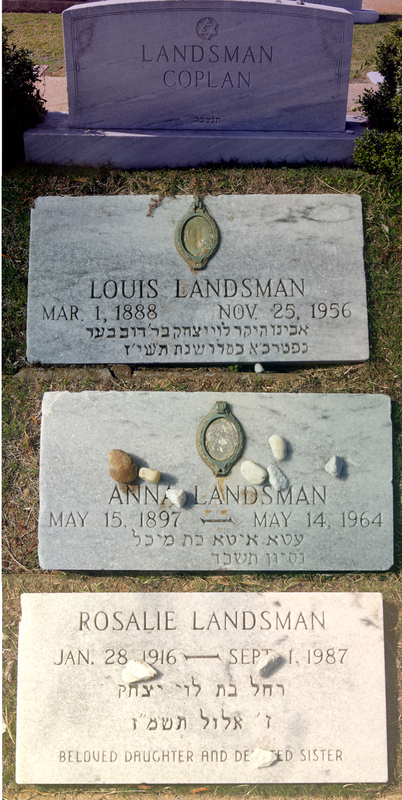 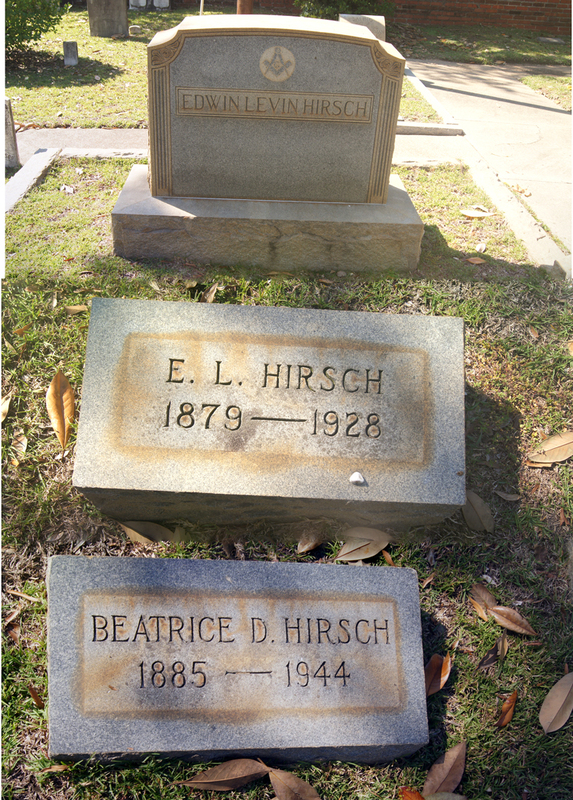 29-Dec-1906 11-Jun-1968 Jeanette W.
20E-12 BLANCK Leah 1896 11-Jul-1896 S.B. 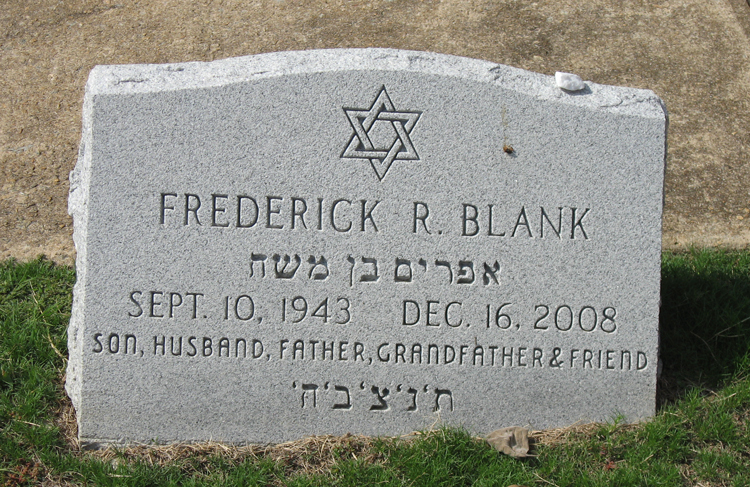 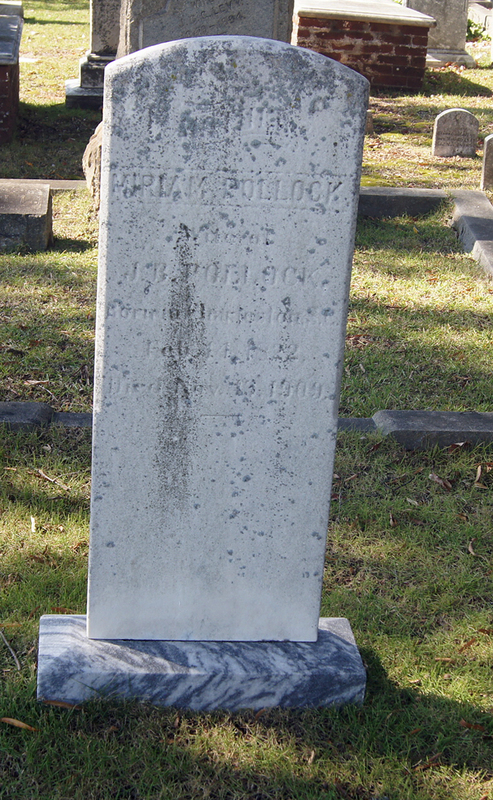 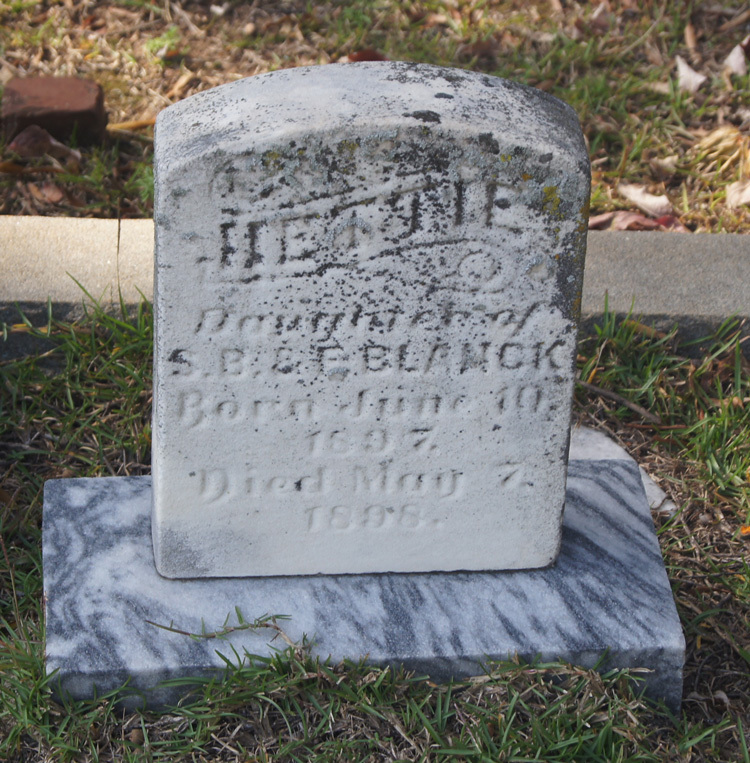 (Sidney) BLANCK E.
20E-13 BLANCK Nettie 10-Jun-1897 07-May-1898 S.B. 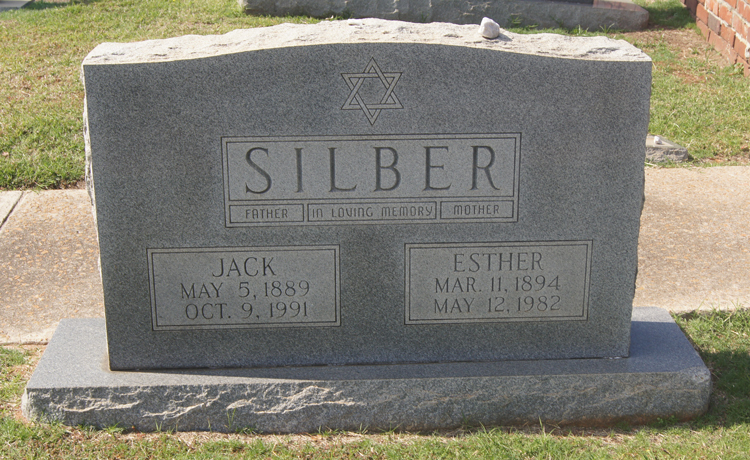 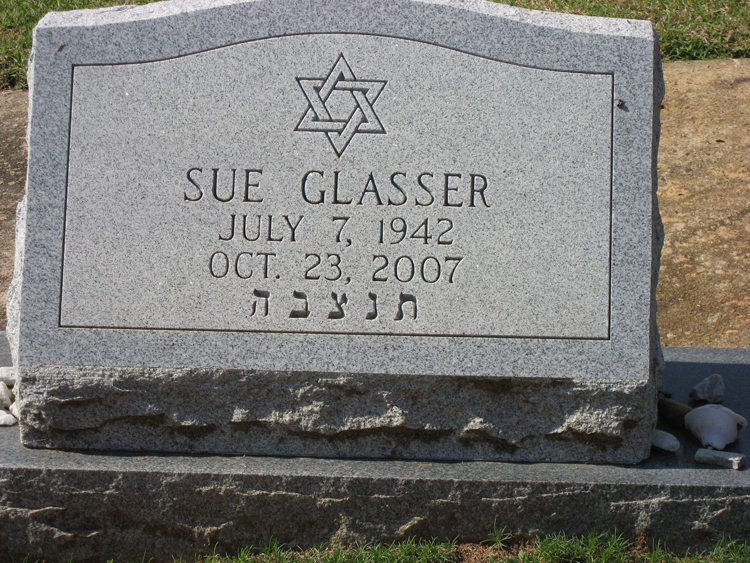 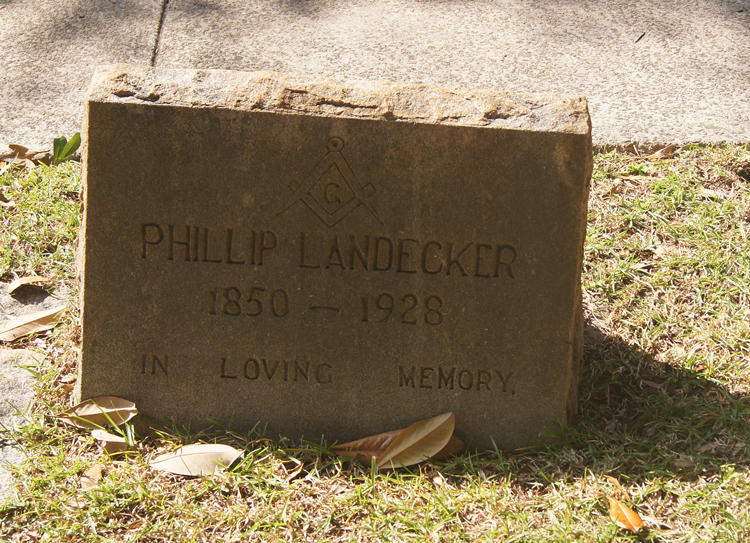 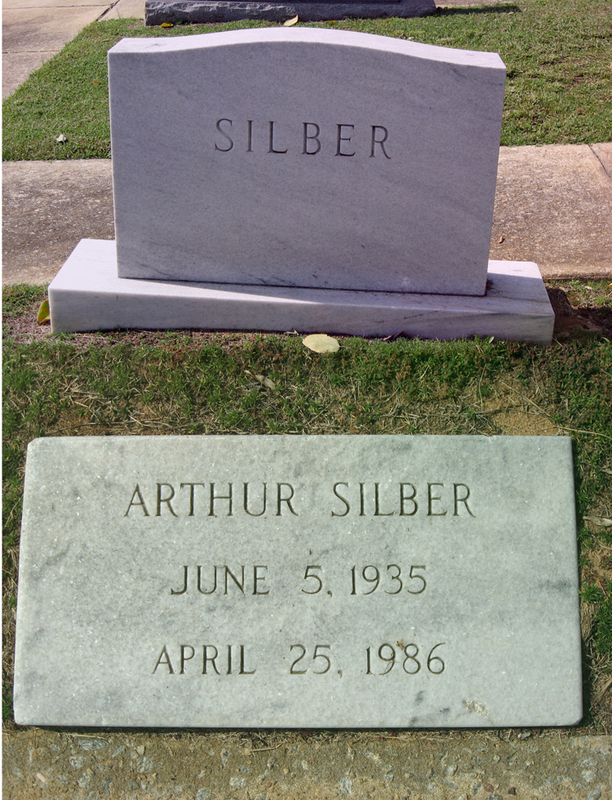 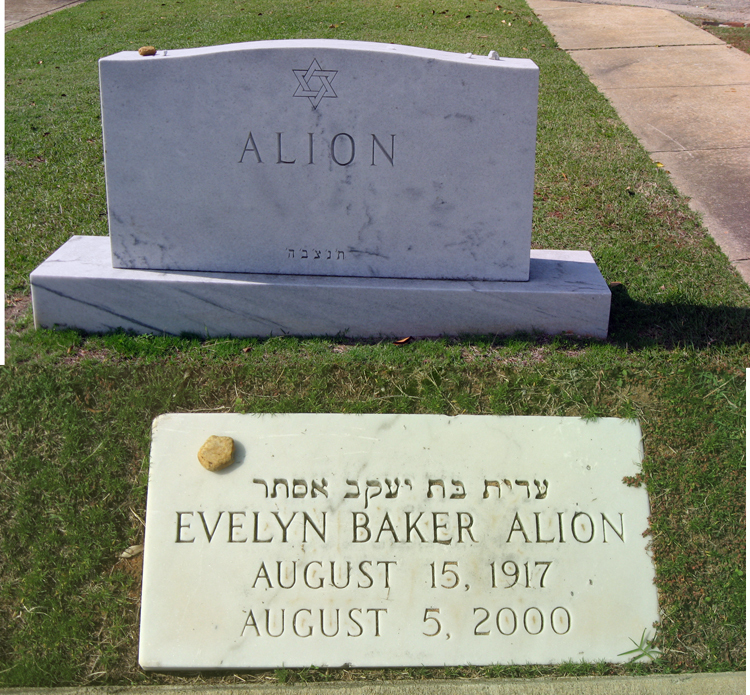 (Sidney) BLANCK E.
20E-14 BLANCK Sidney 07 Jun-1862 28-Jan-1908 E.
79-6 BURGER Lillian SALOMON 09-Mar-1907 22-Jan-1995 Mortimer Daniel BURGER Albert A SALOMON Hermine K.
14-7 CASSEL Lewin S. 30-Apr-1899 16-Mar-1965 Julia B. 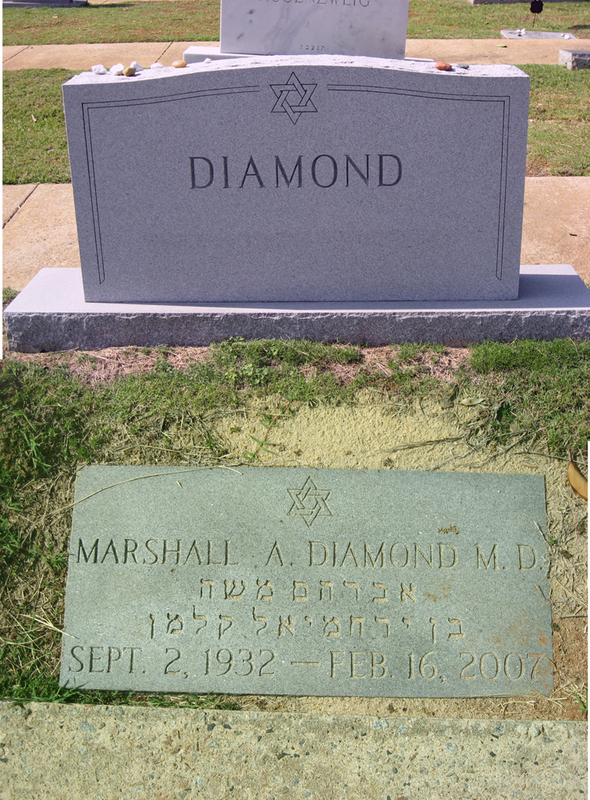 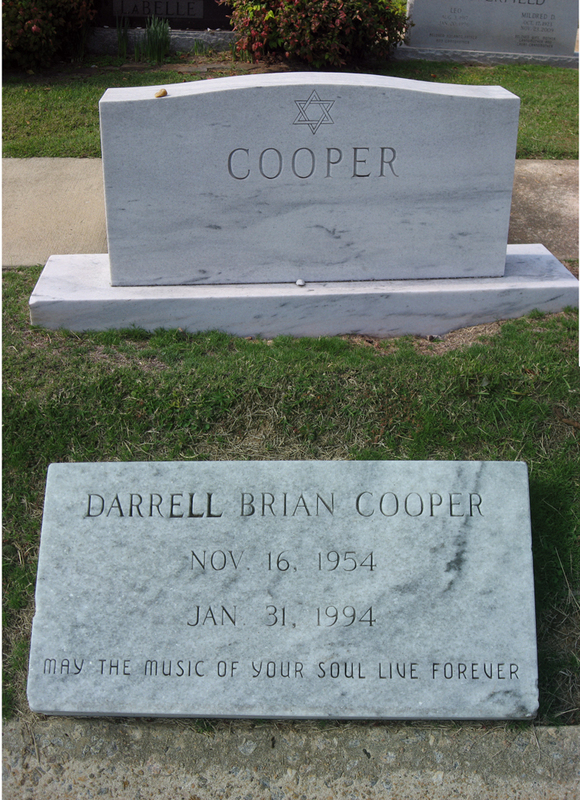 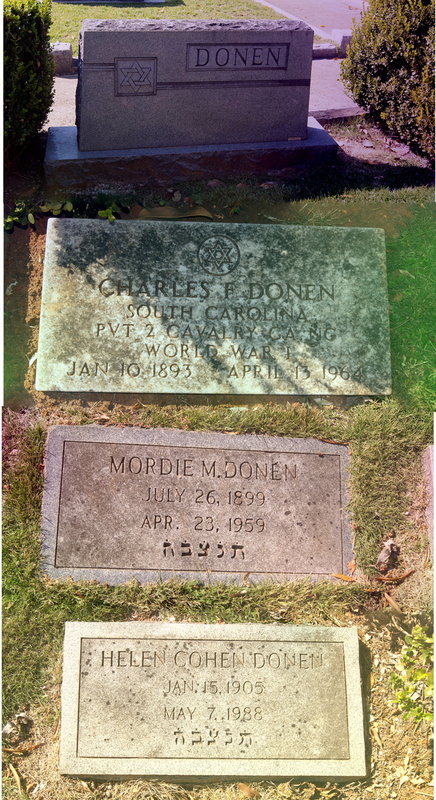 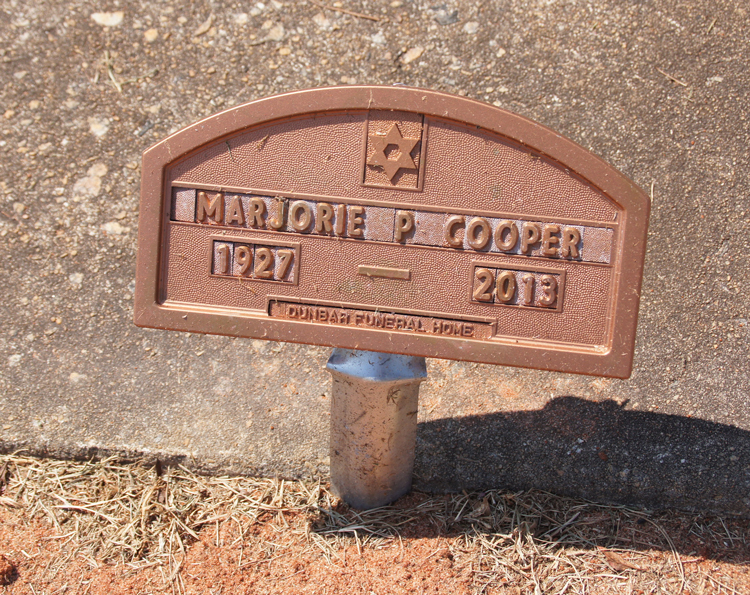 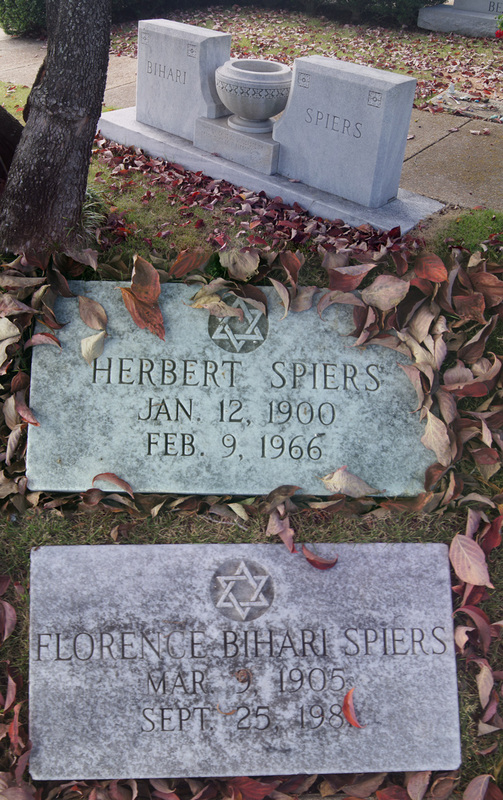 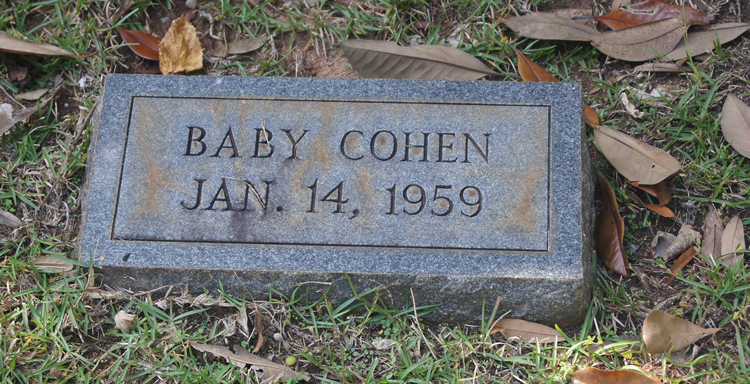 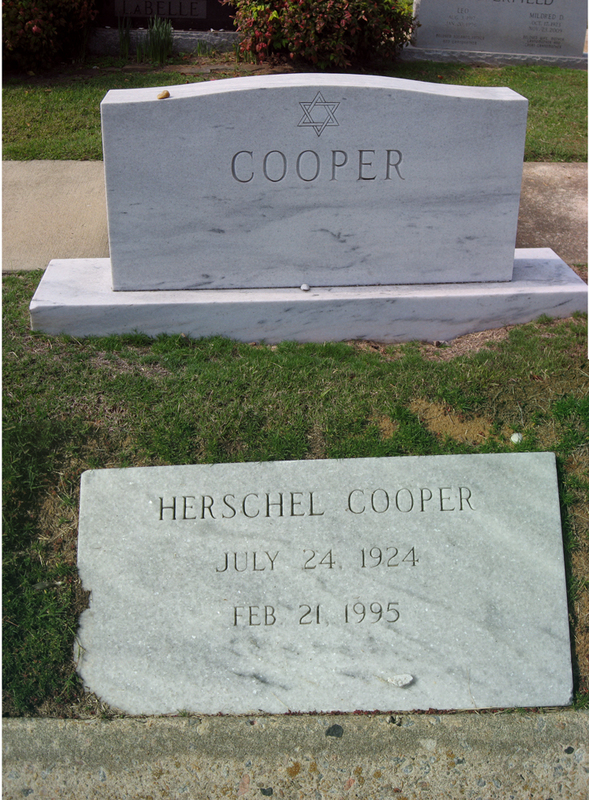 88-1 COOPER Darrell Brian 16-Nov-1954 31-Jan-1994 COOPER Herschel B. COOPER Marjorie P.
17-12 DONEN Helen Pauline COHEN Columbia, SC USA 15-Jan-1905 Columbia, SC USA 07-May-1988 Mordie M.
18B-11 ELIAS Elkin 1863 Levy ELIAS Rosa L.
74-1 FIELDS Albert 15-Sep-1896 27-Feb-1966 Minnie F.
37-4 GERSON Herman H. 05-Jul-1903 03-Mar-1963 Marian B. 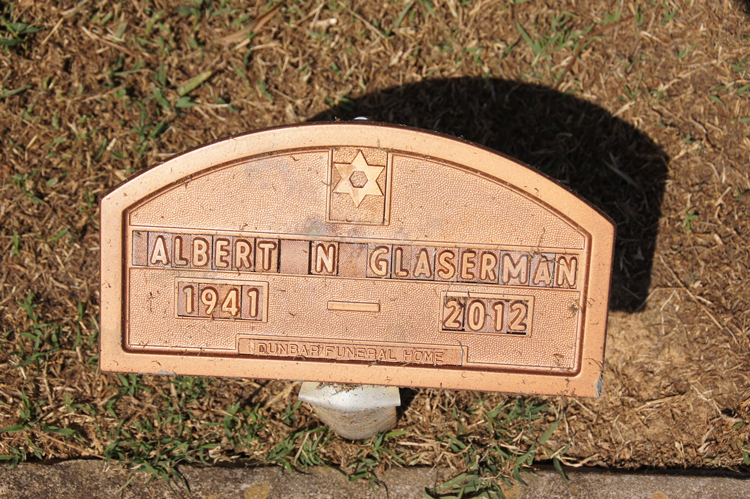 49-2 GLASS Albert J. 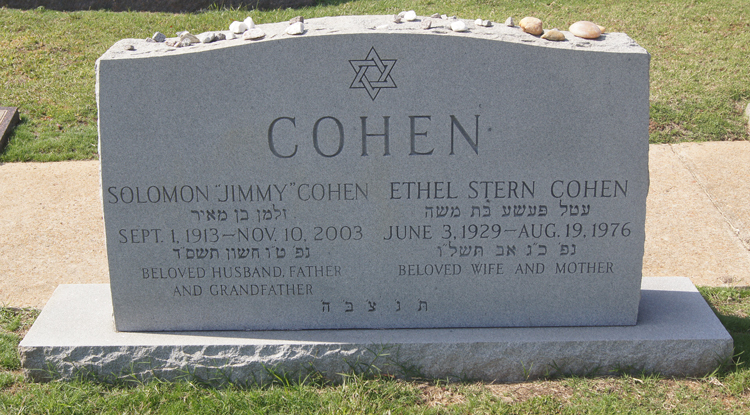 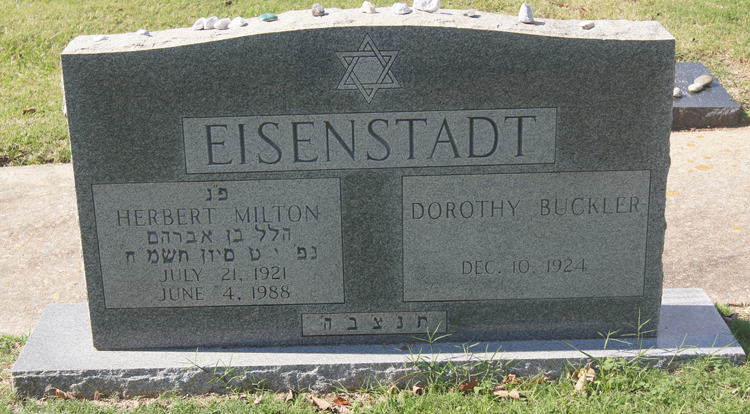 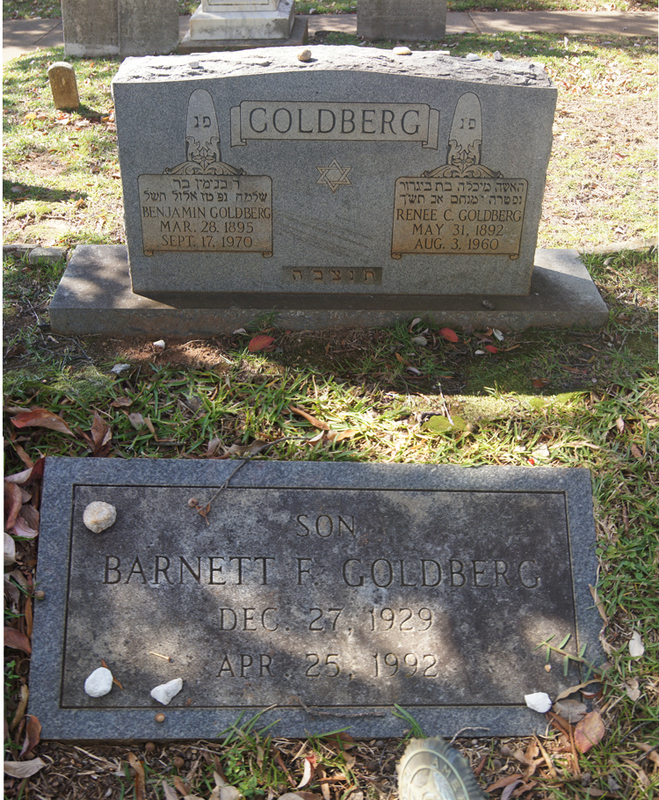 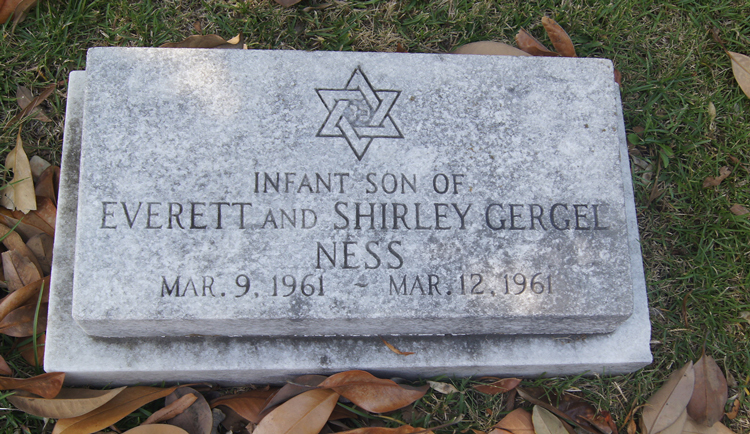 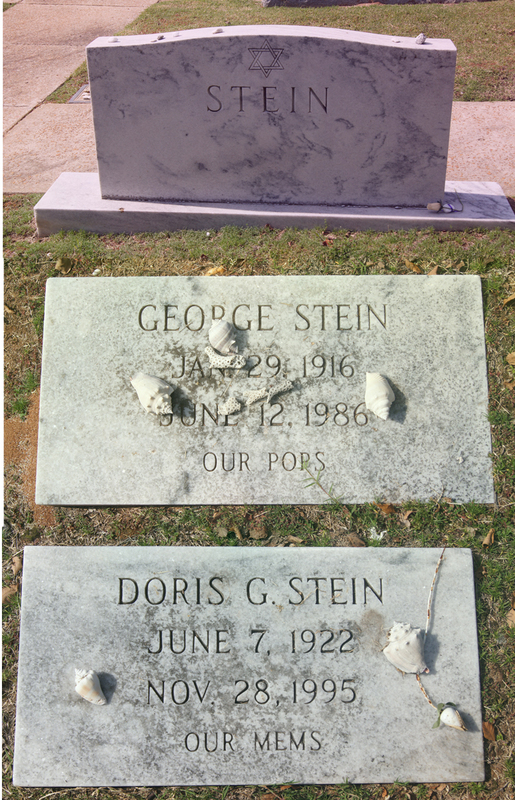 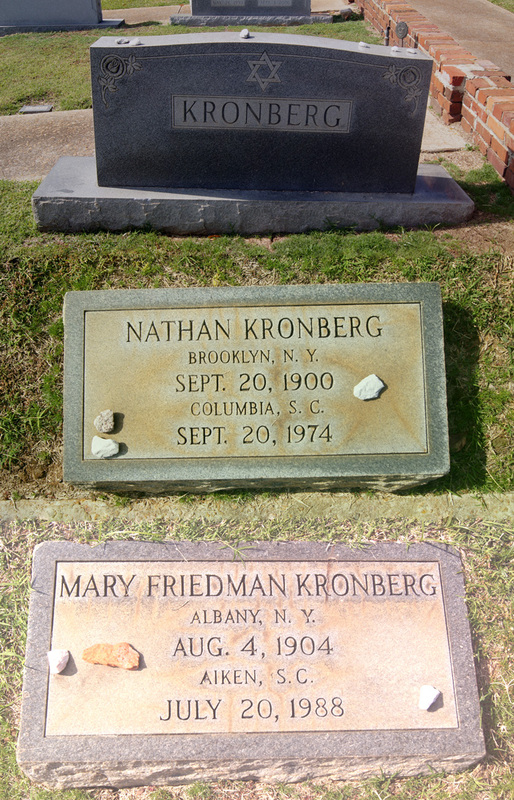 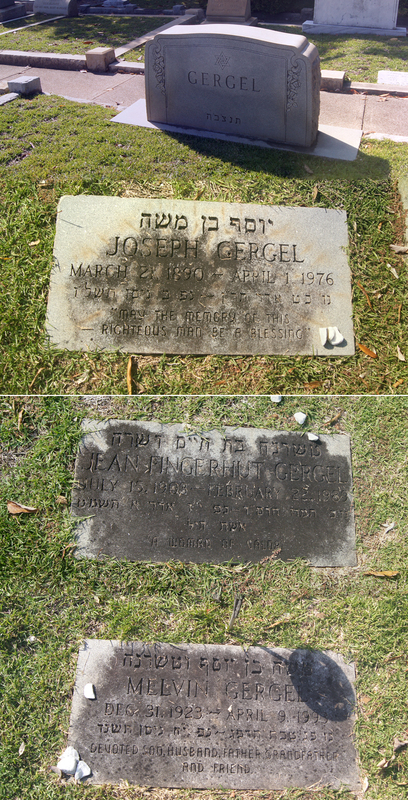 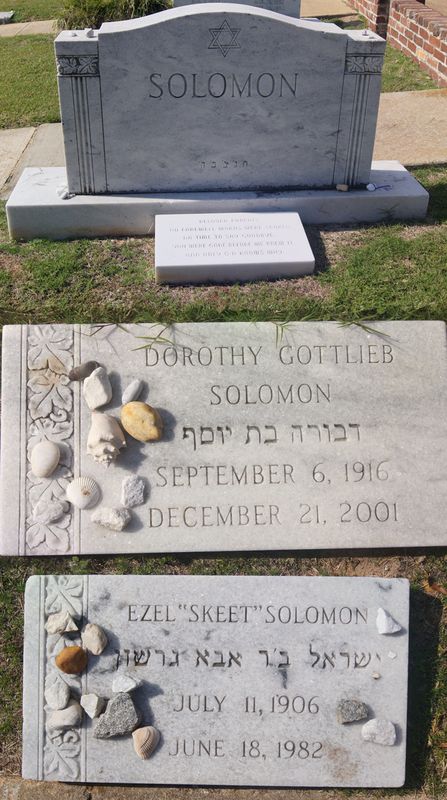 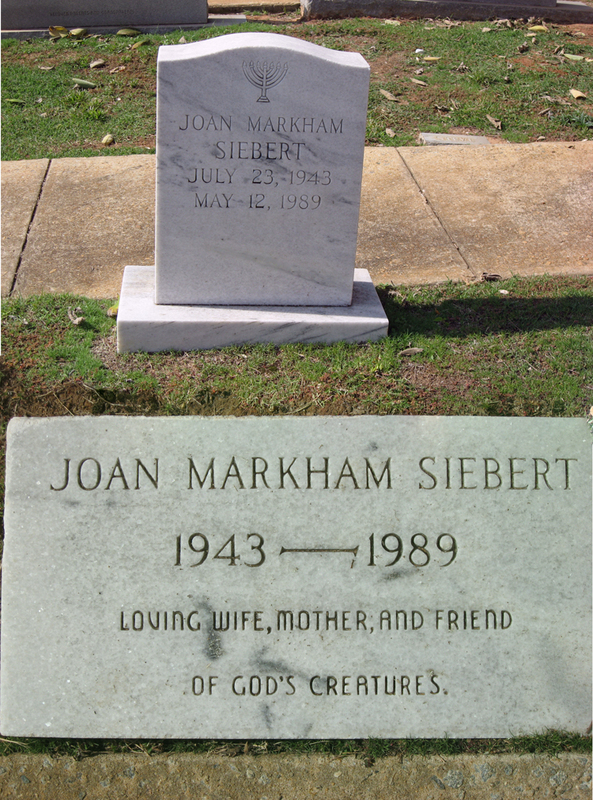 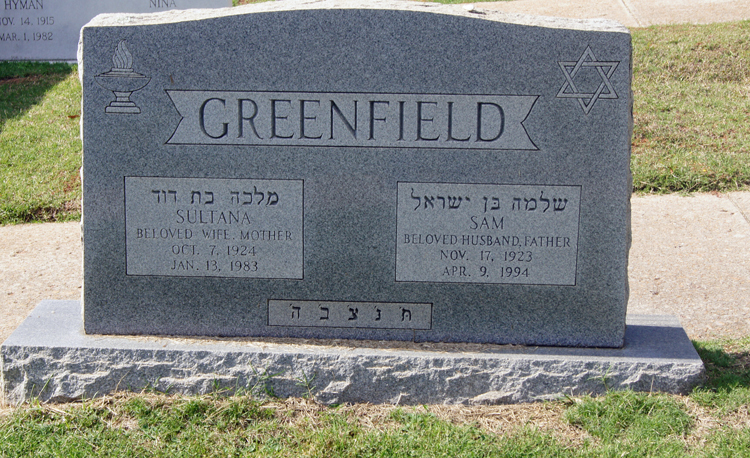 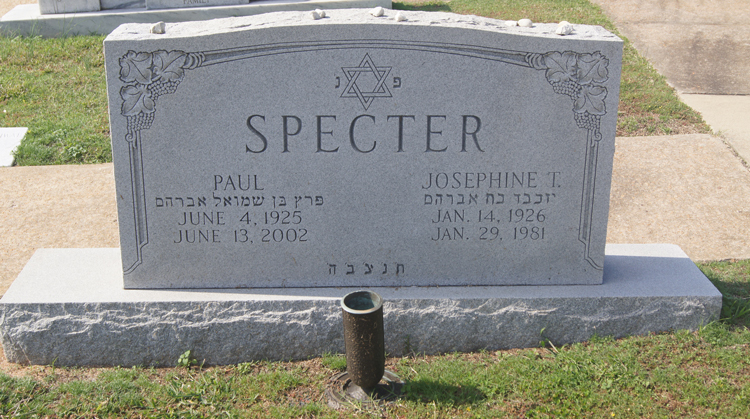 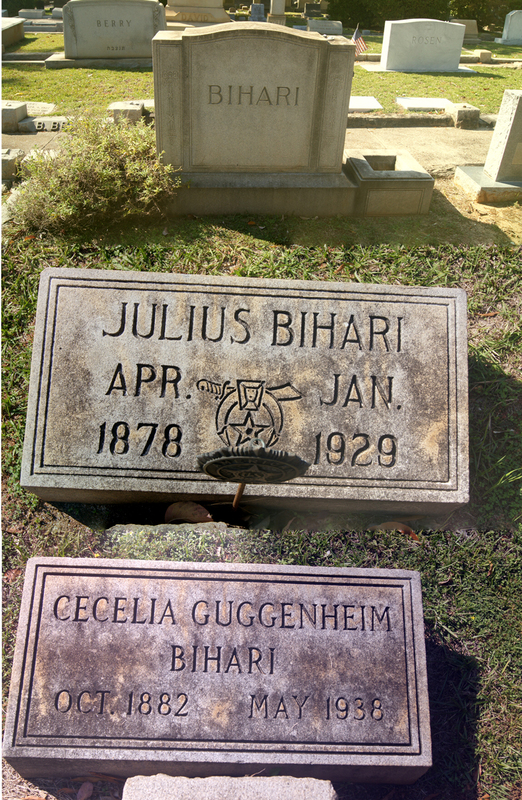 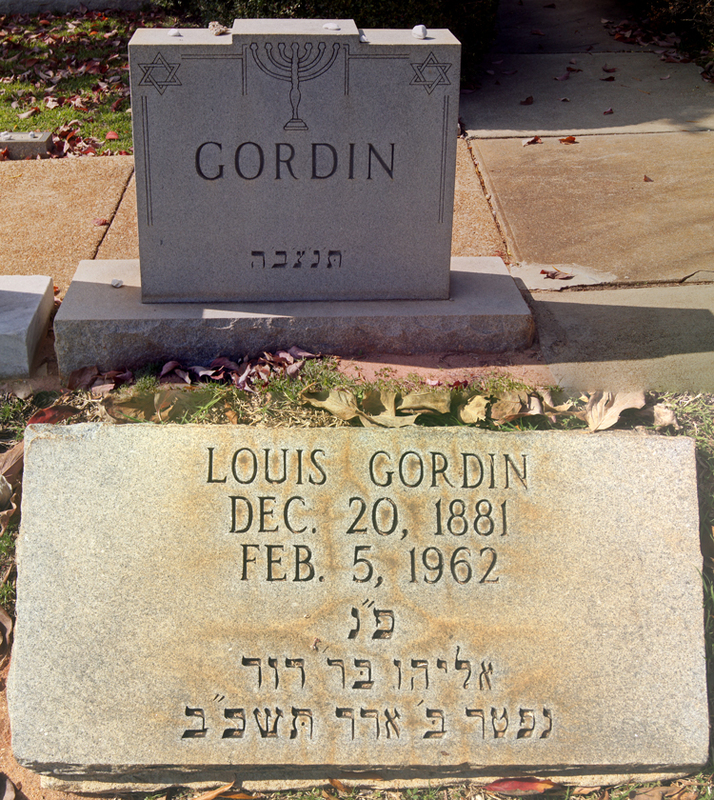 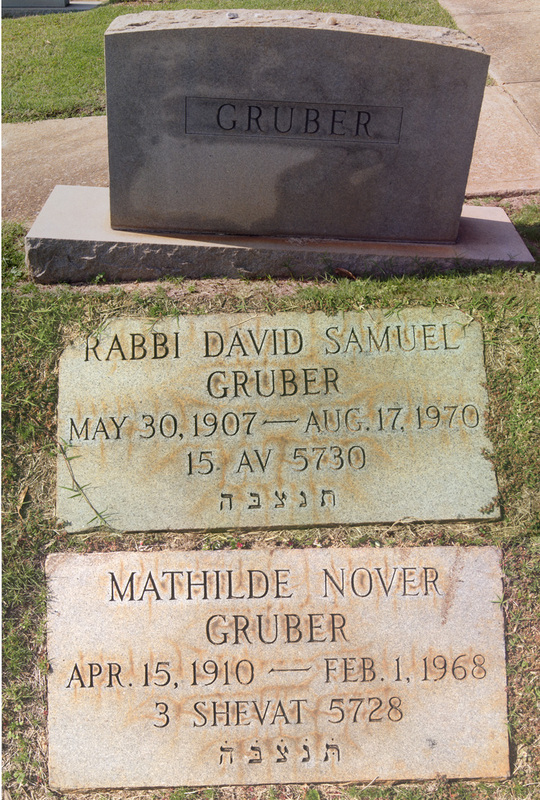 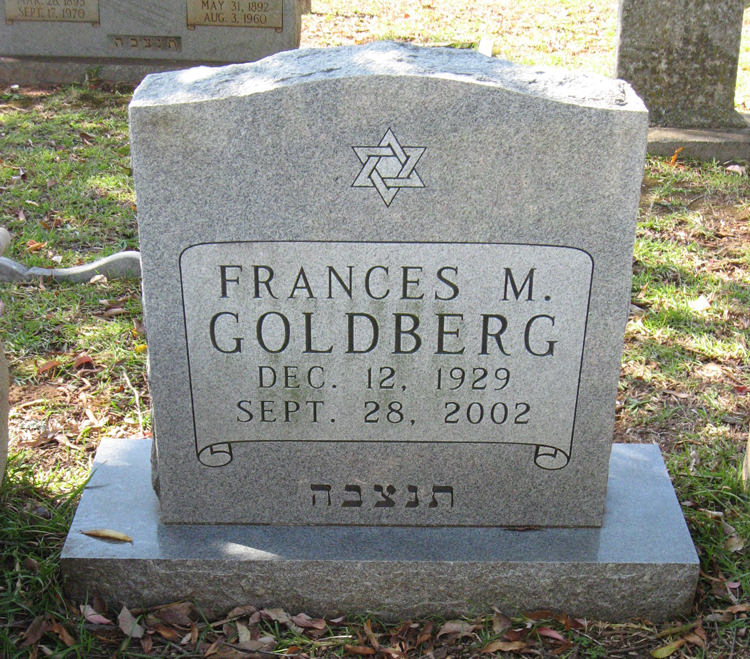 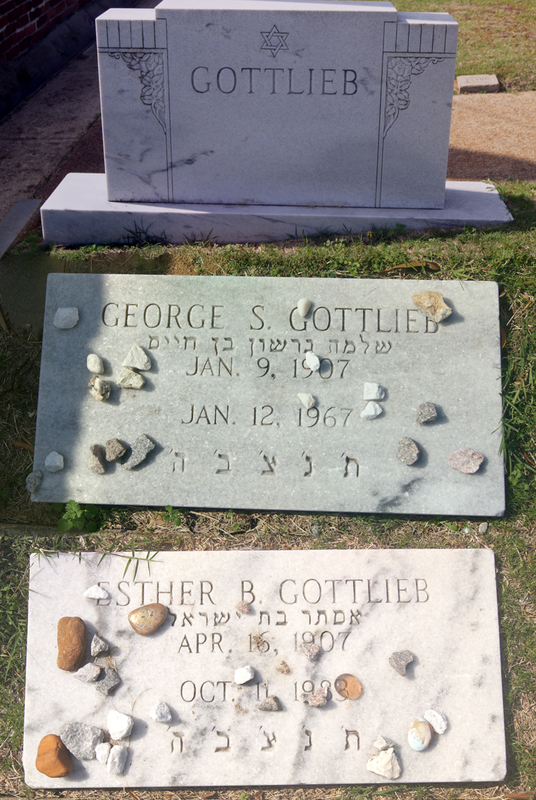 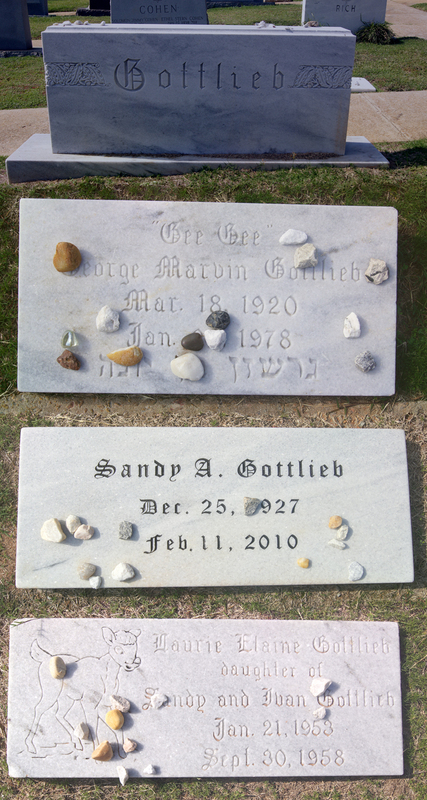 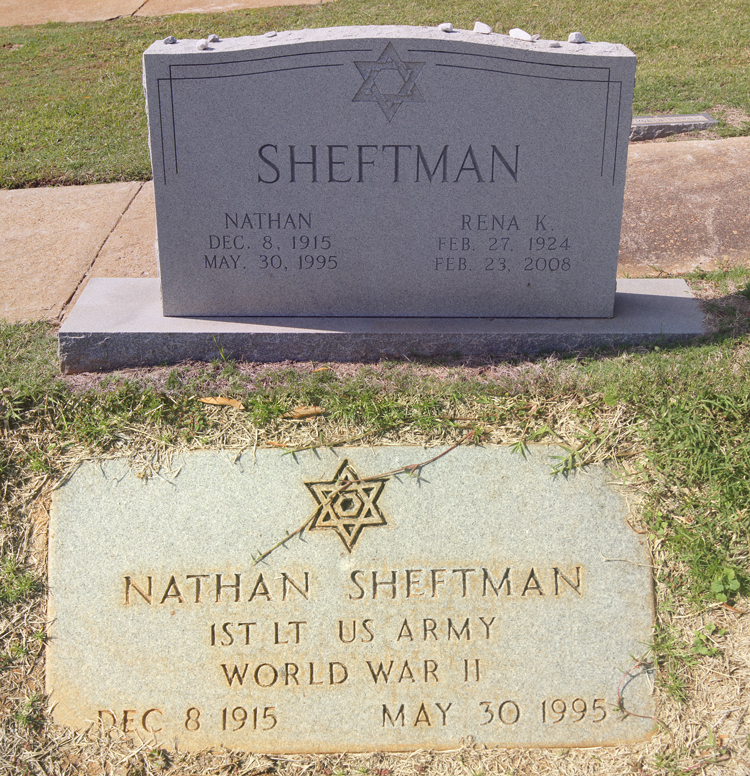 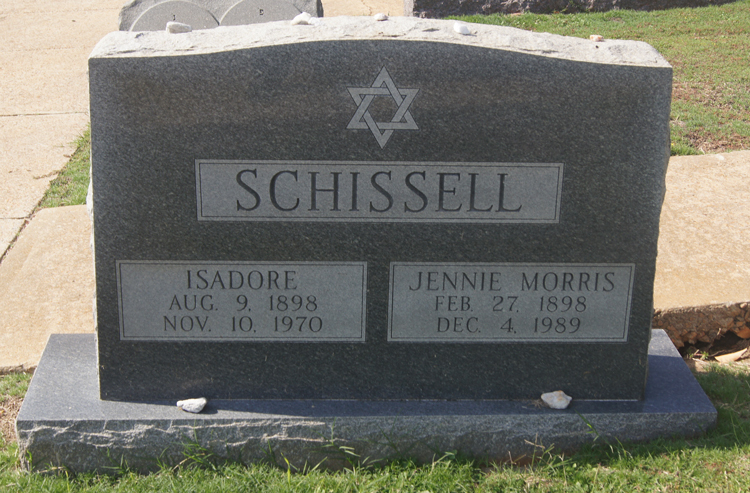 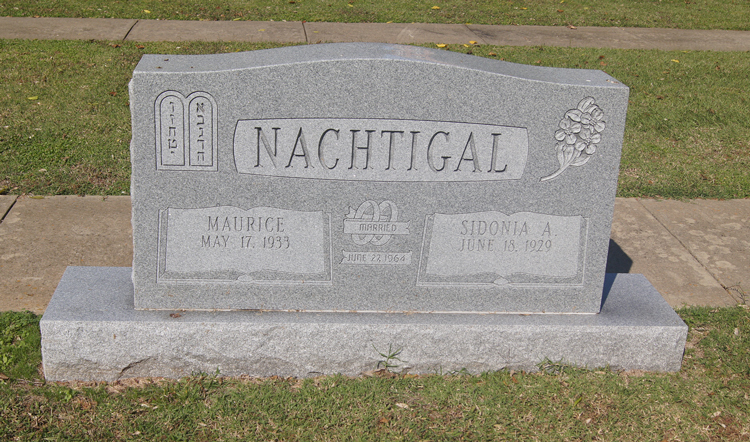 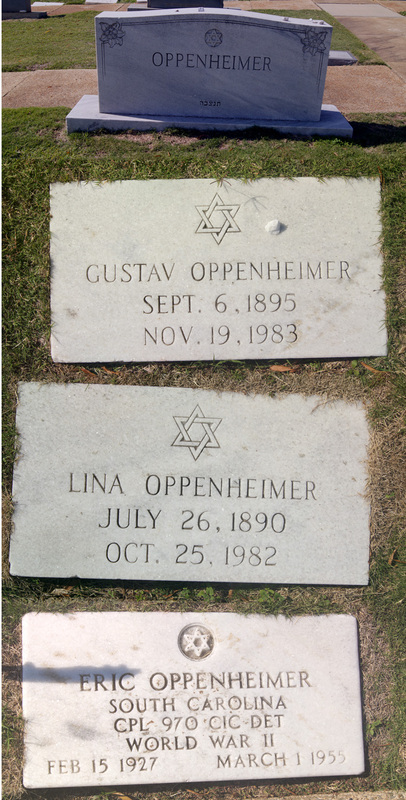 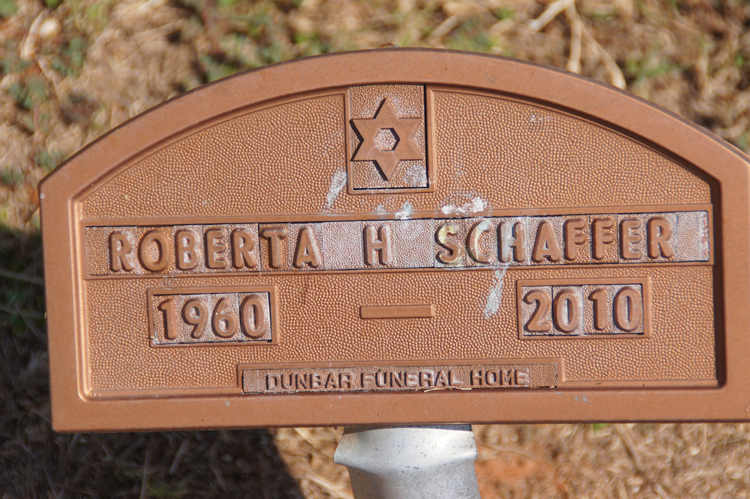 1896 1959 Johanna S.
53-2 GOTTLIEB George S. 09-Jan-1907 12-Jan-1967 Esther B. 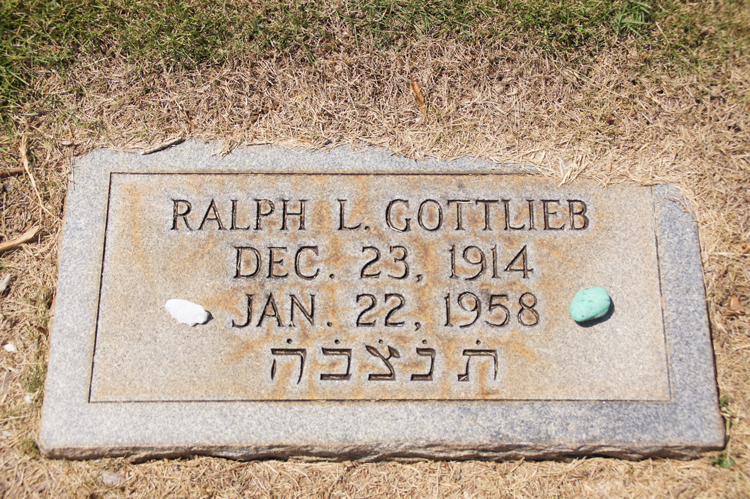 47-2 GOTTLIEB John J. 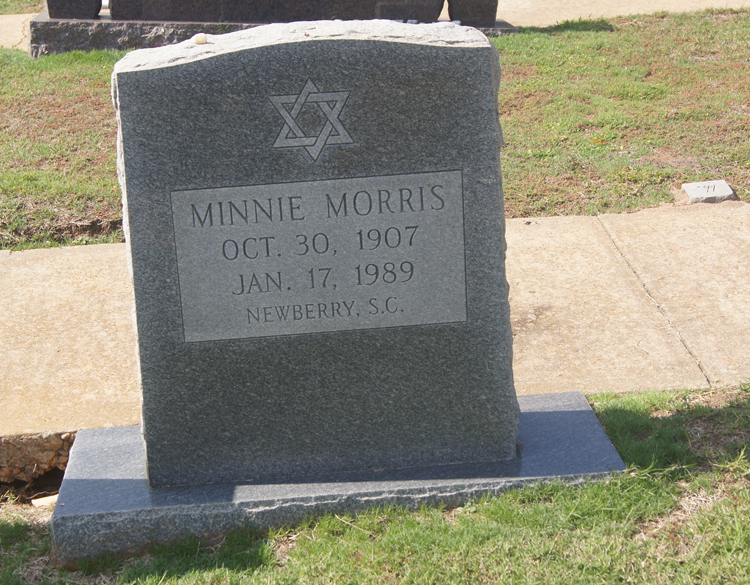 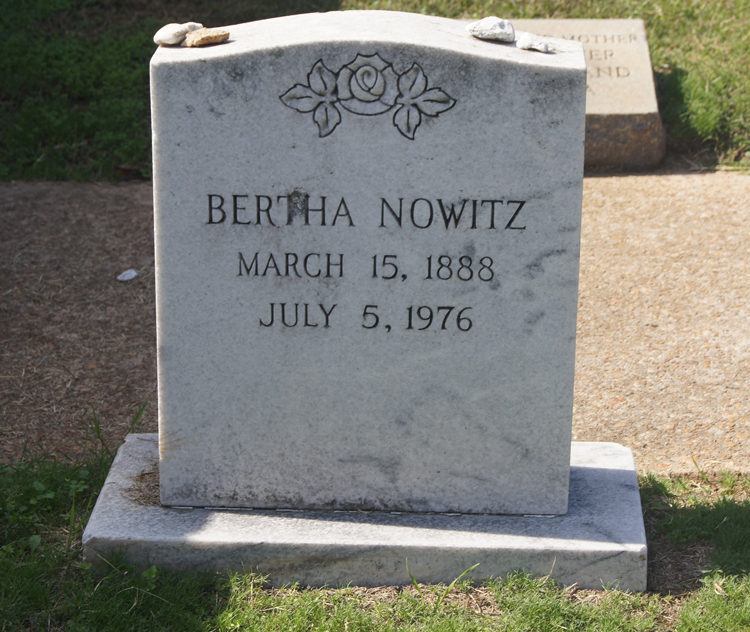 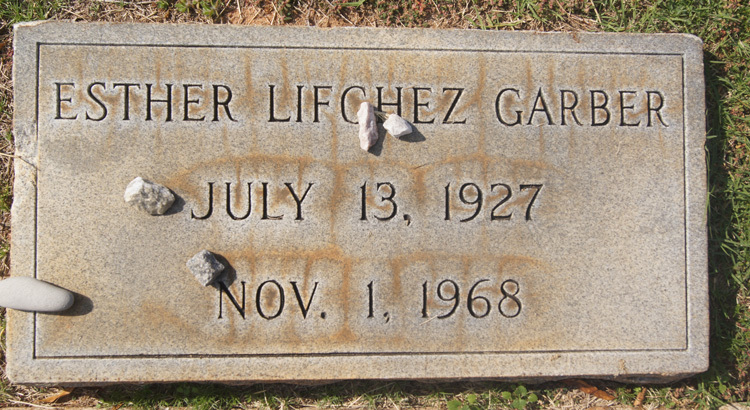 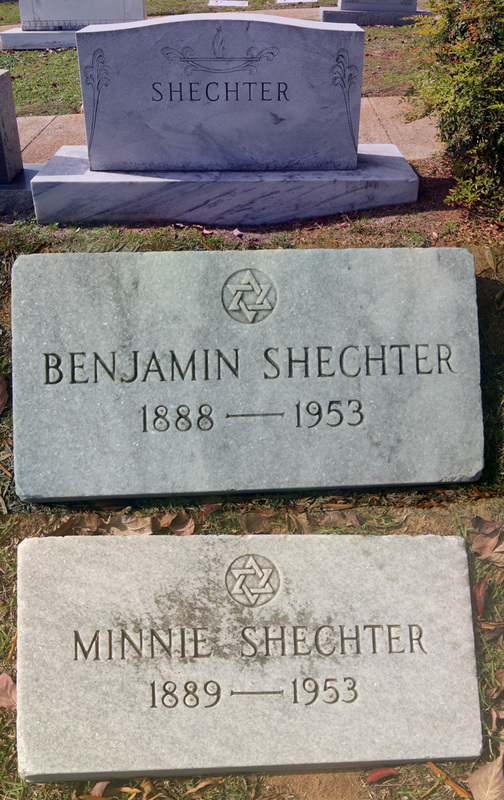 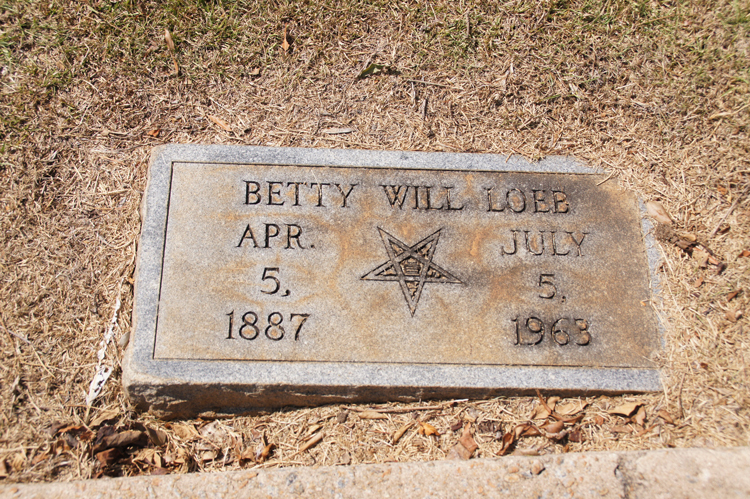 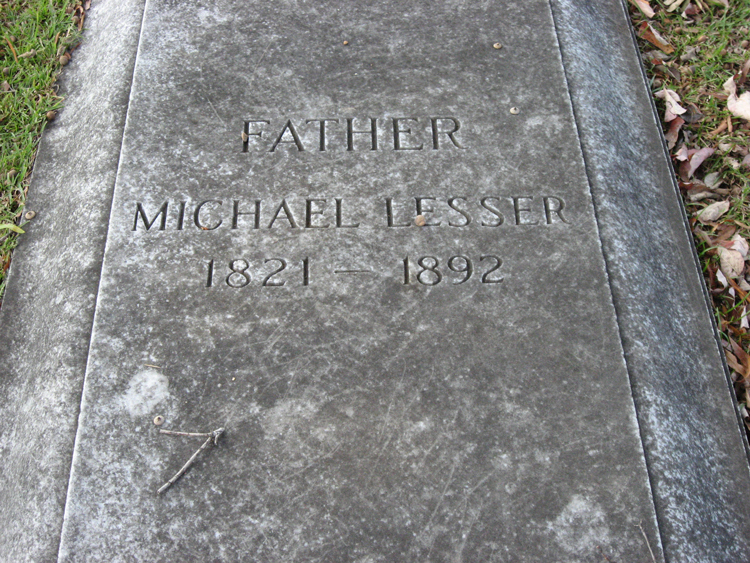 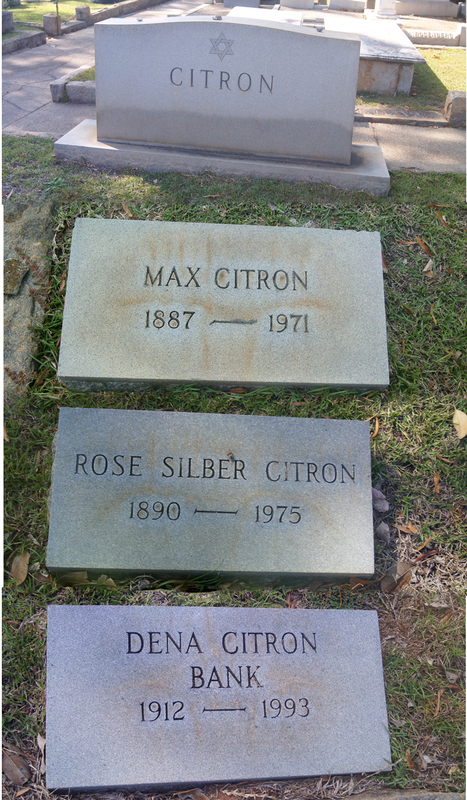 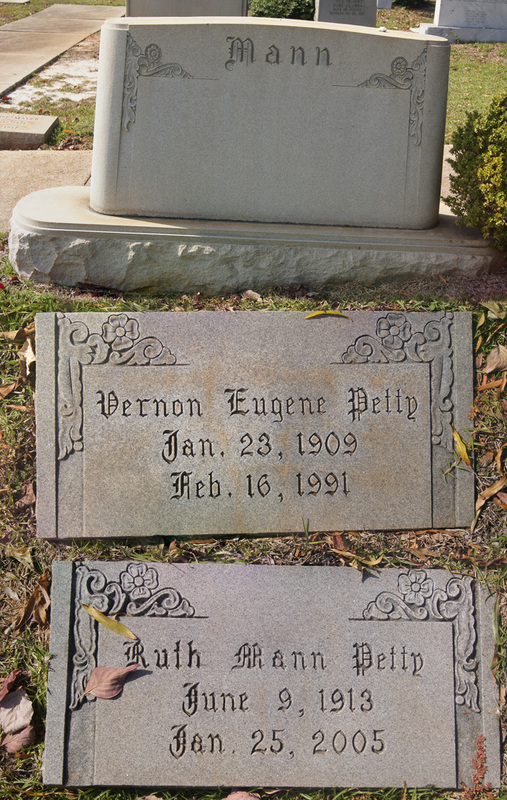 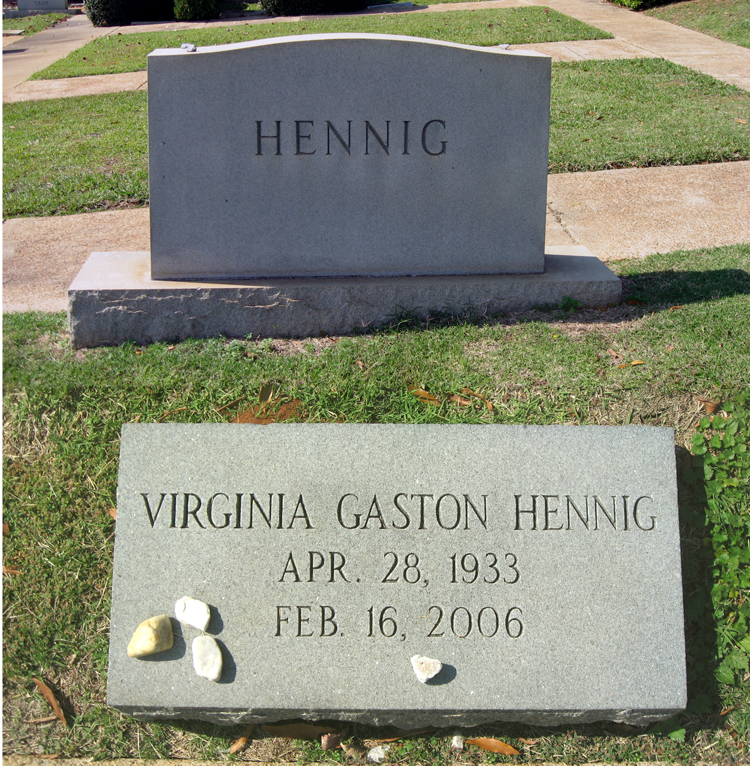 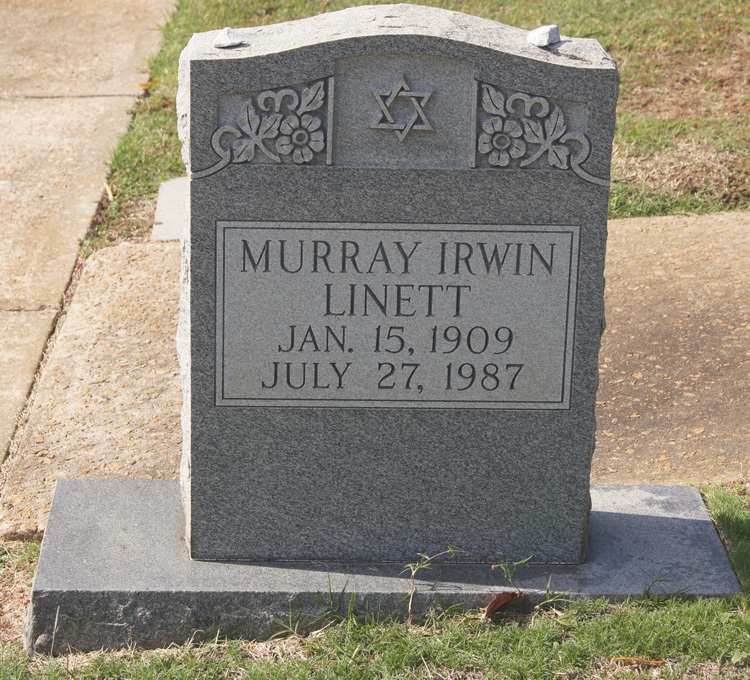 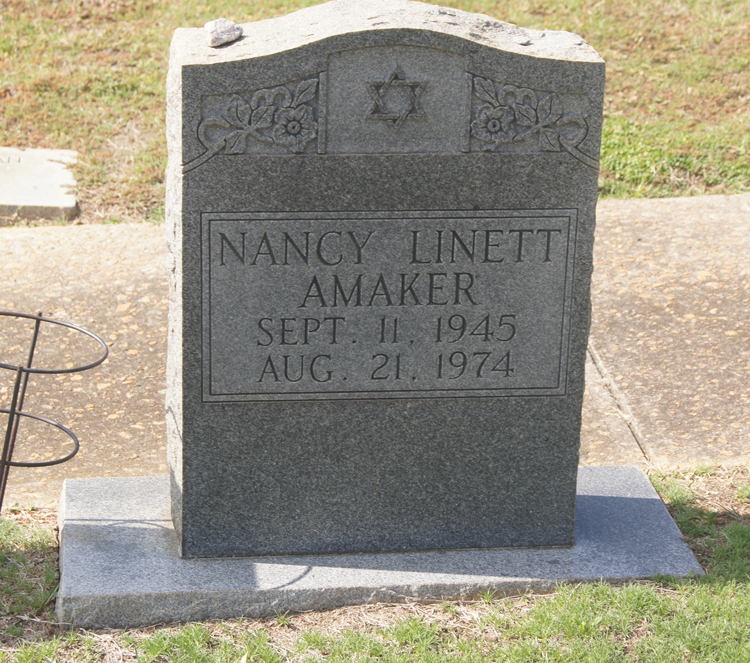 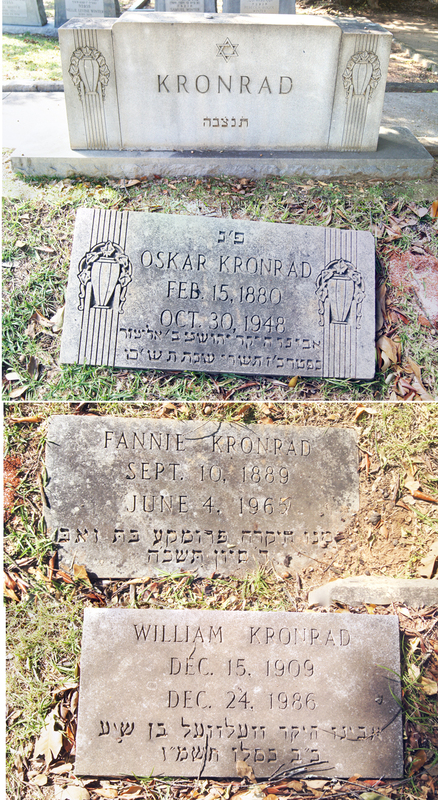 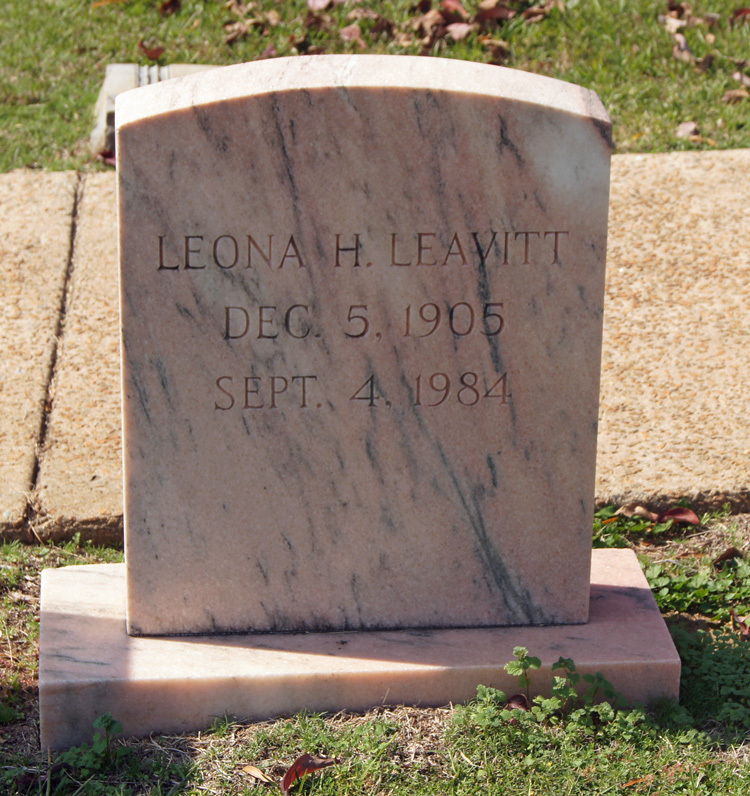 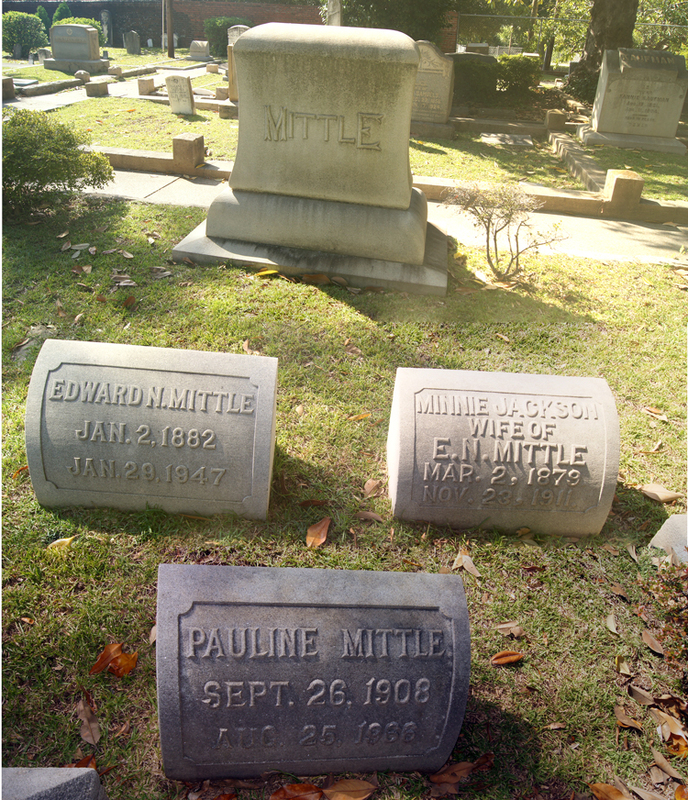 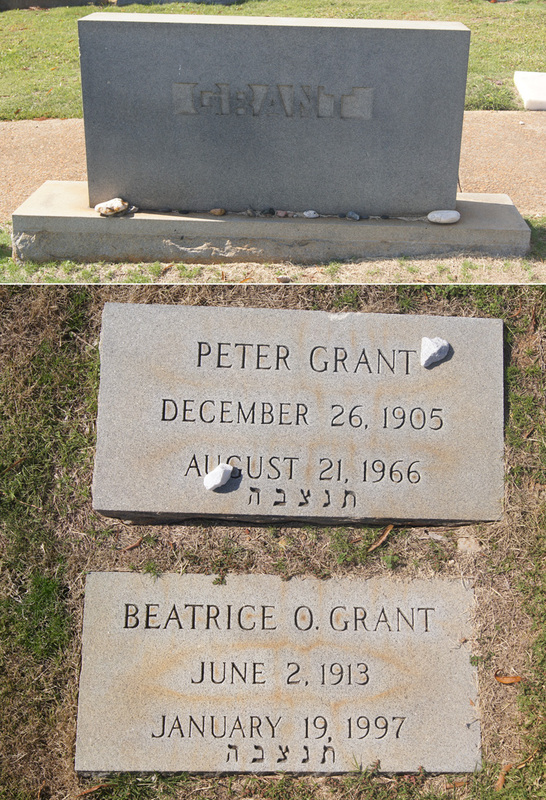 28-Jan-1892 29-Sep-1956 Minnie L.
49-3 GRANT Peter 26-Dec-1905 21-Aug-1966 Beatrice O. 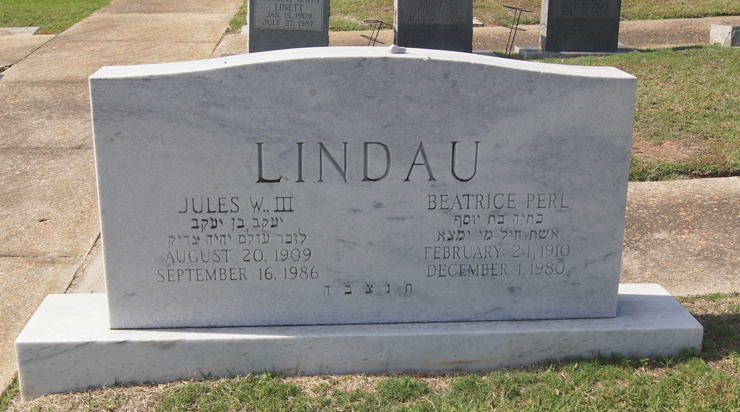 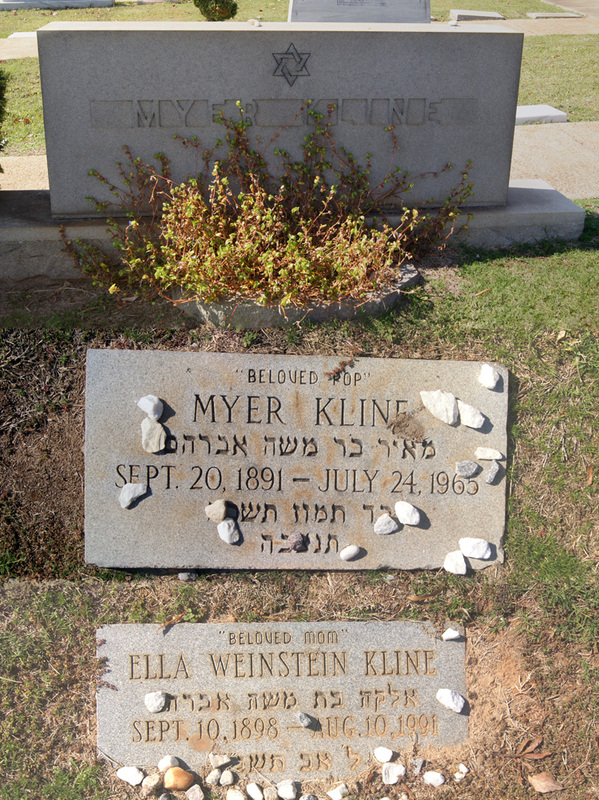 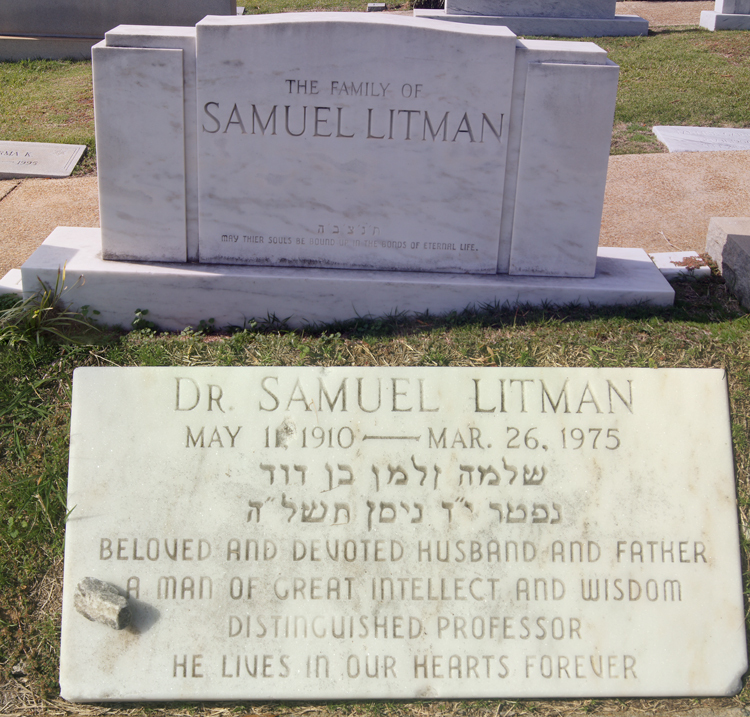 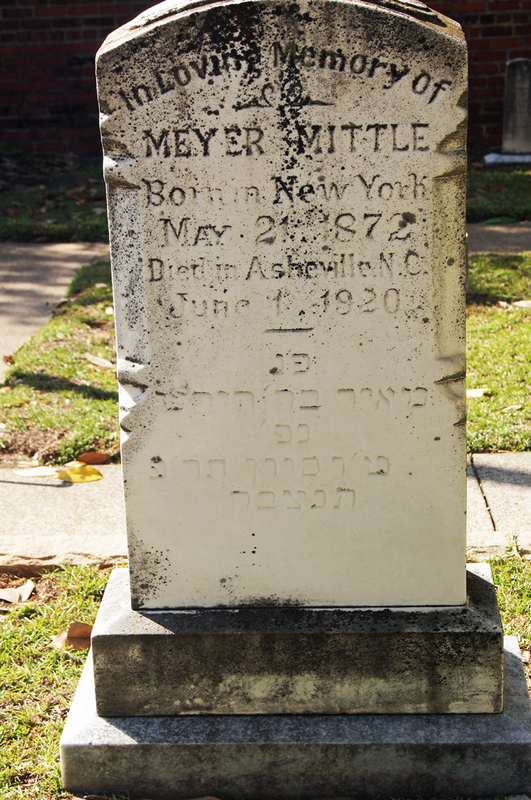 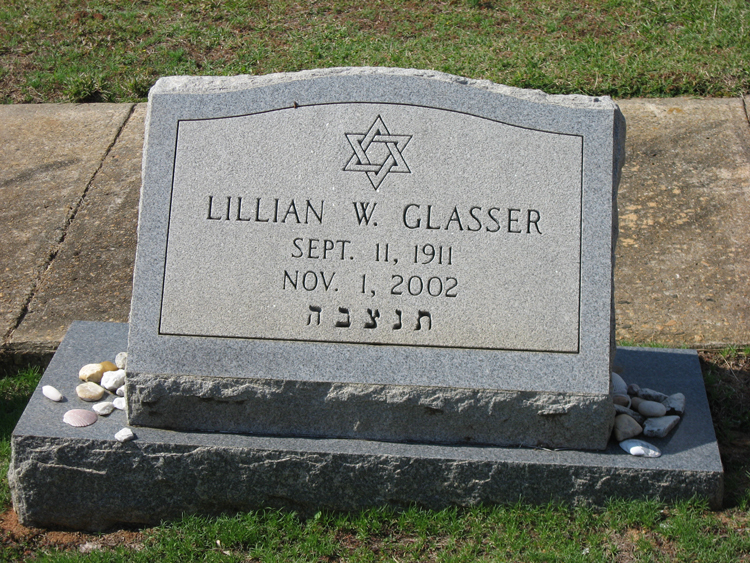 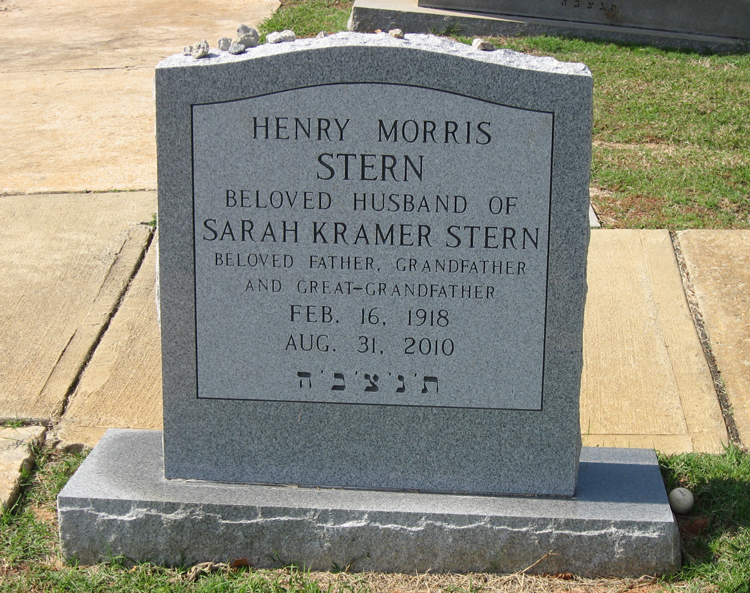 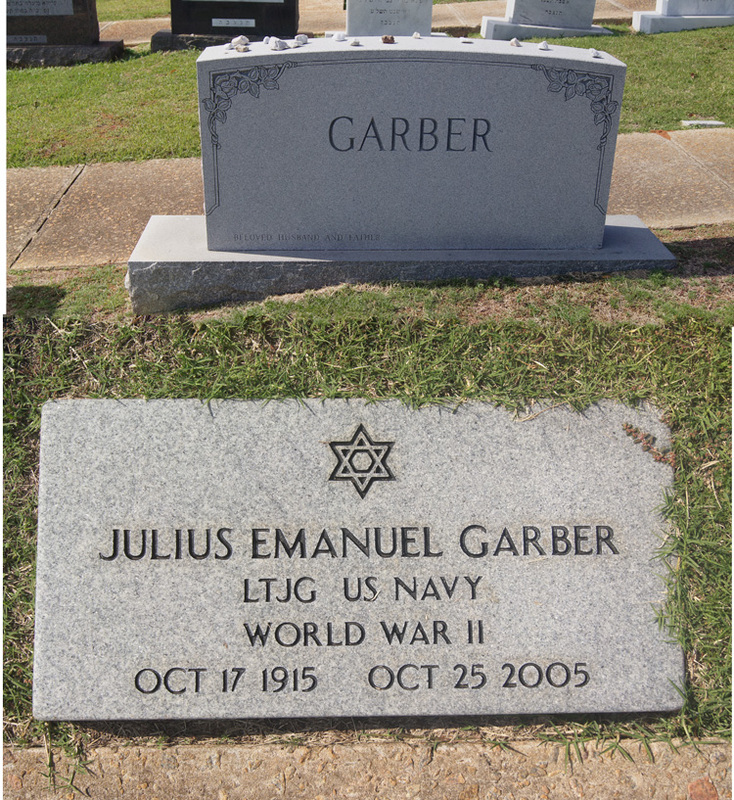 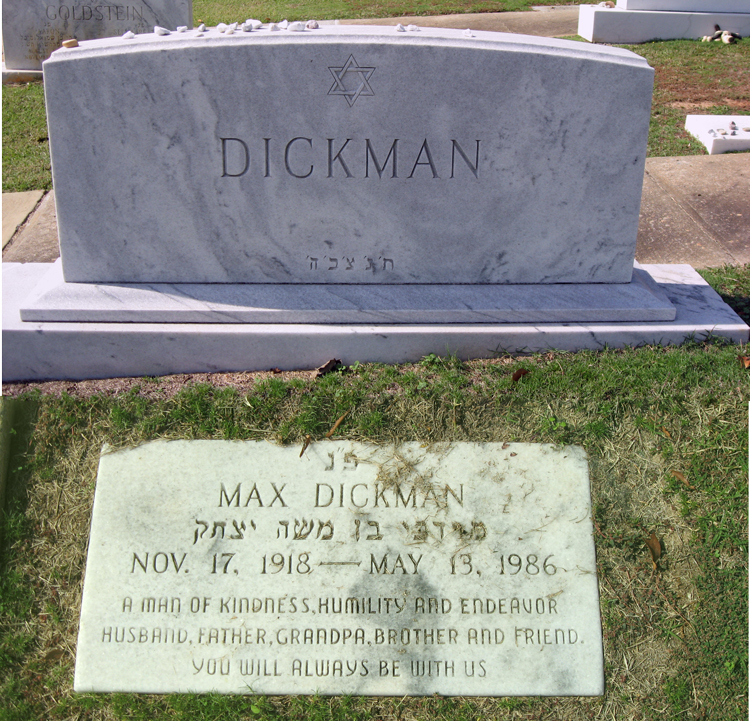 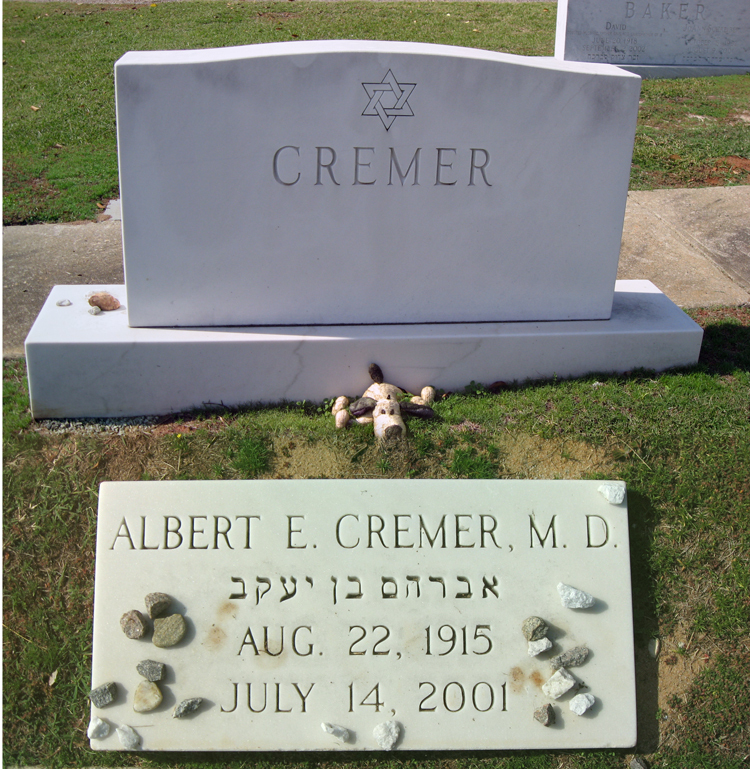 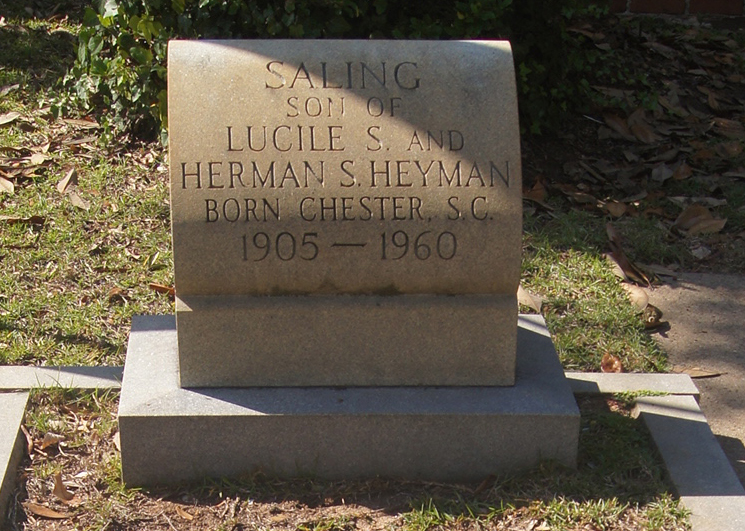 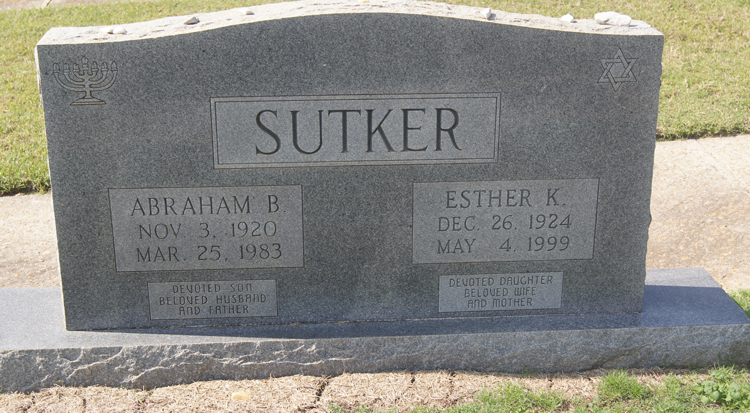 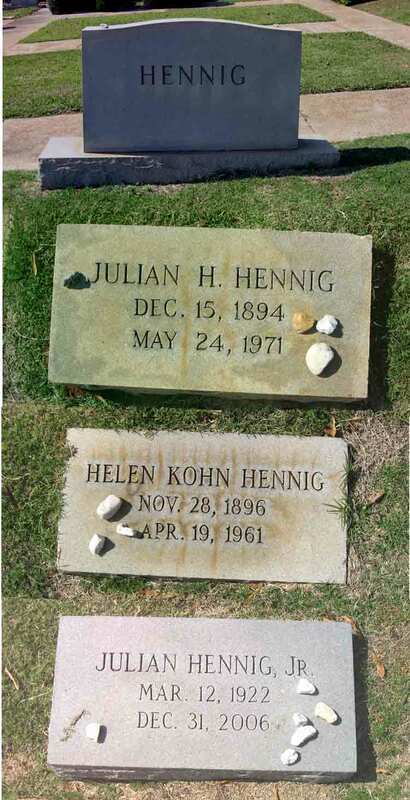 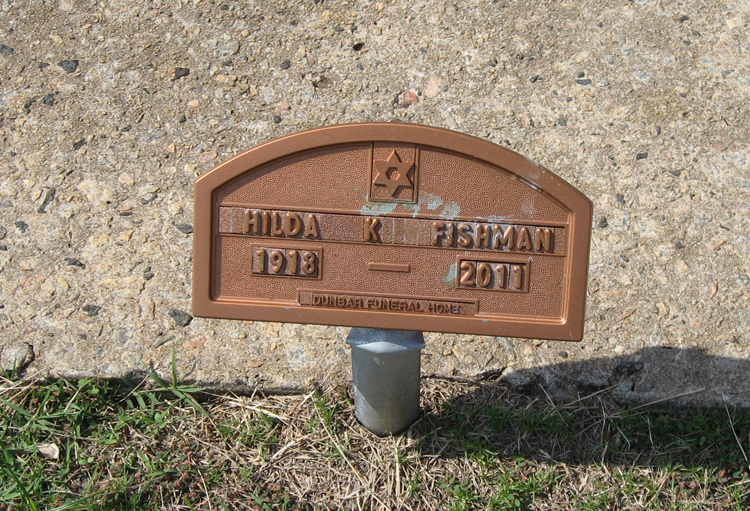 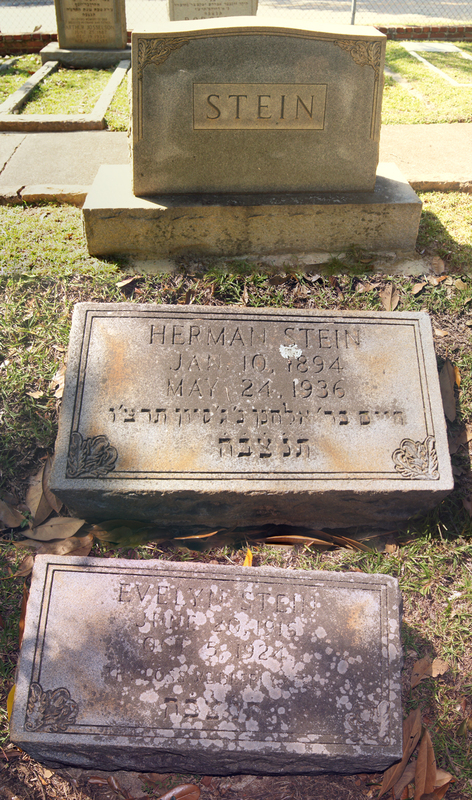 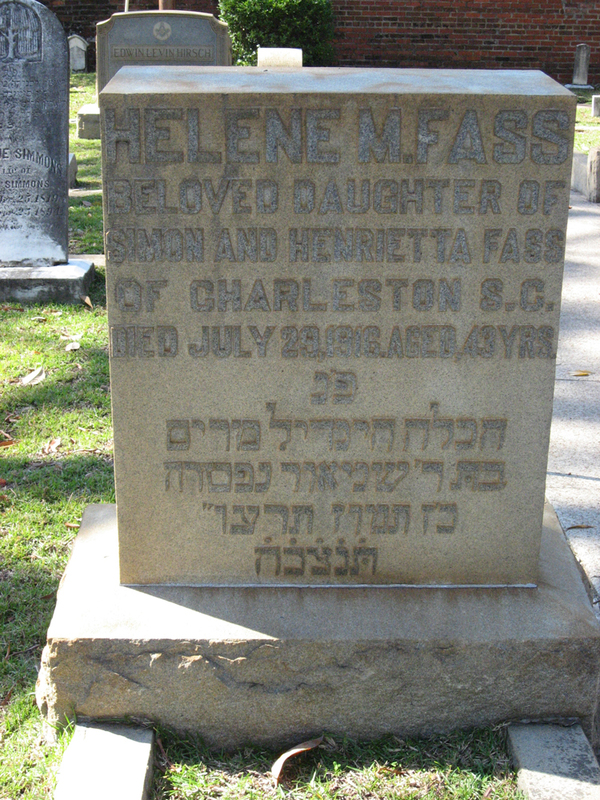 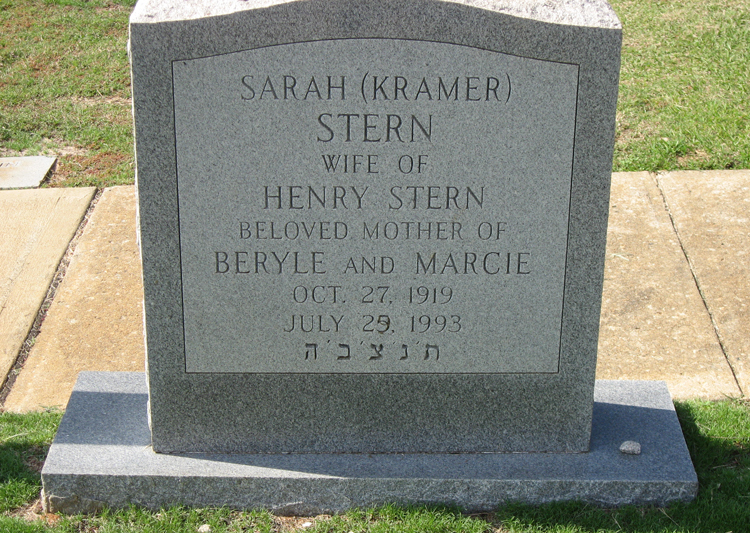 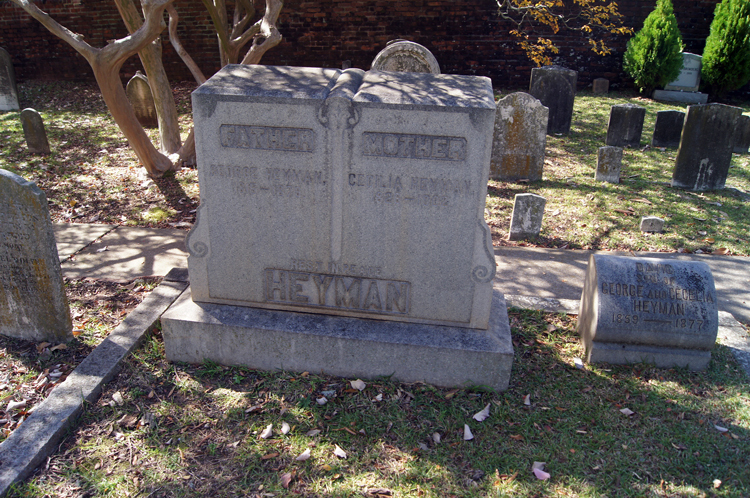 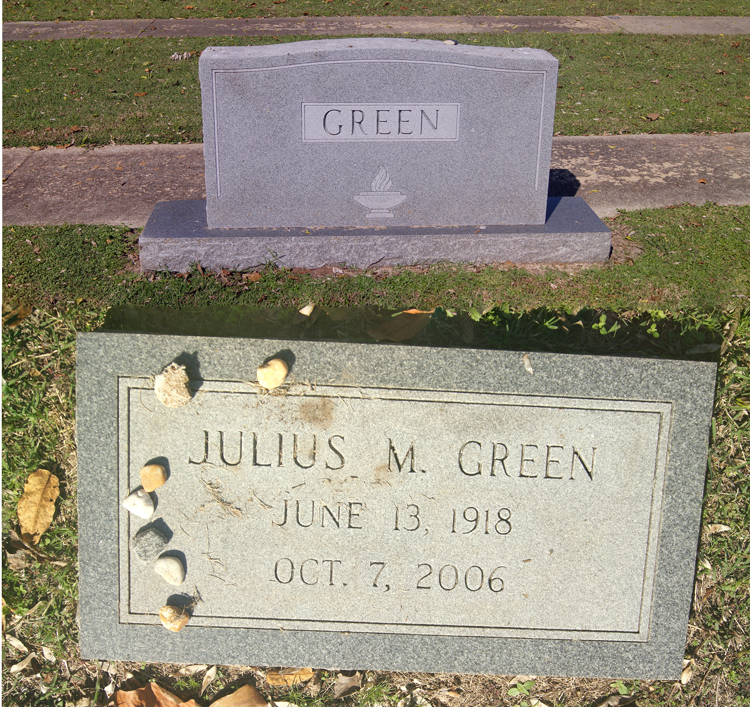 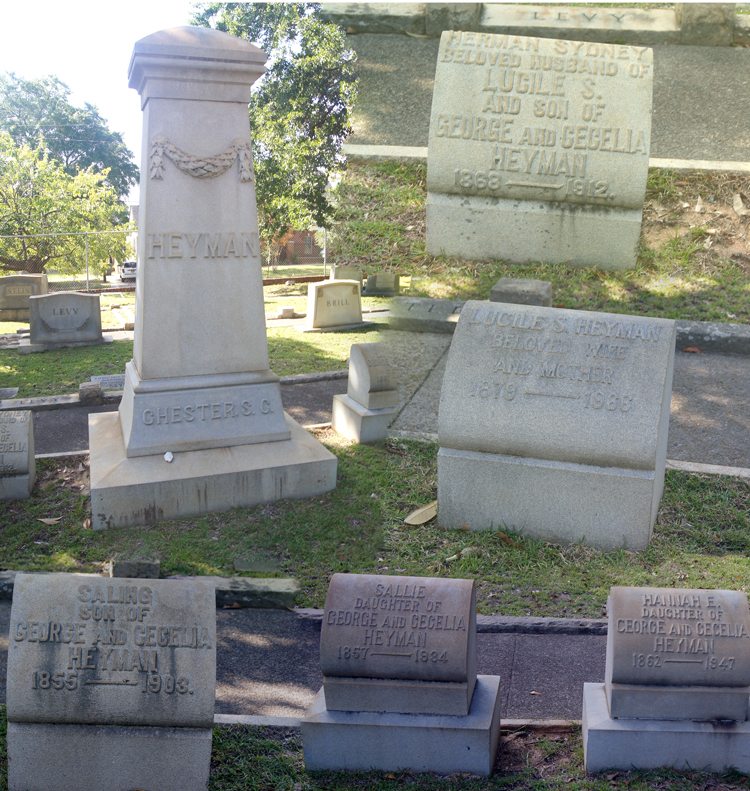 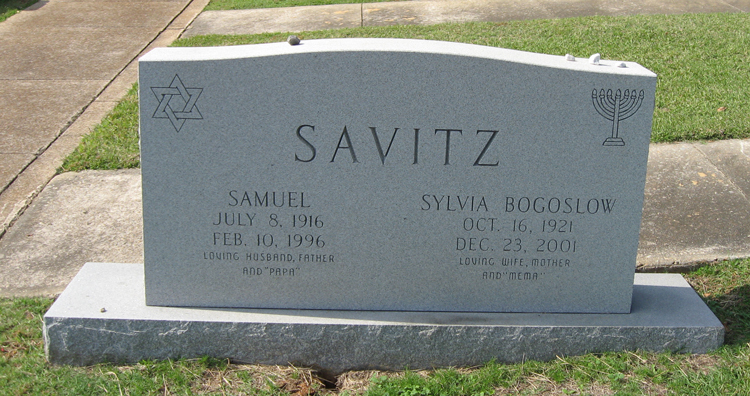 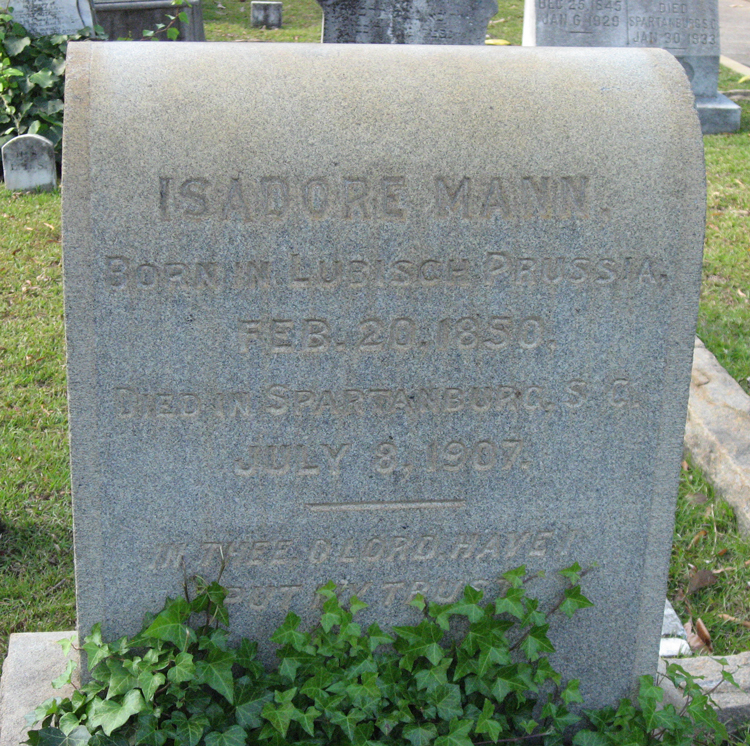 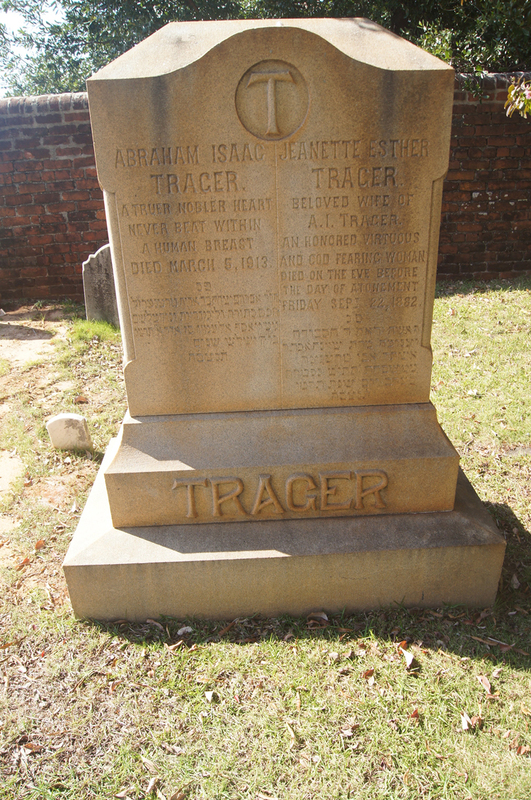 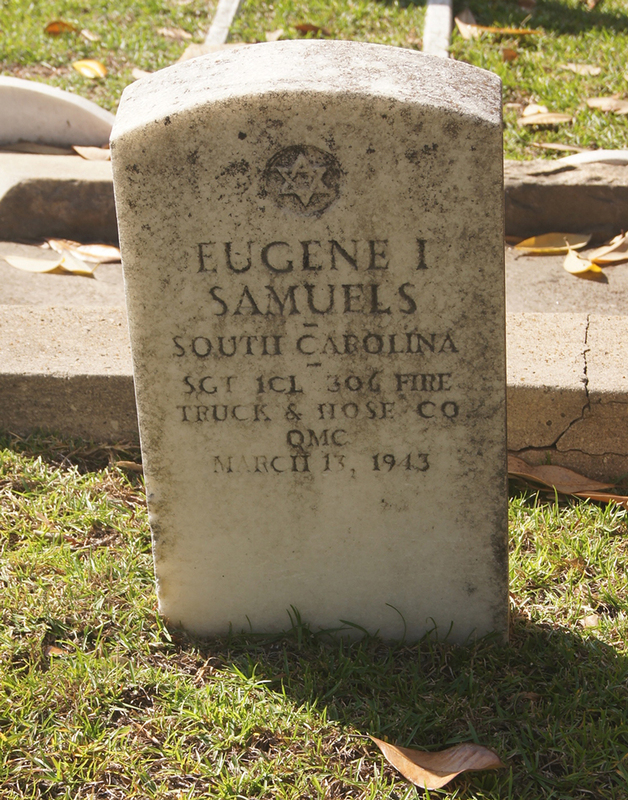 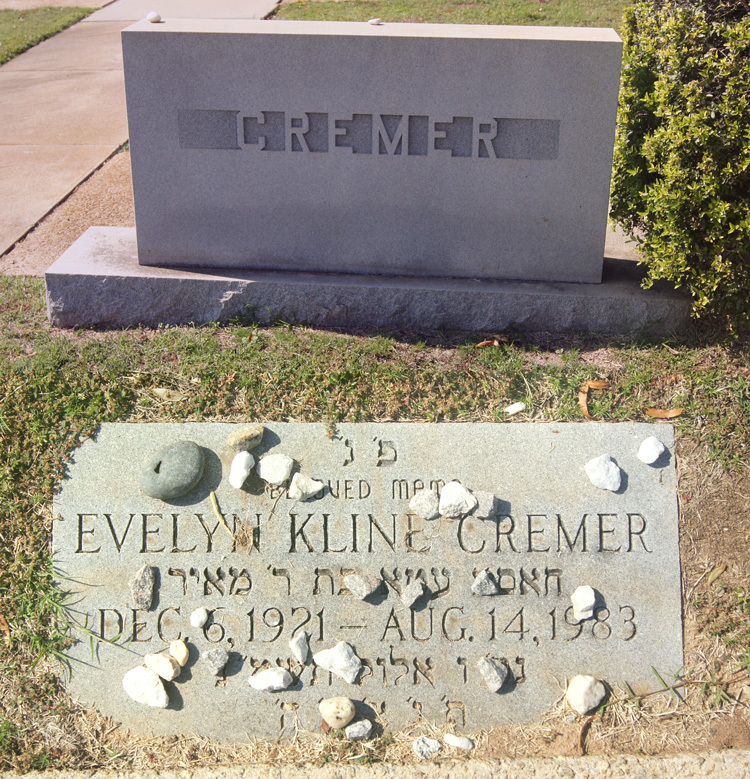 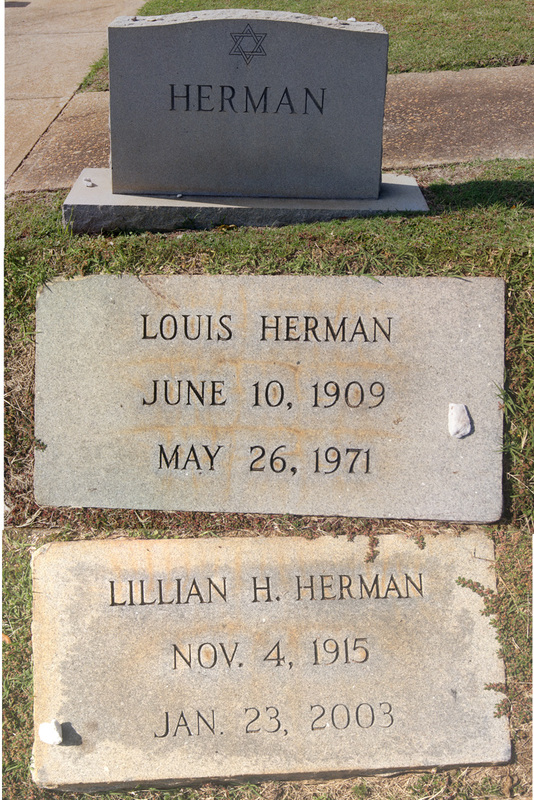 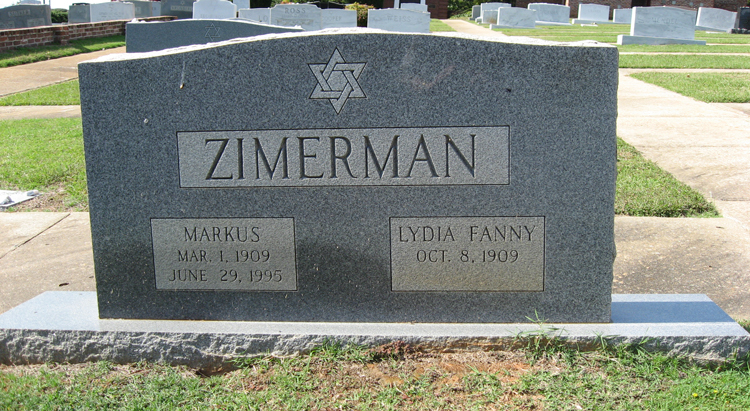 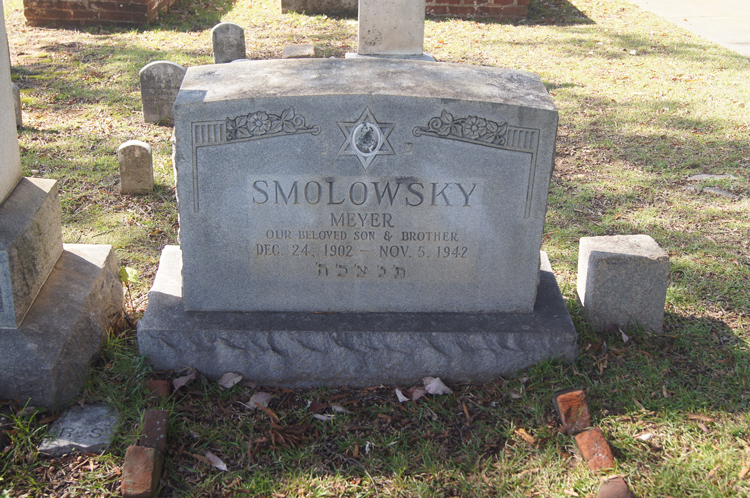 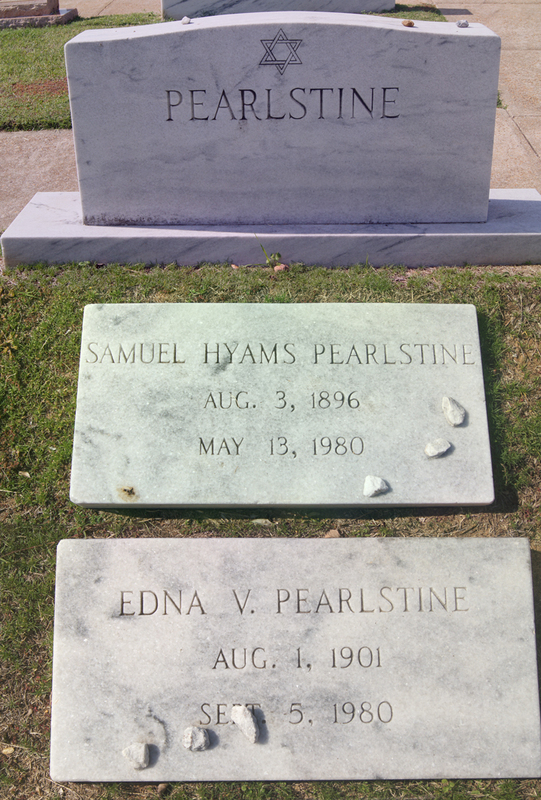 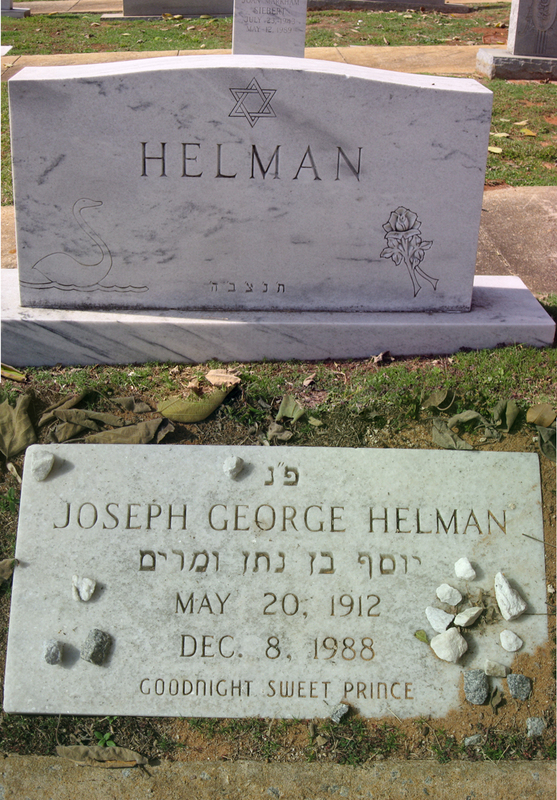 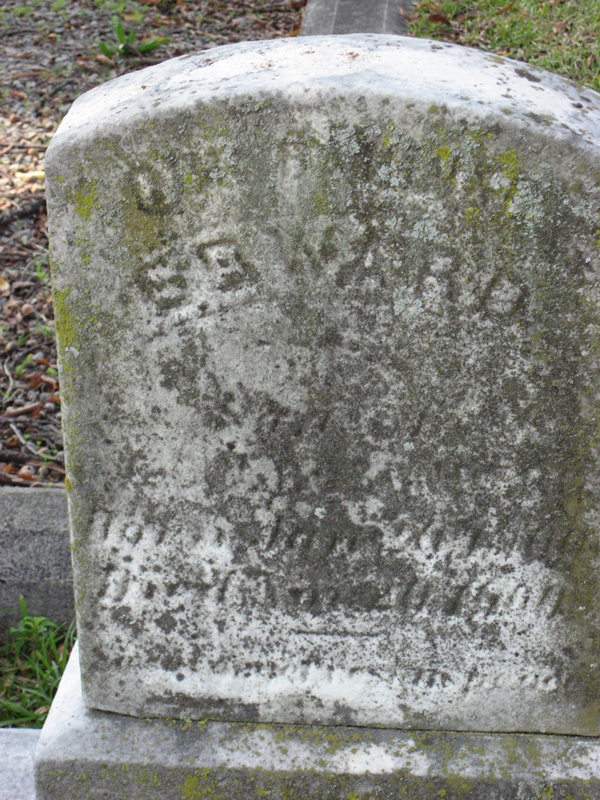 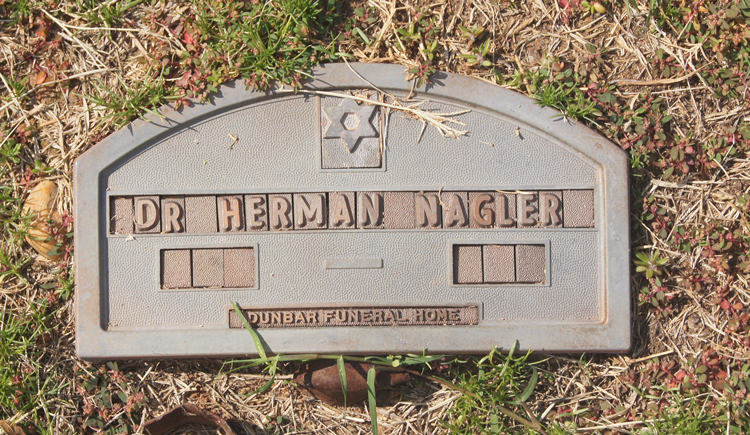 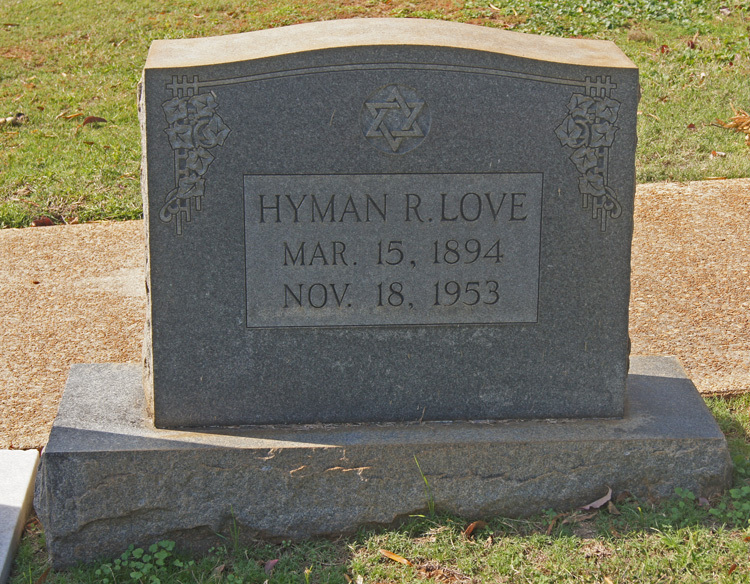 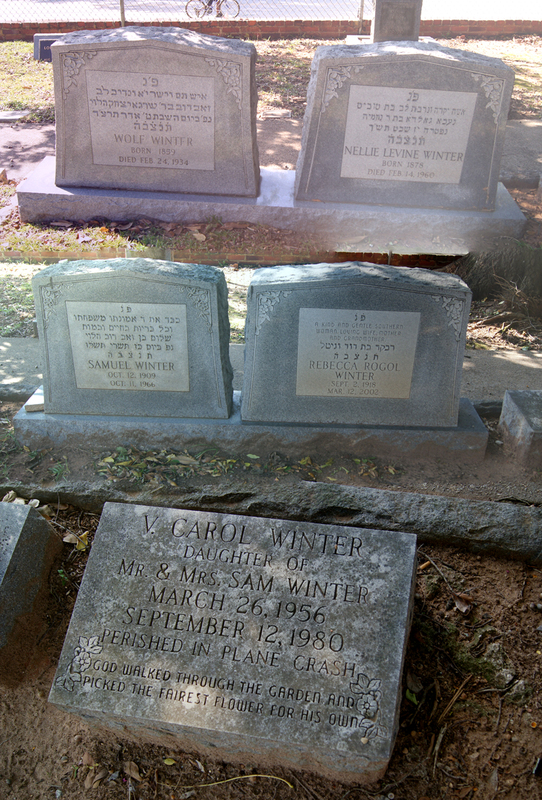 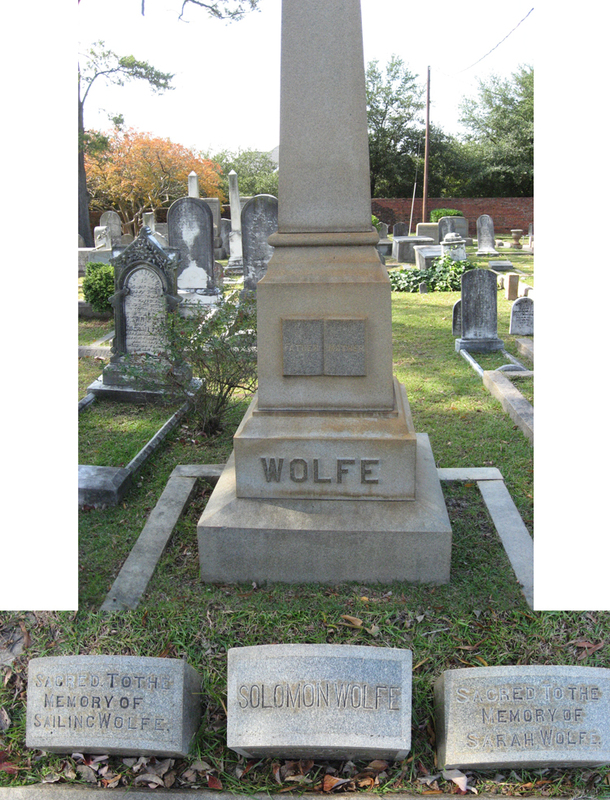 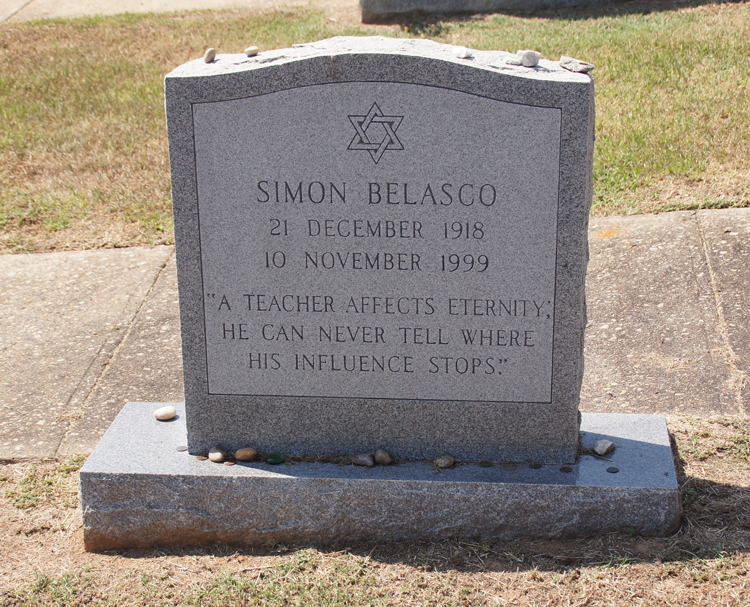 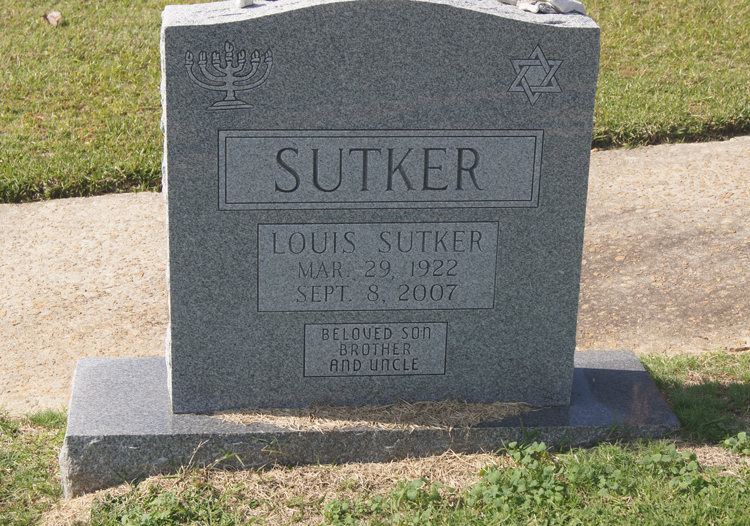 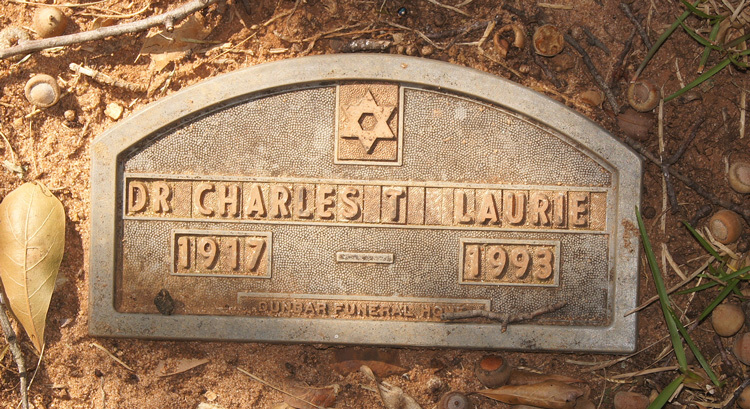 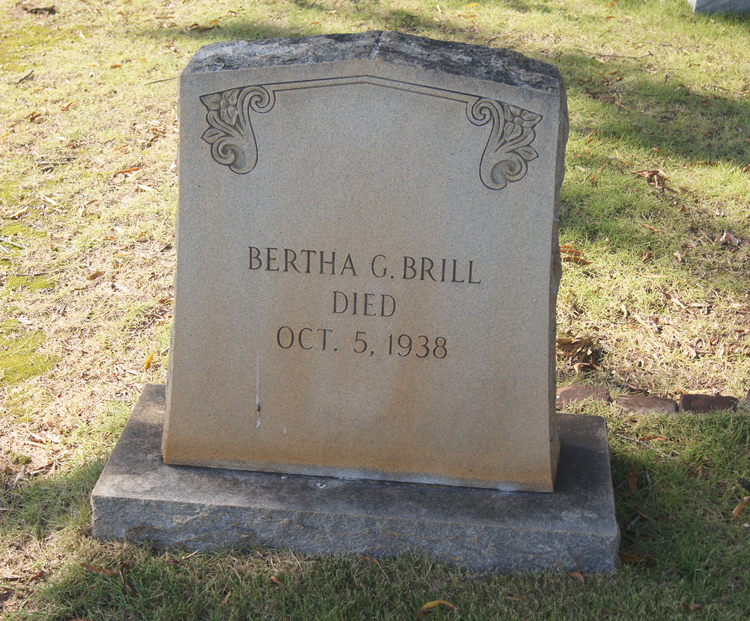 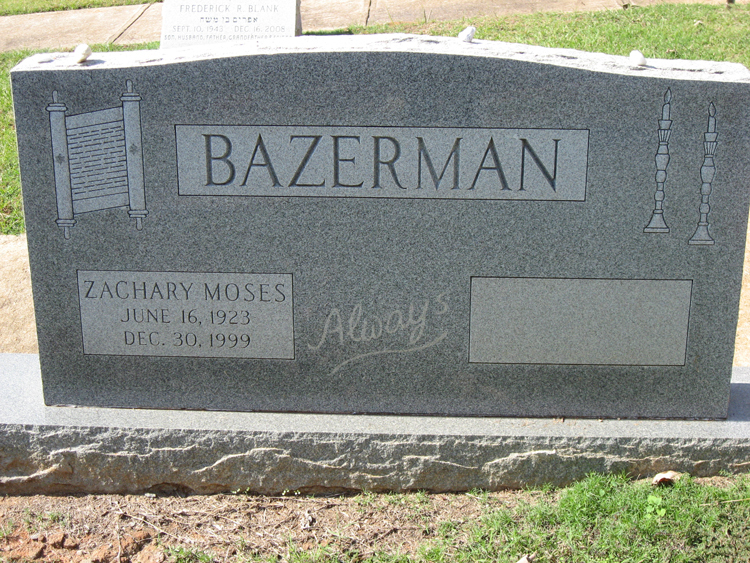 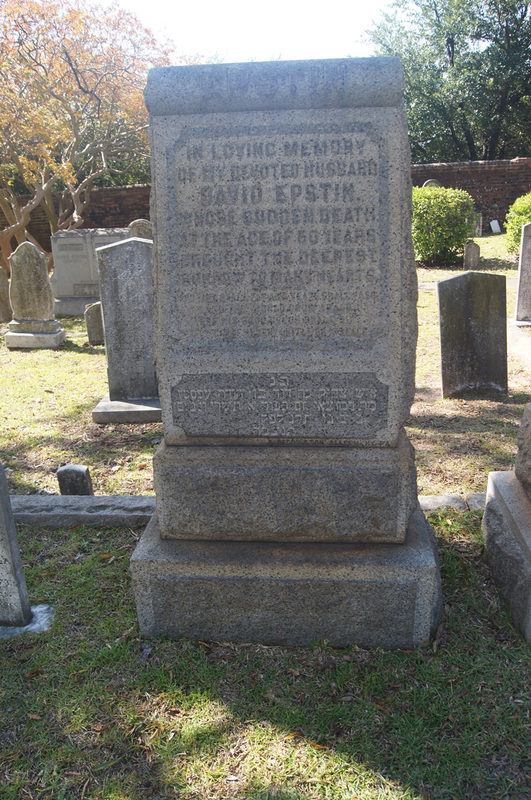 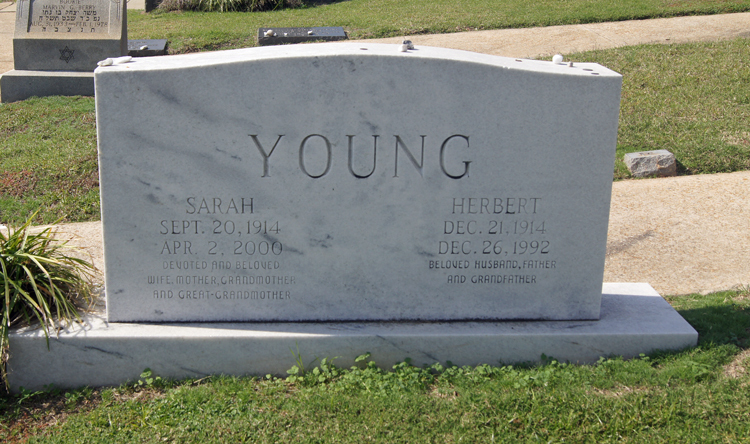 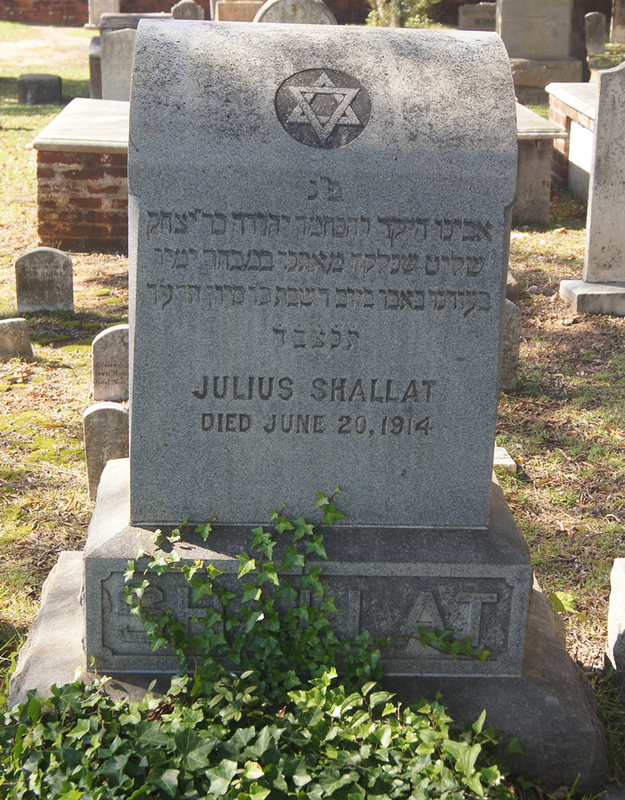 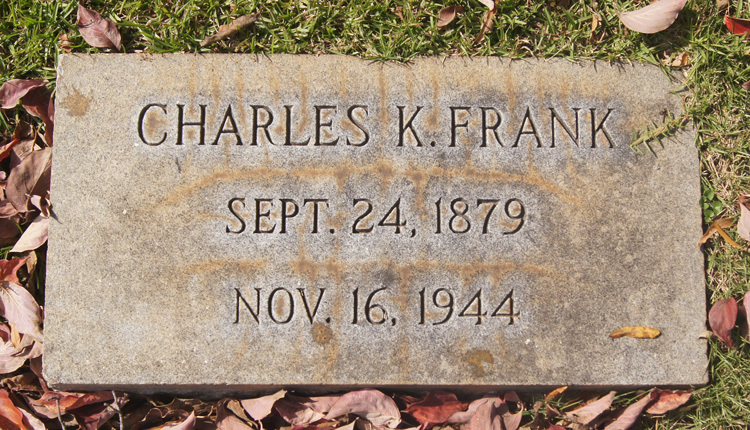 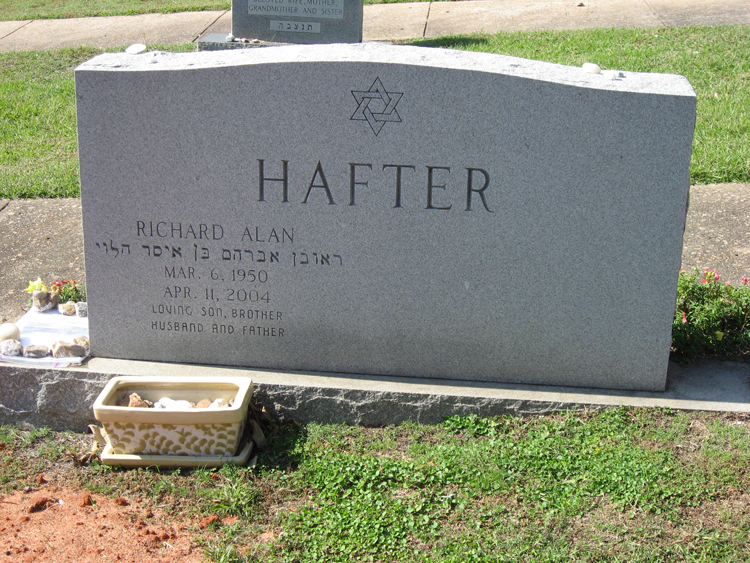 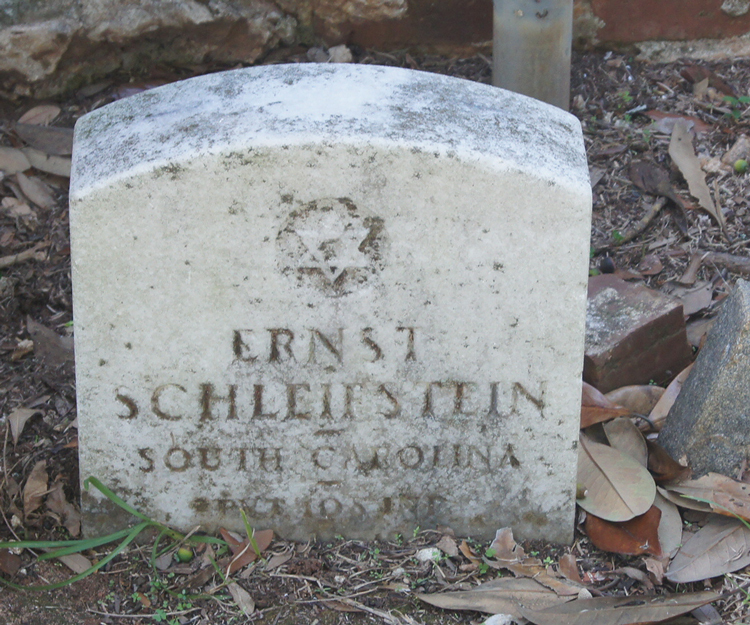 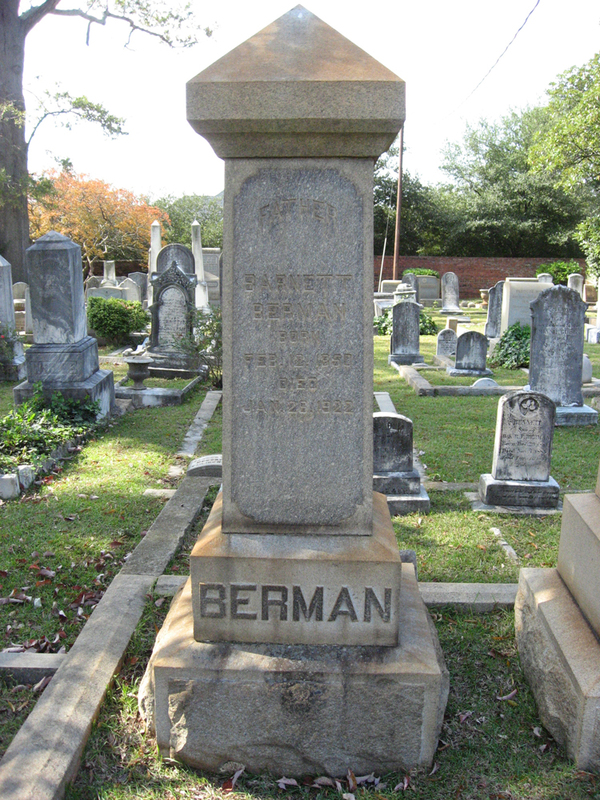 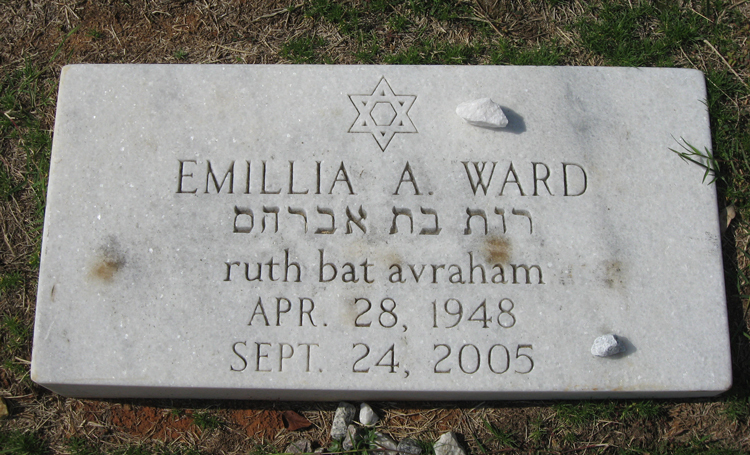 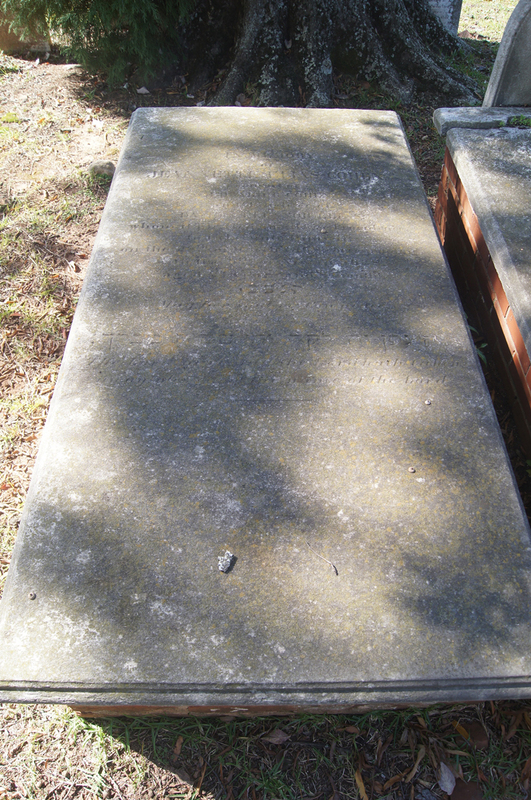 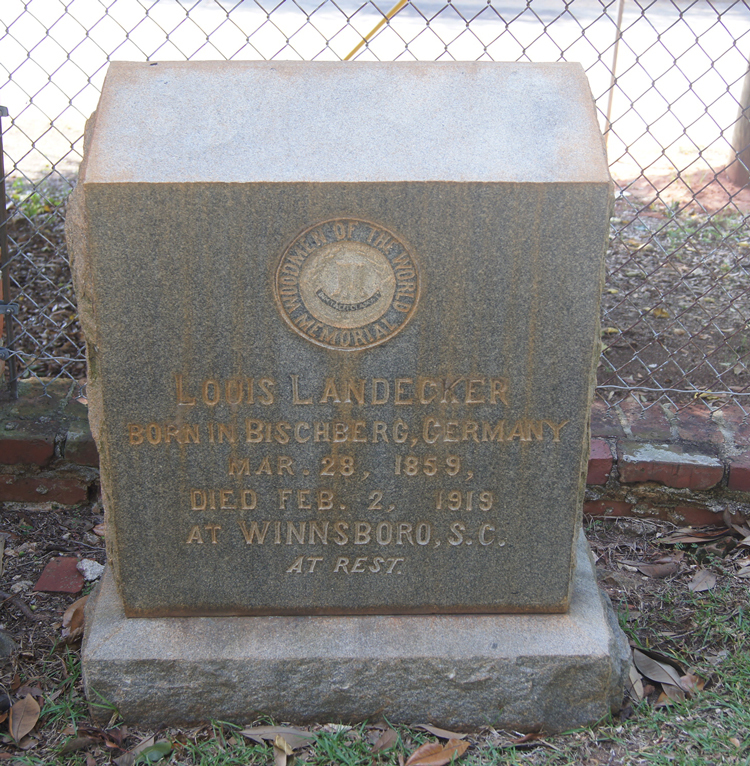 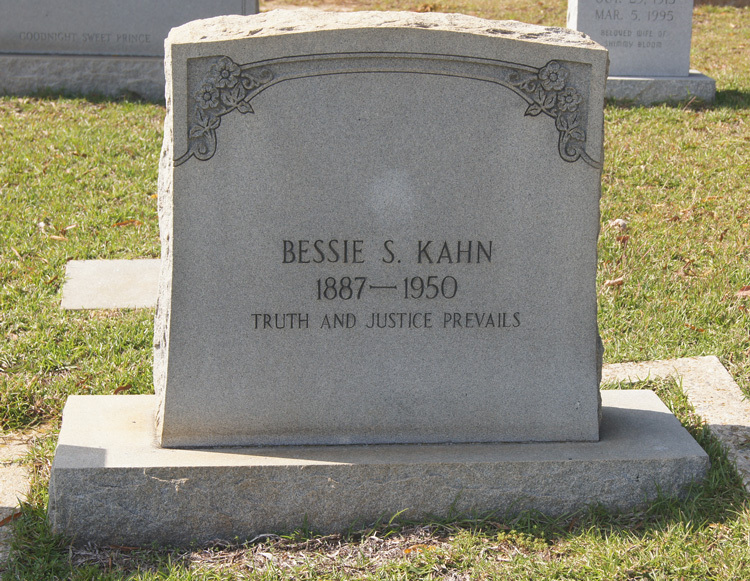 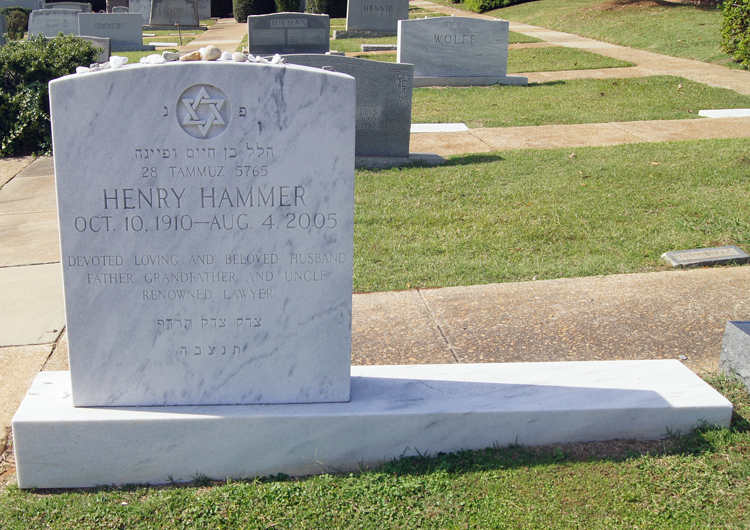 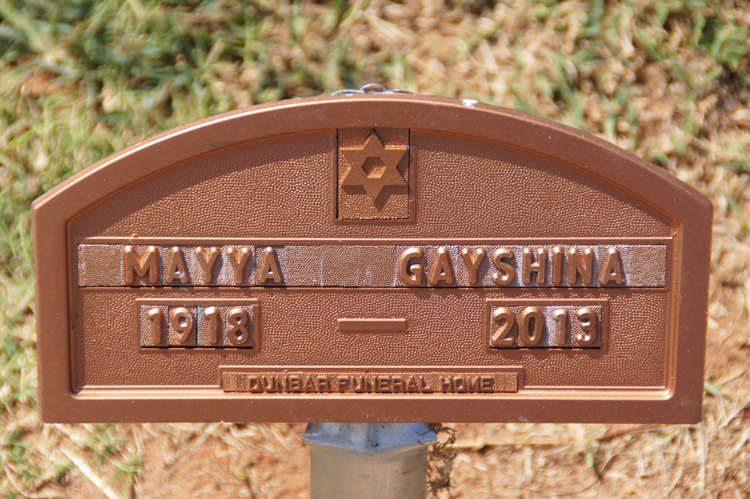 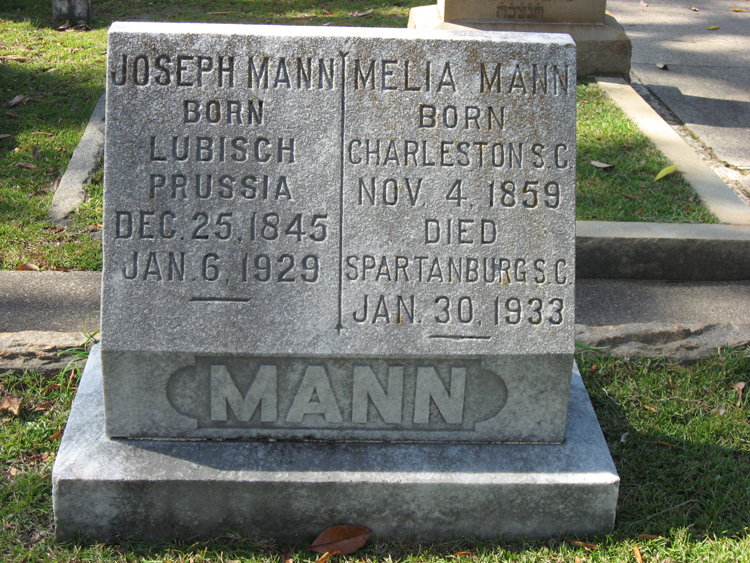 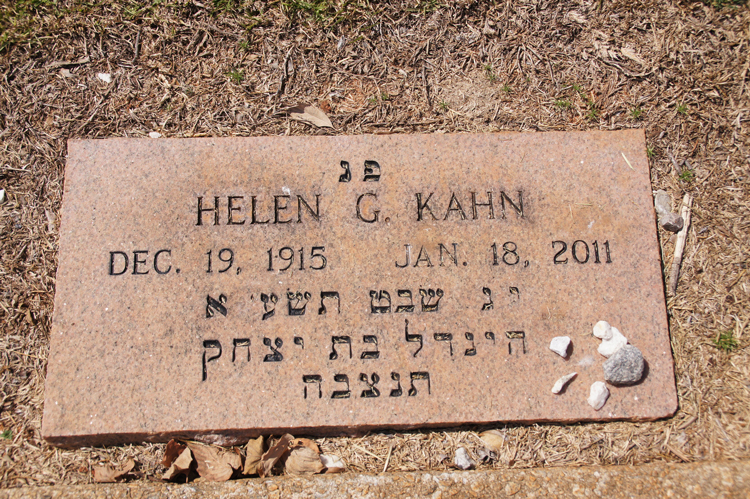 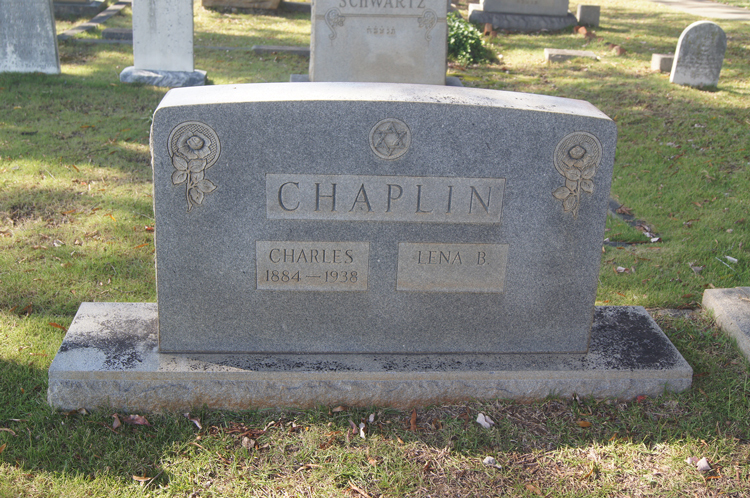 20A-23 HEYMAN Saling Chester, SC USA 1905 1960 Herman Sidney HEYMAN Lucile S.
18A-11 HIRSCH Edwin LEVIN 23-Nov-1879 1928 Beatrice D.
25-1 HYMSON Charles Edwin 14-Feb-1884 07-Nov-1951 Ida B. 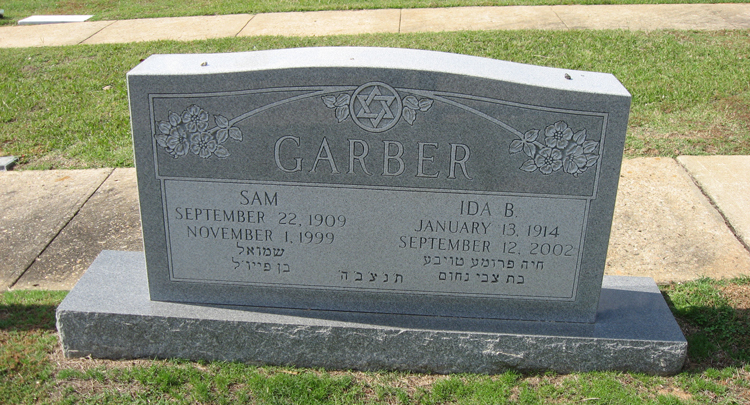 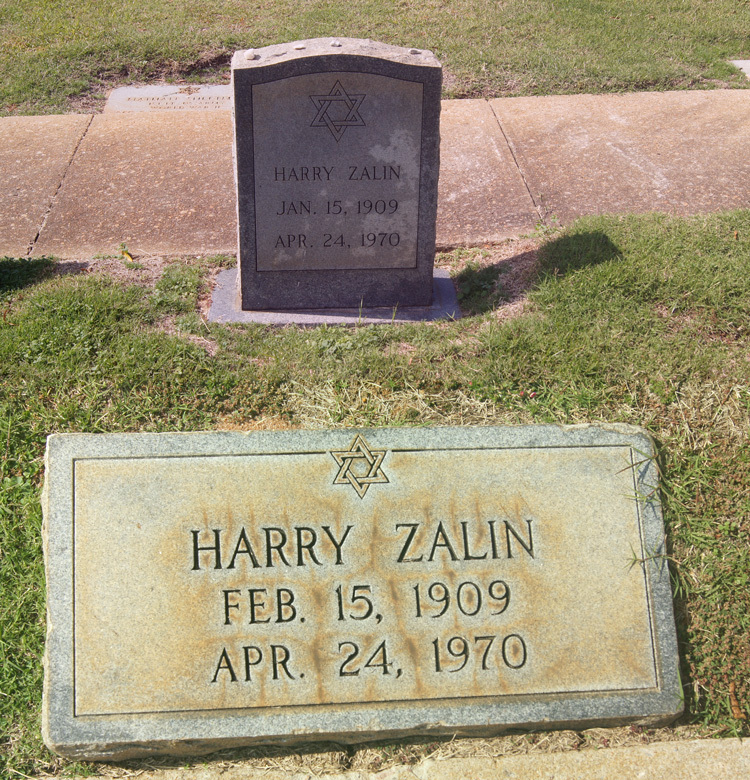 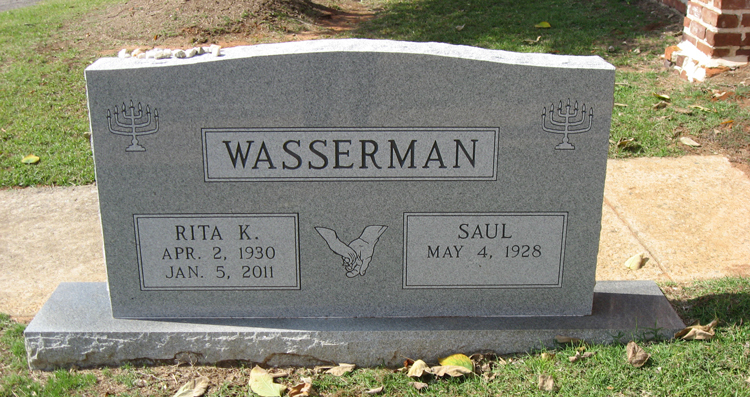 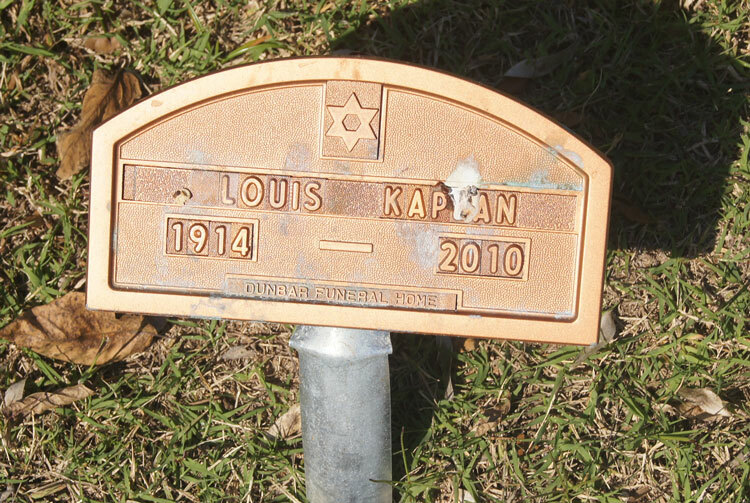 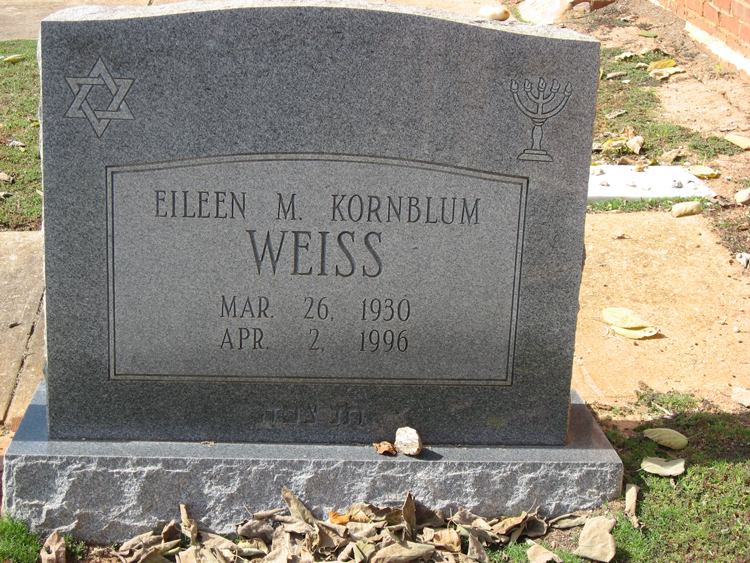 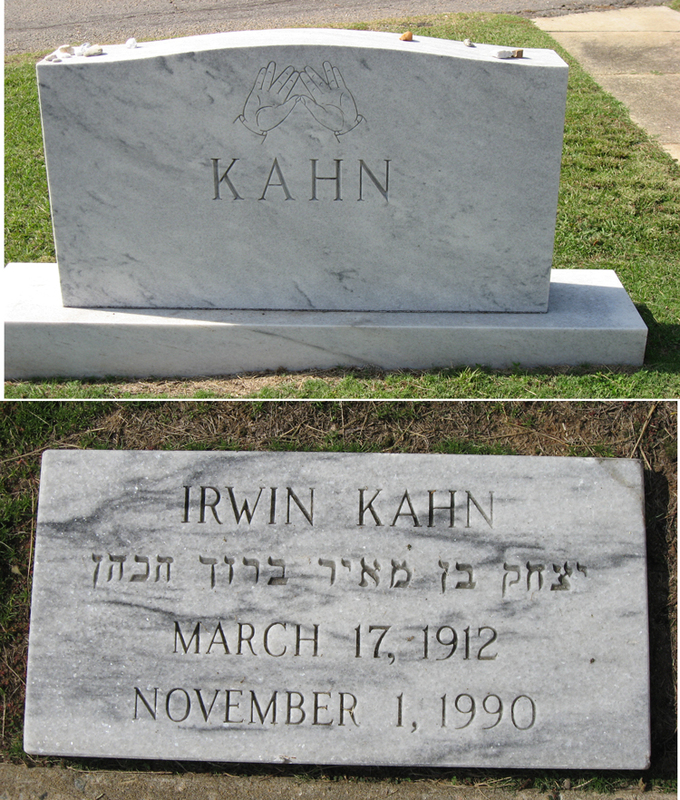 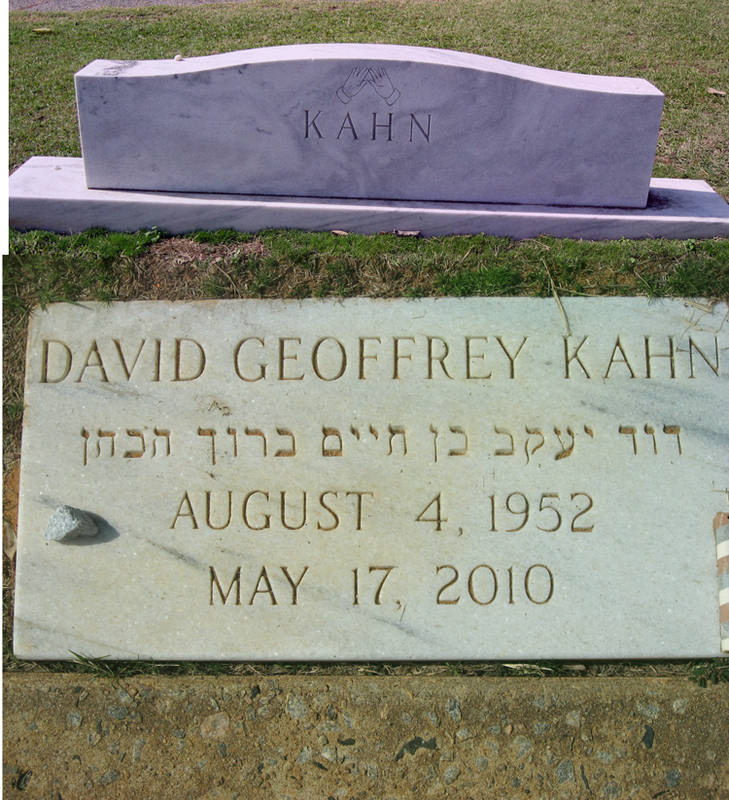 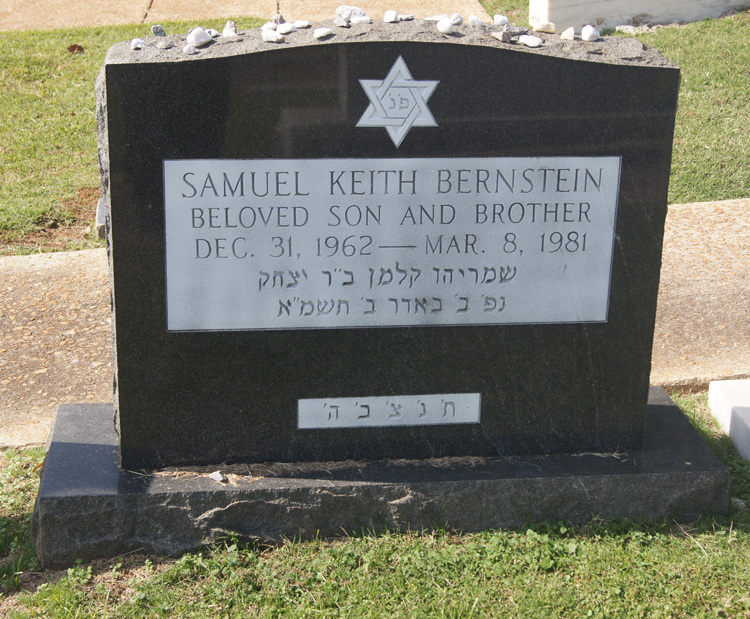 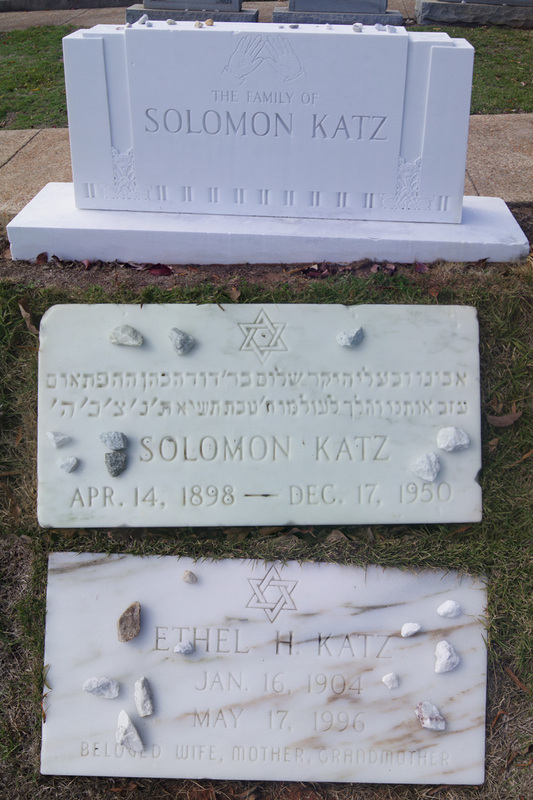 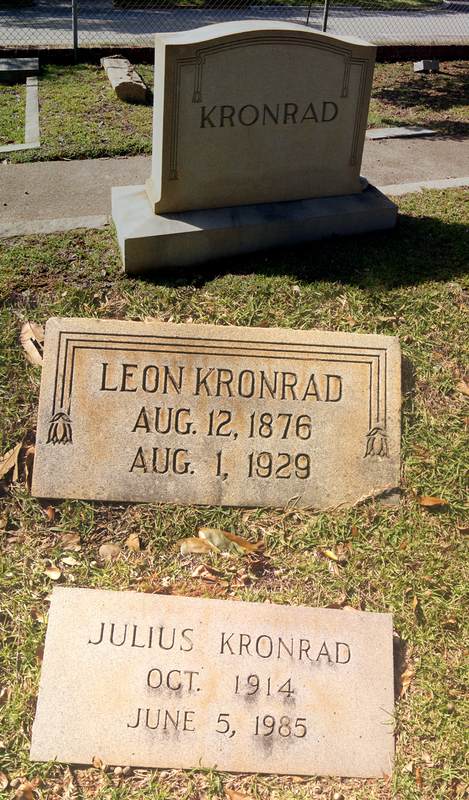 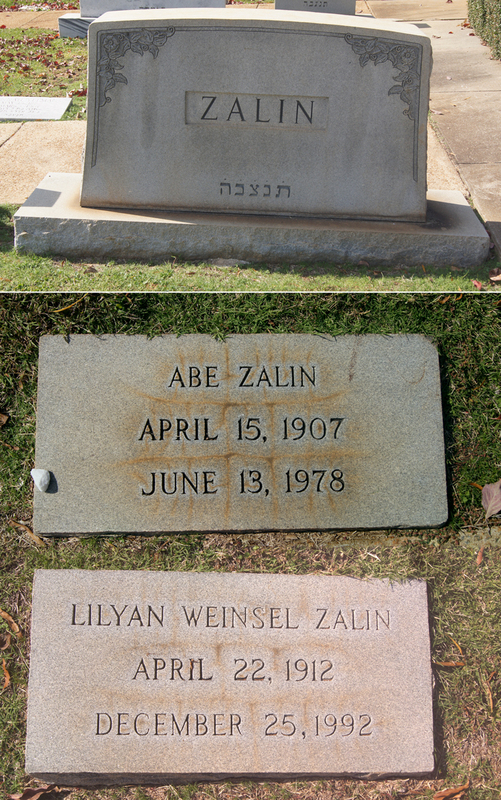 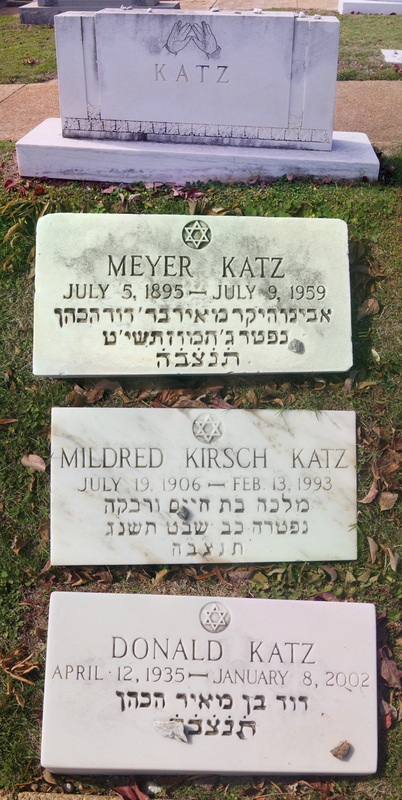 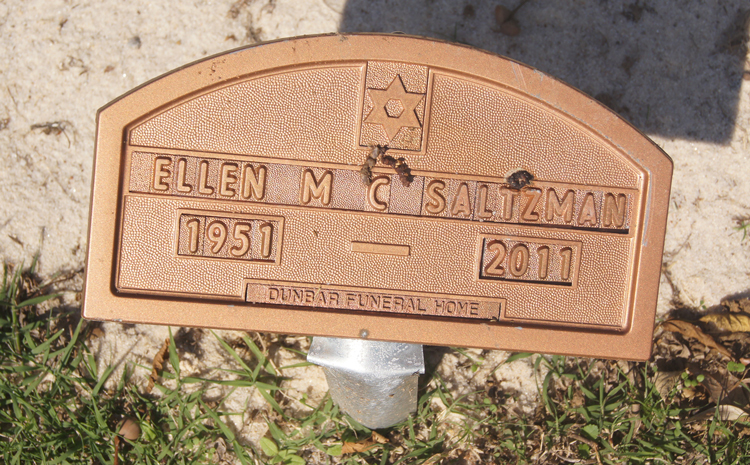 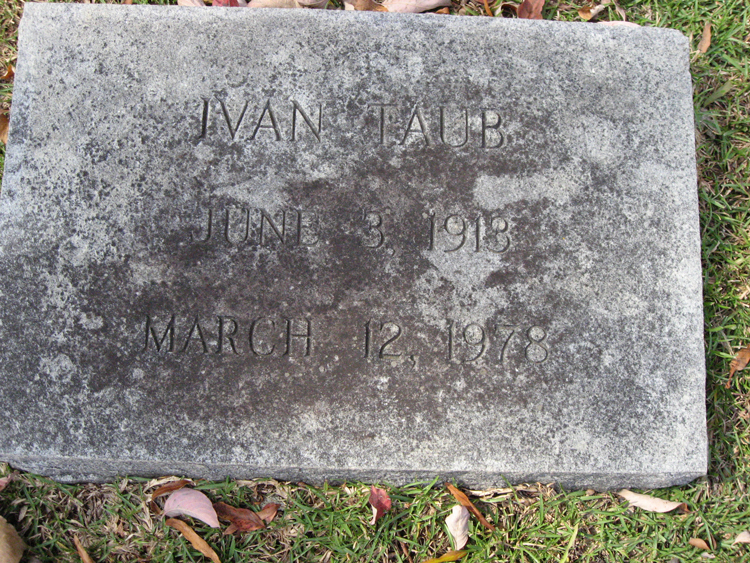 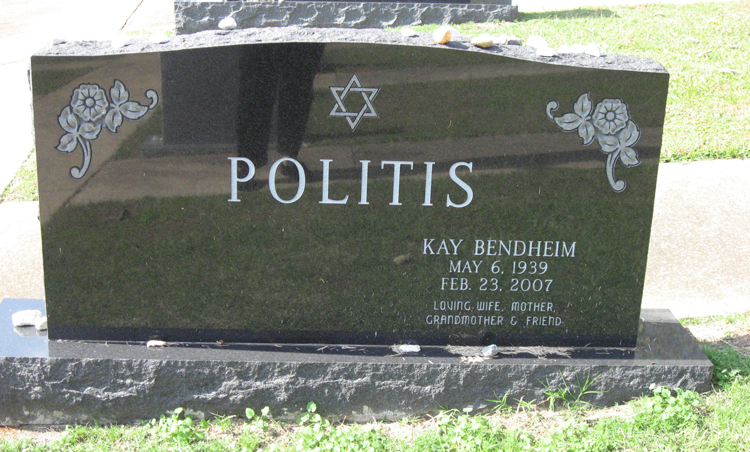 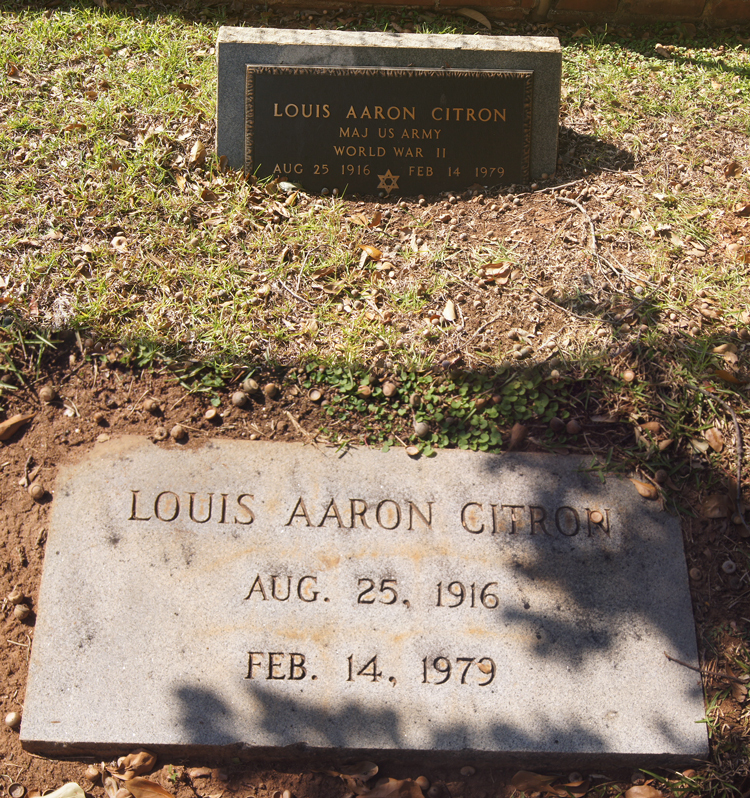 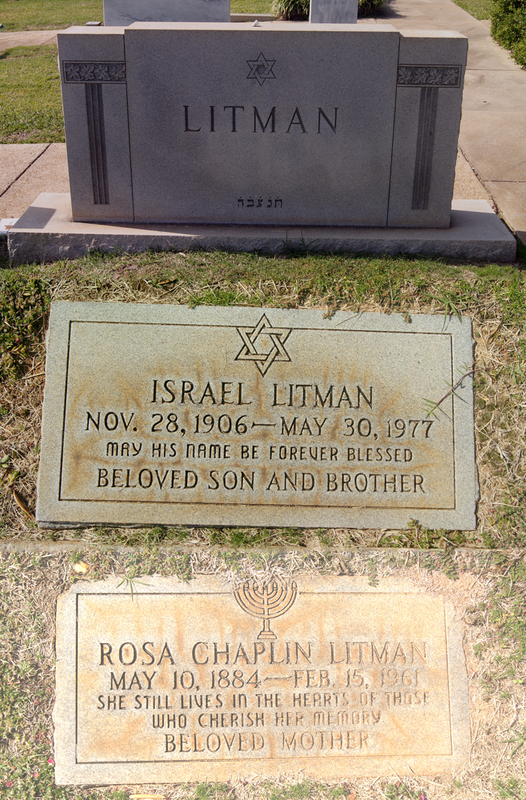 44-1 KATZ Solomon 1898 17-Dec-1950 Ethel H.
10-4 KOHN Dorita MOISE 23-Jan-1900 24-Aug-1992 August KOHN, Jr.
LAPIDUS Hazel CASTORE 13-Jun-1914 Living Bernard LAPIDUS, M.D. 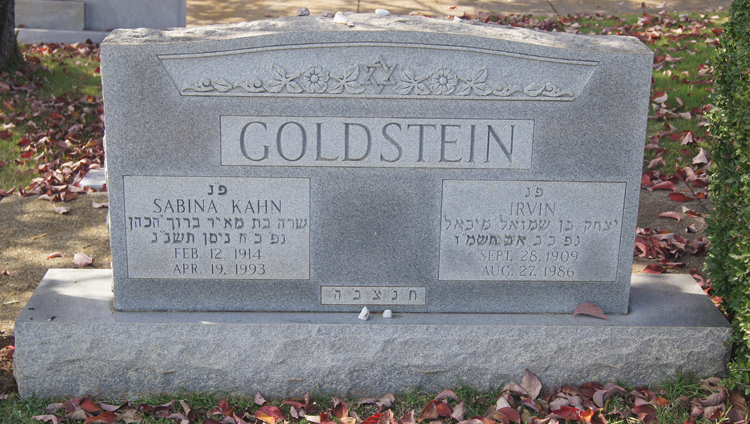 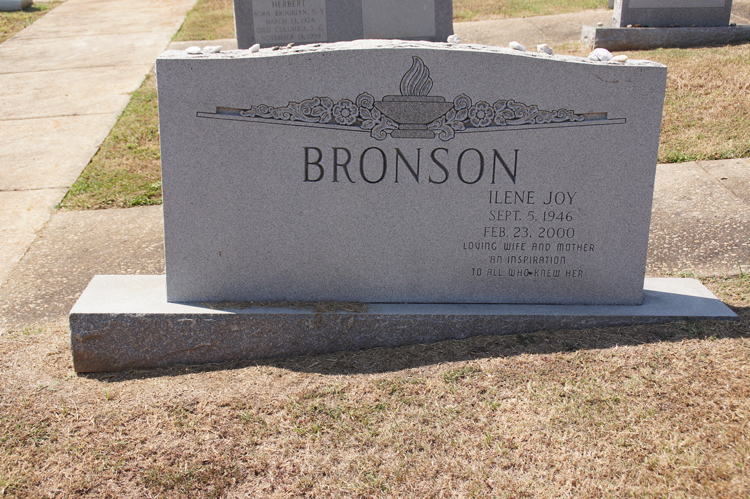 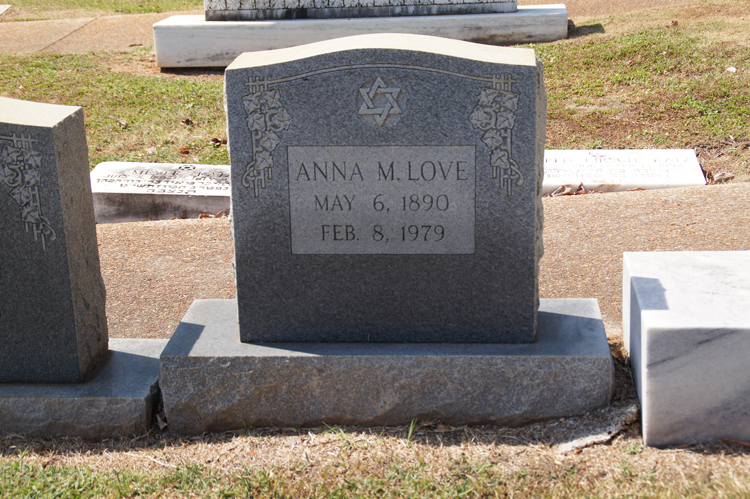 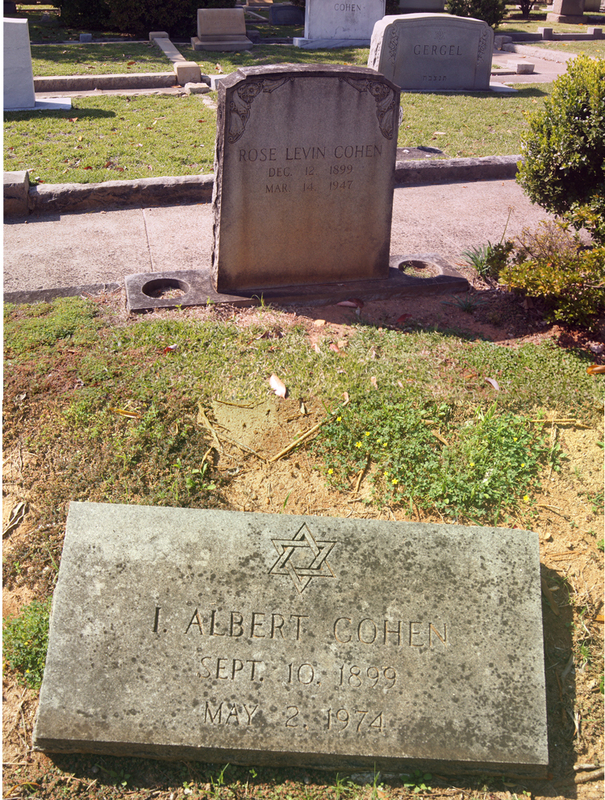 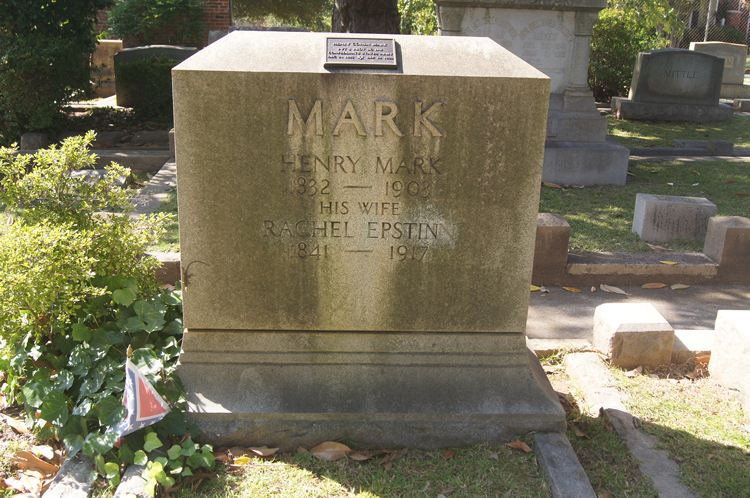 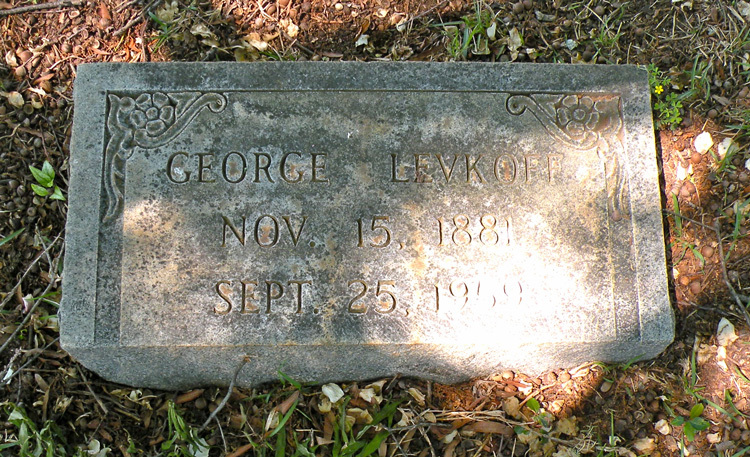 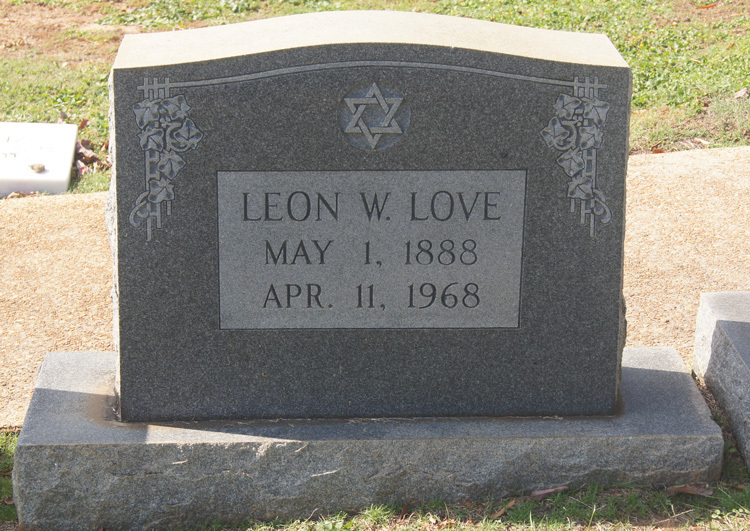 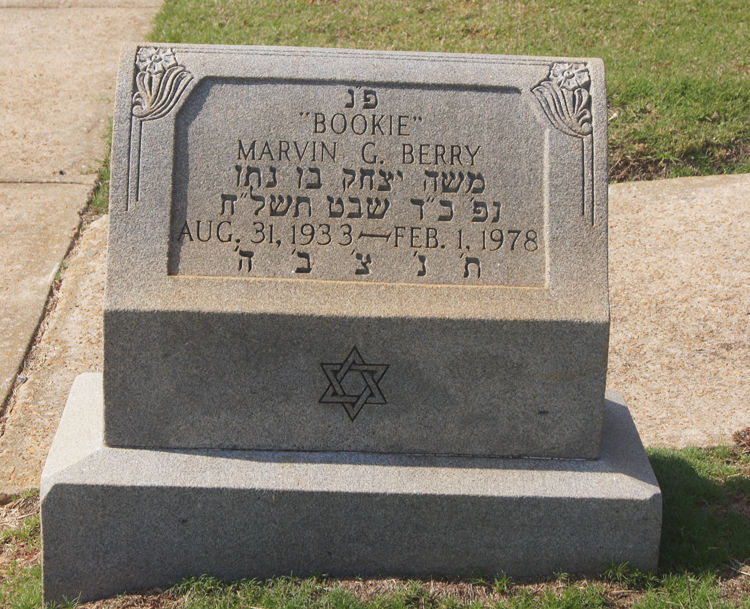 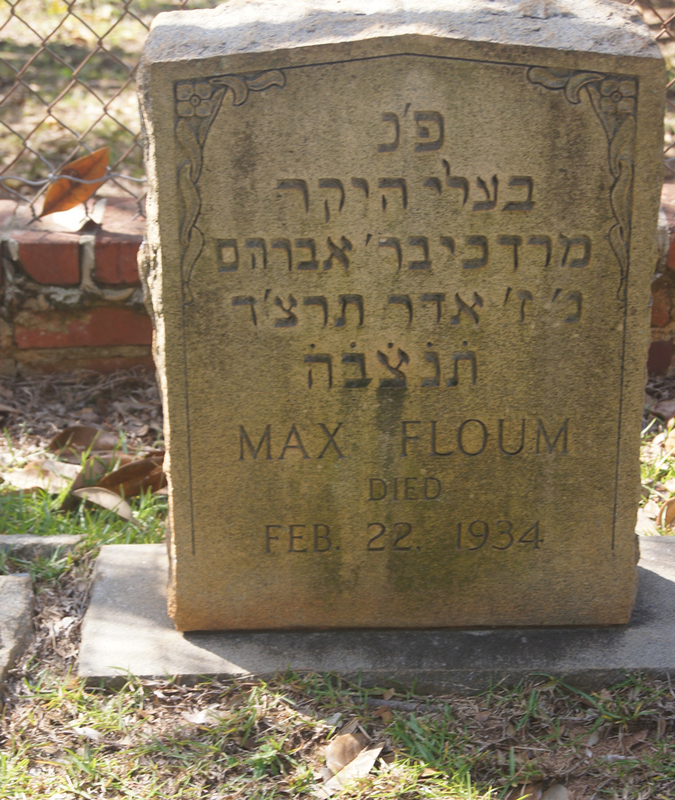 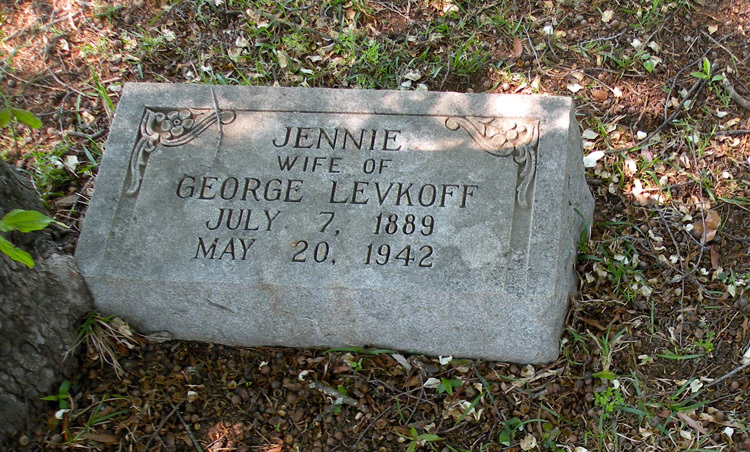 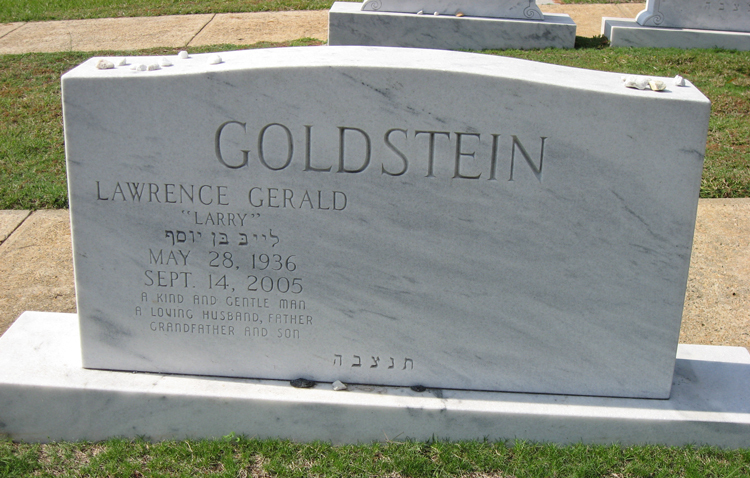 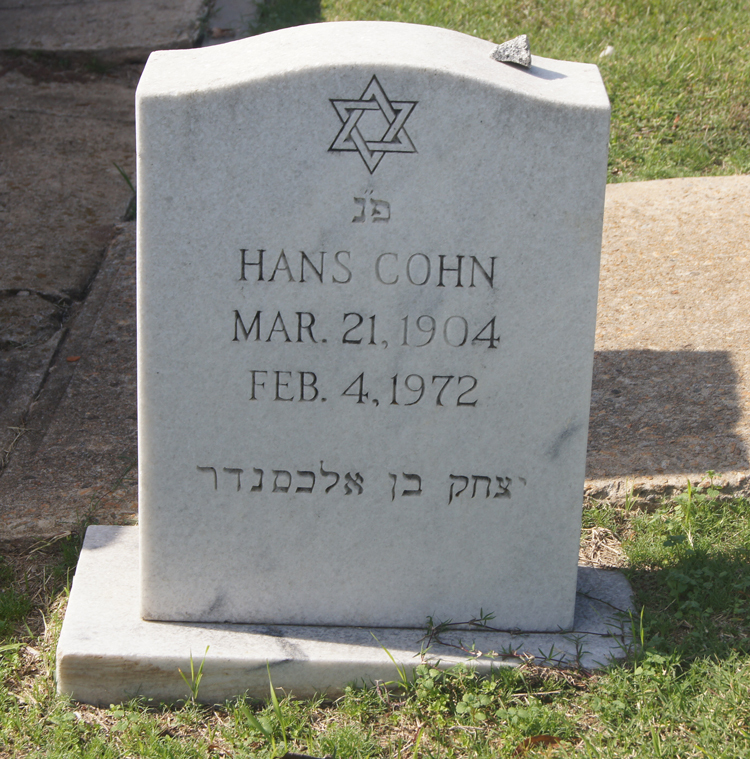 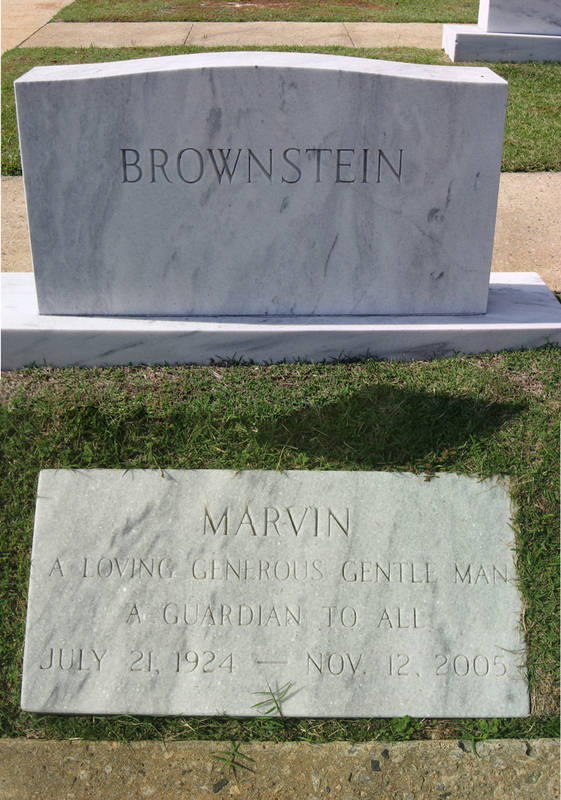 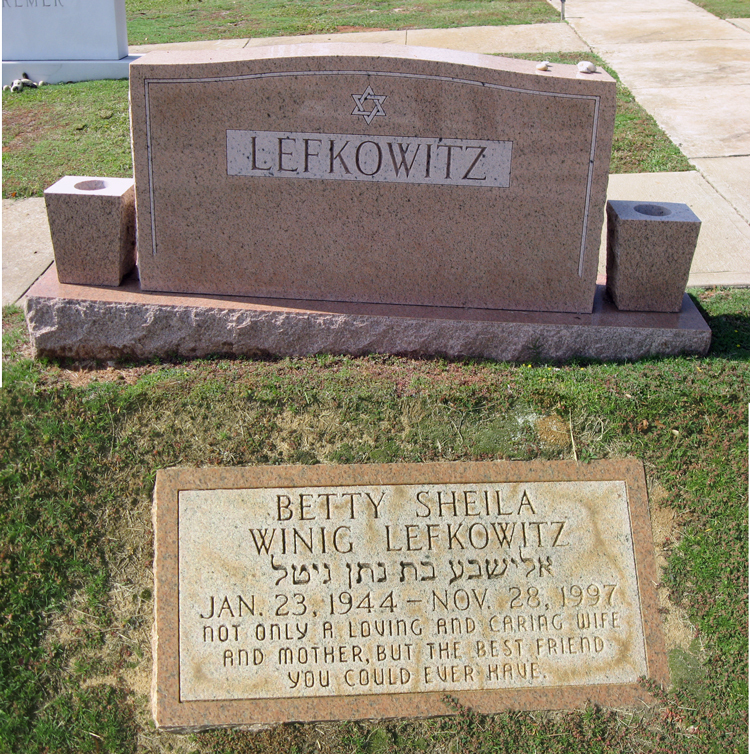 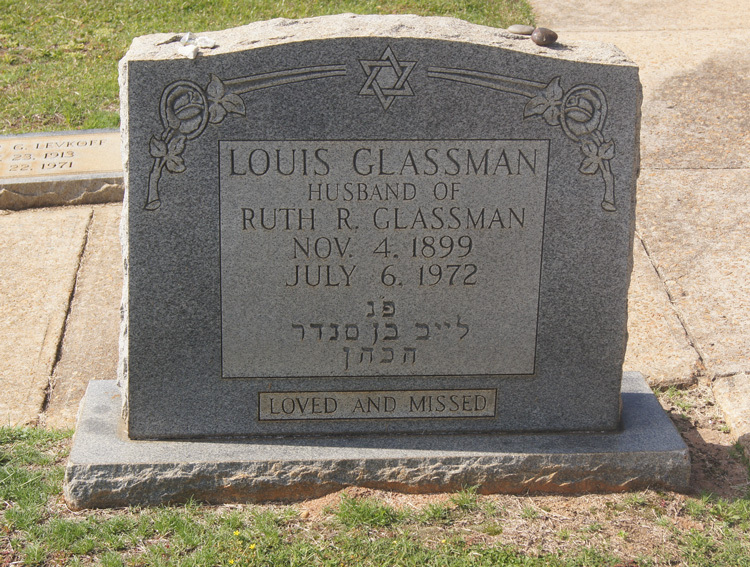 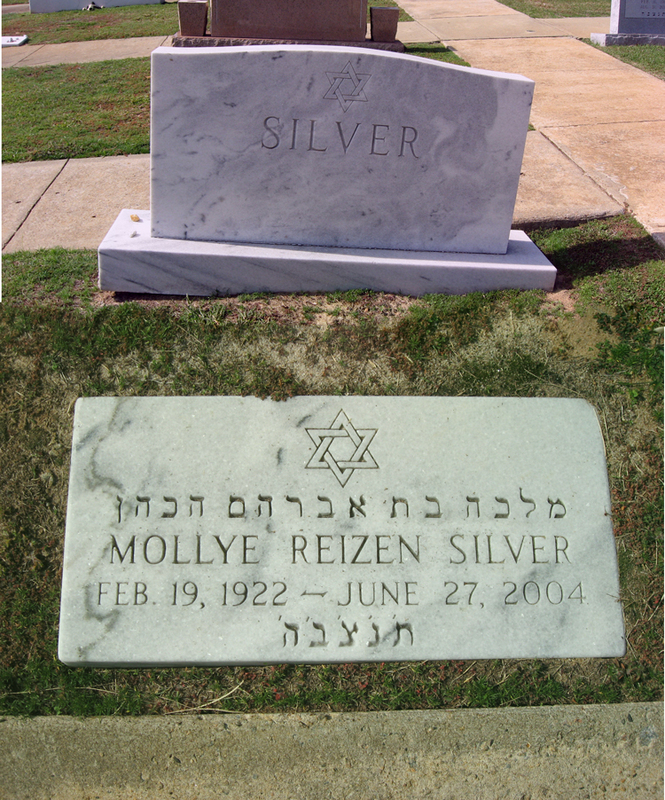 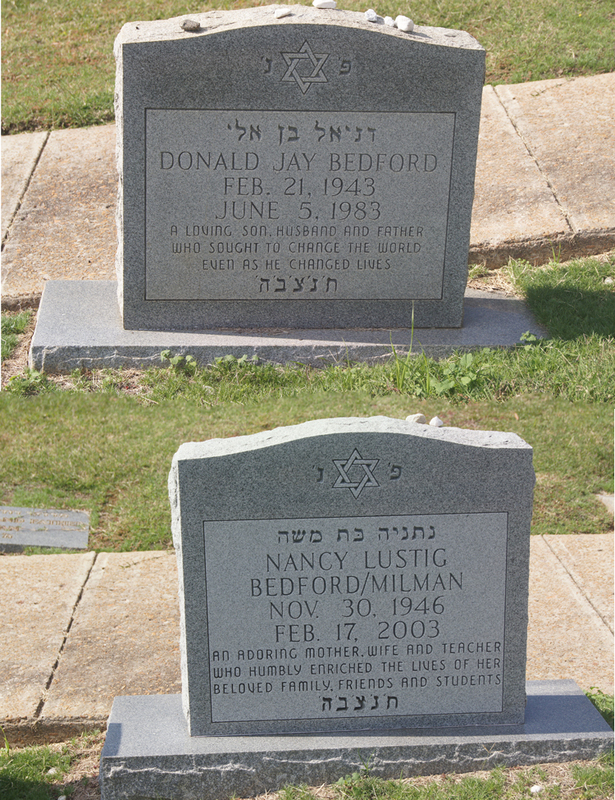 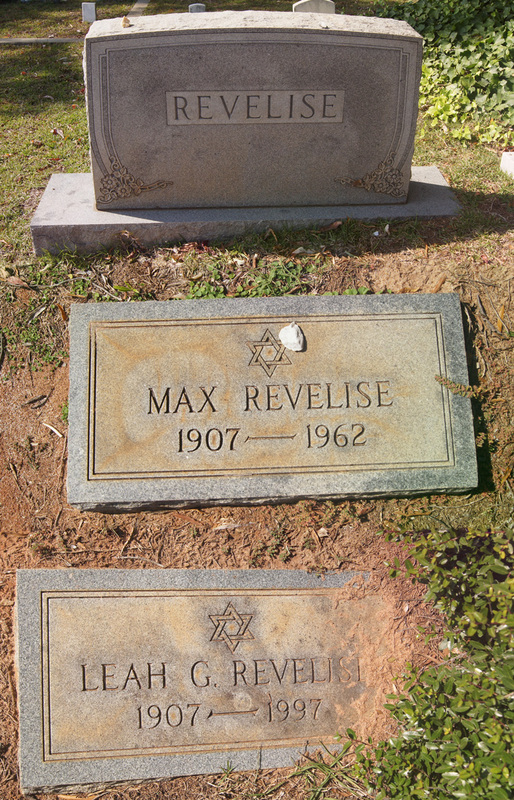 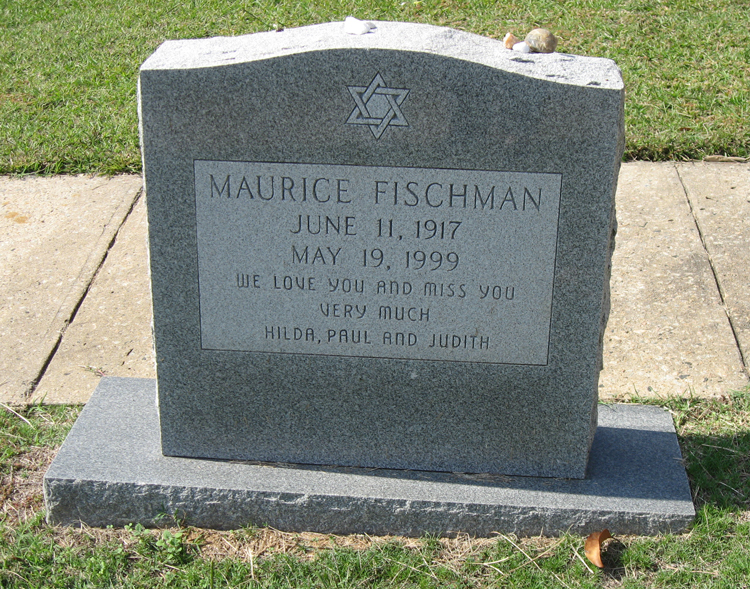 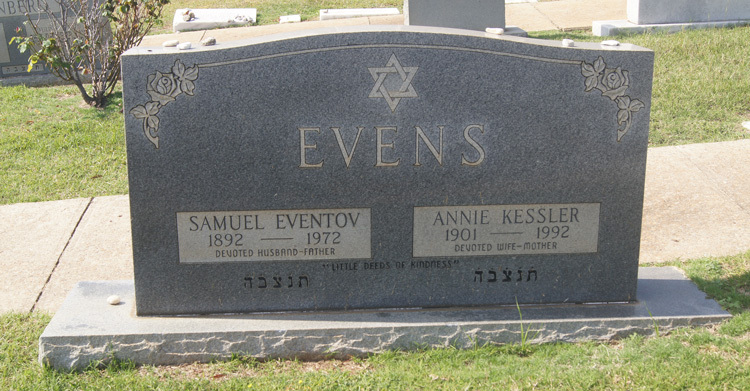 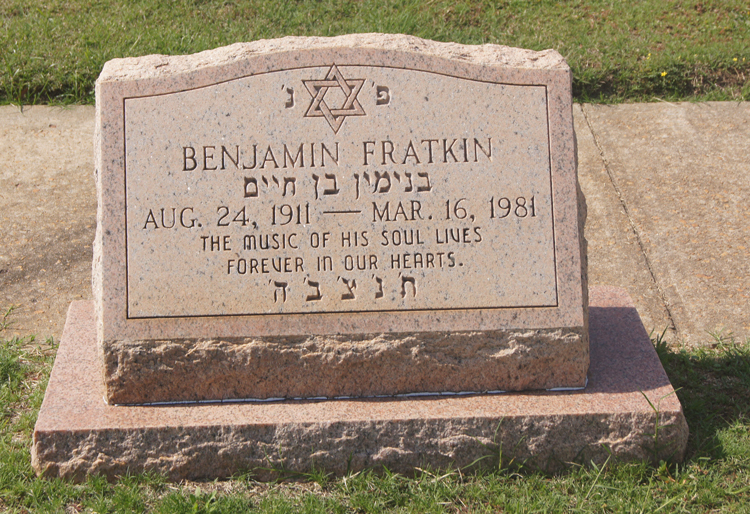 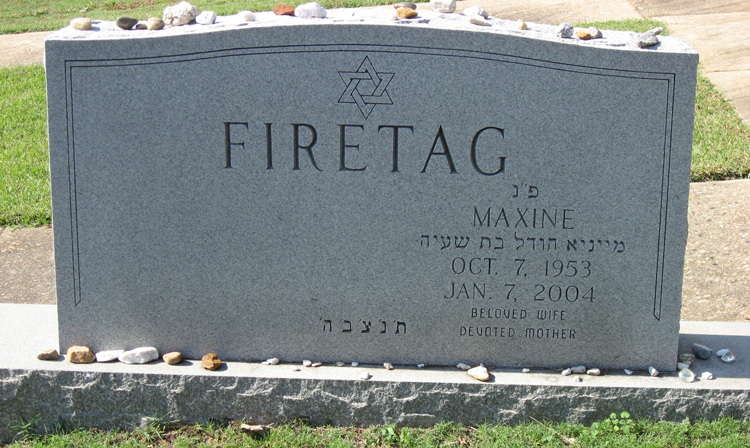 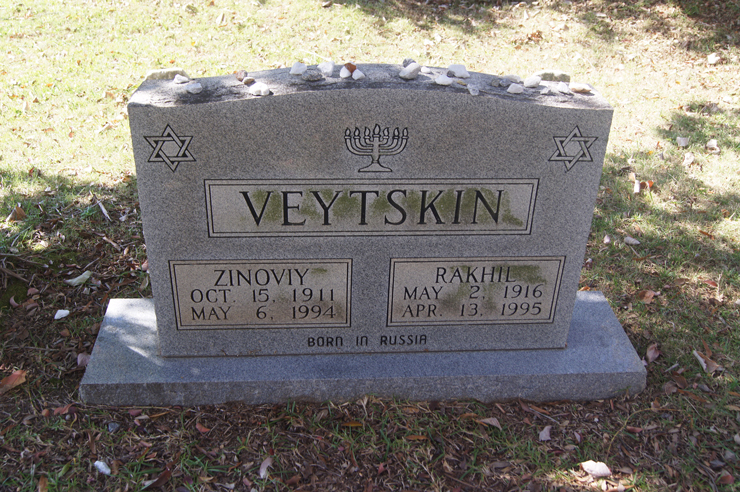 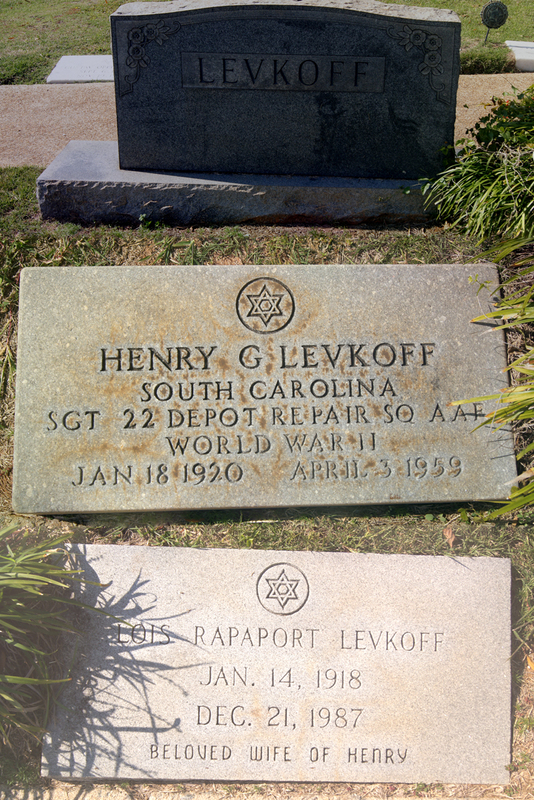 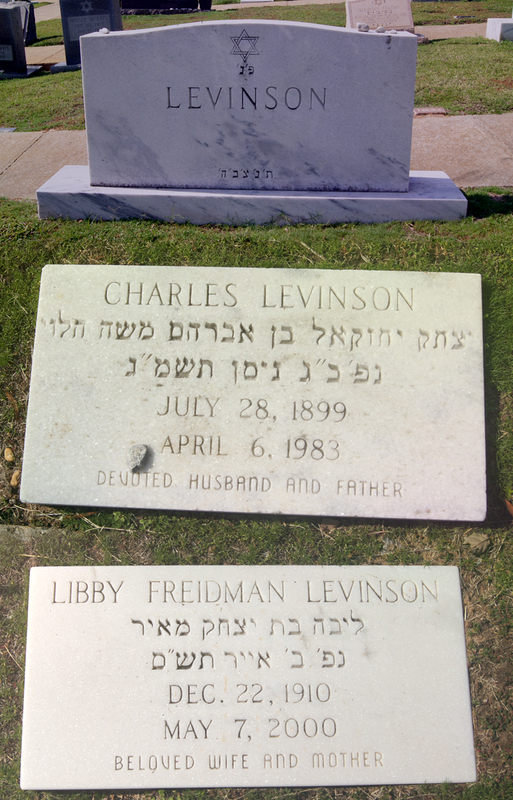 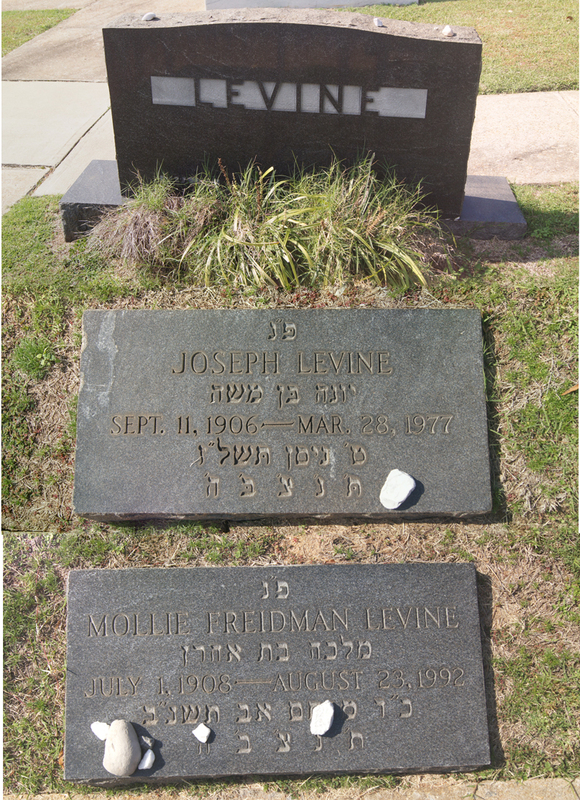 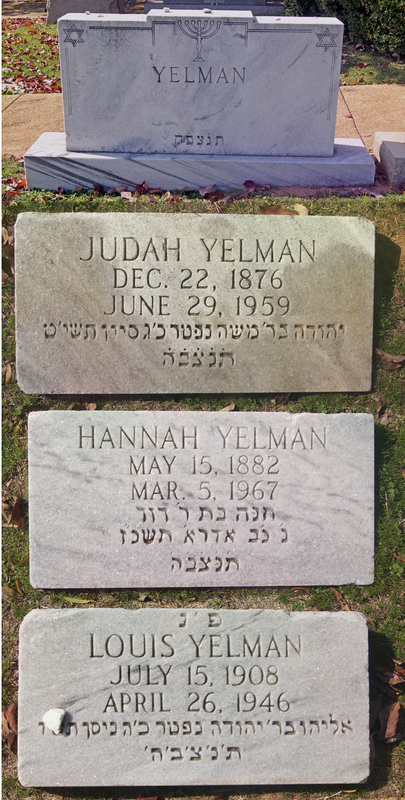 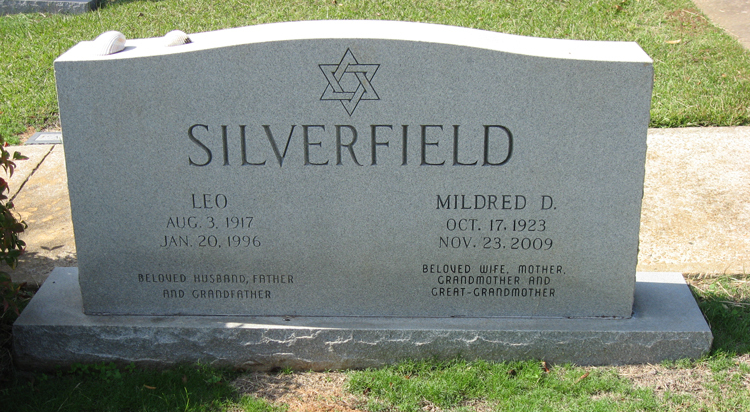 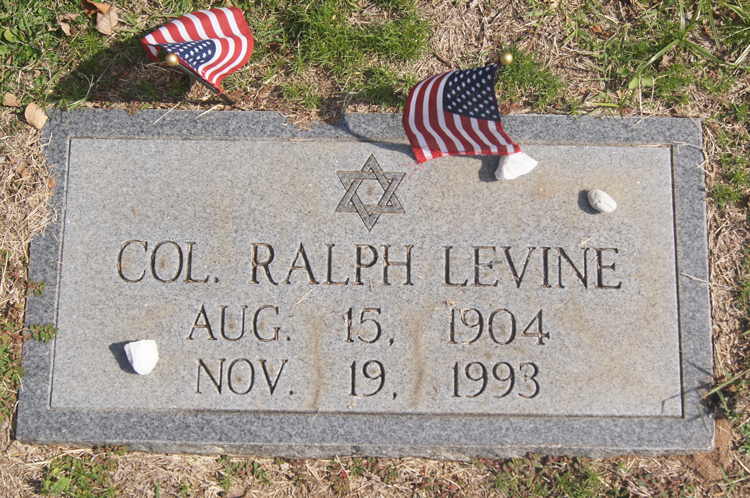 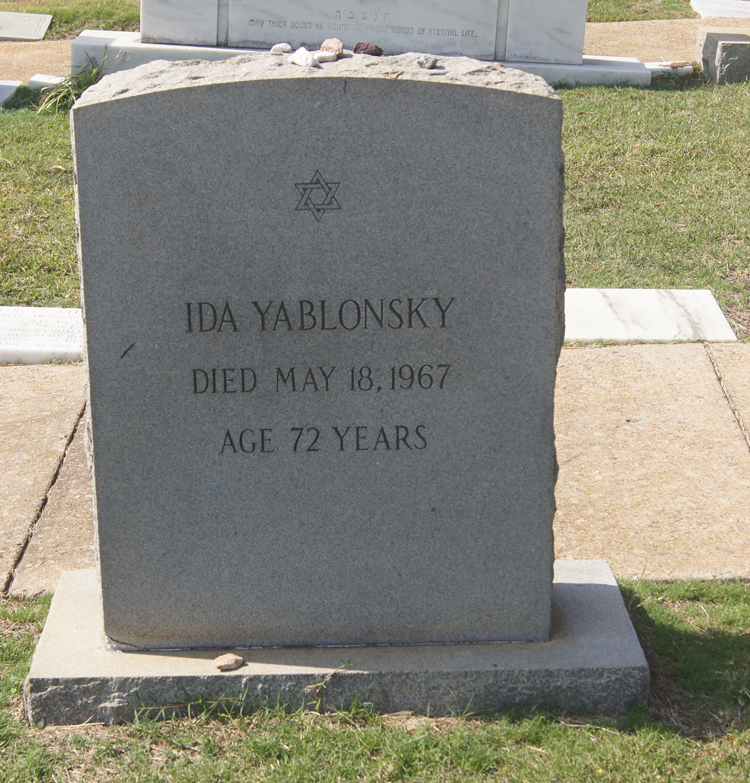 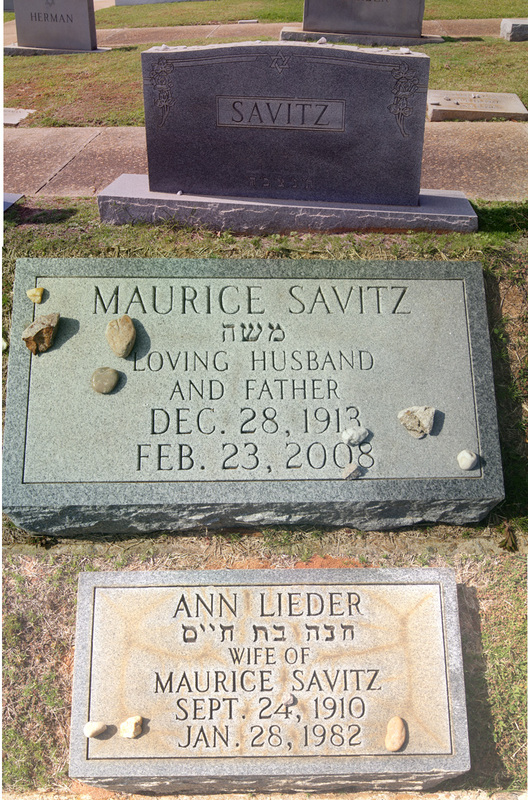 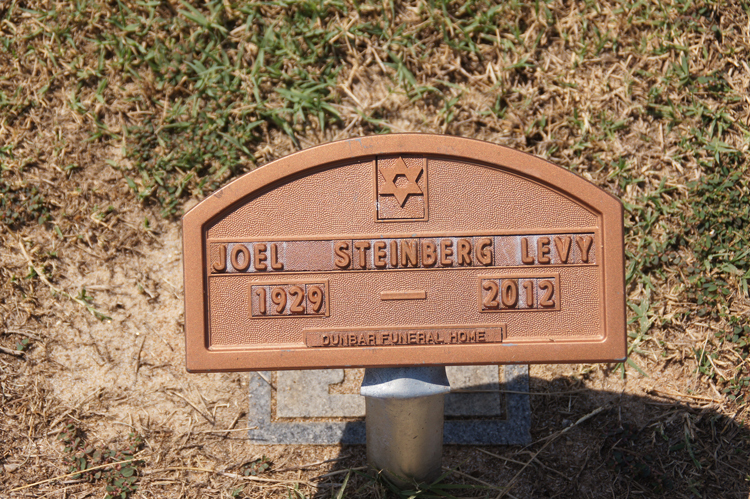 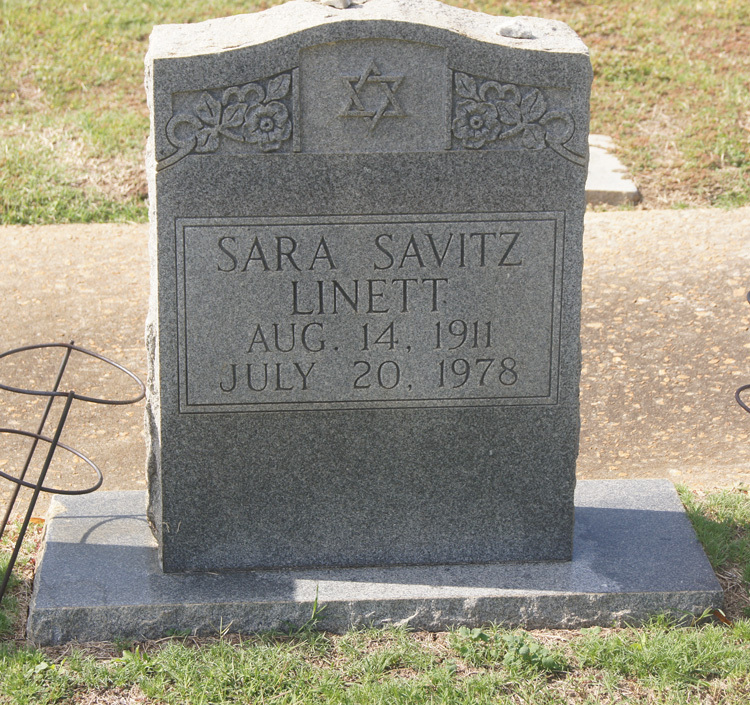 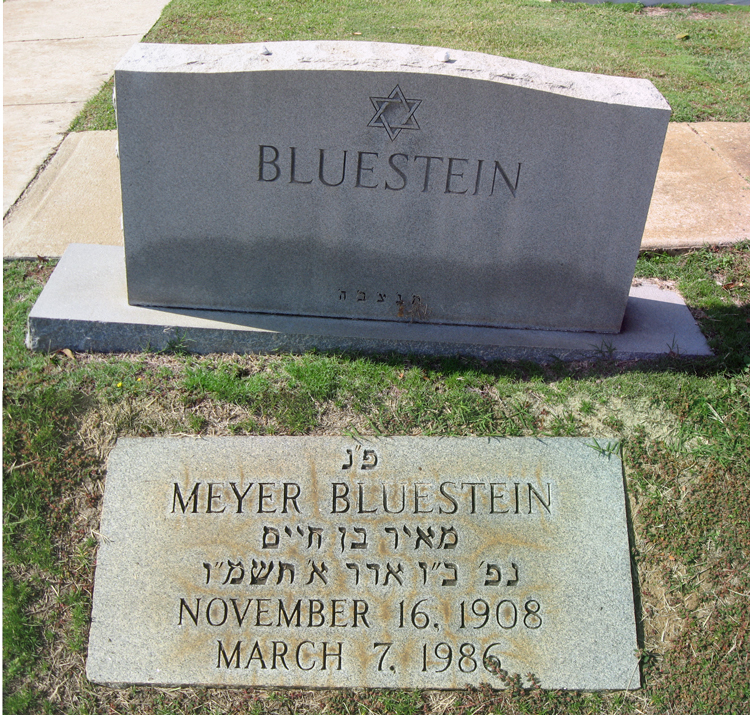 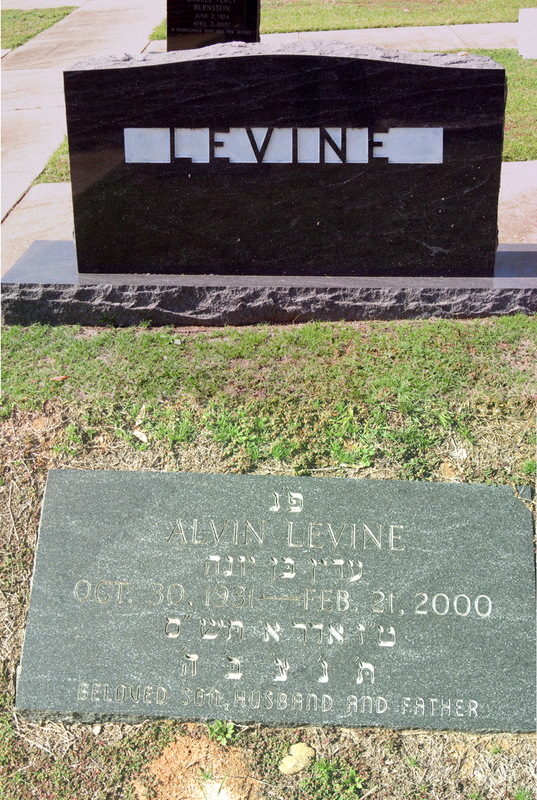 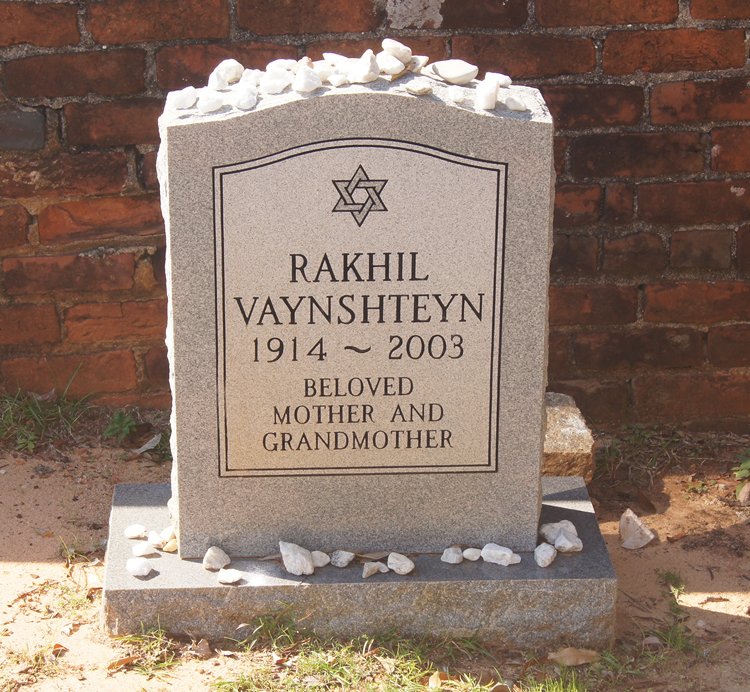 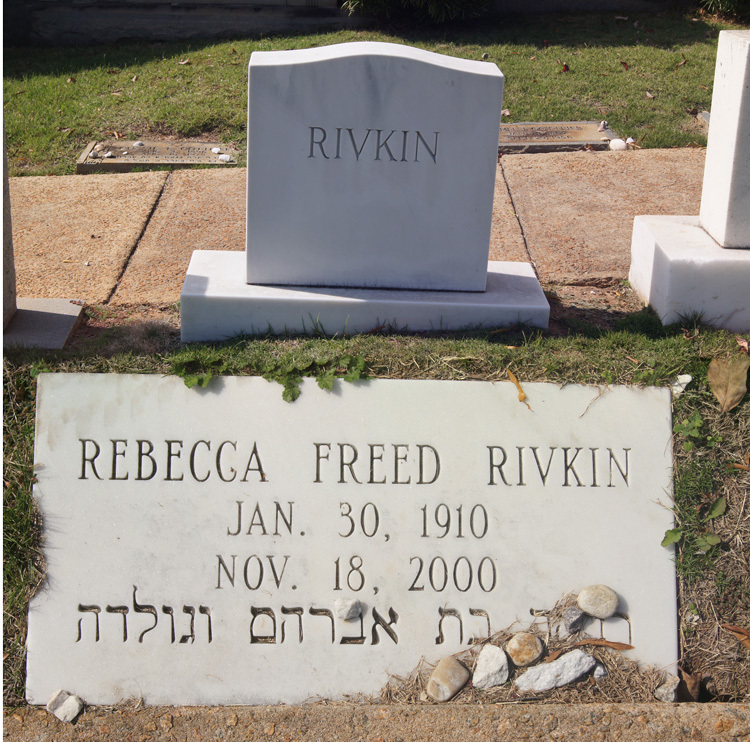 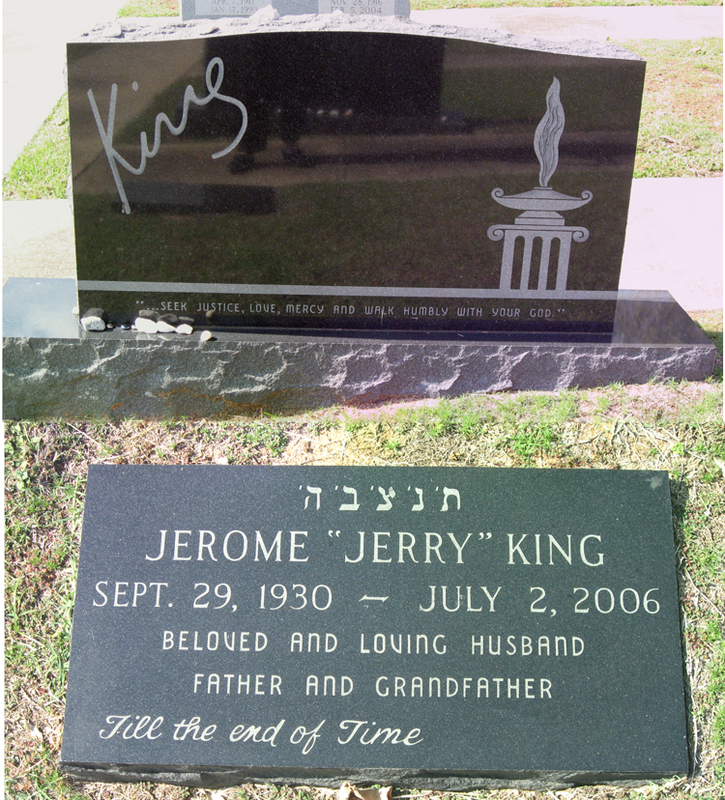 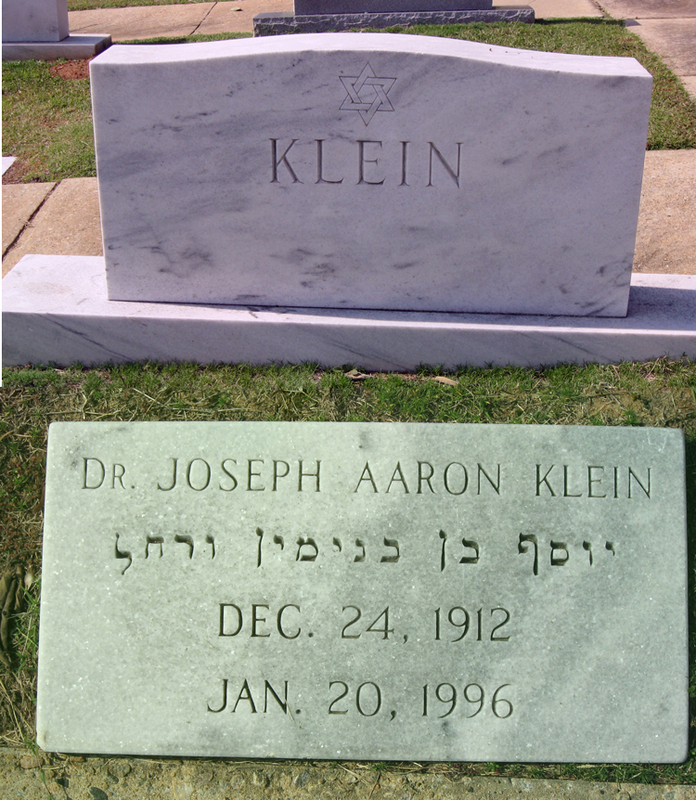 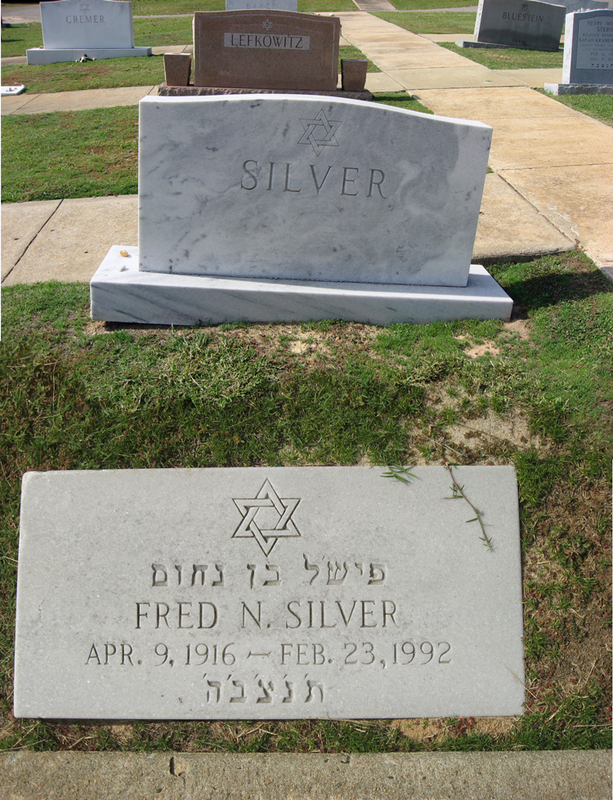 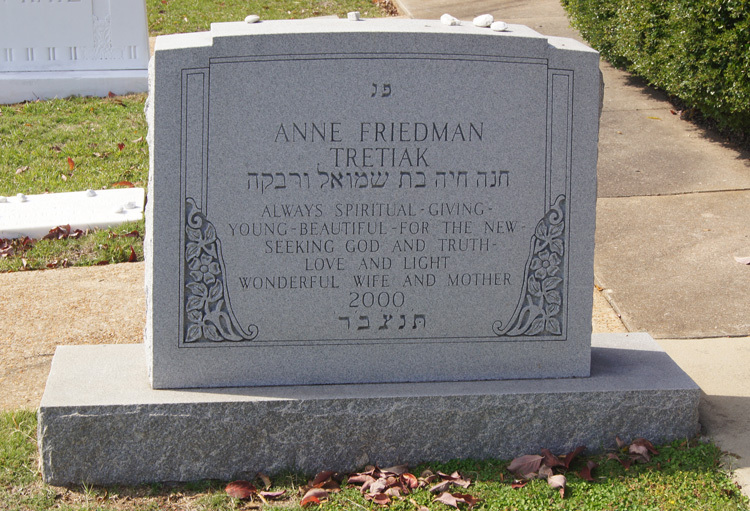 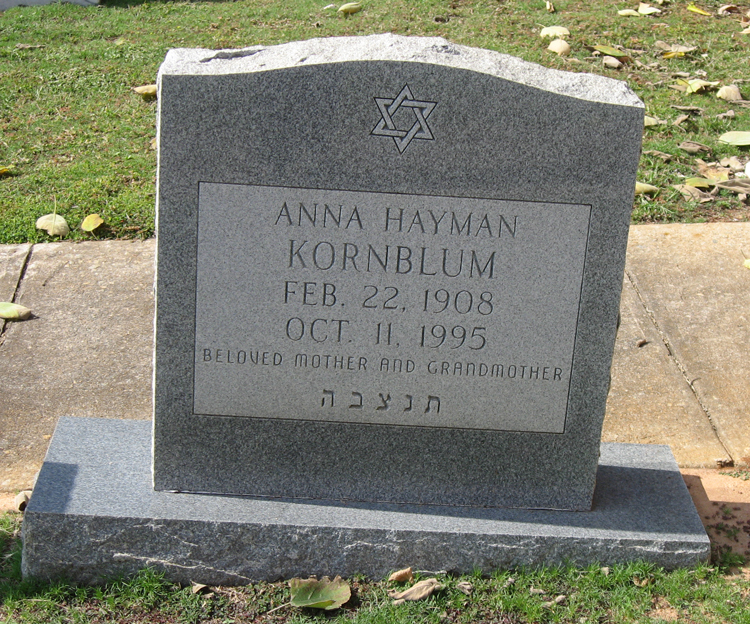 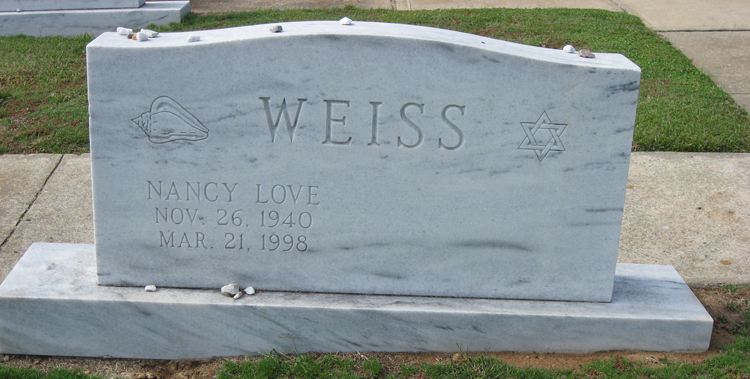 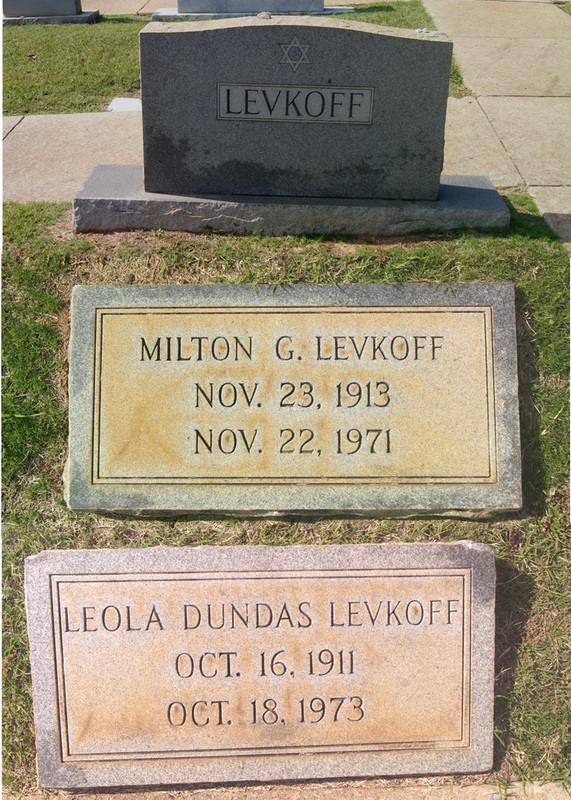 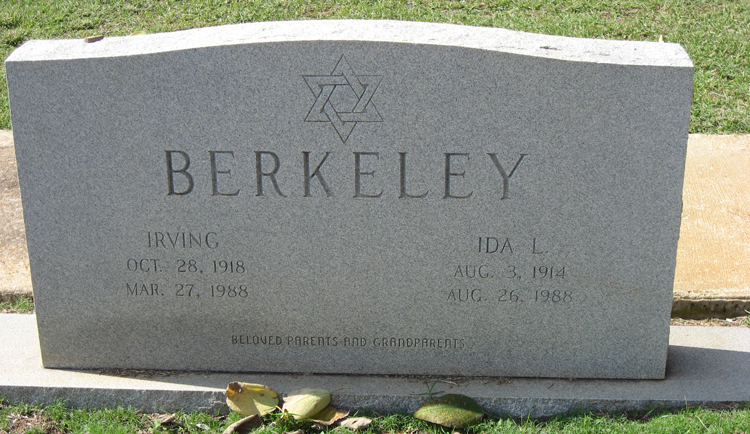 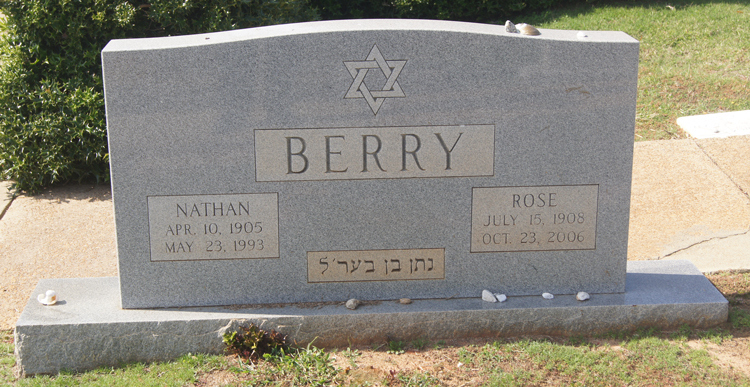 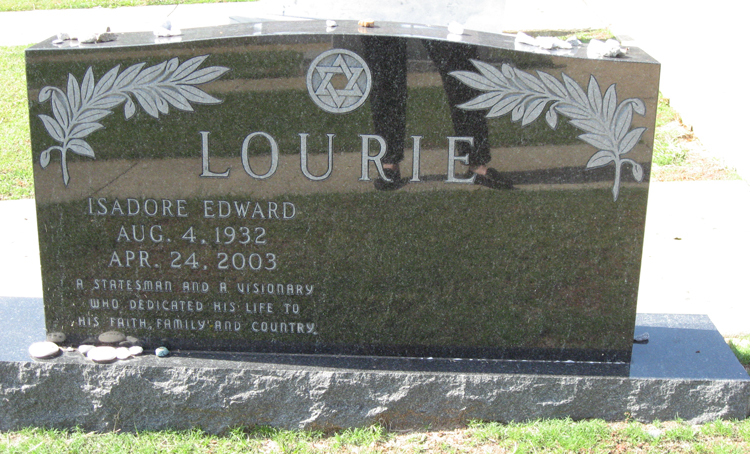 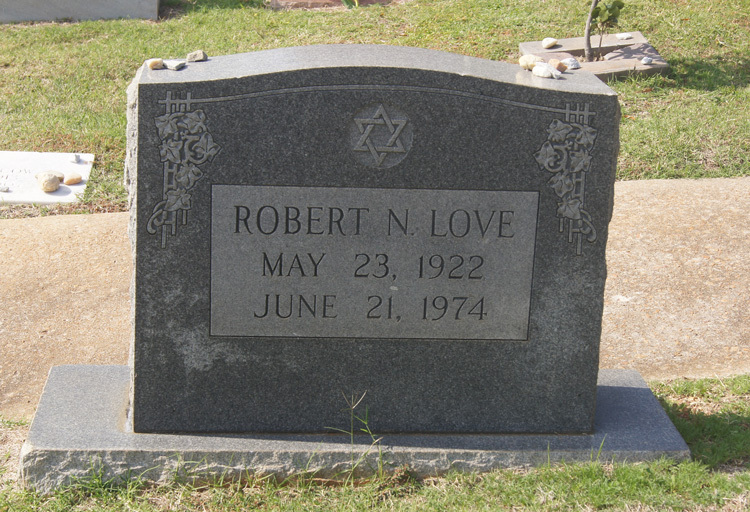 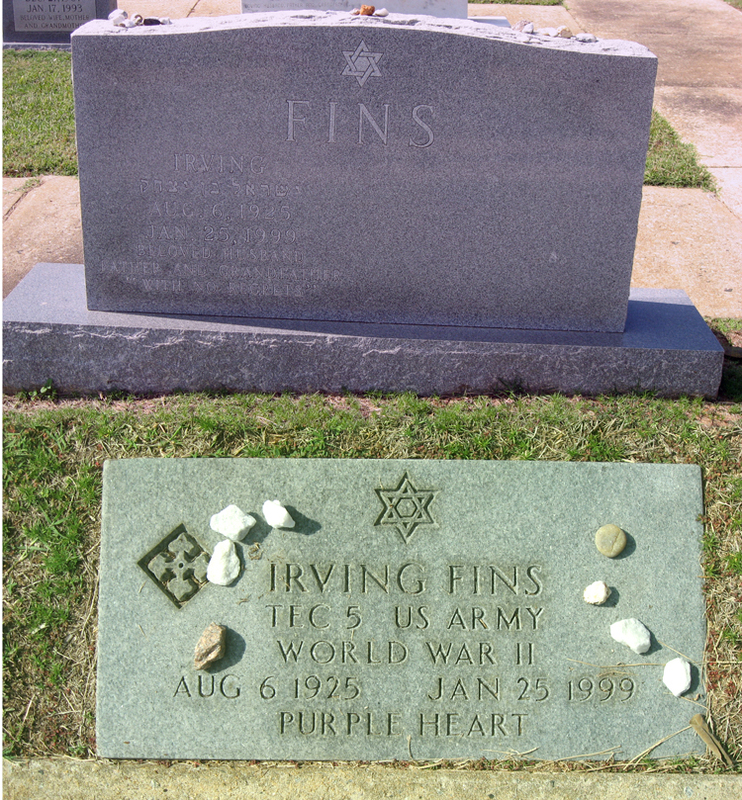 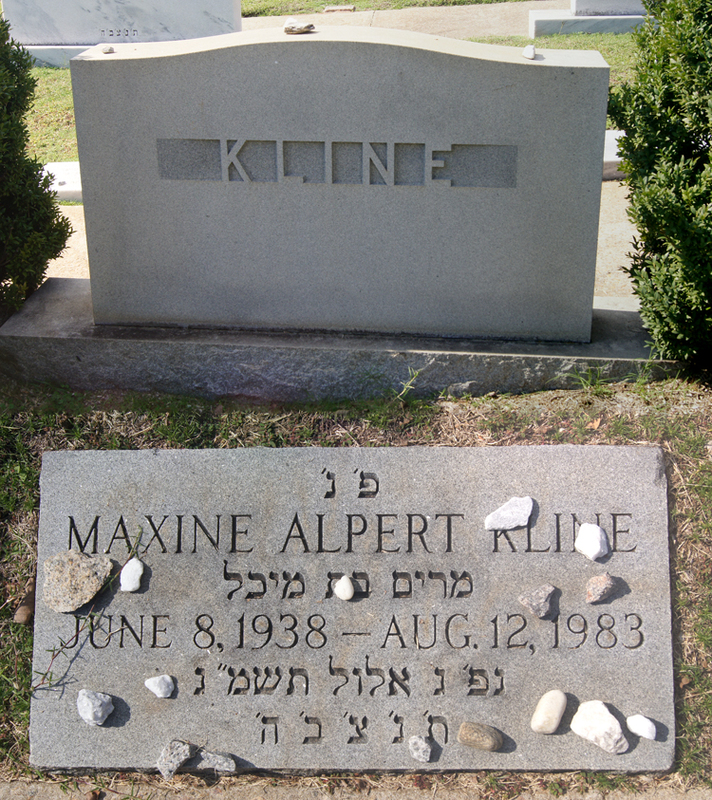 7-3 LEVY Hannah Gertrude TN USA 11-May-1878 Columbia, SC USA 07-Nov-1926 Joseph Leon LEVY FRIEDMAN Max H., Dr.
67-3 LOVE Meyer 13-Nov-1912 01-Feb-1988 Ruth B. 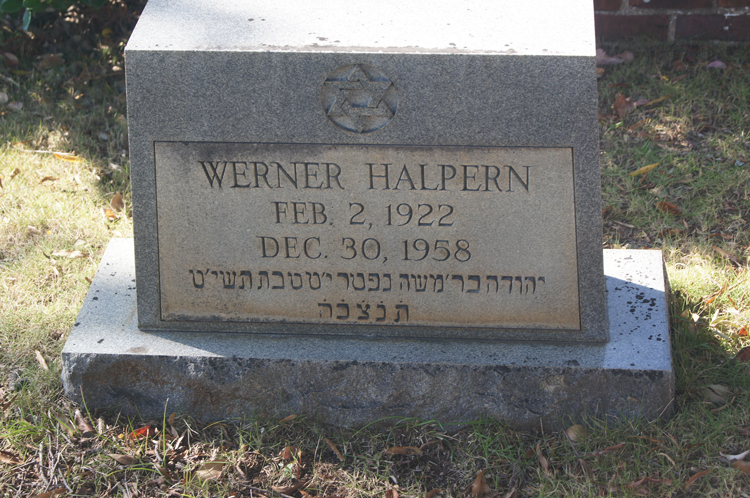 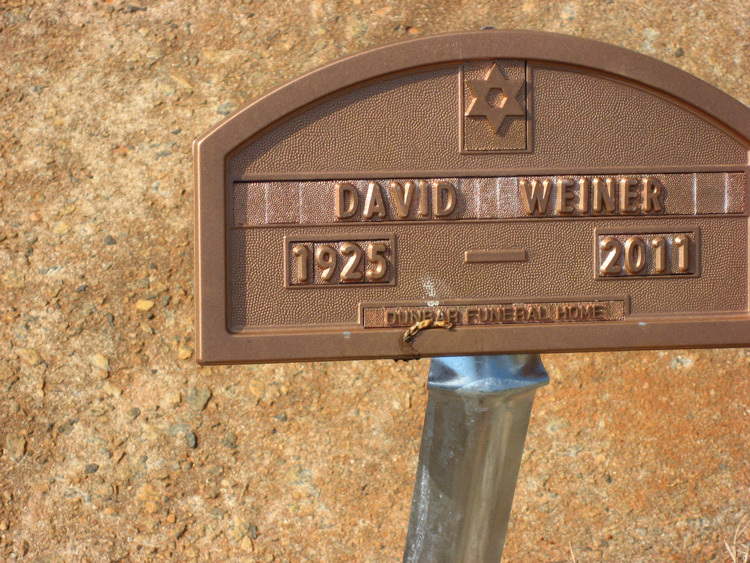 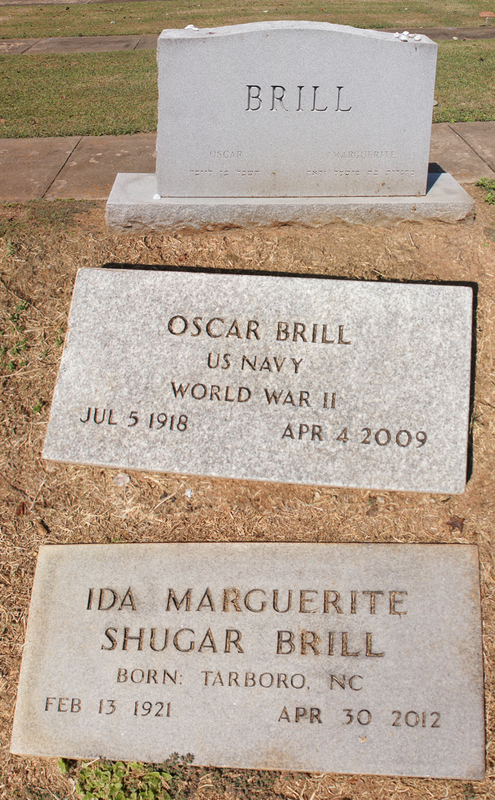 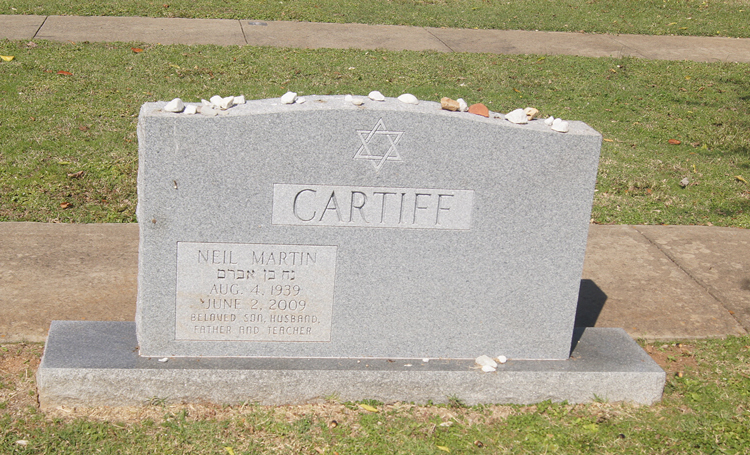 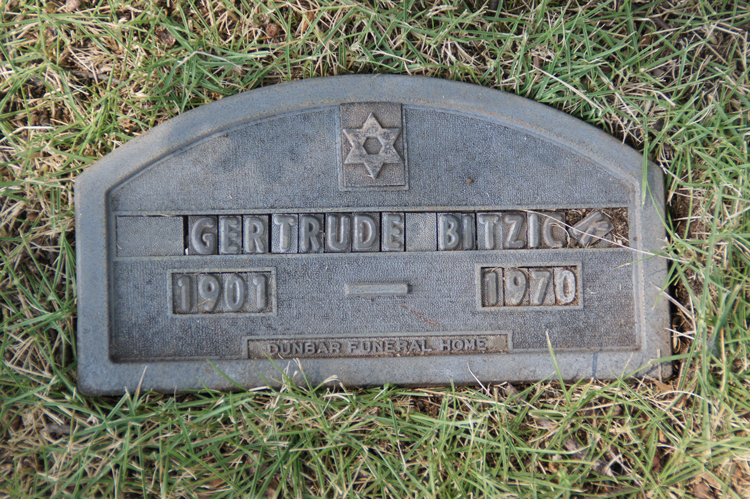 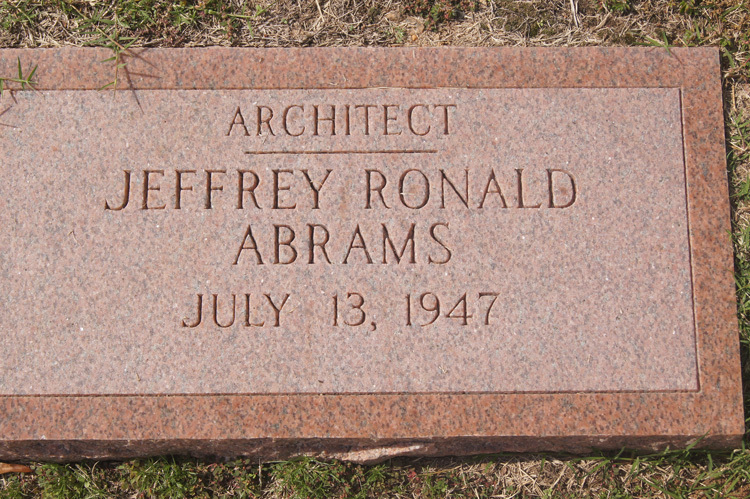 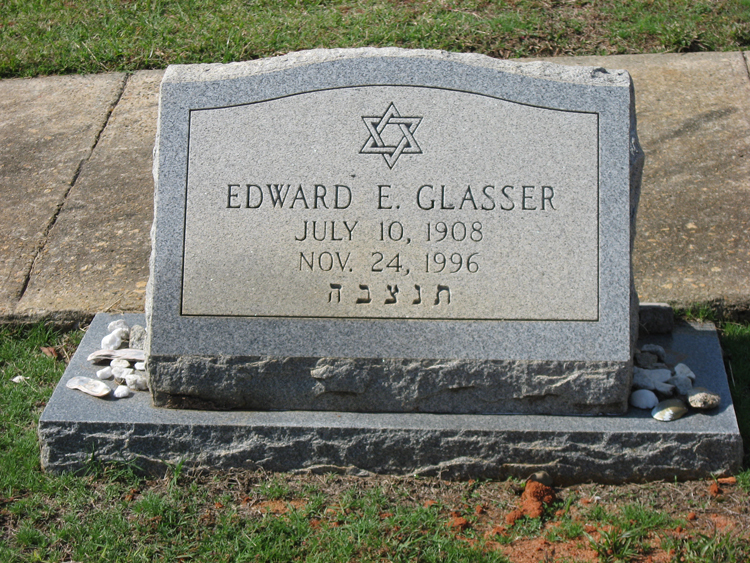 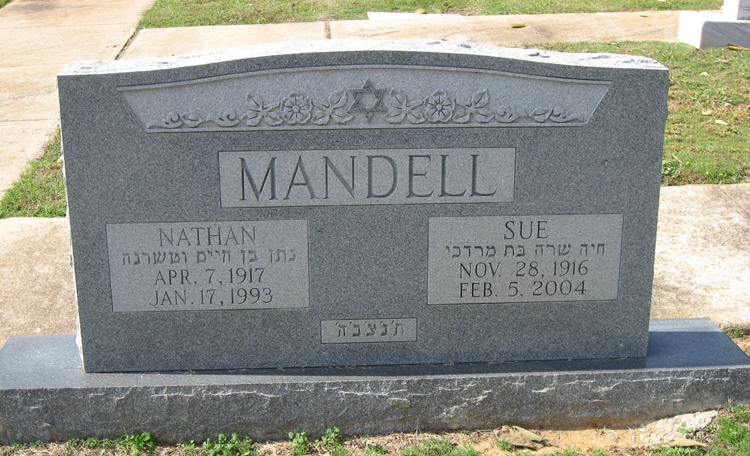 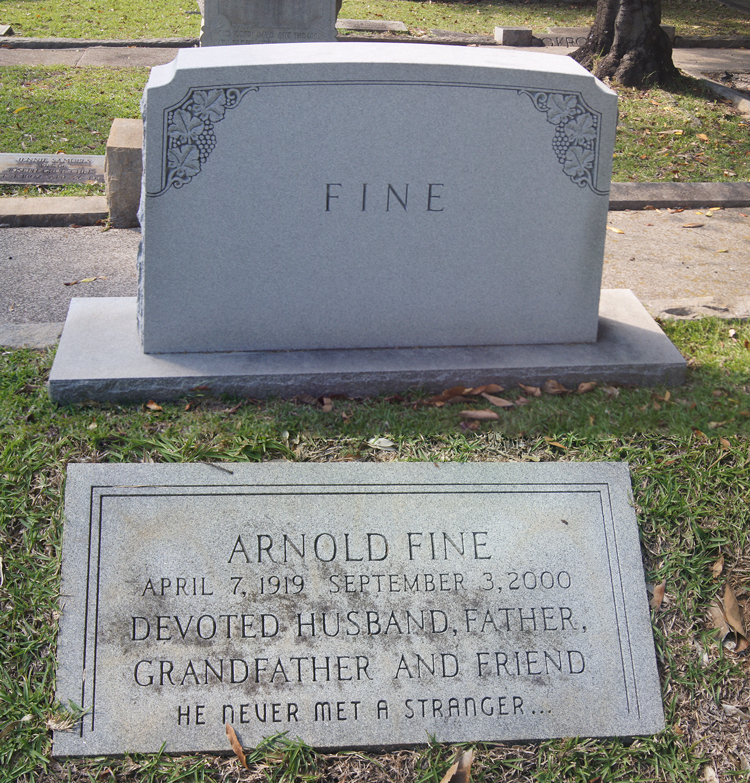 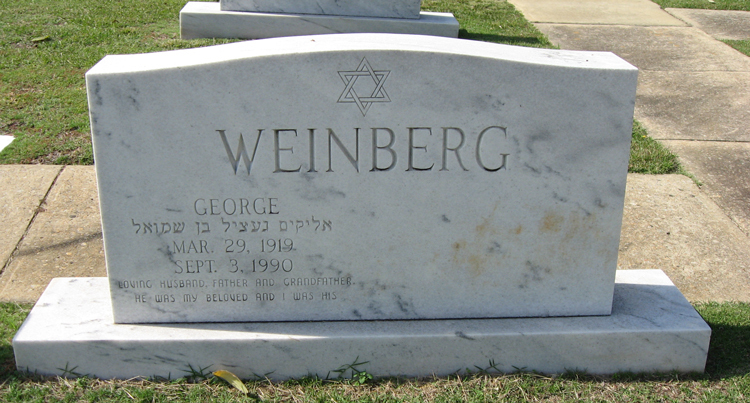 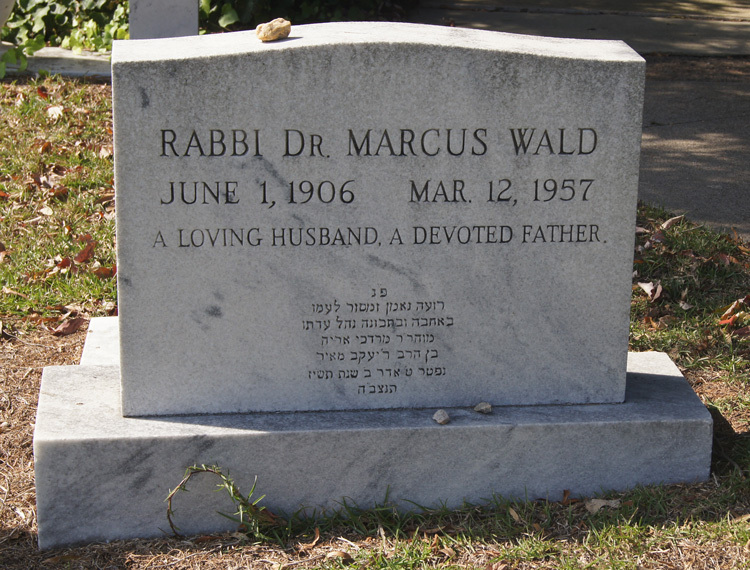 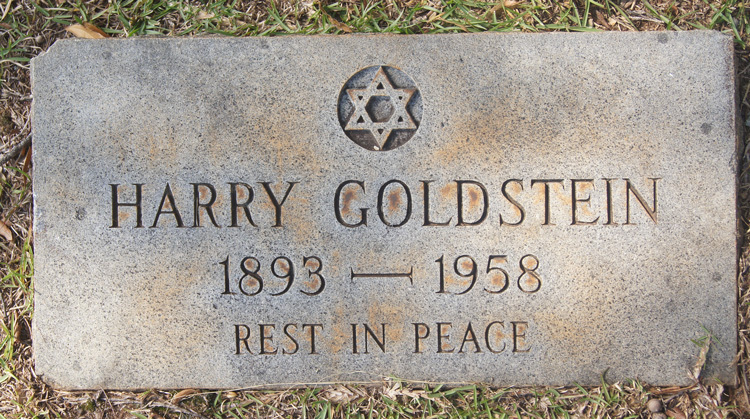 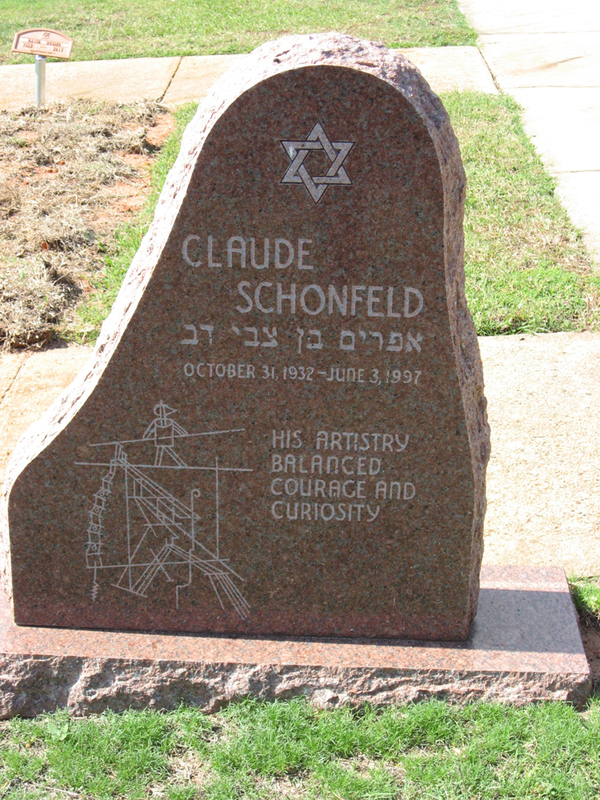 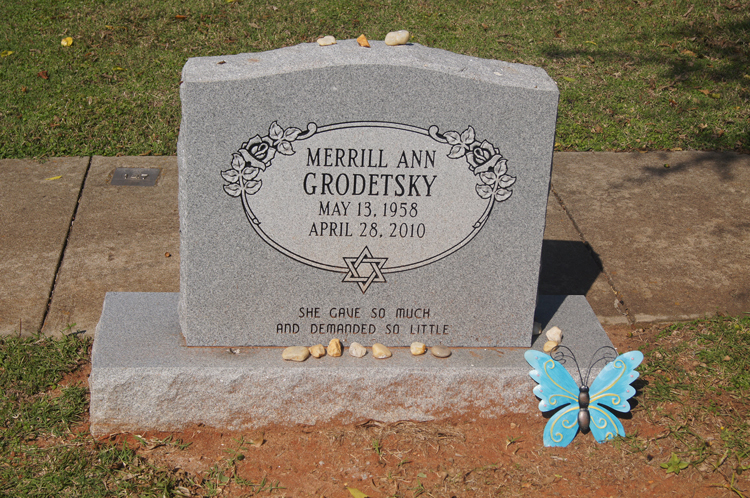 32-2 MANN Arnold Sidney 04-Jul-1910 17-May-1949 George J. MANN SWARTZBERG Sadye D.
32-1 MANN Fritzie Alene Spartanburg, SC USA 24-Nov-1925 Charlotte, NC USA 21-Mar-1940 George J. MANN SWARTZBERG Sadye D.
40-5 MILD Samuel A. 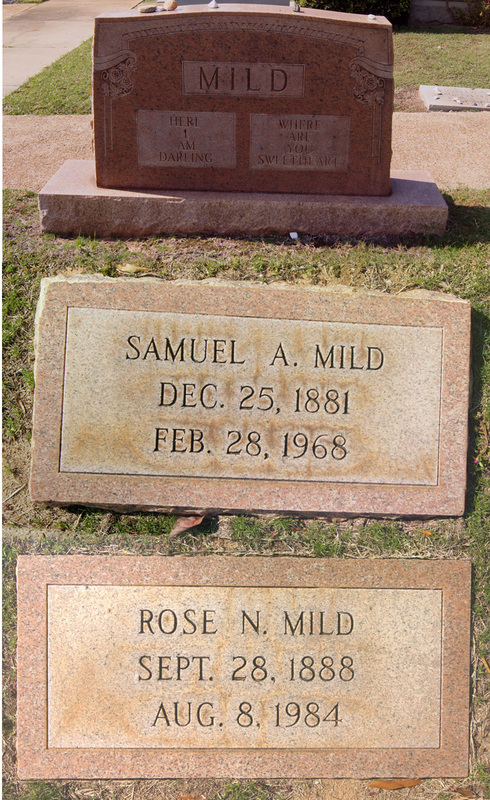 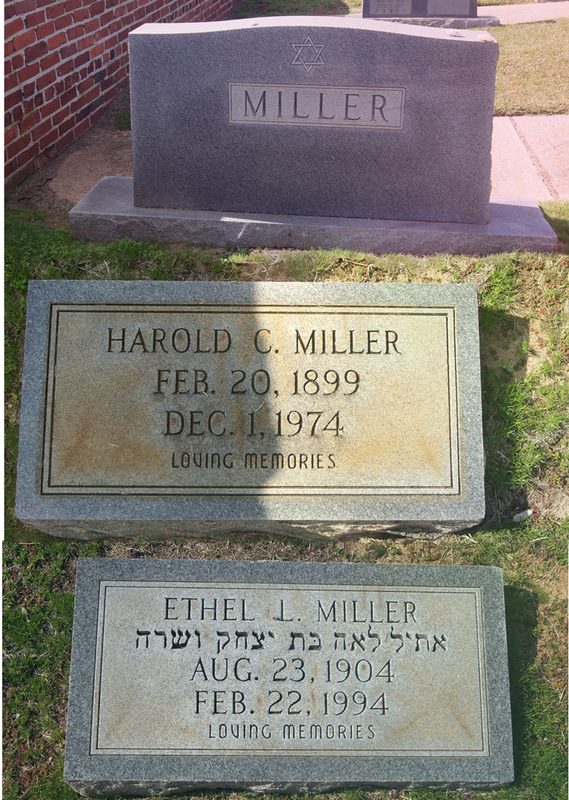 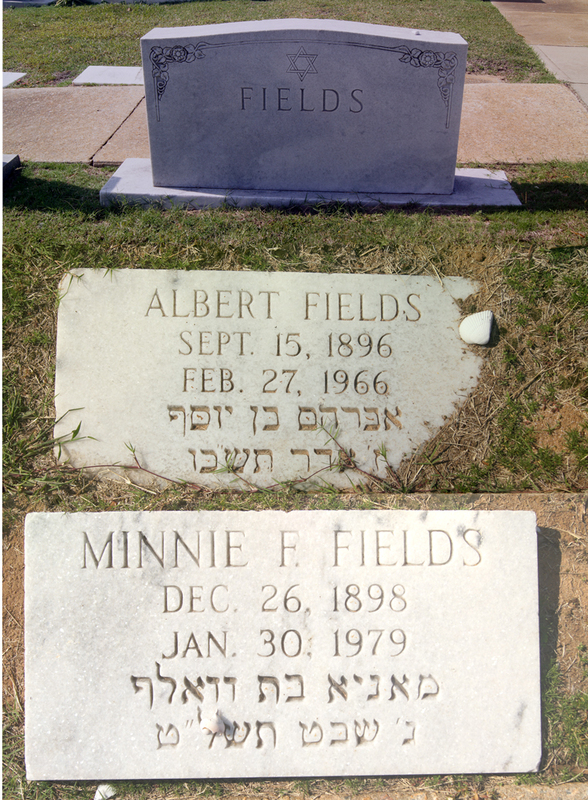 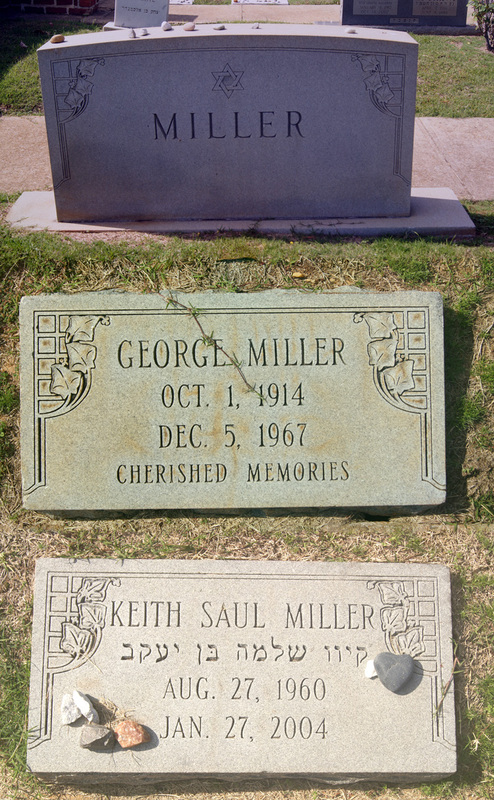 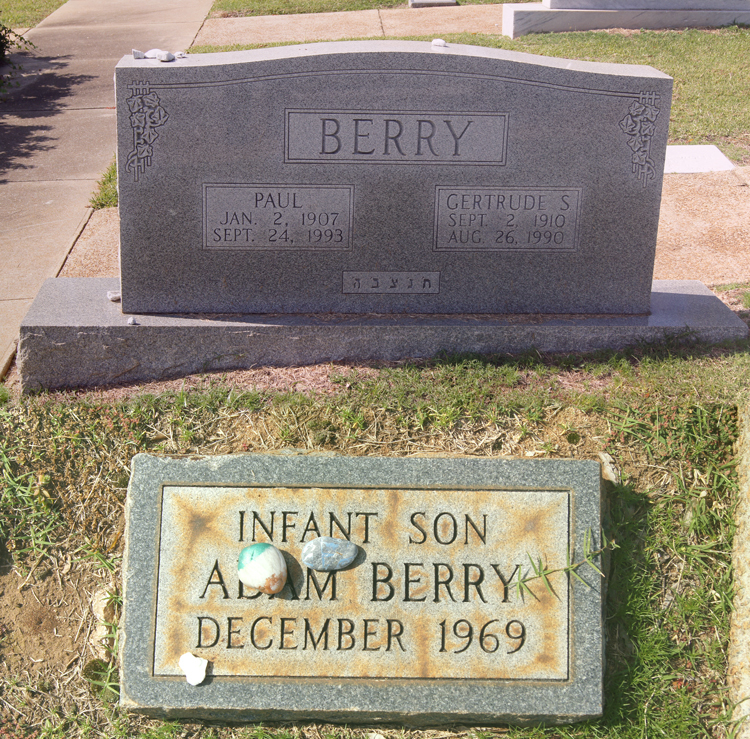 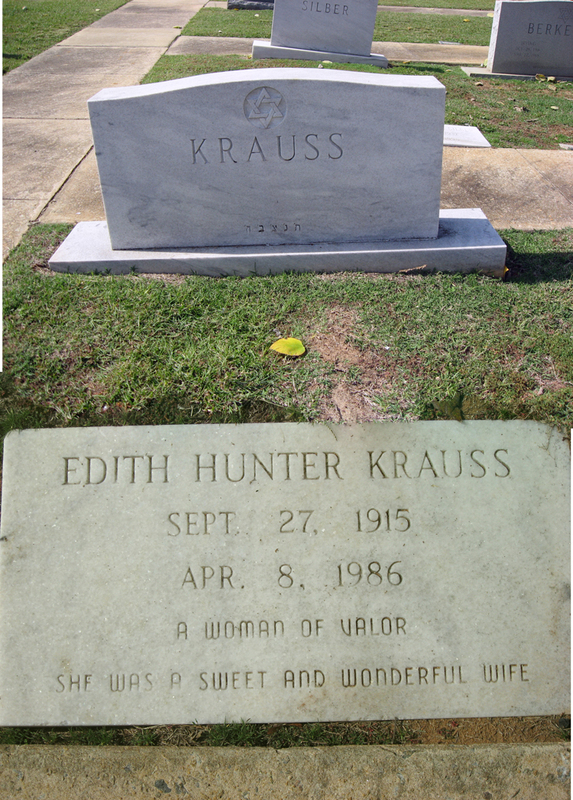 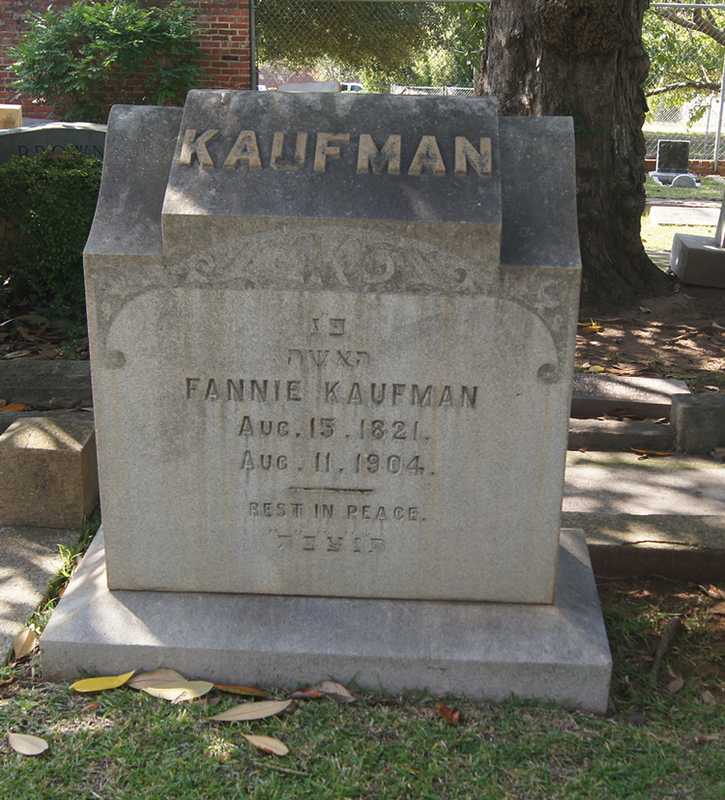 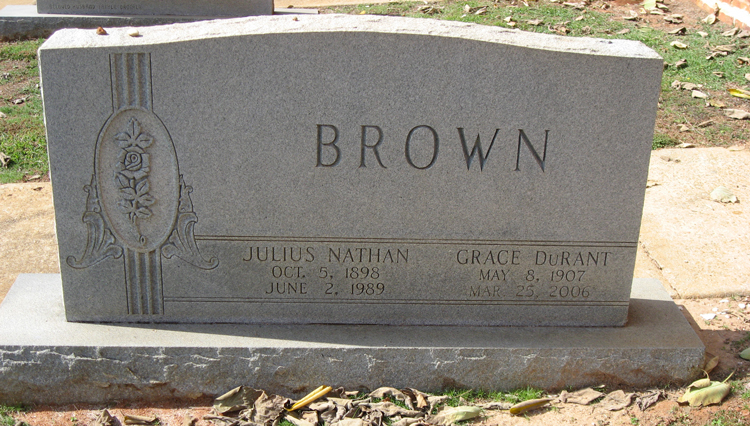 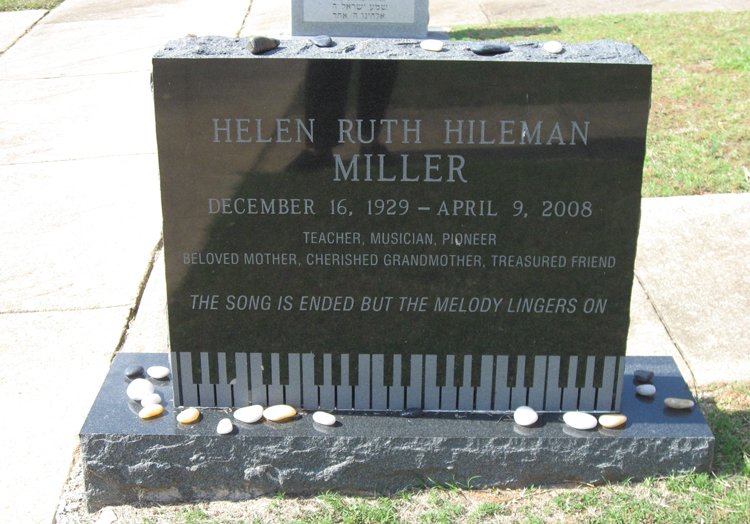 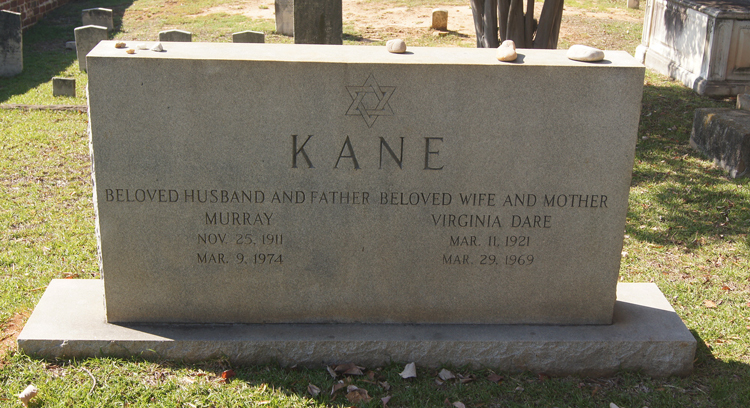 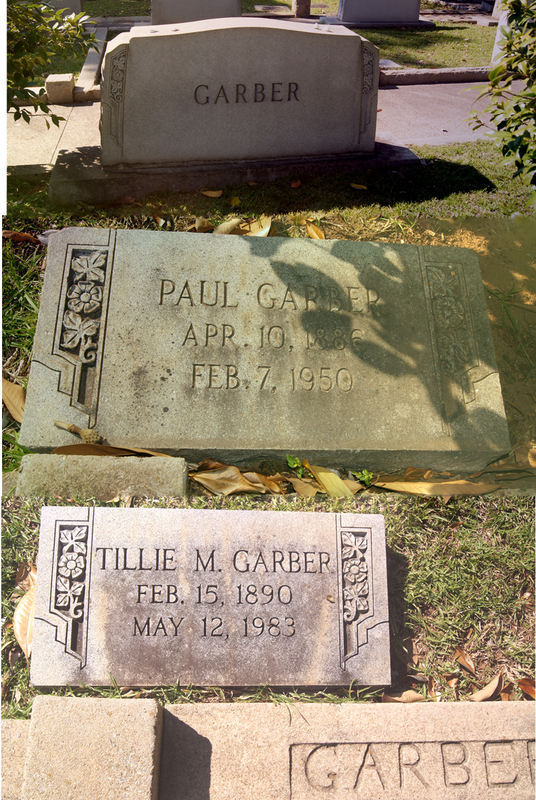 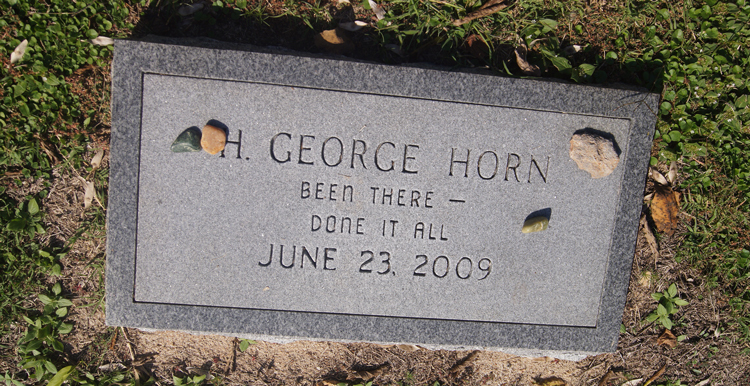 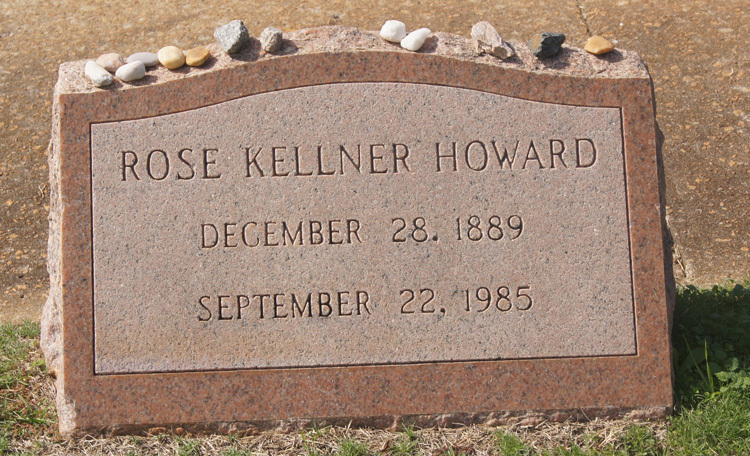 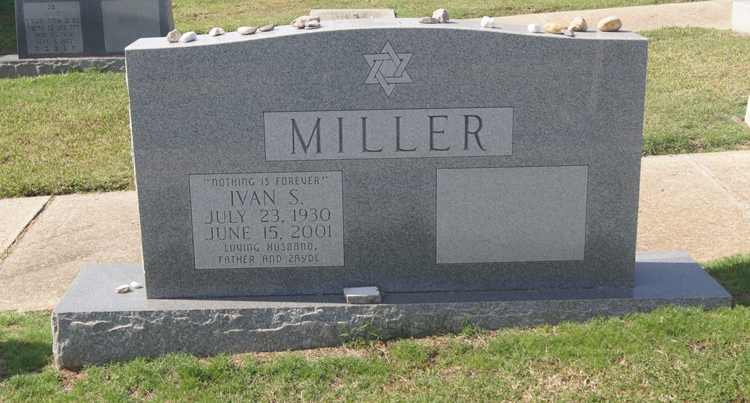 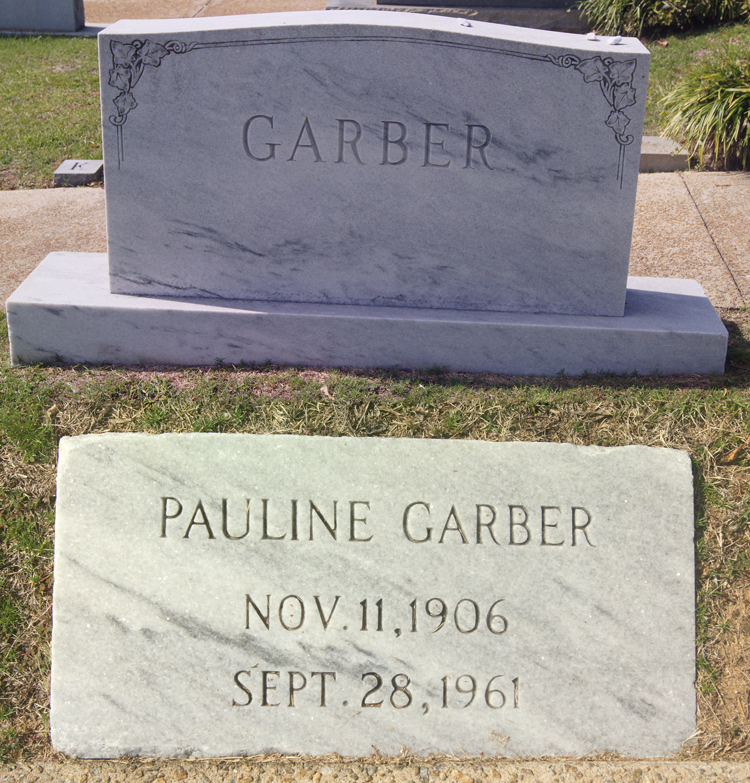 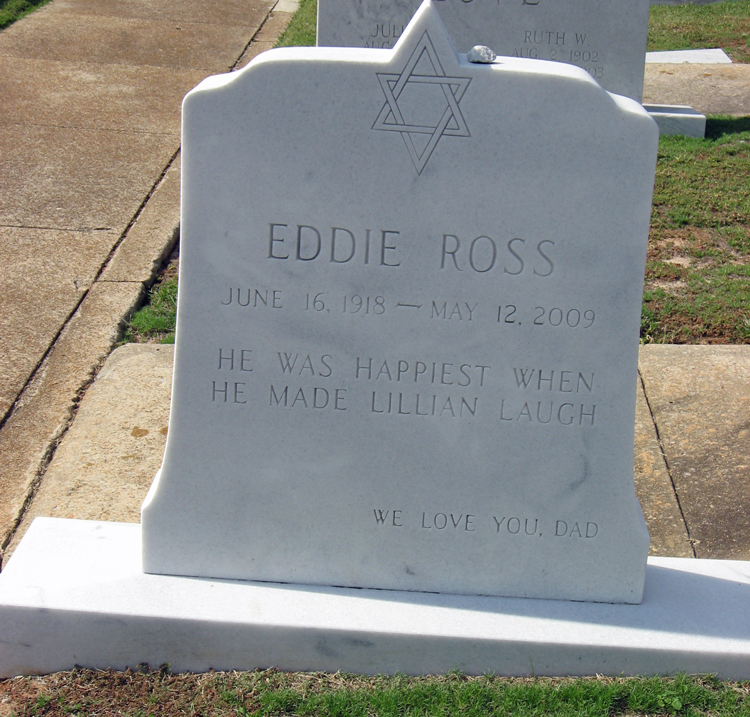 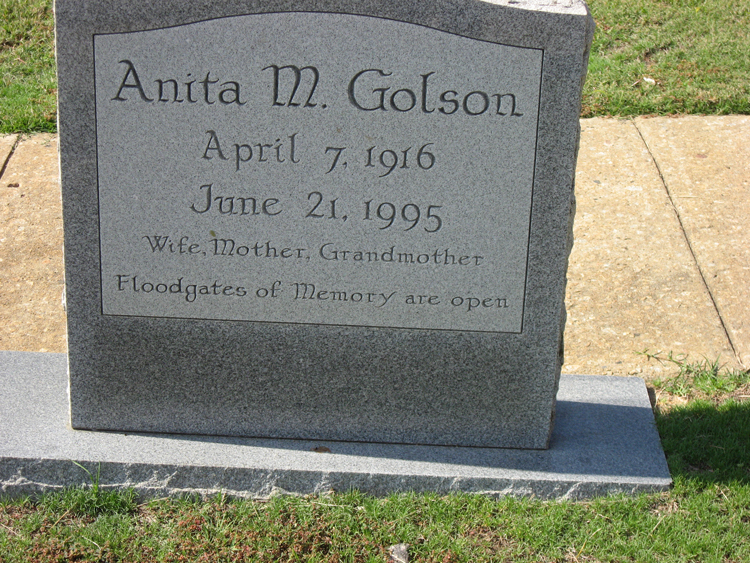 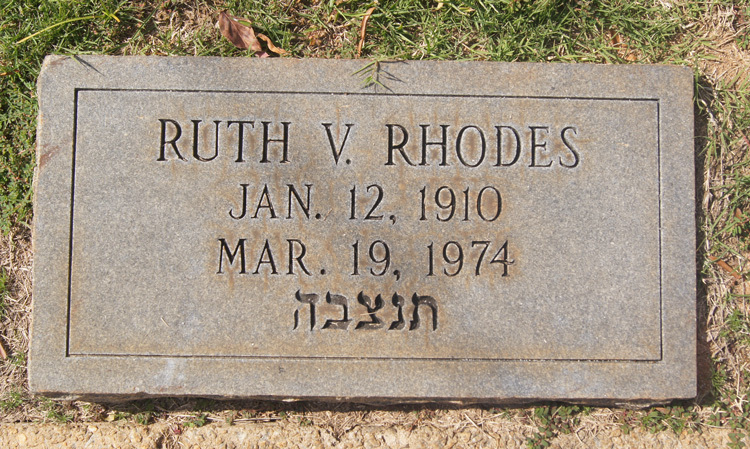 25-Dec-1881 28-Feb-1968 Rose N.
79-3 MILLER Harold C. 20-Feb-1899 01-Dec-1974 Ethel L.
75-6 MILLER Keith Saul 27-Aug-1960 27-Jan-2004 Cheryl George Ethel H.
20D-11 POLLOCK T.B. 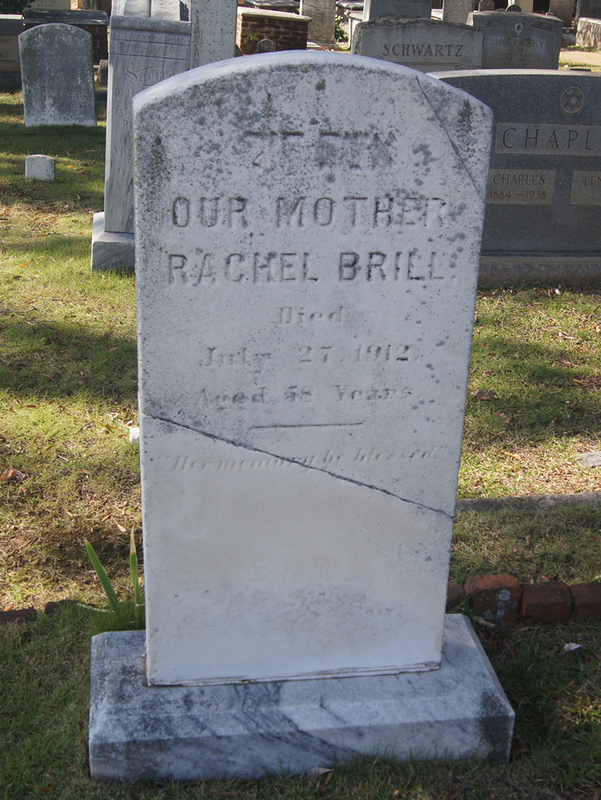 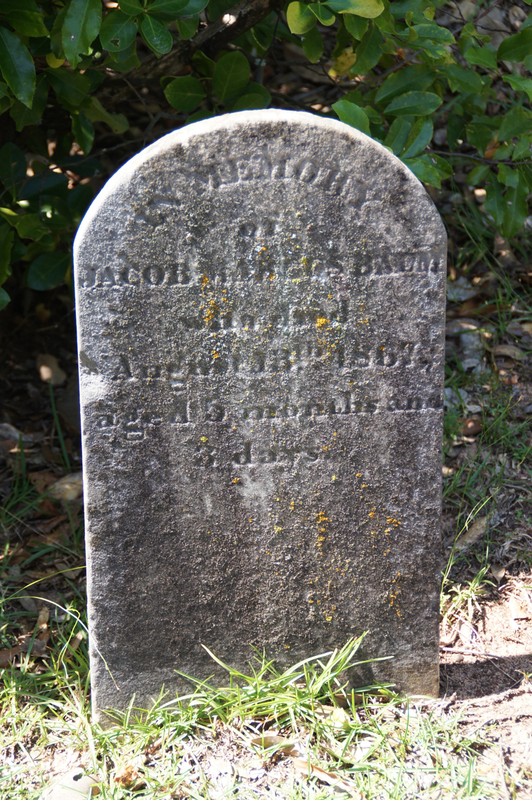 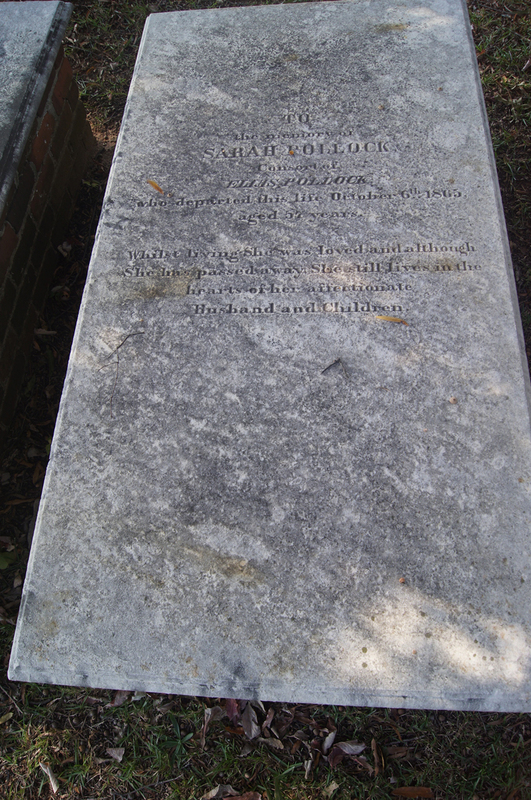 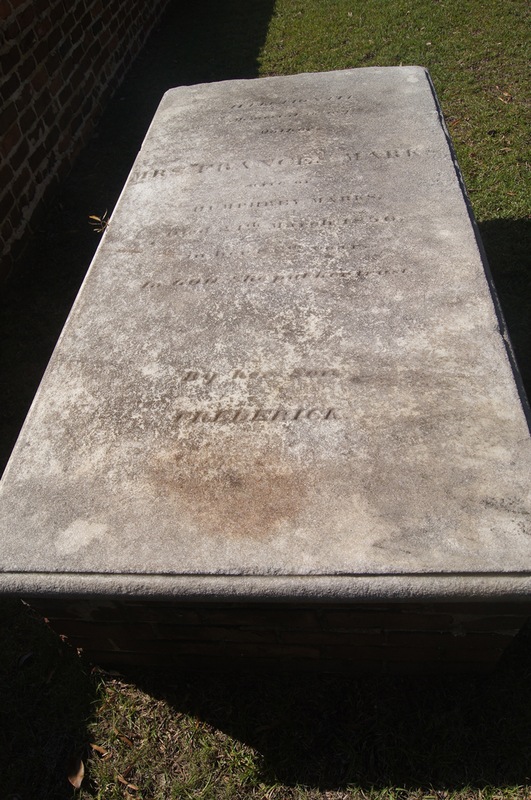 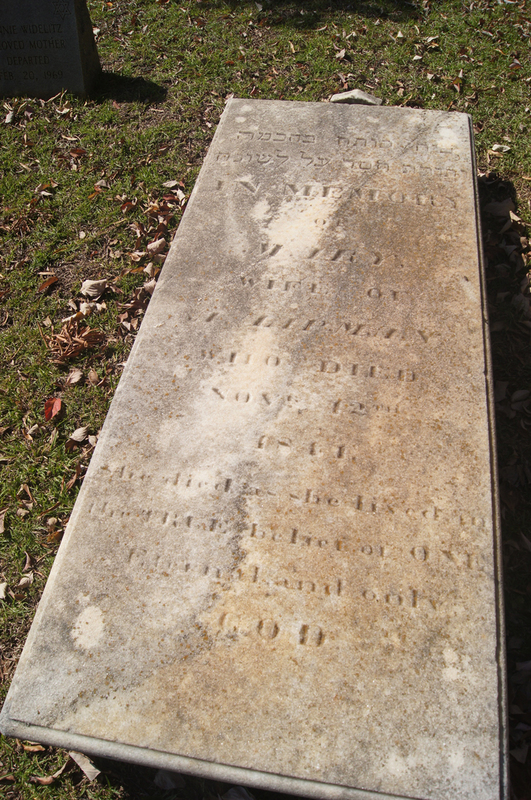 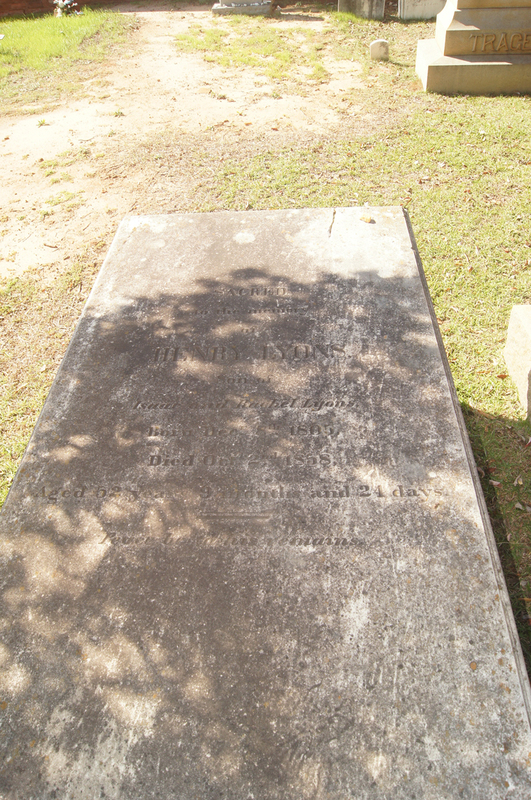 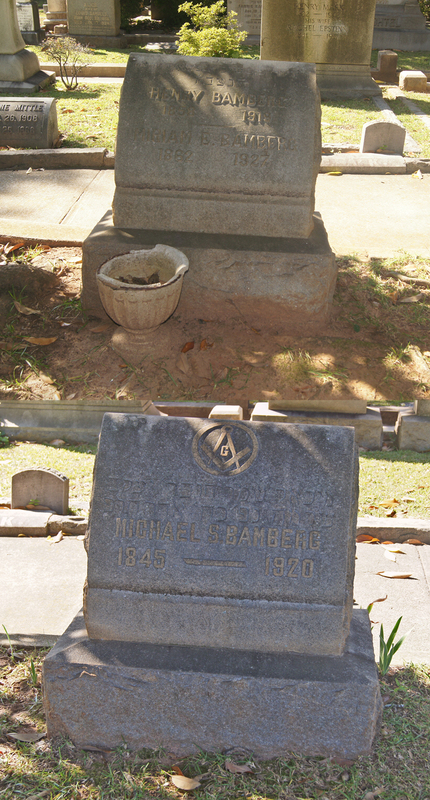 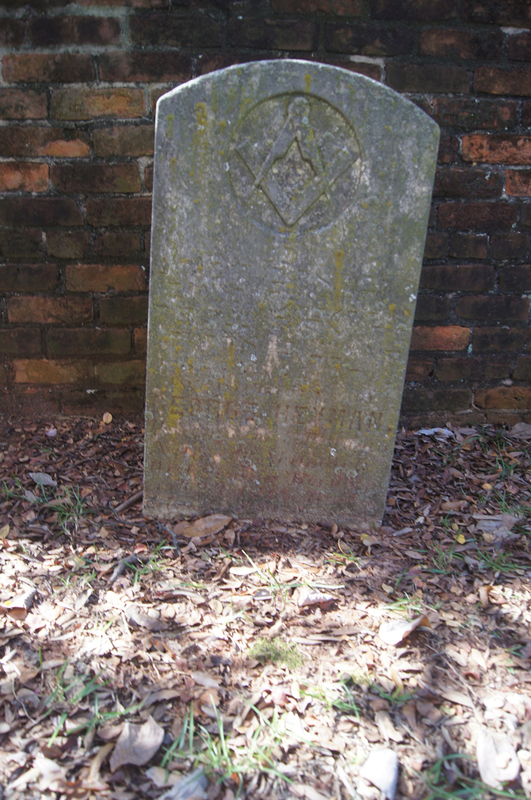 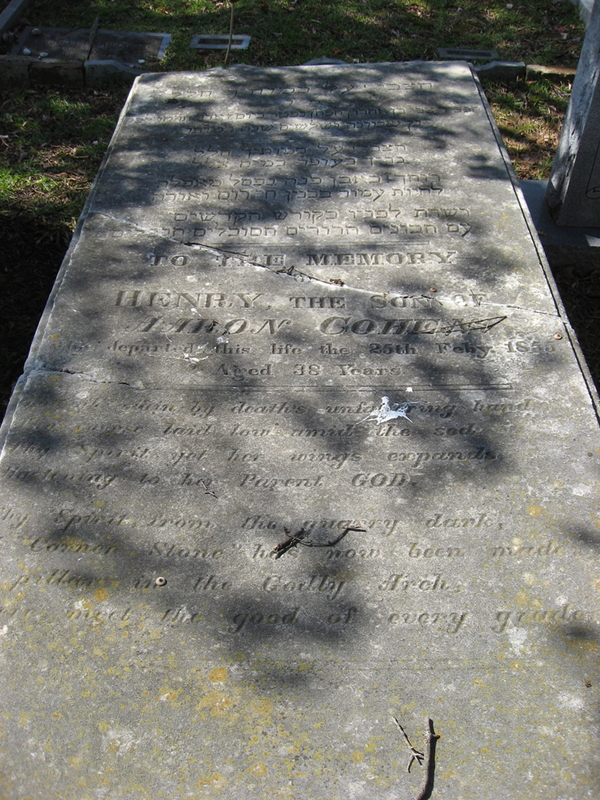 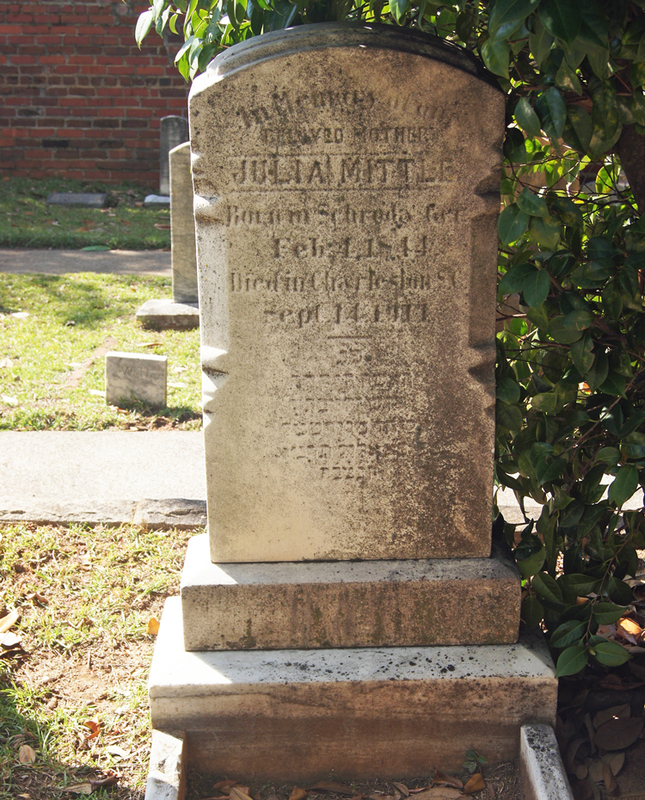 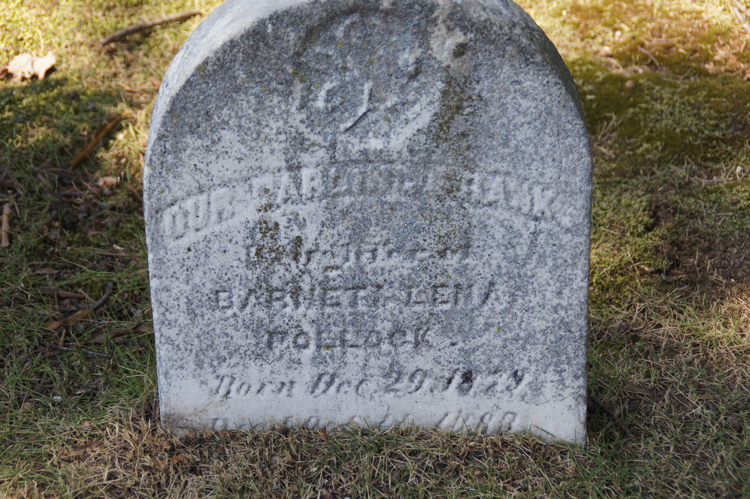 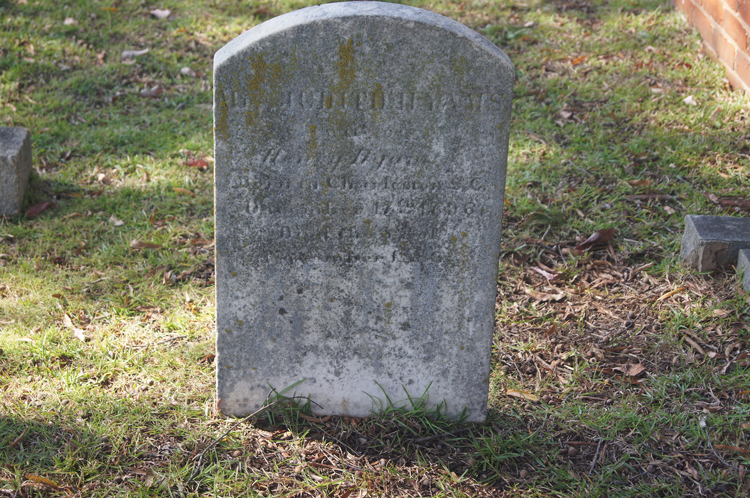 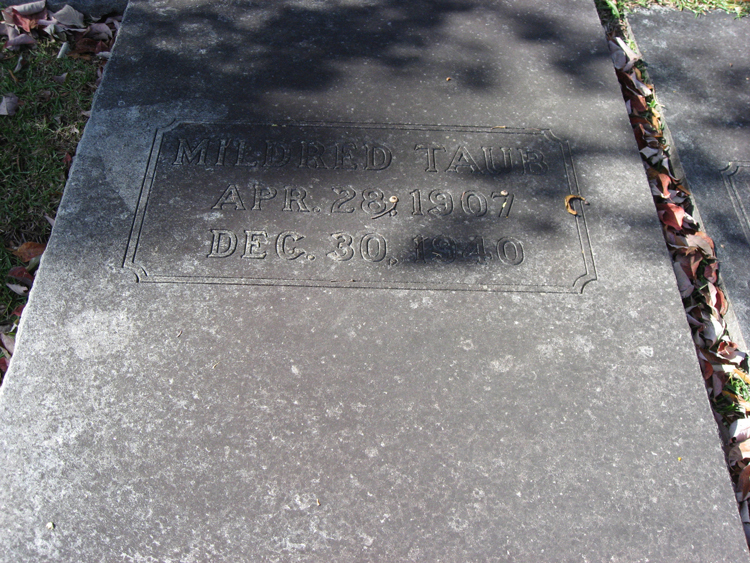 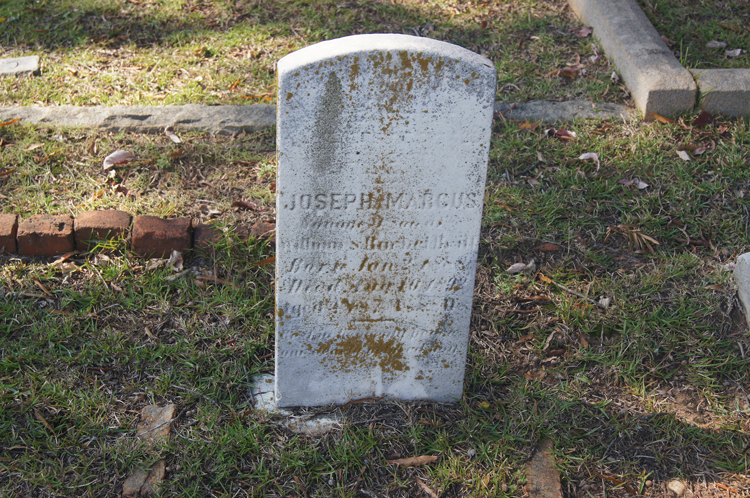 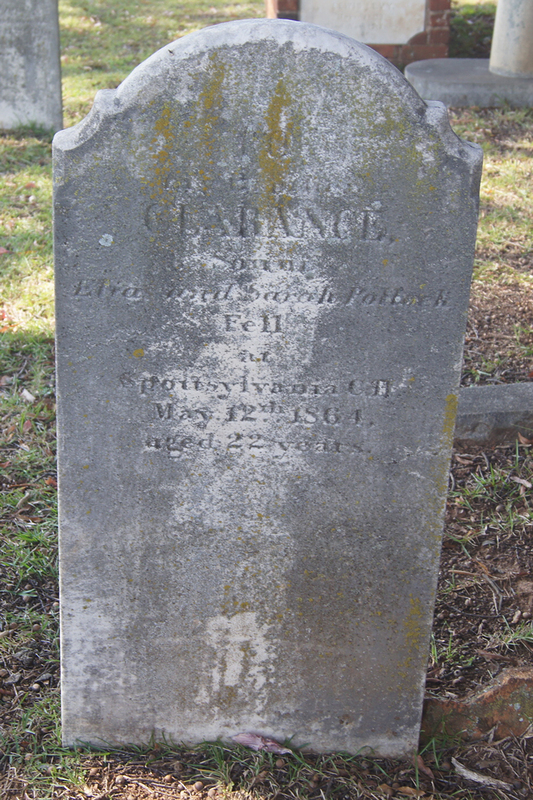 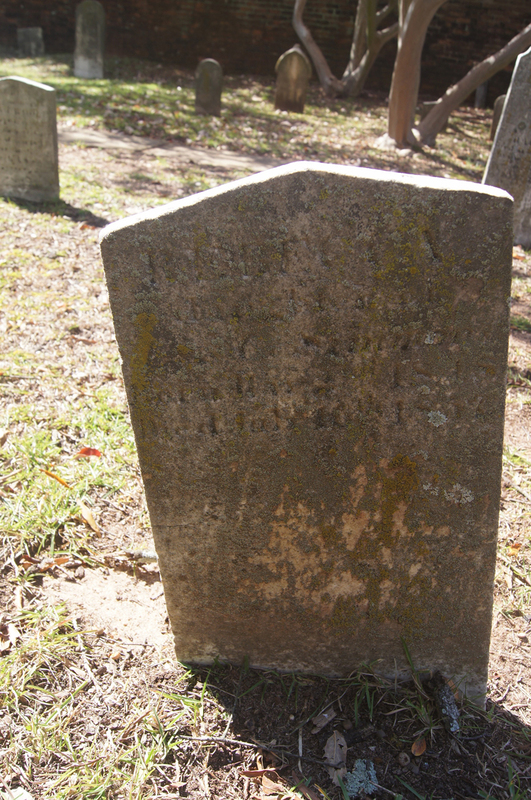 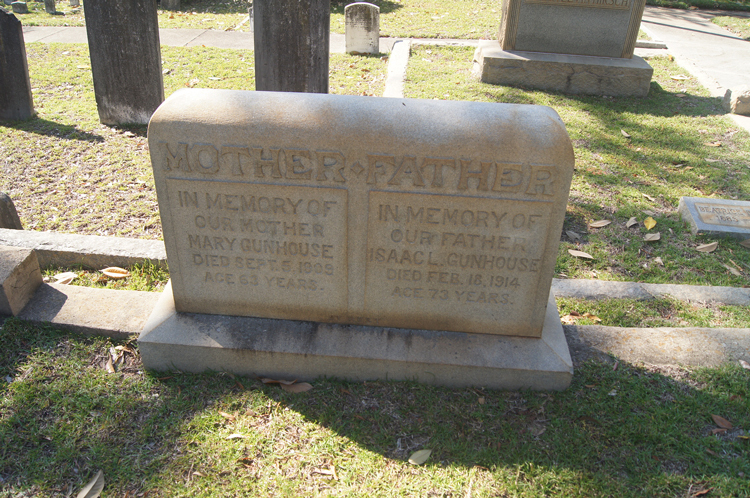 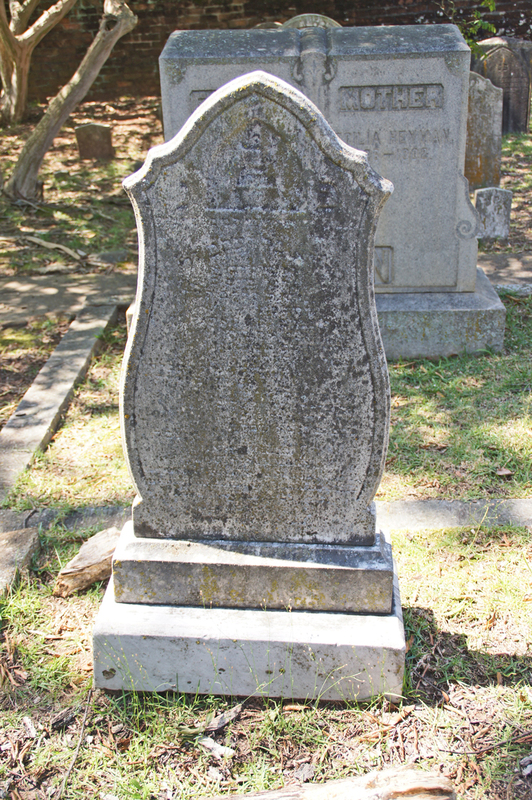 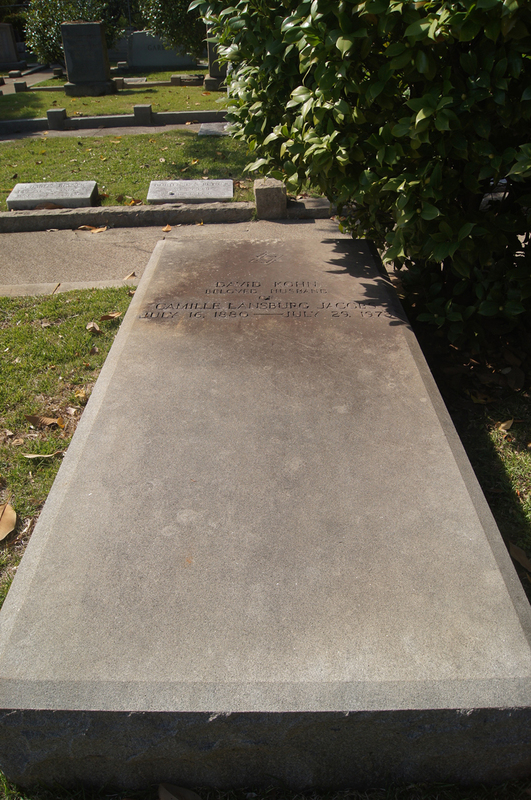 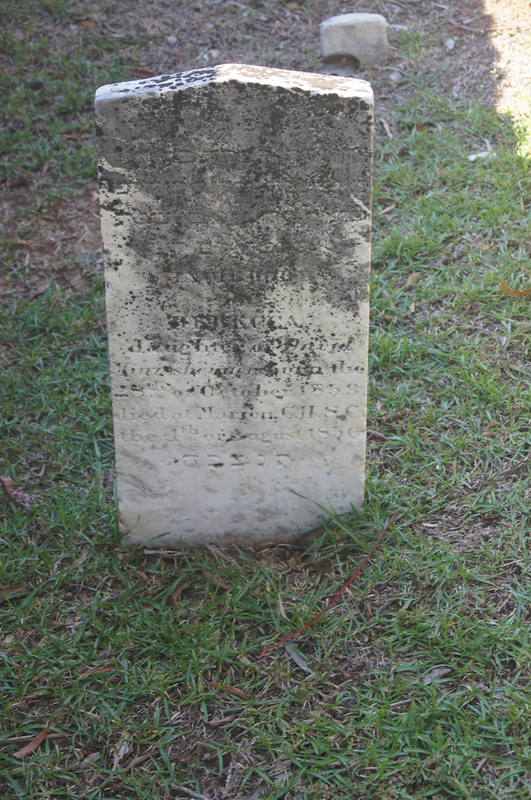 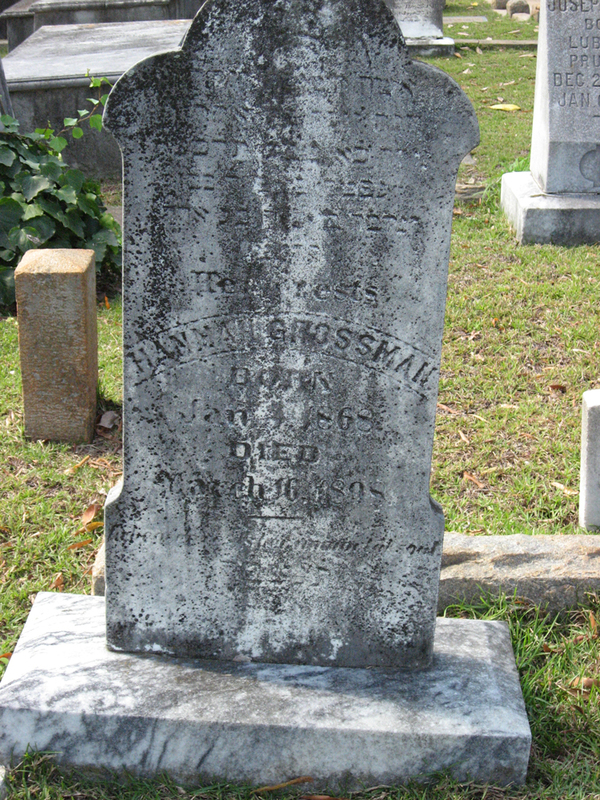 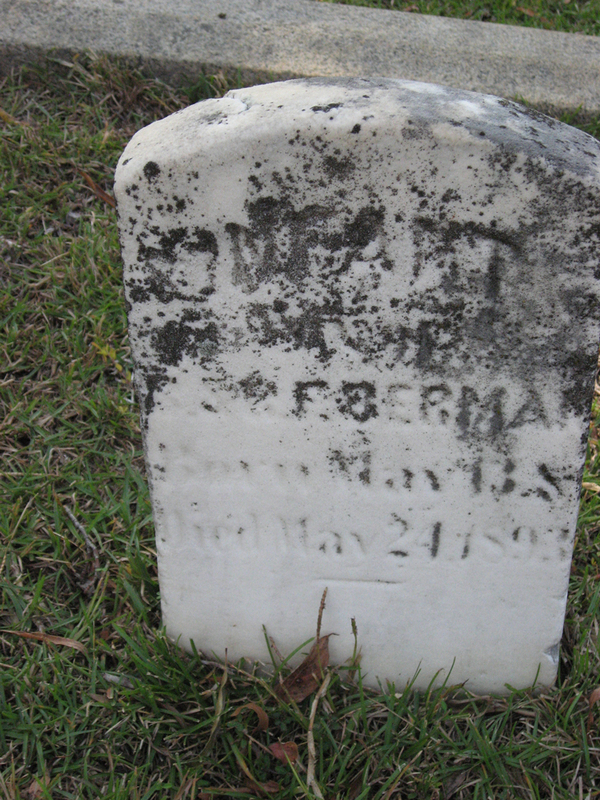 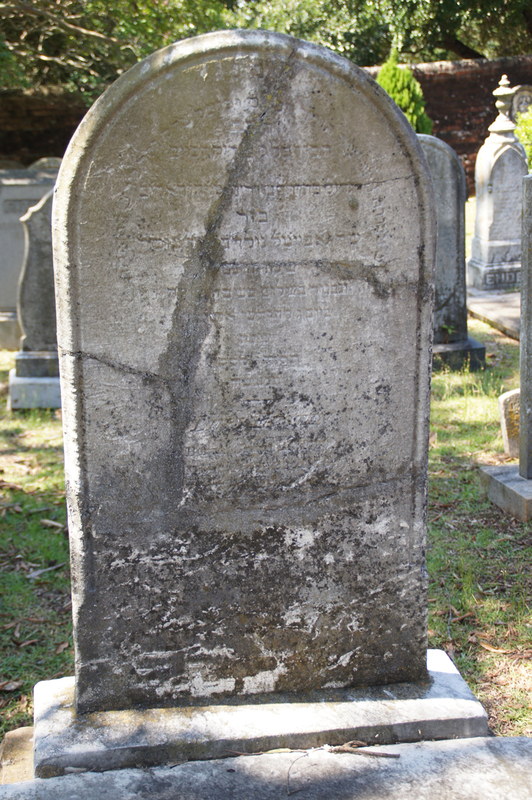 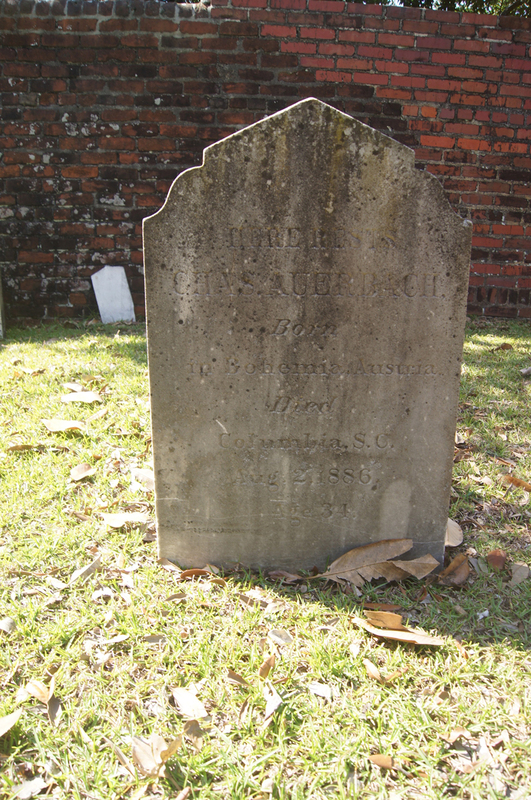 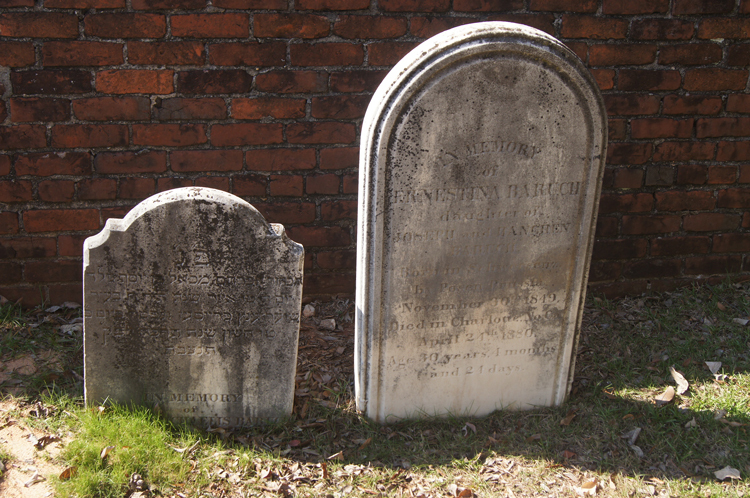 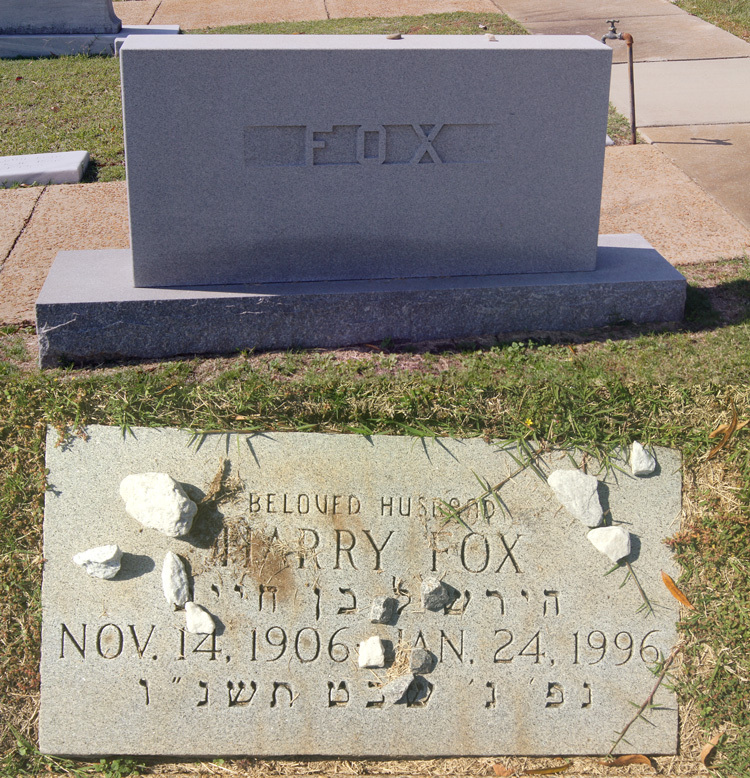 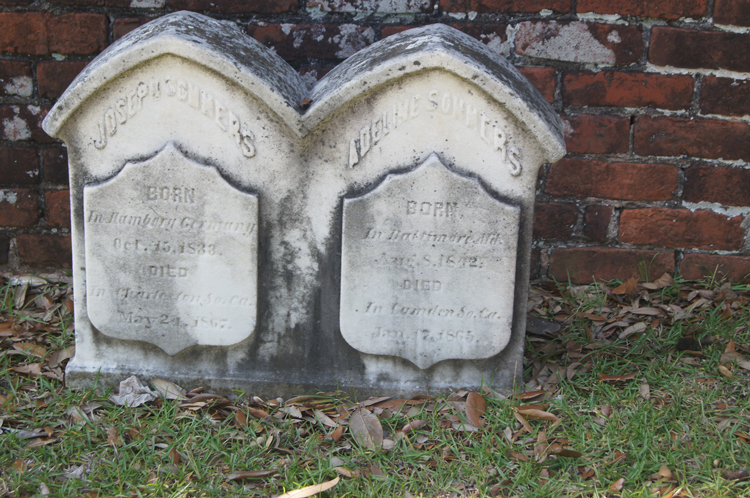 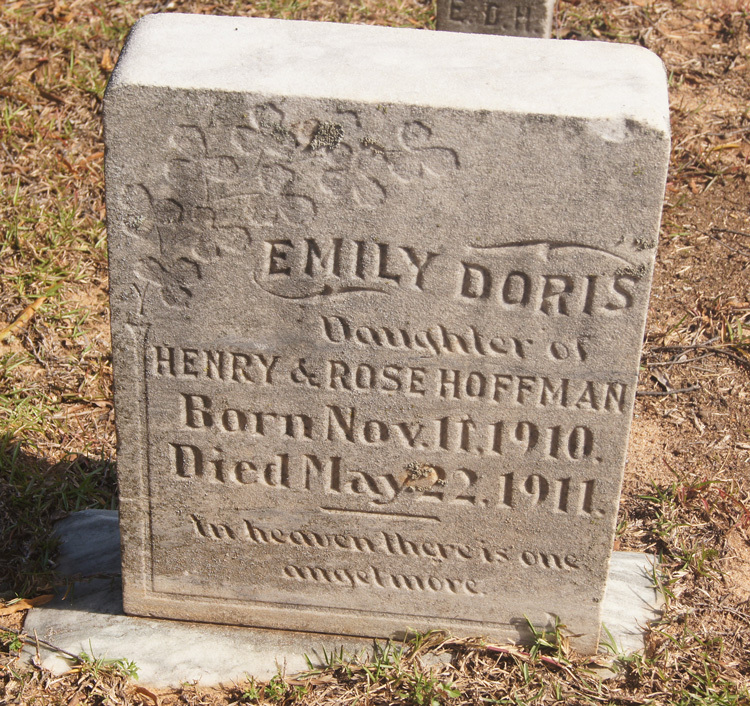 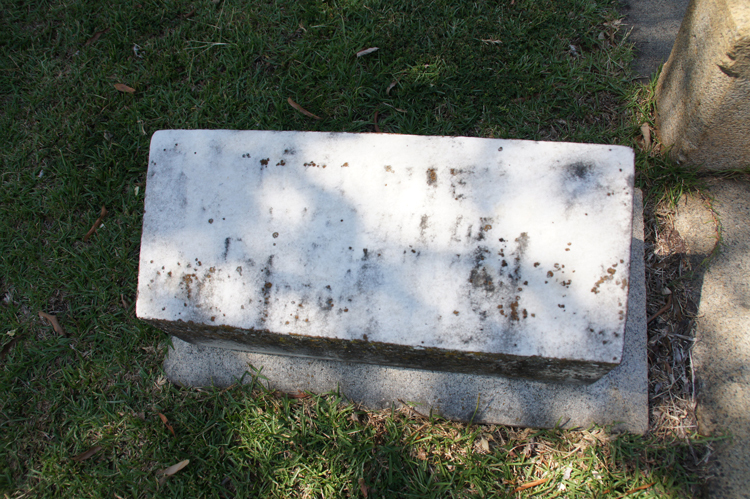 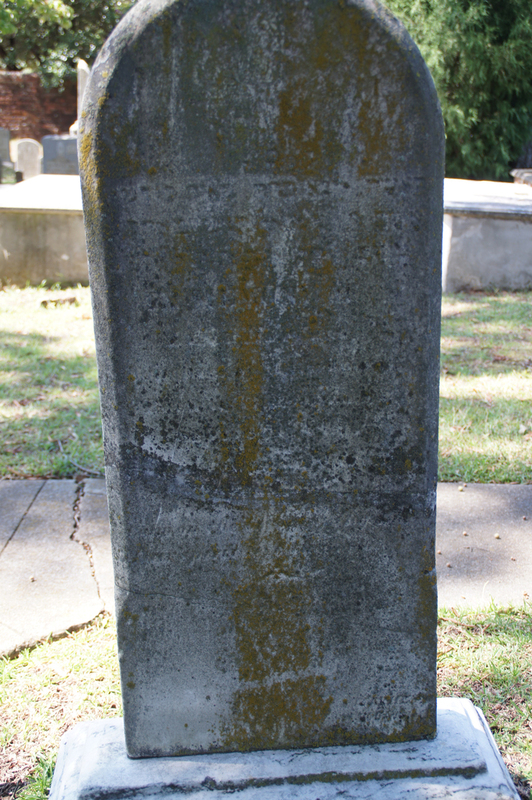 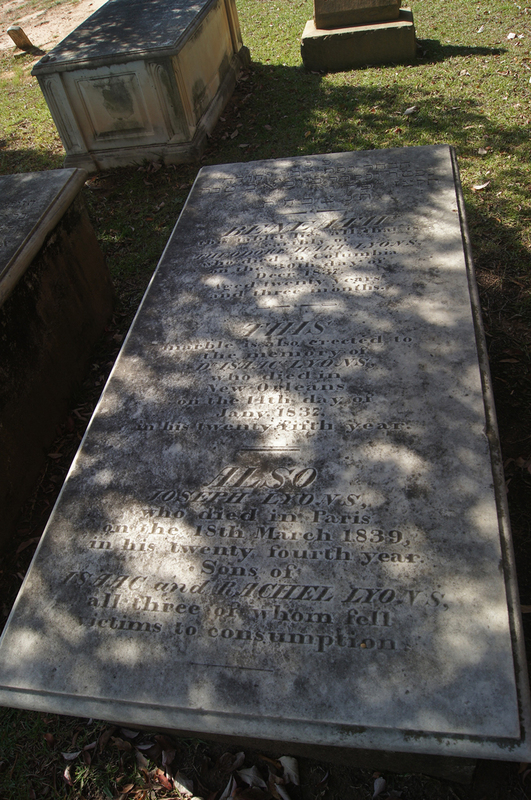 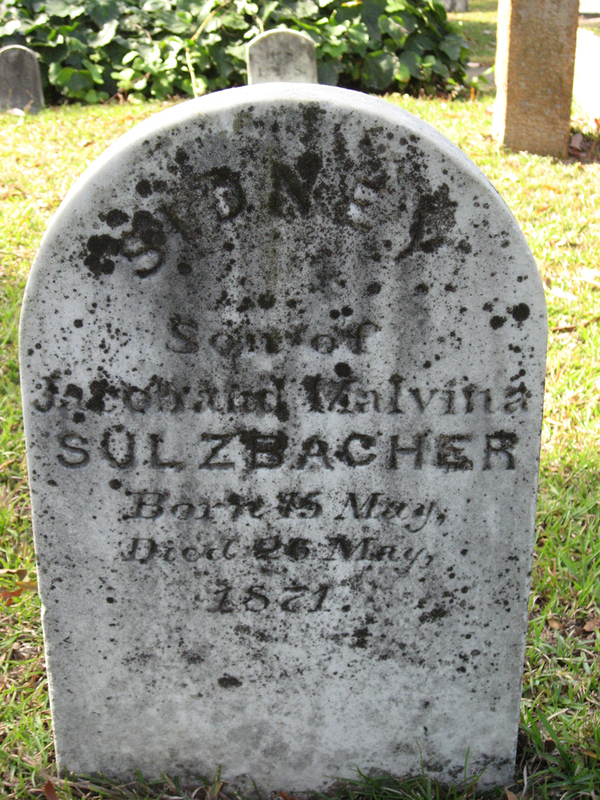 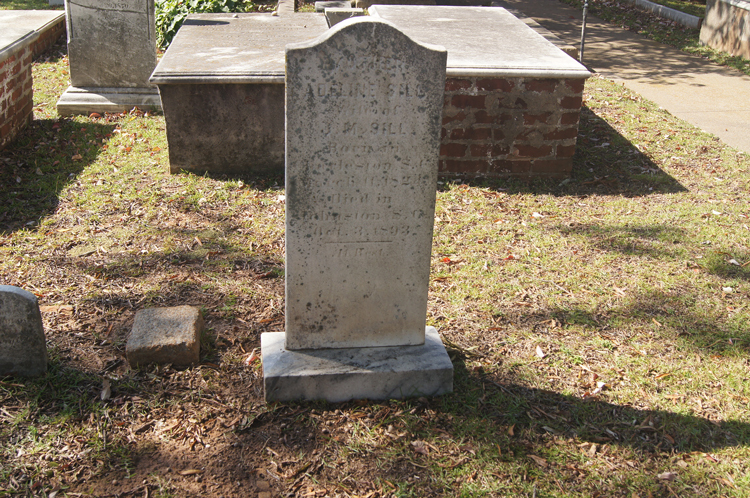 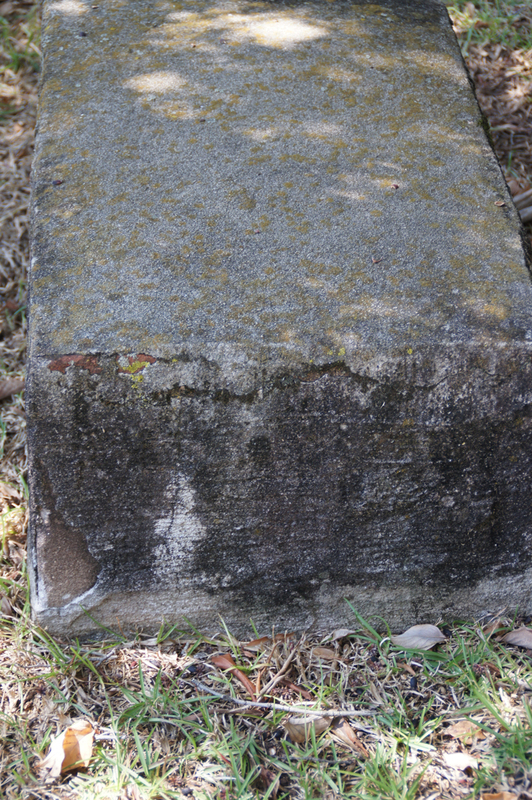 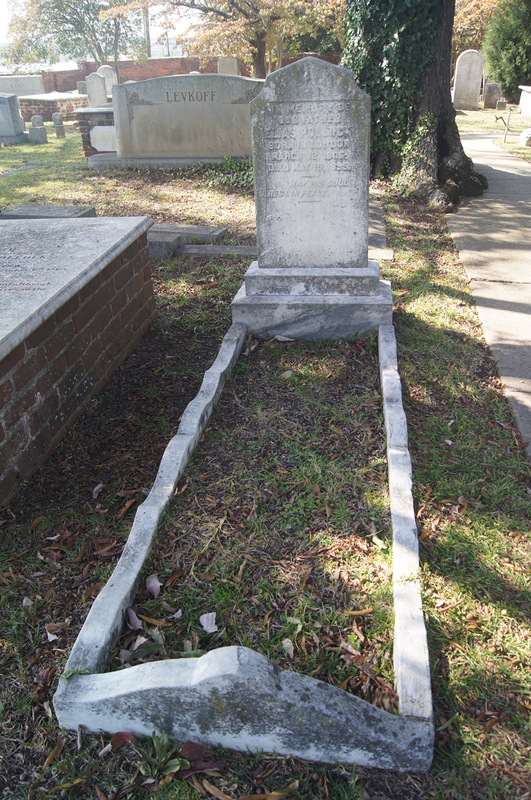 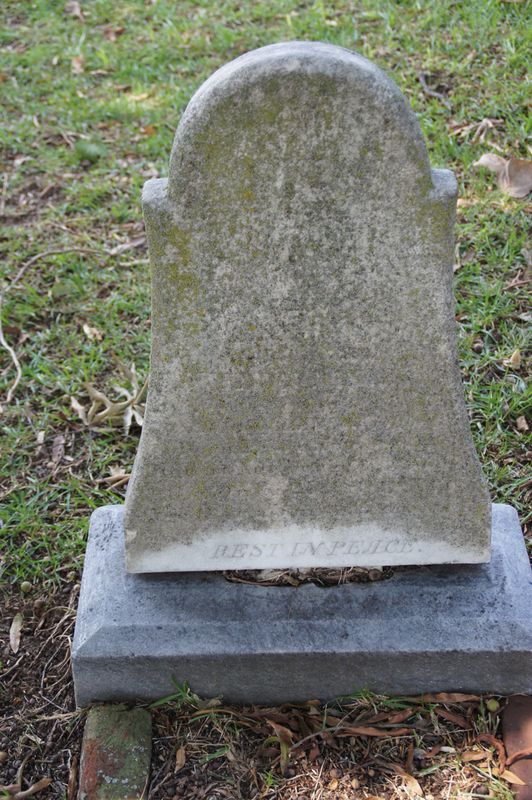 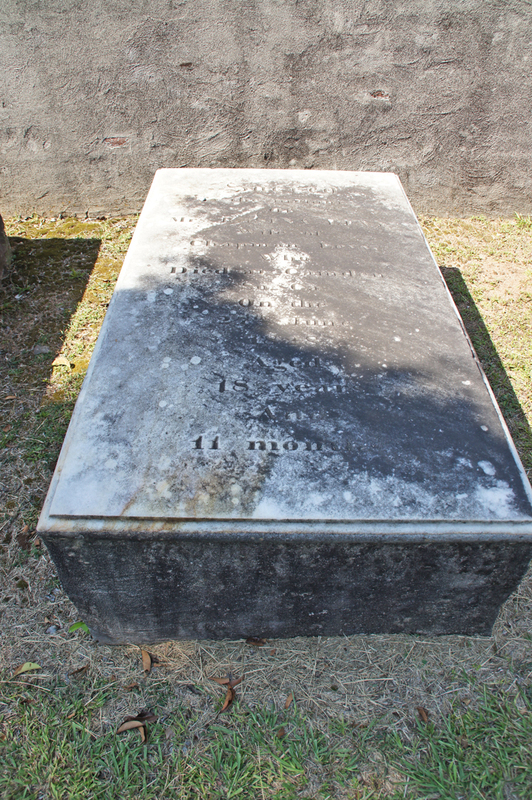 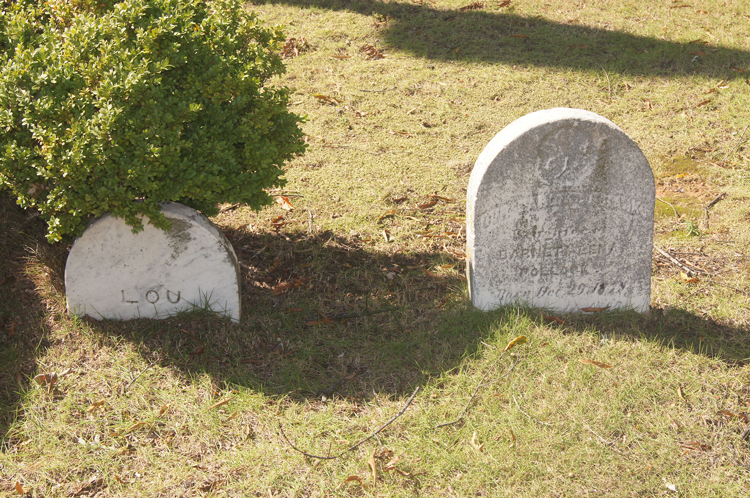 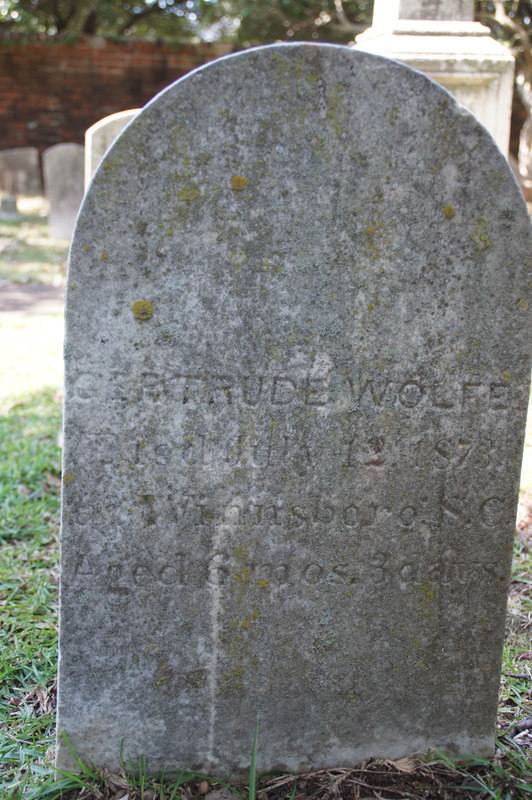 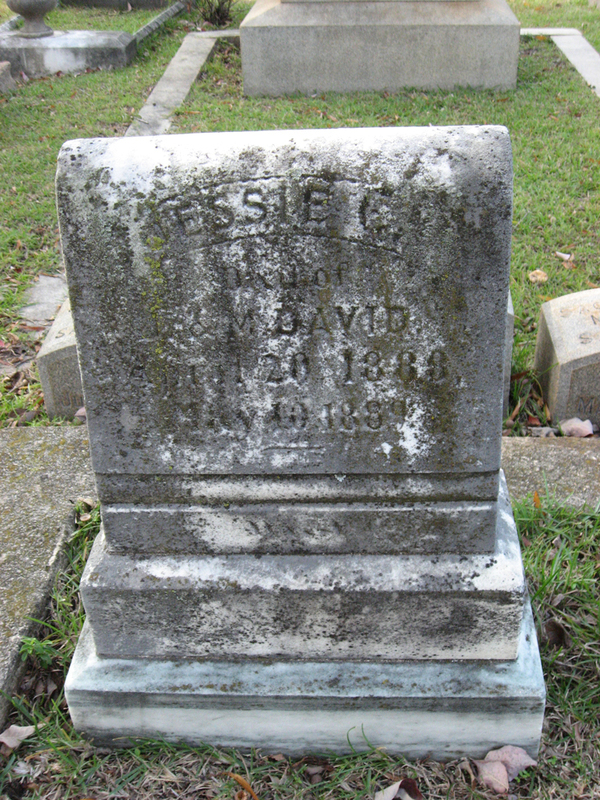 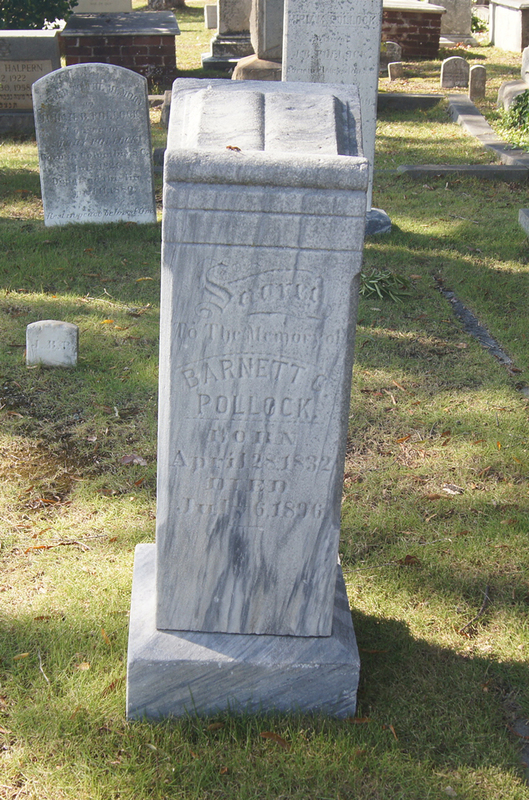 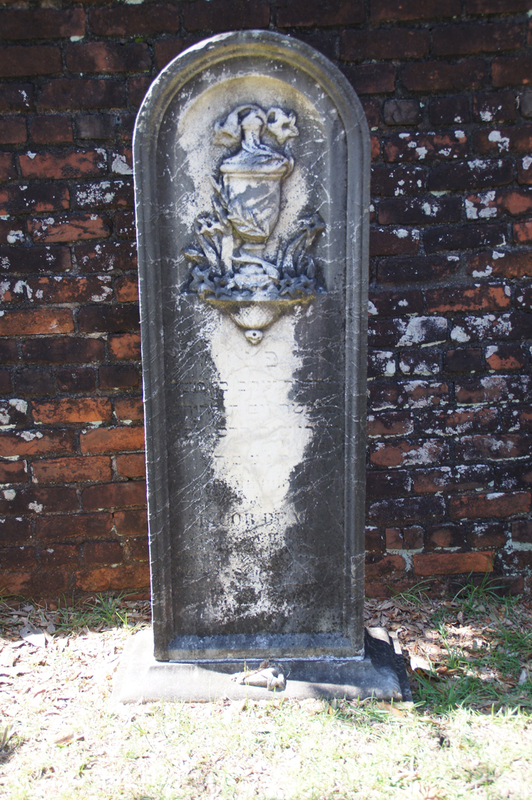 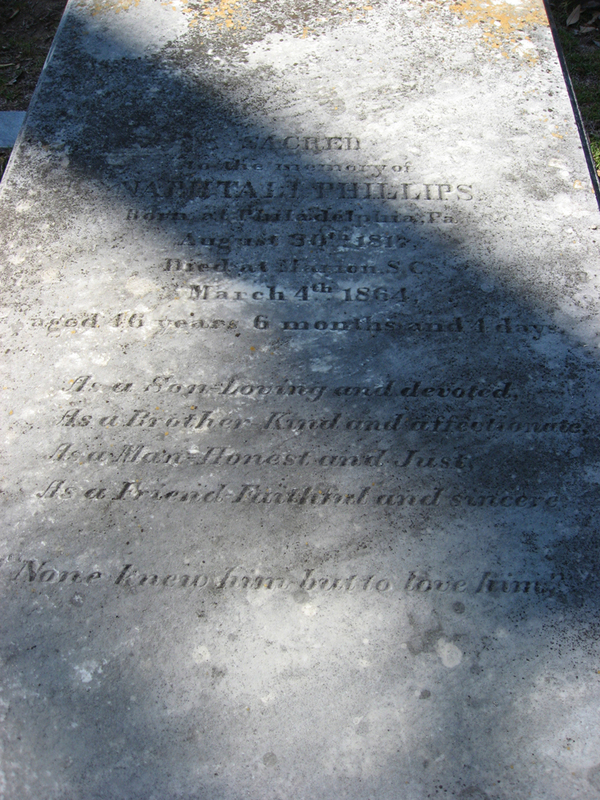 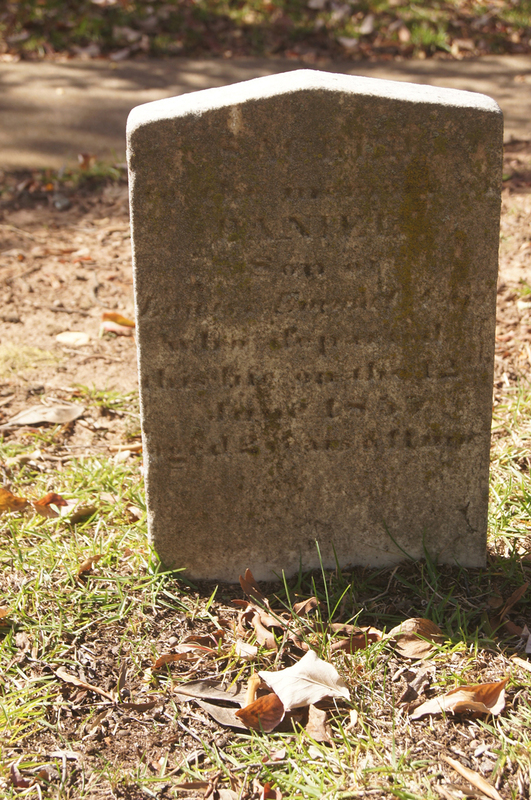 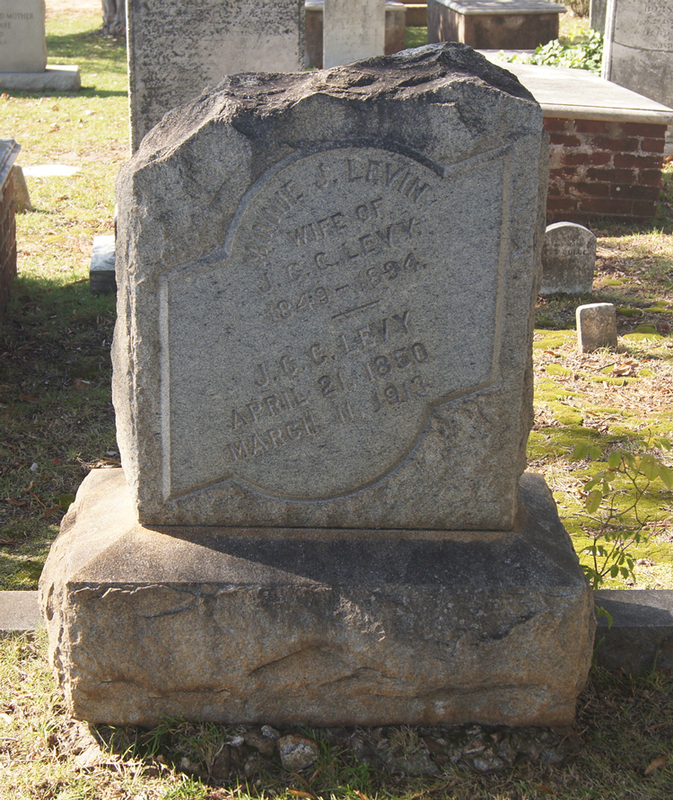 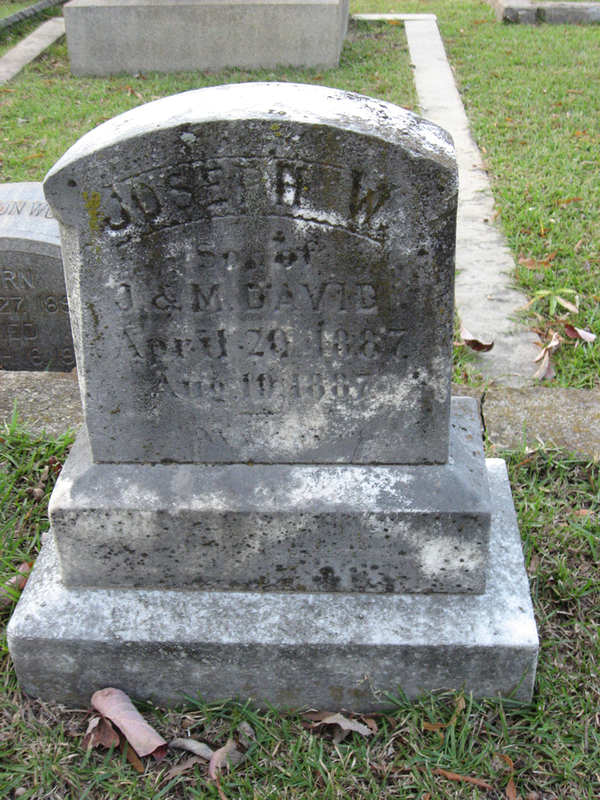 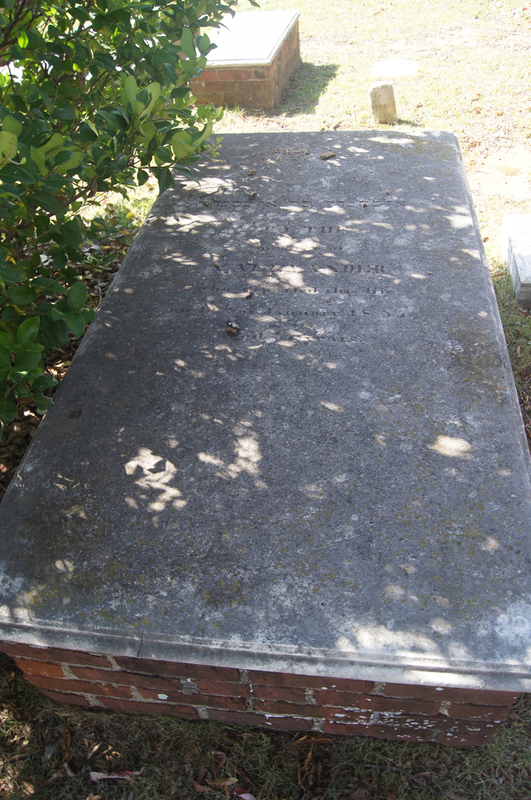 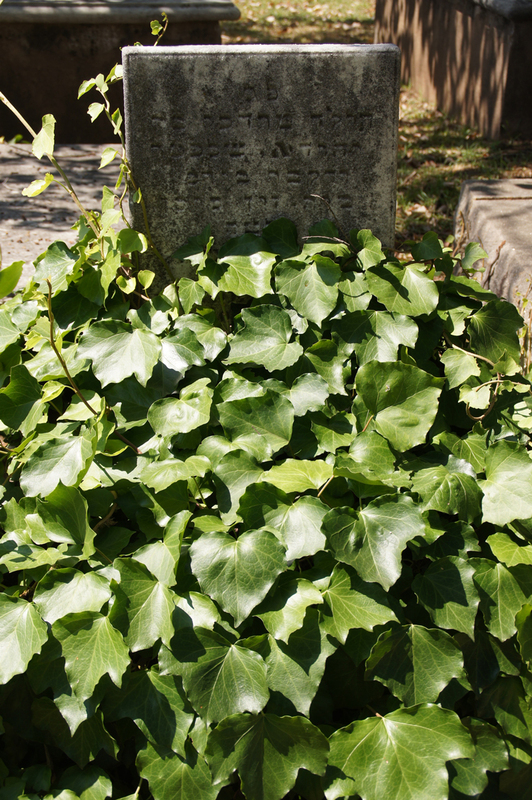 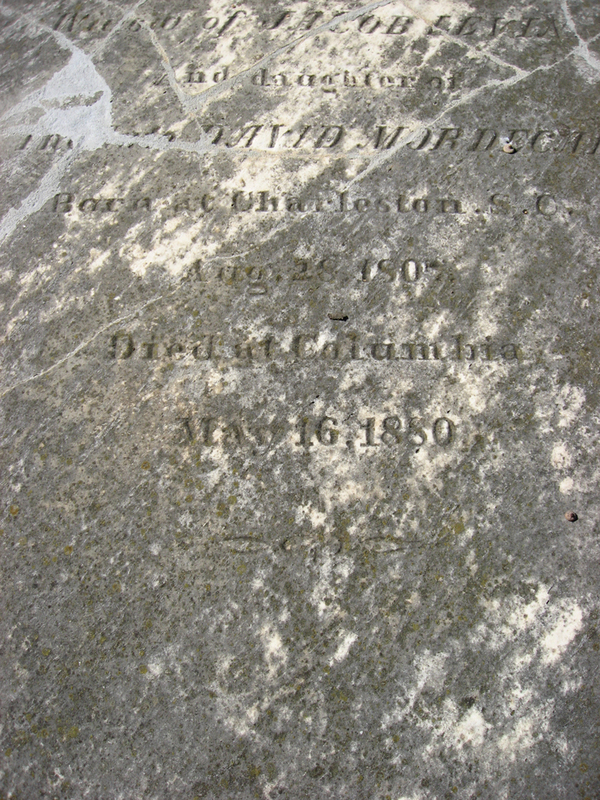 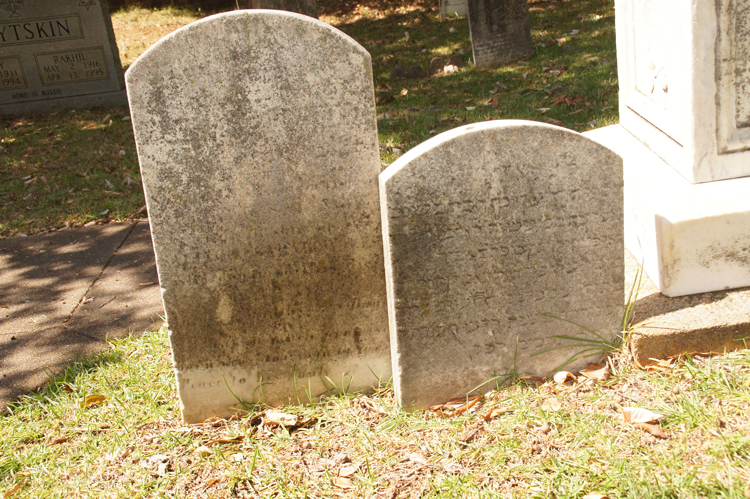 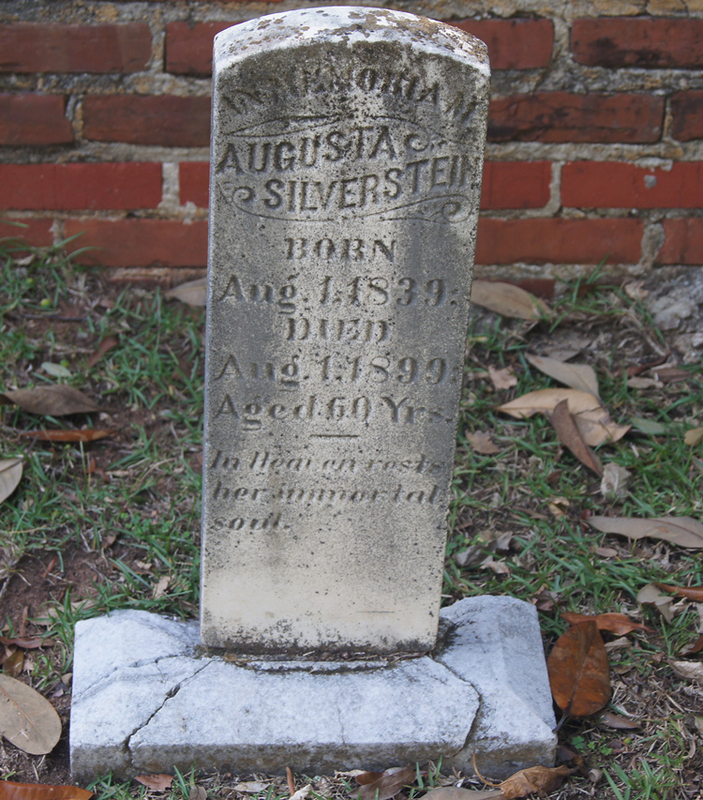 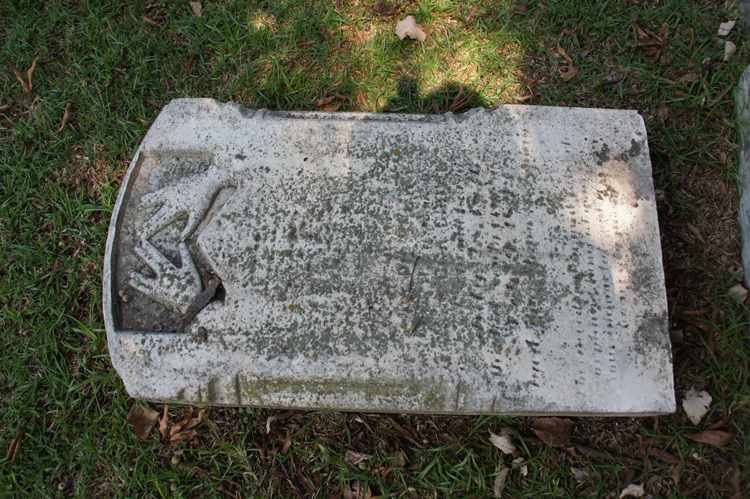 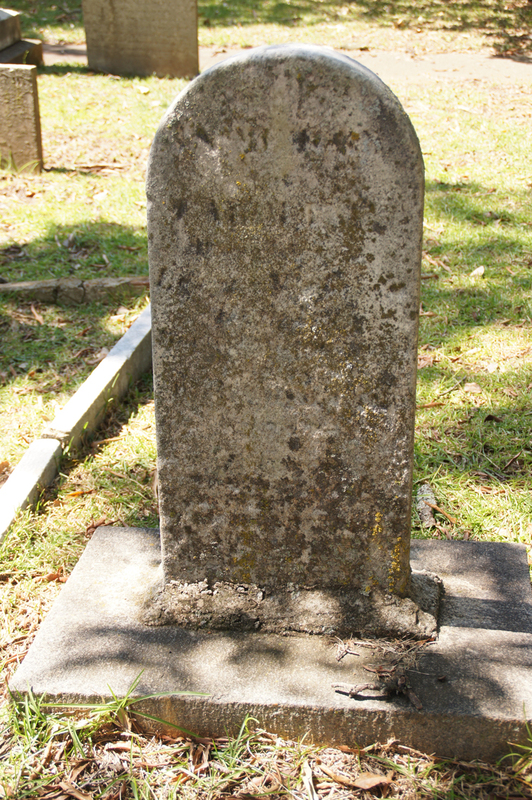 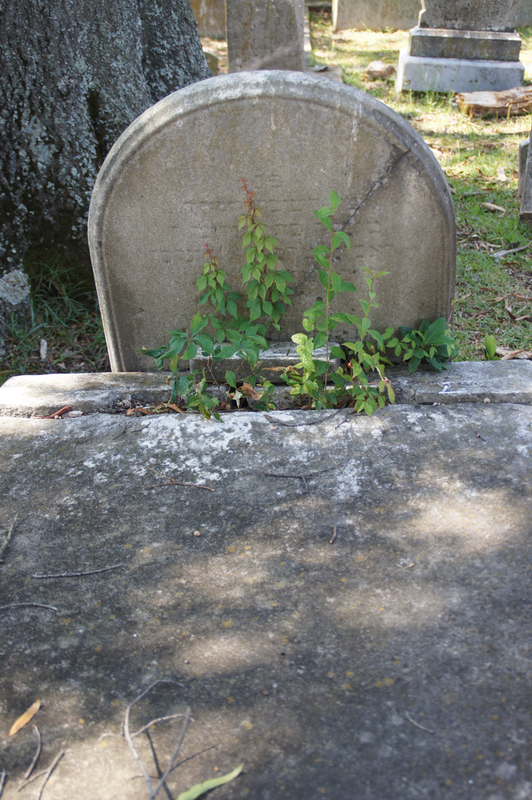 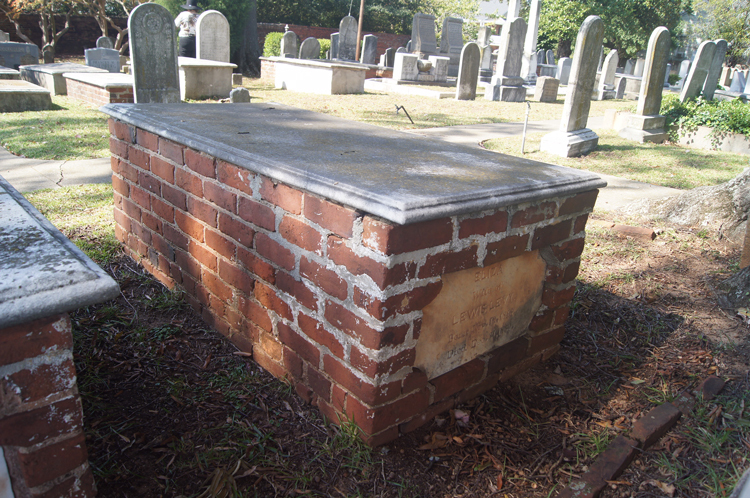 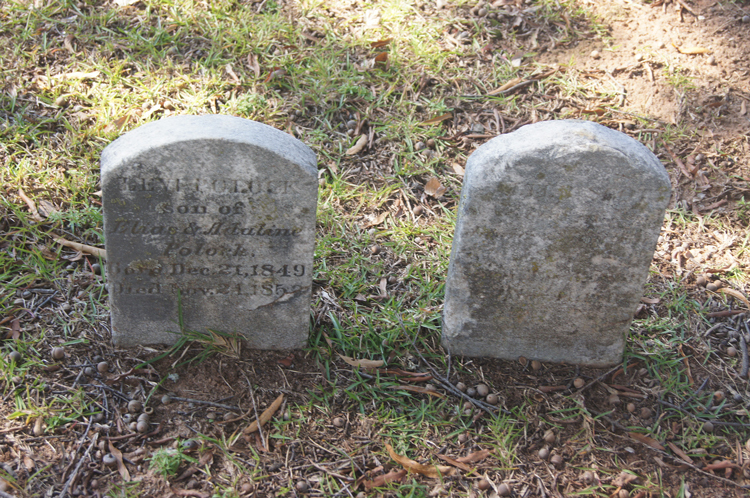 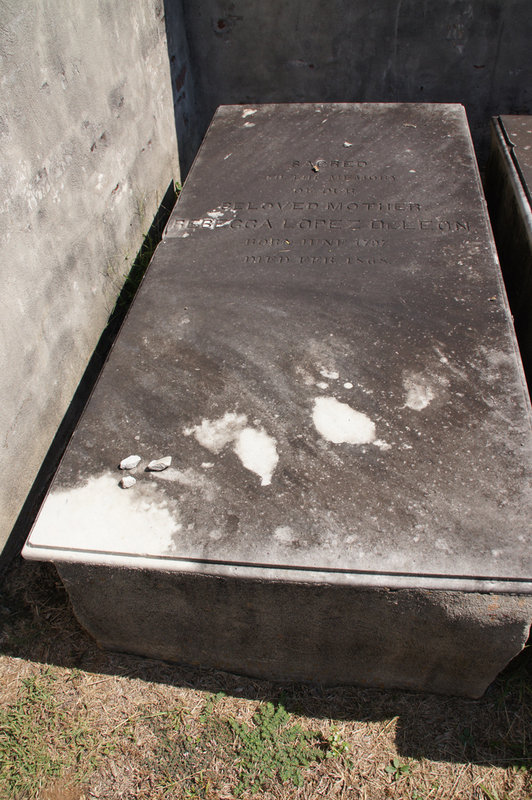 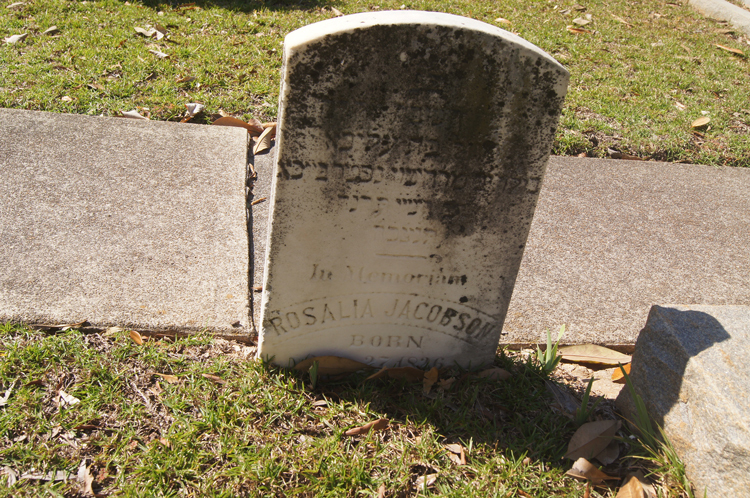 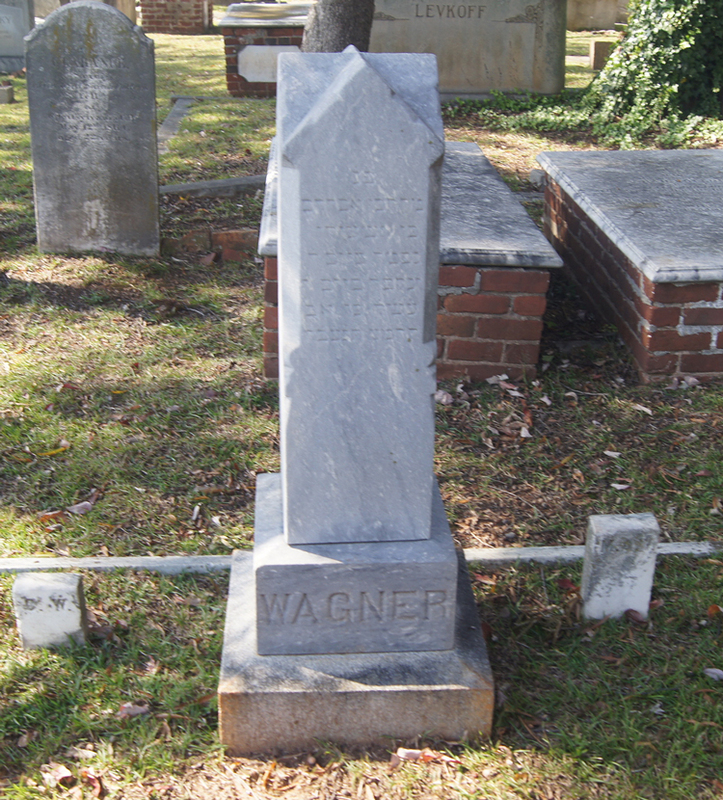 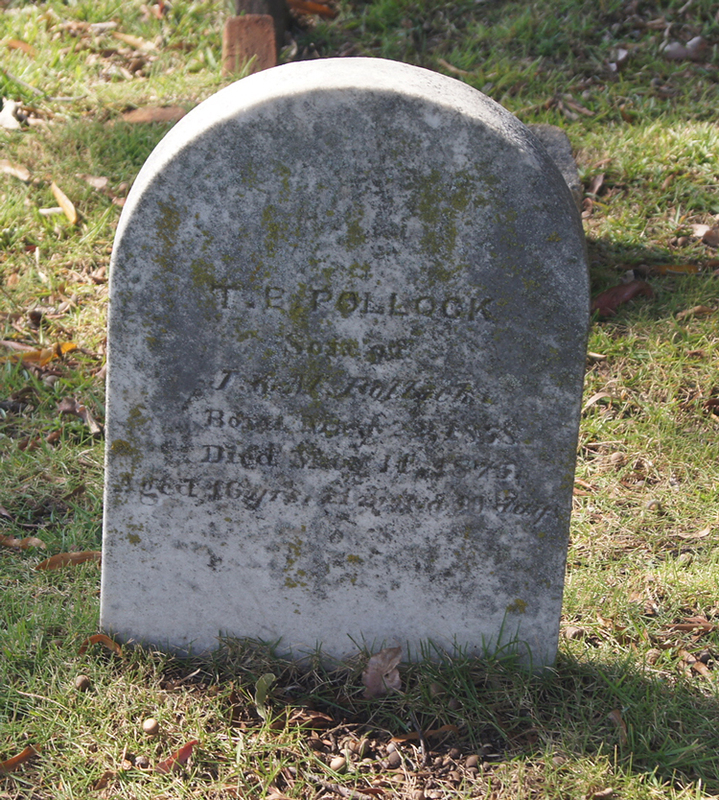 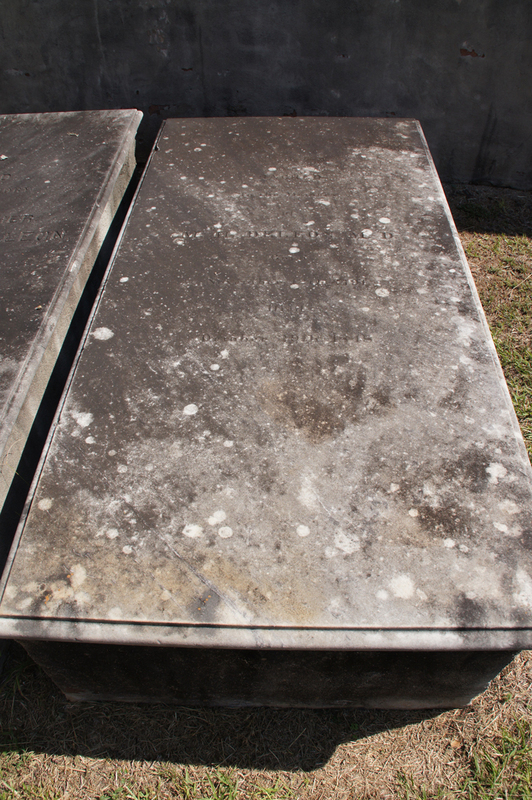 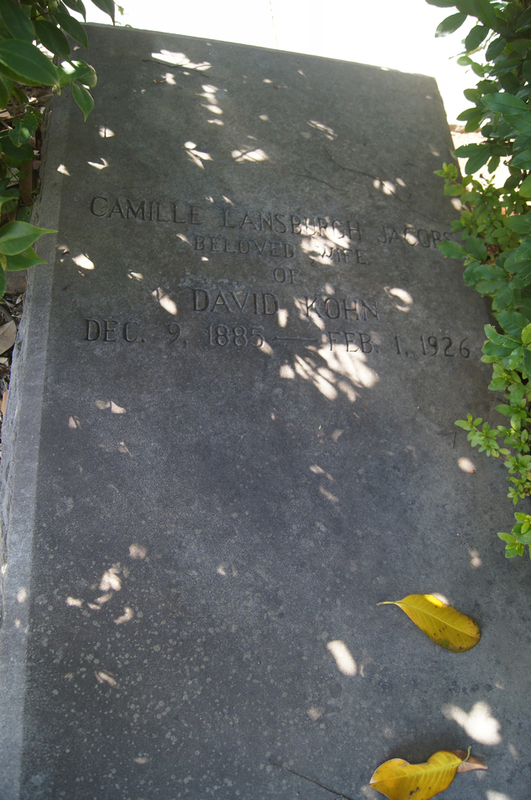 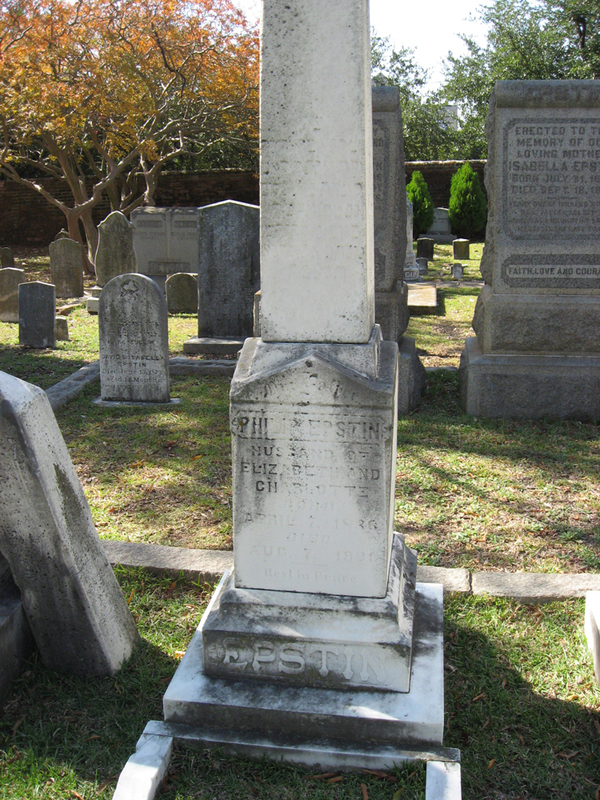 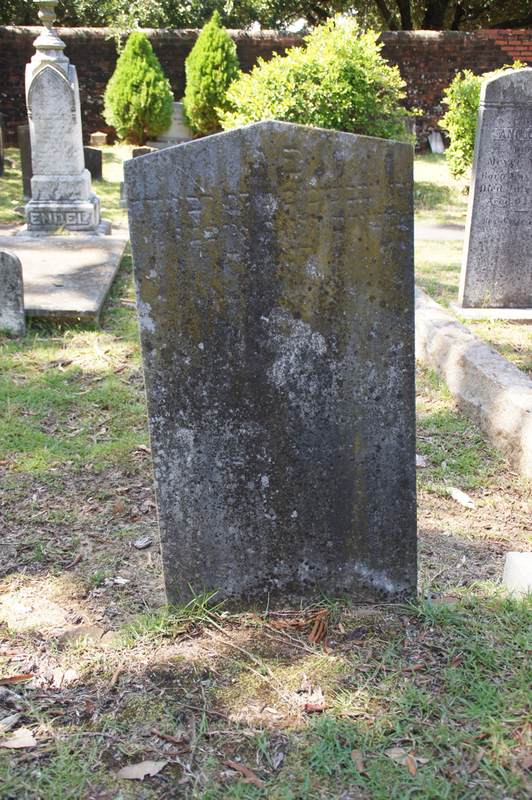 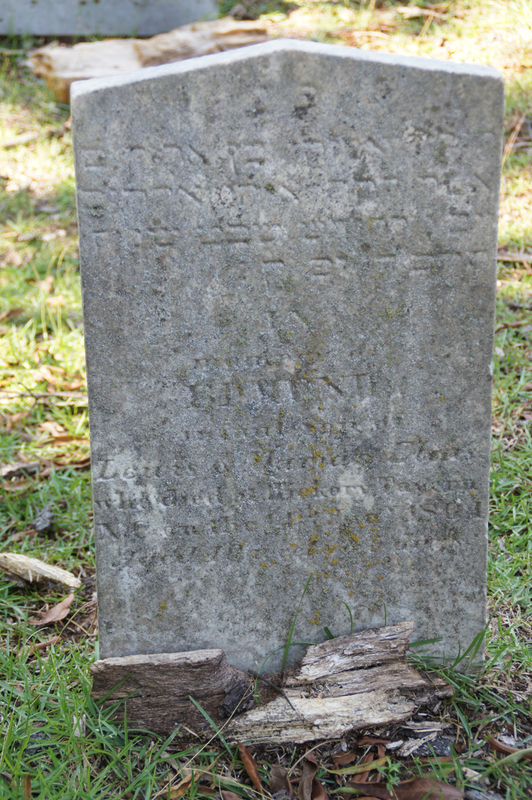 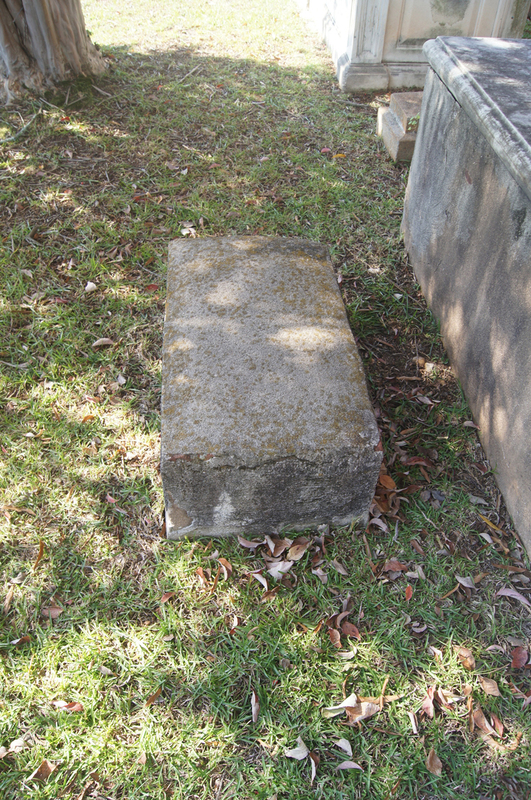 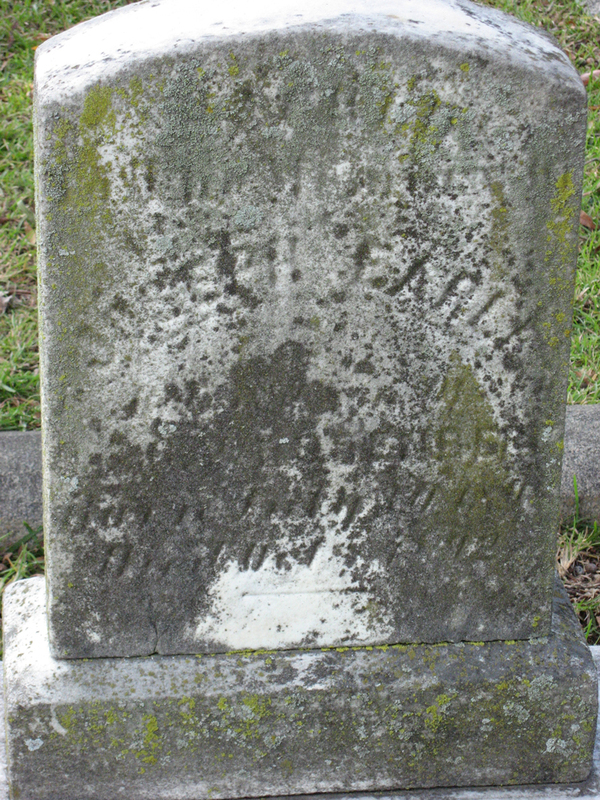 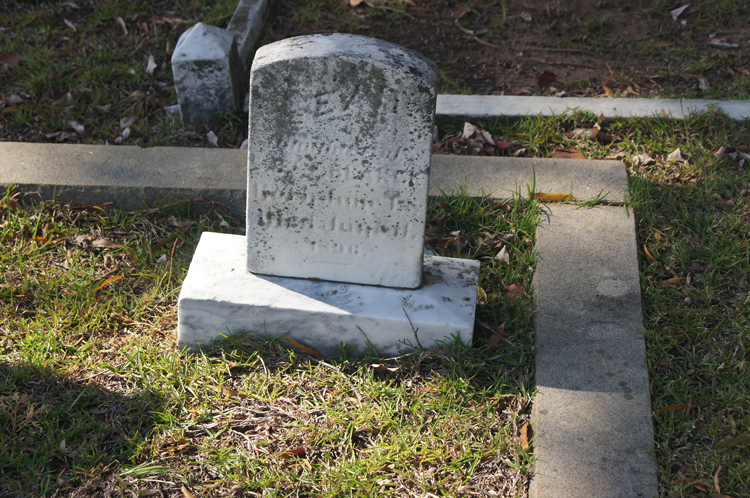 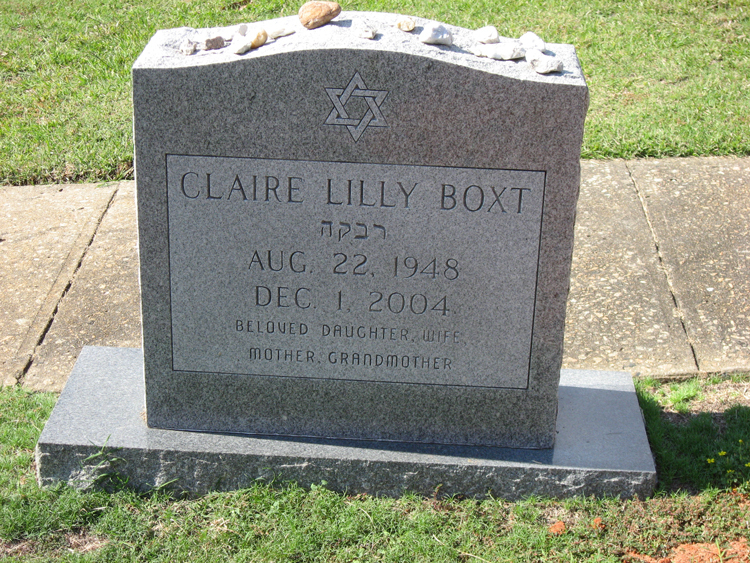 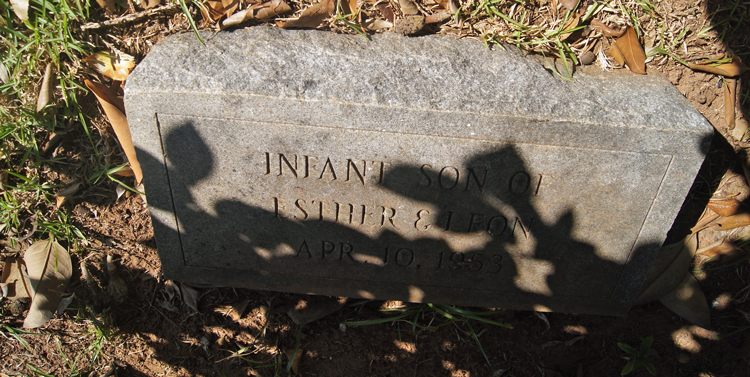 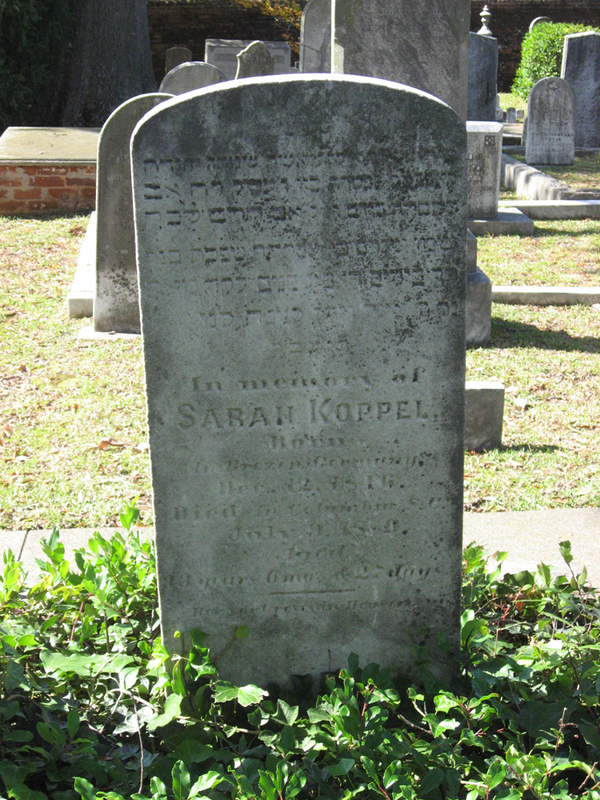 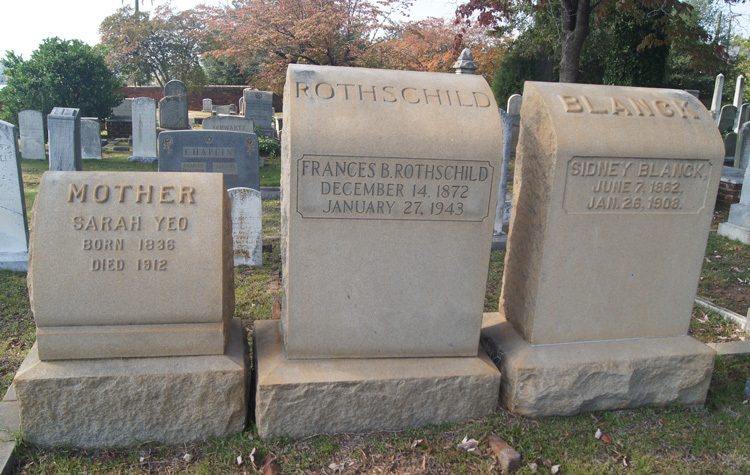 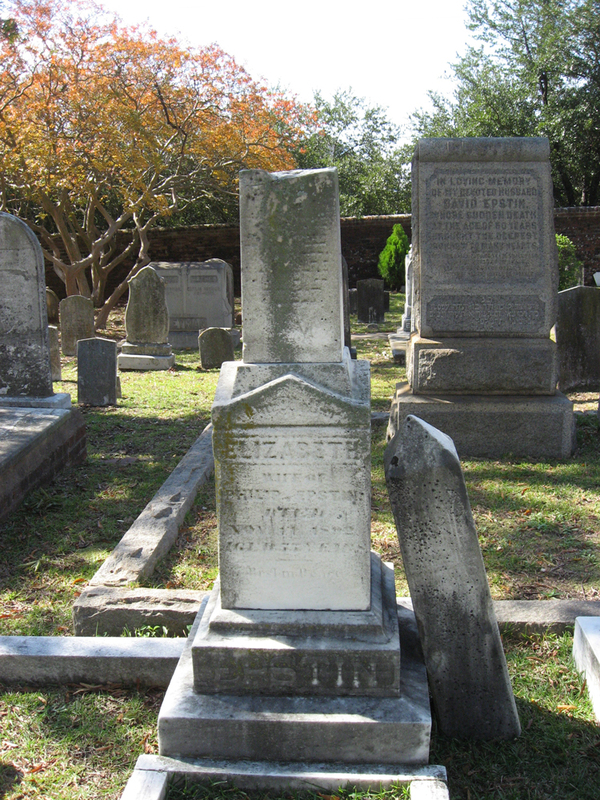 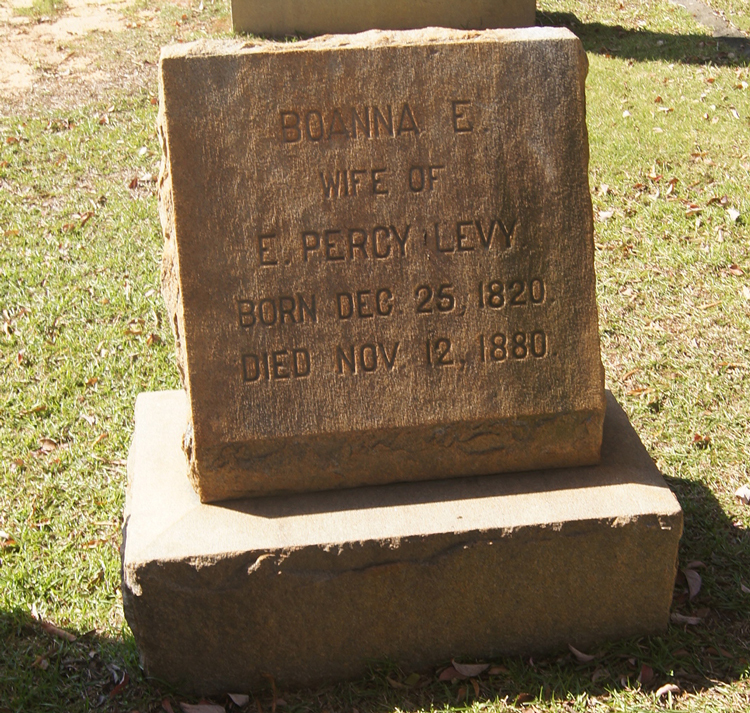 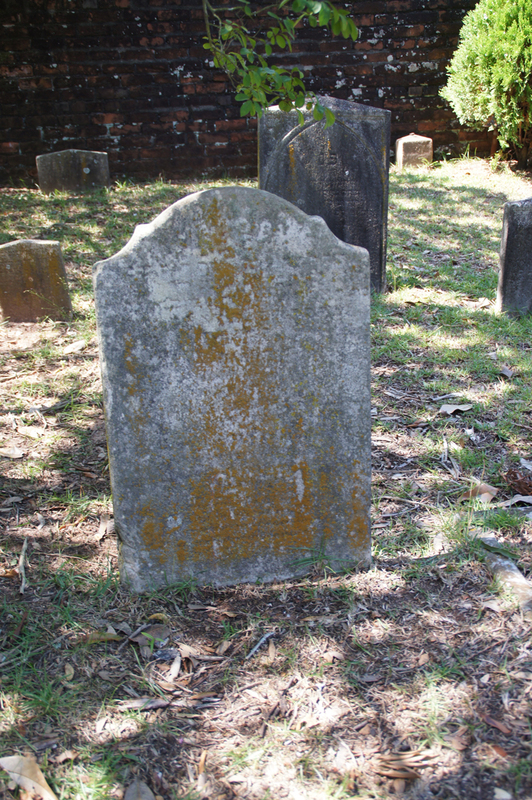 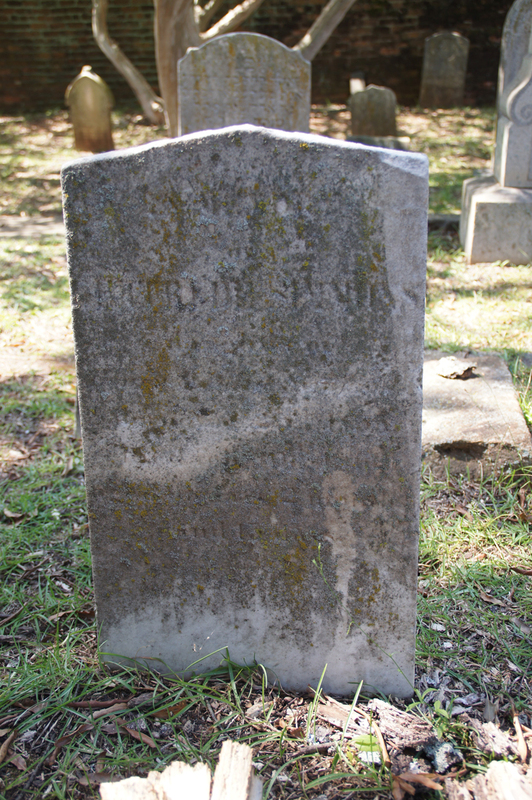 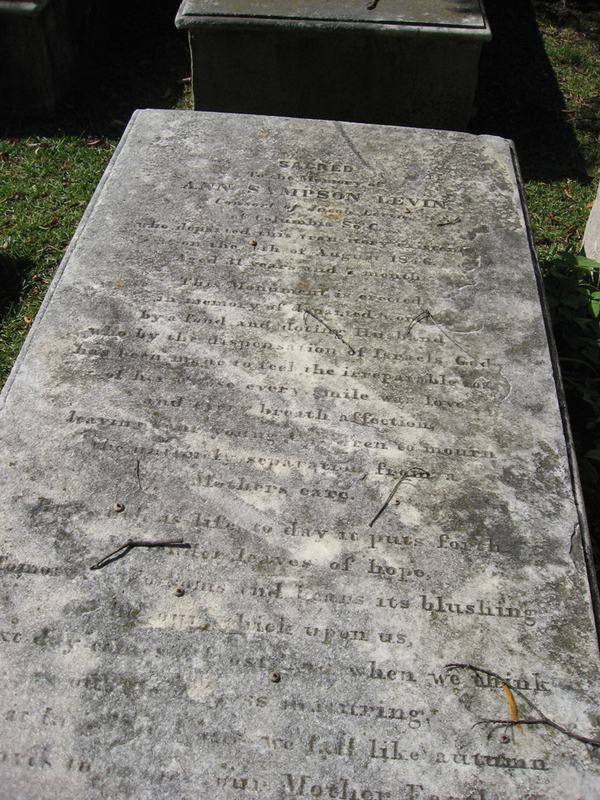 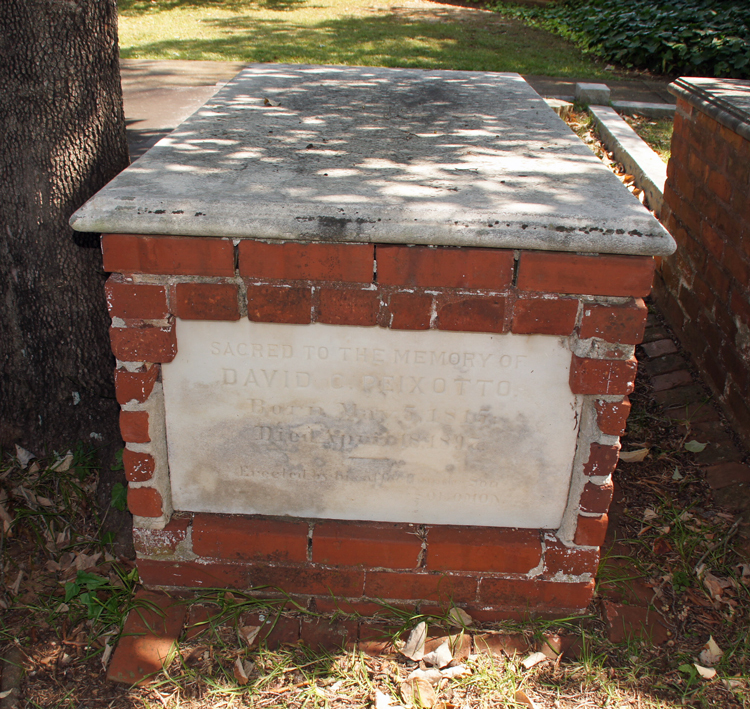 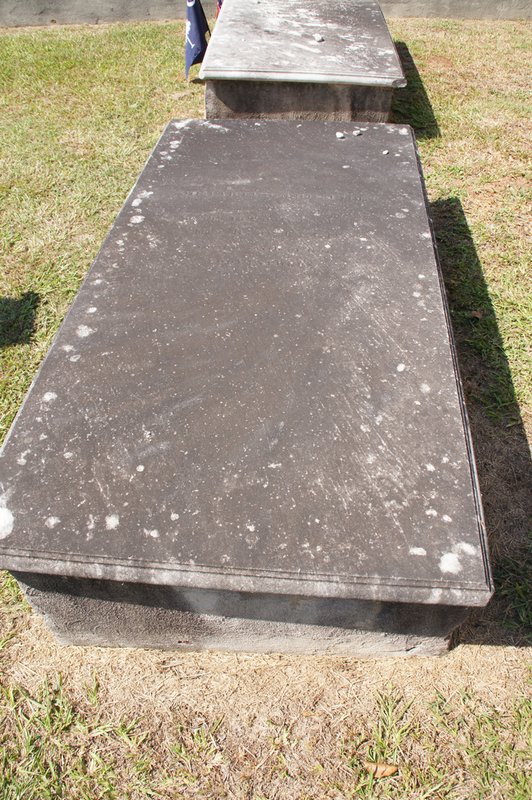 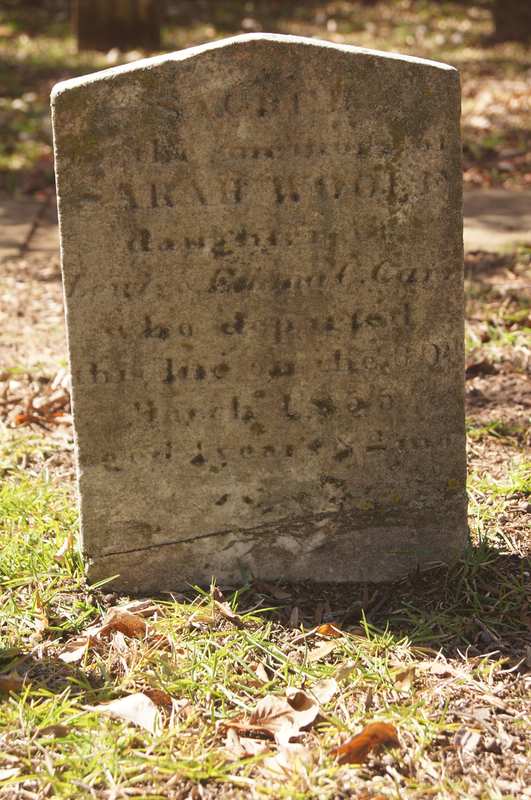 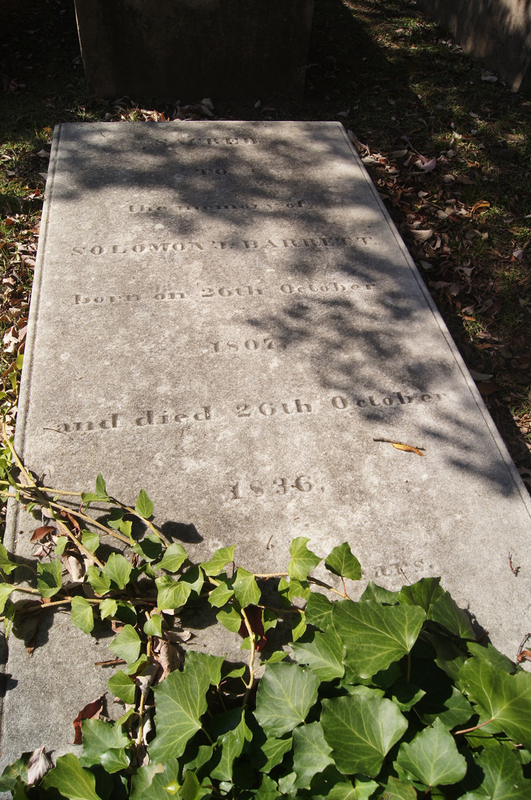 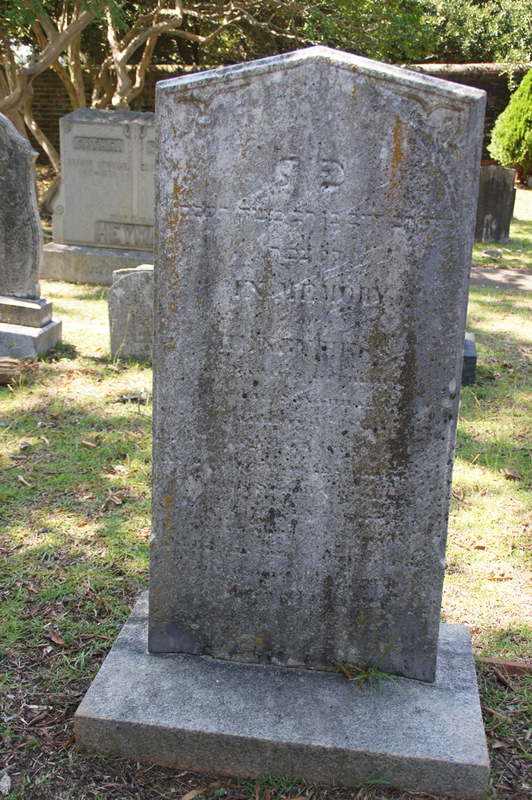 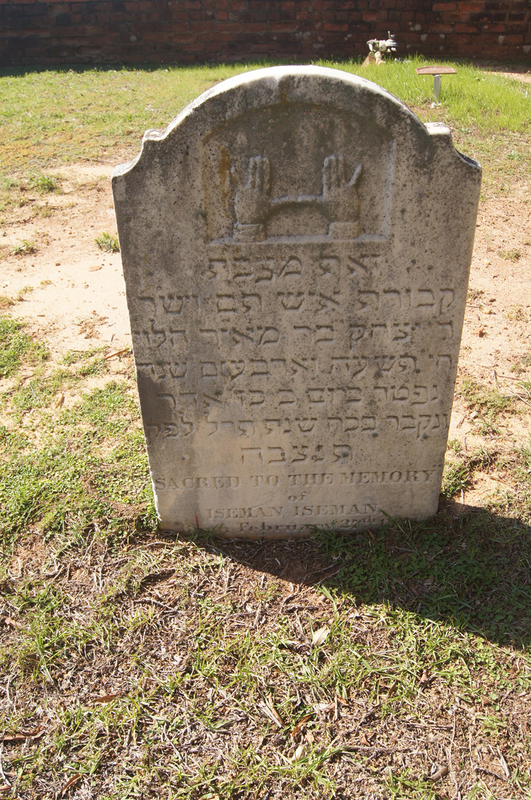 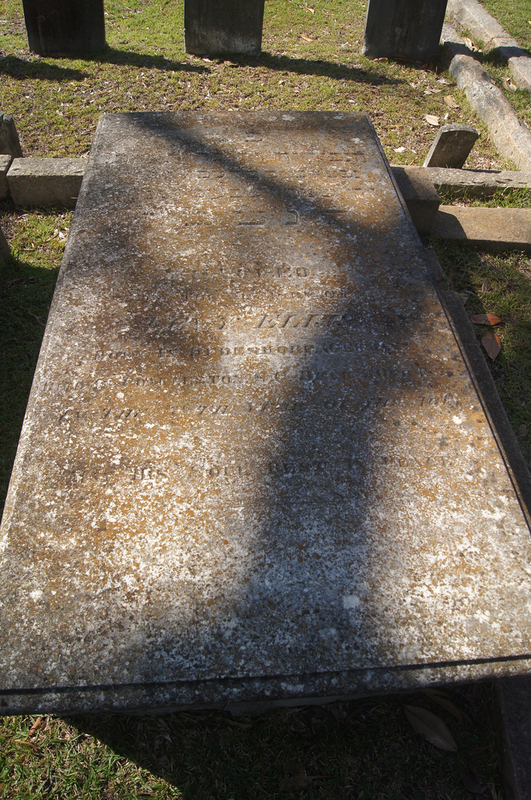 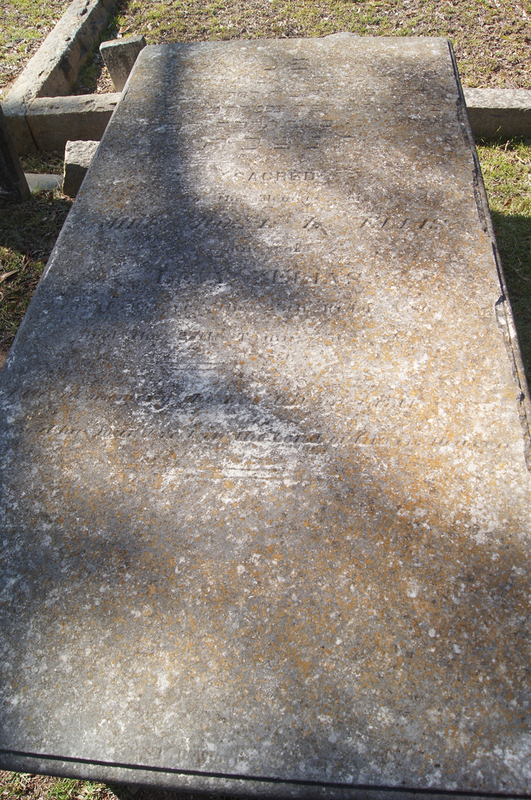 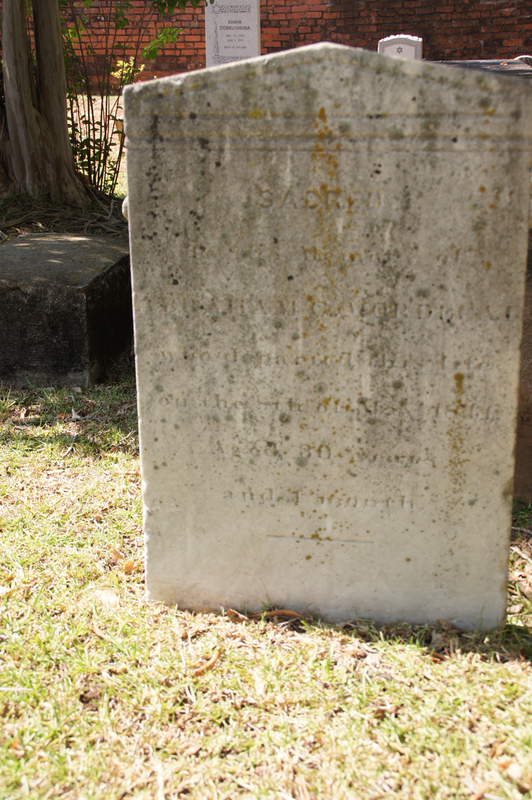 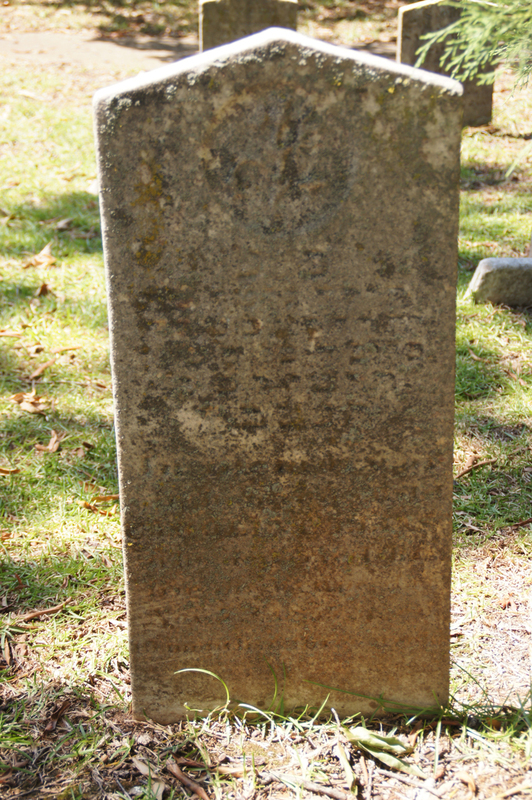 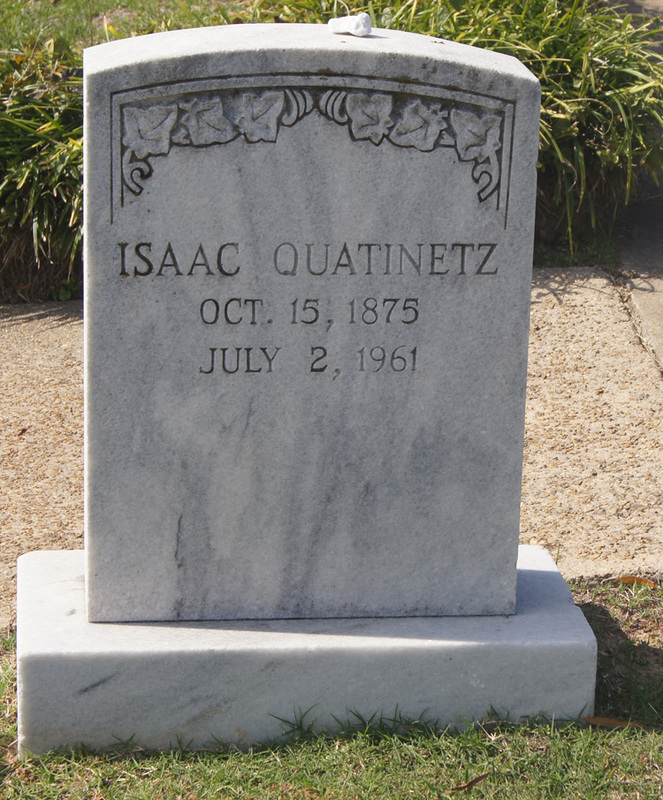 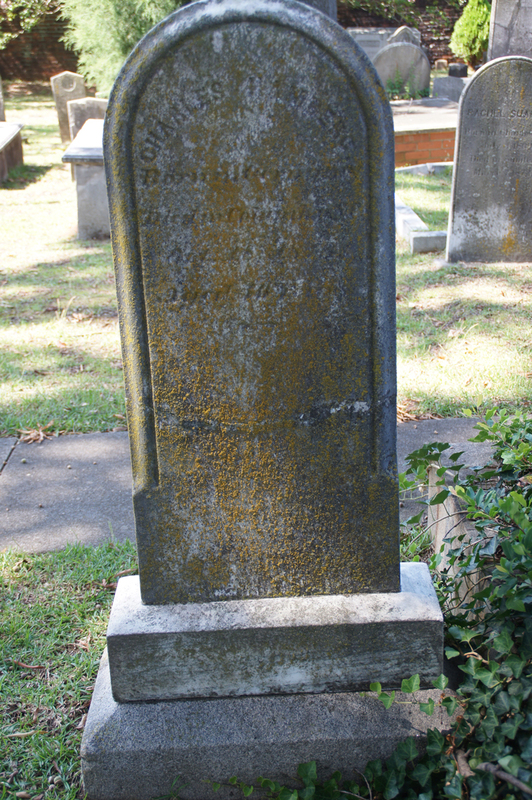 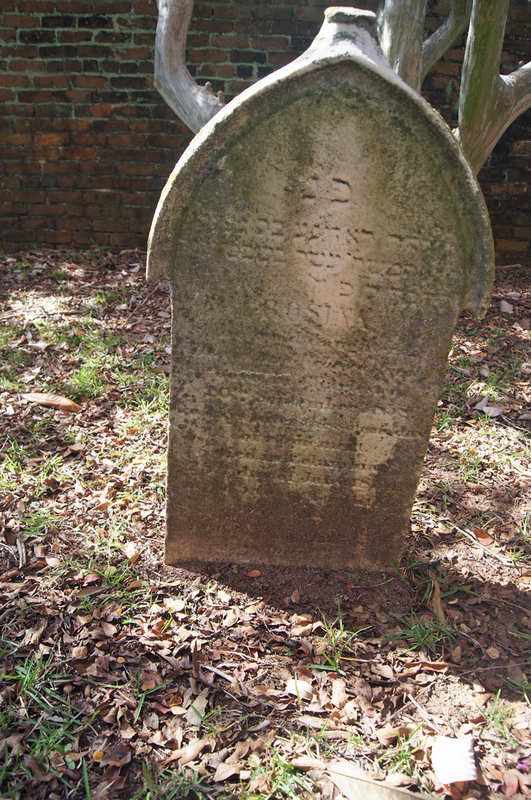 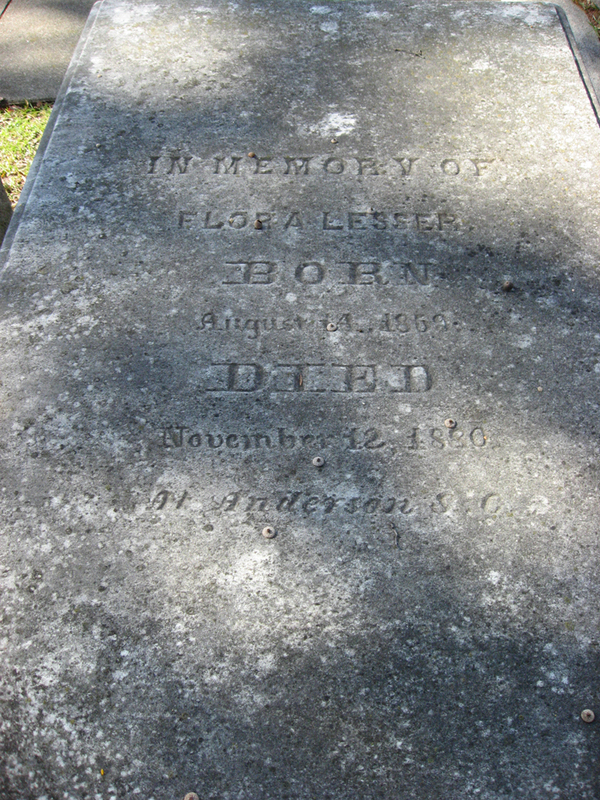 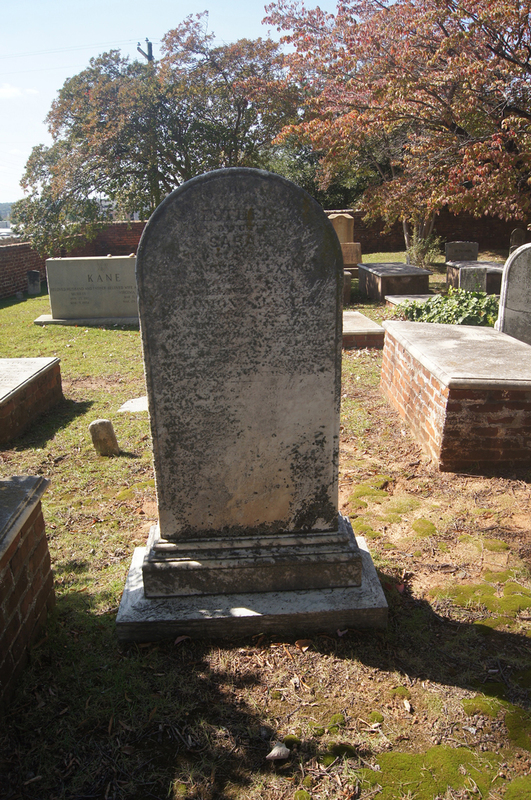 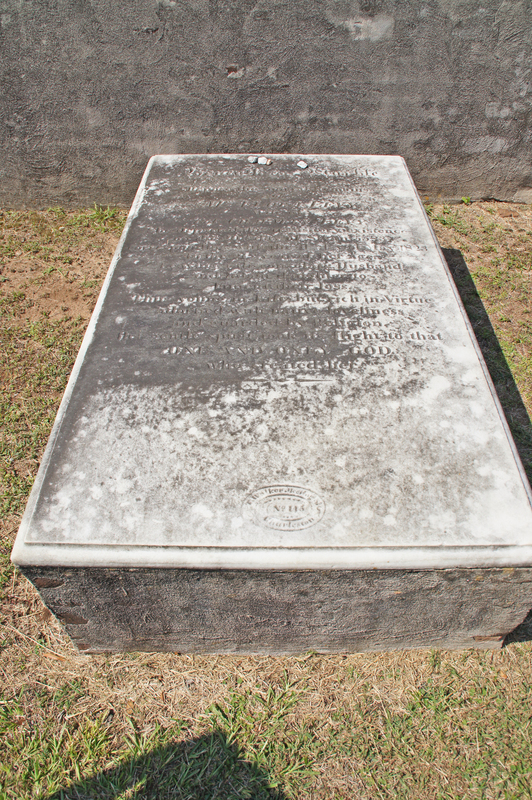 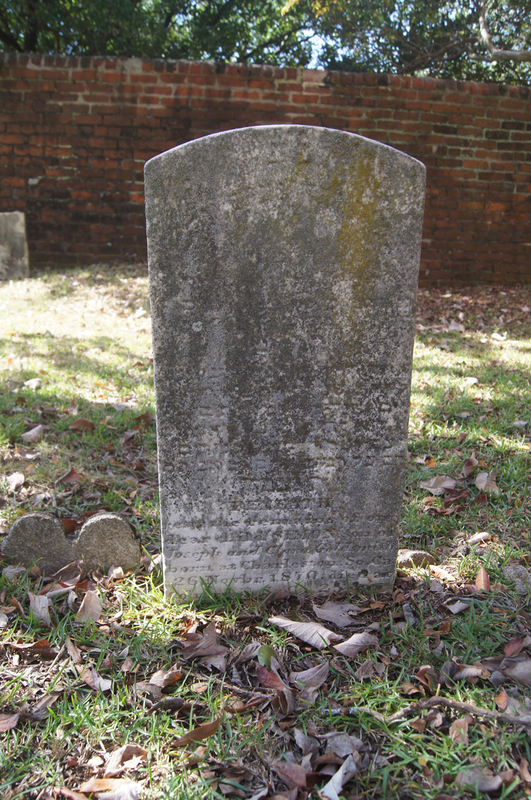 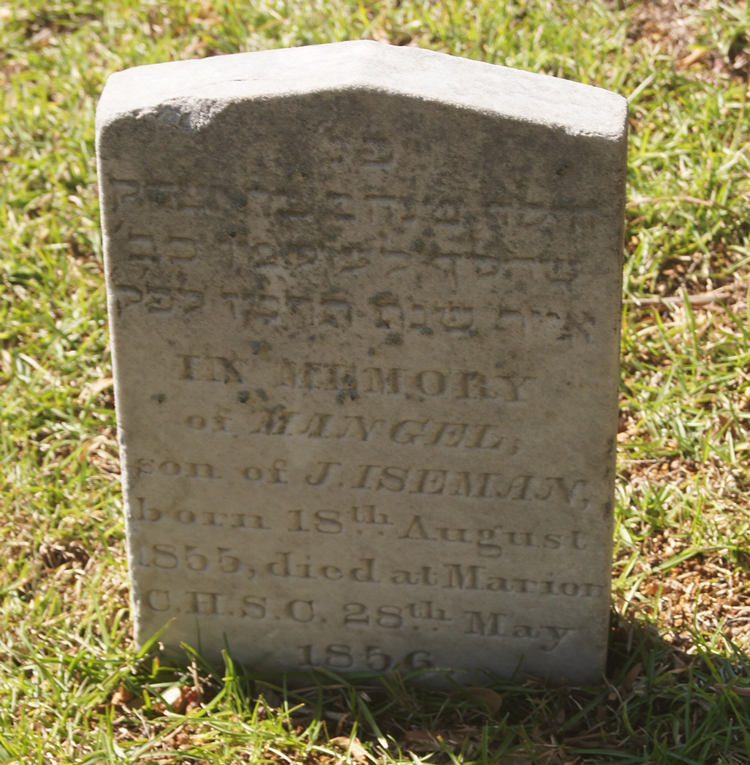 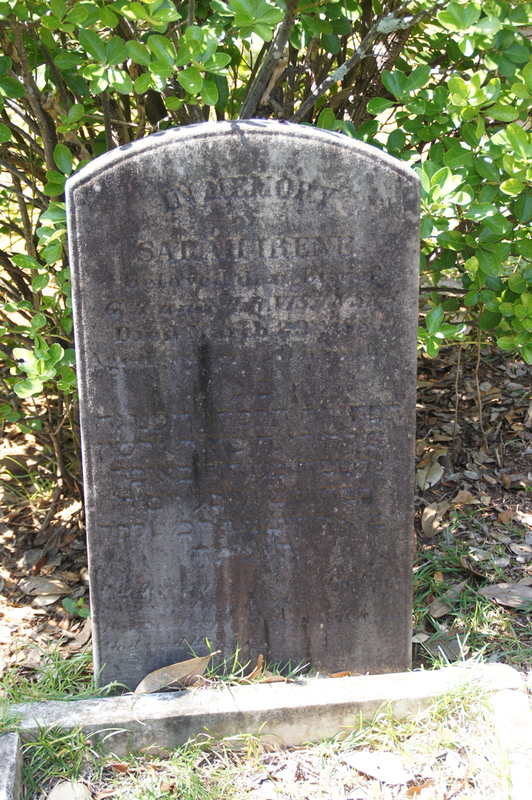 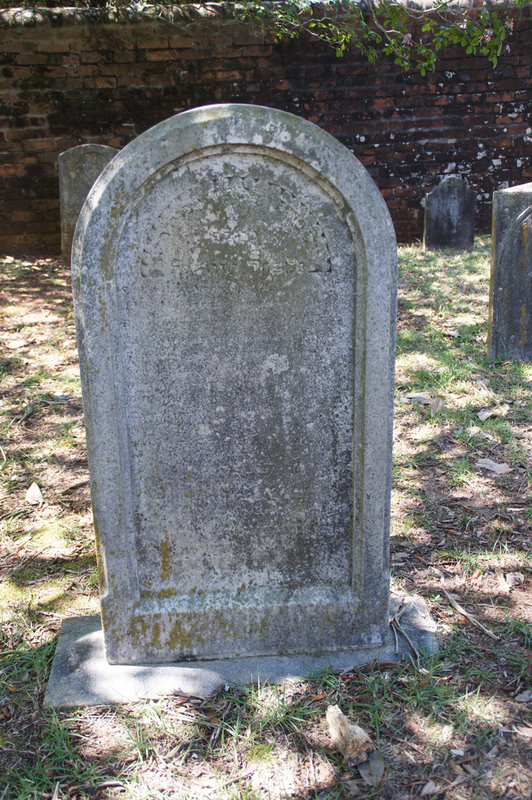 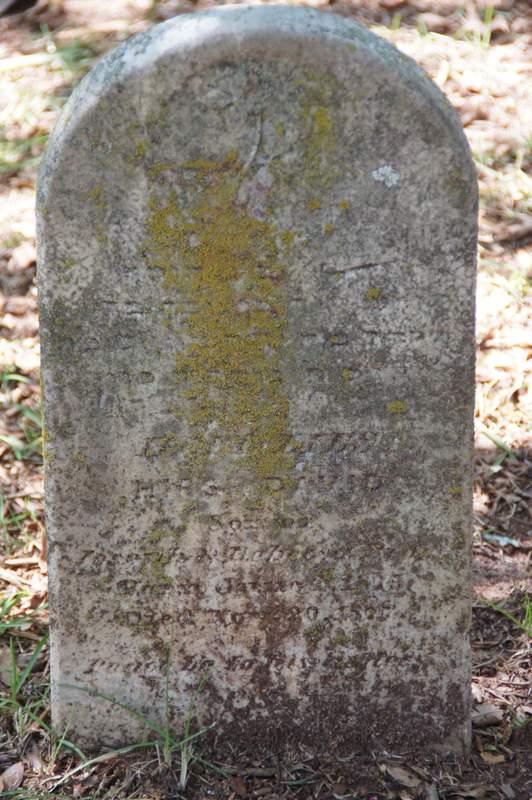 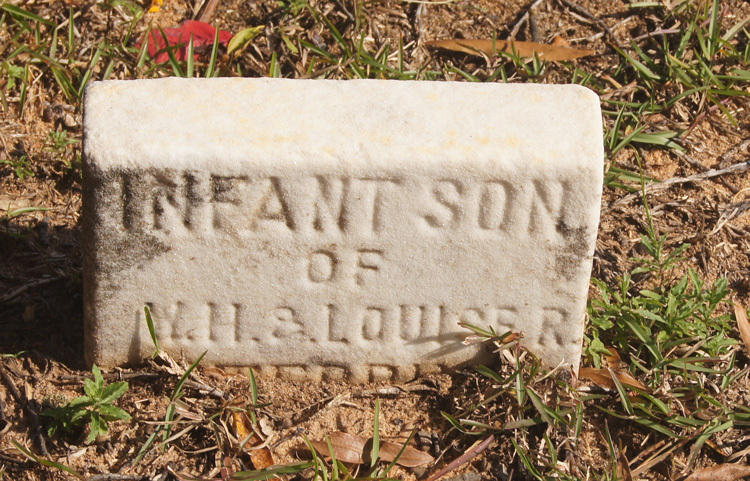 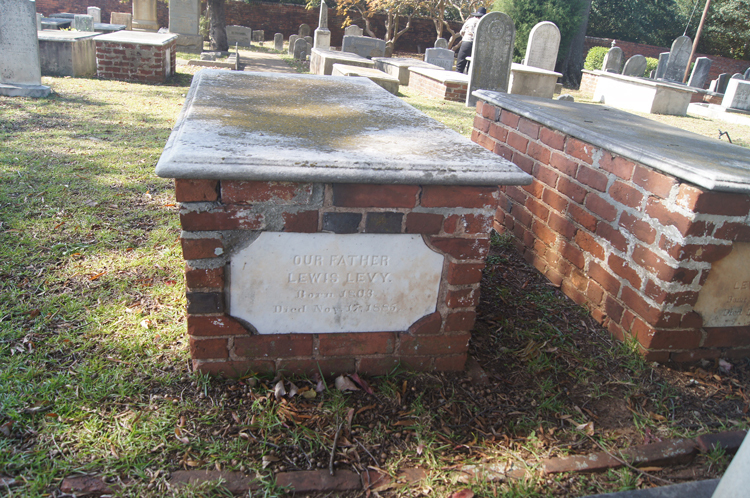 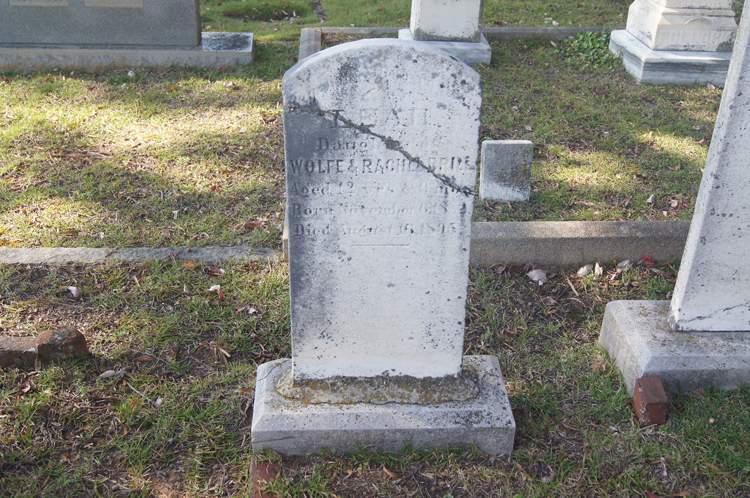 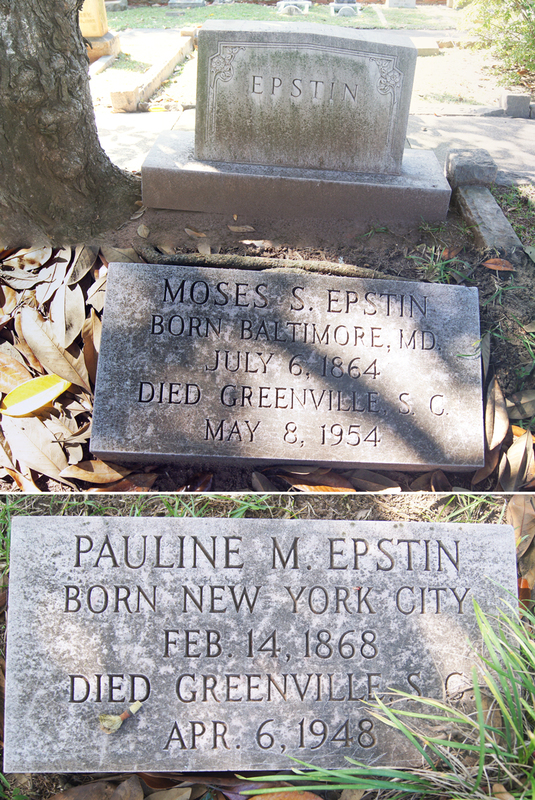 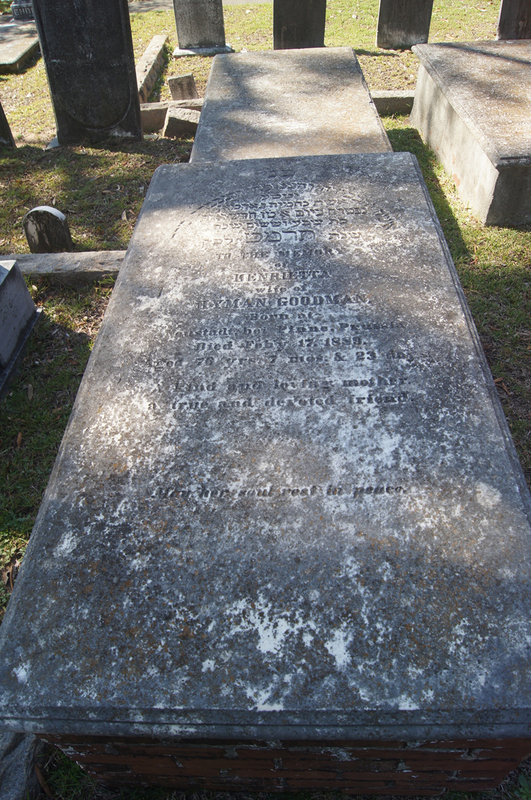 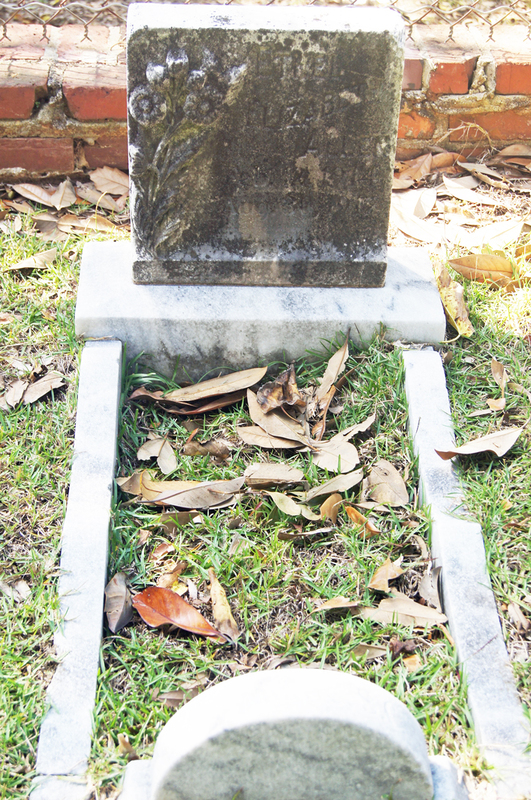 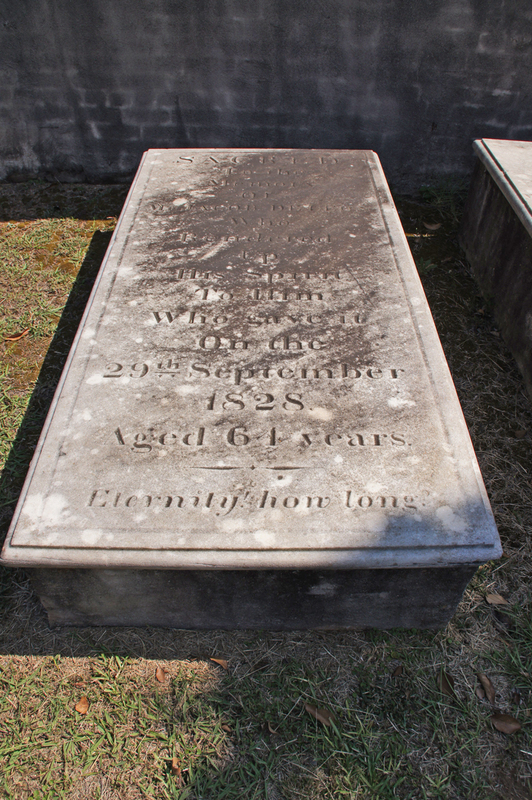 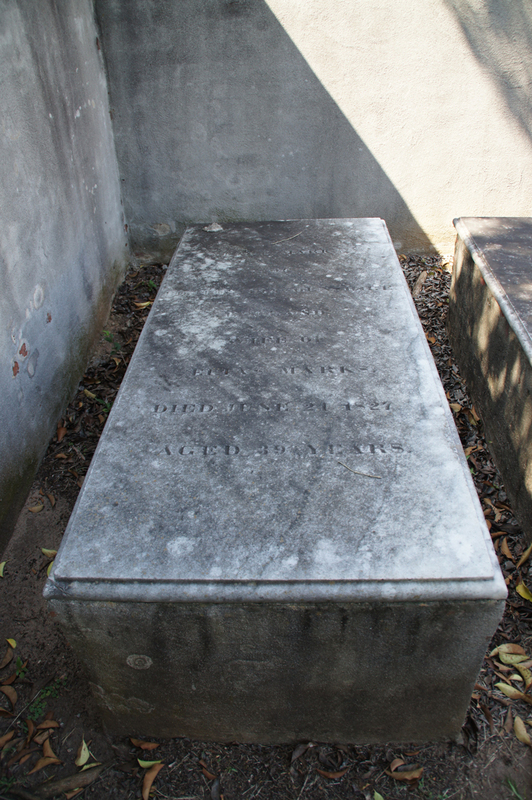 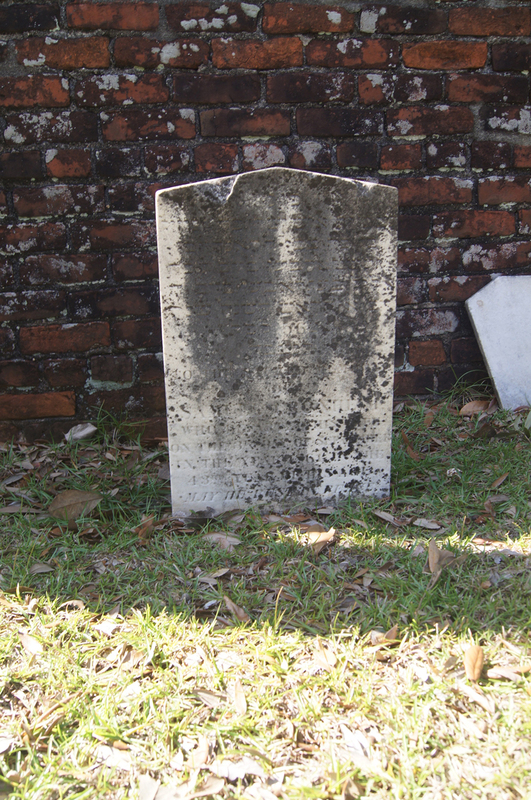 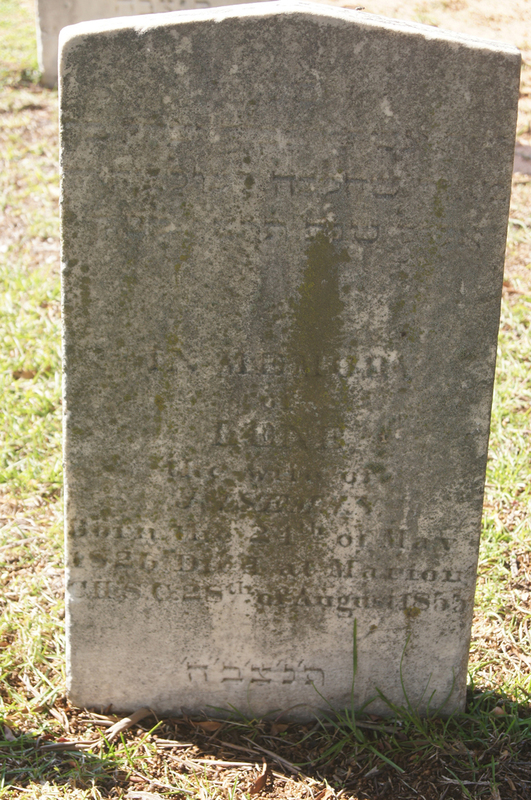 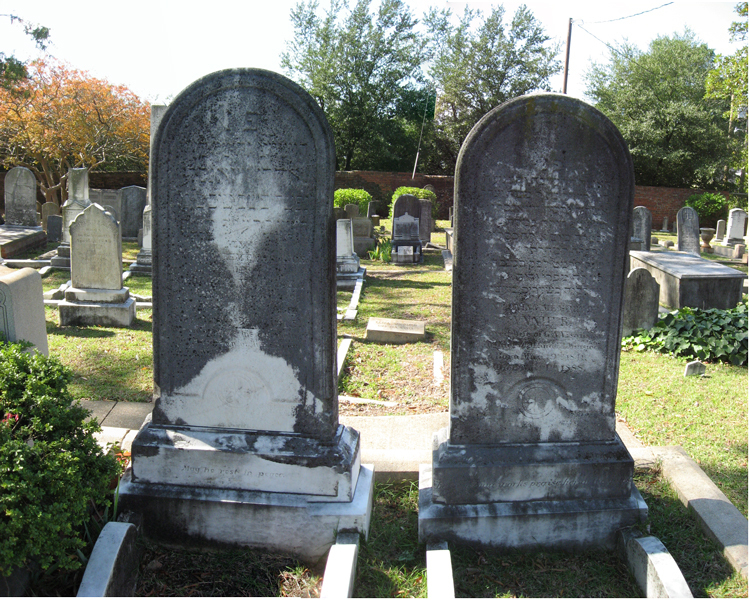 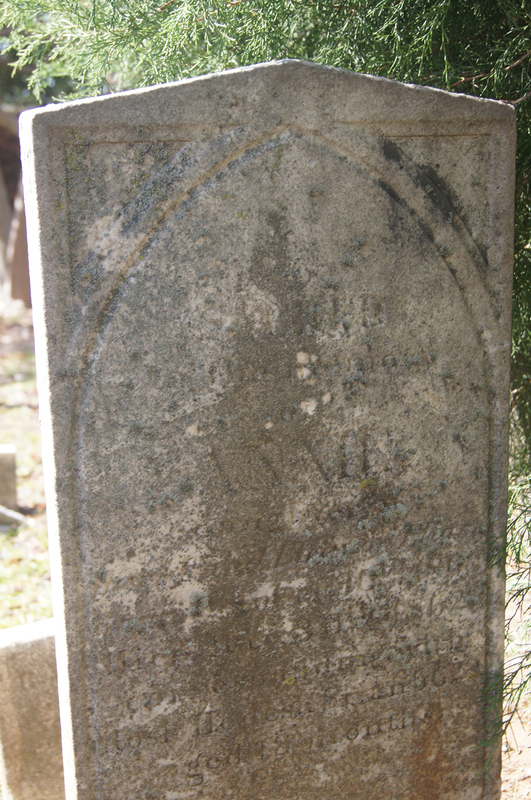 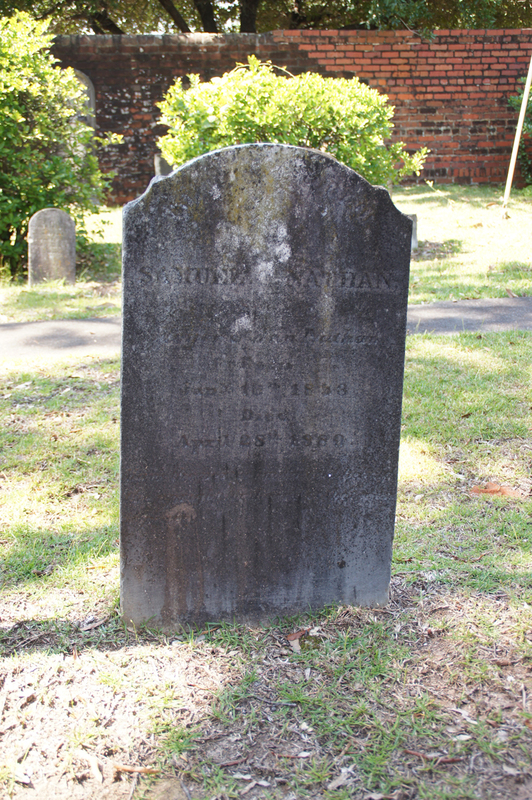 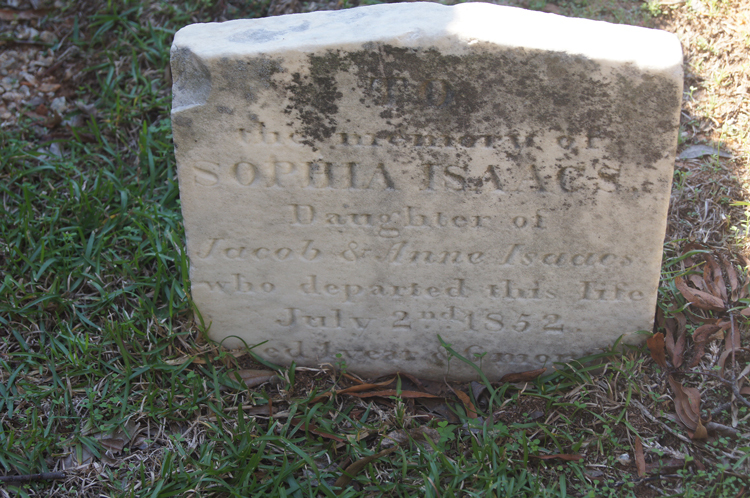 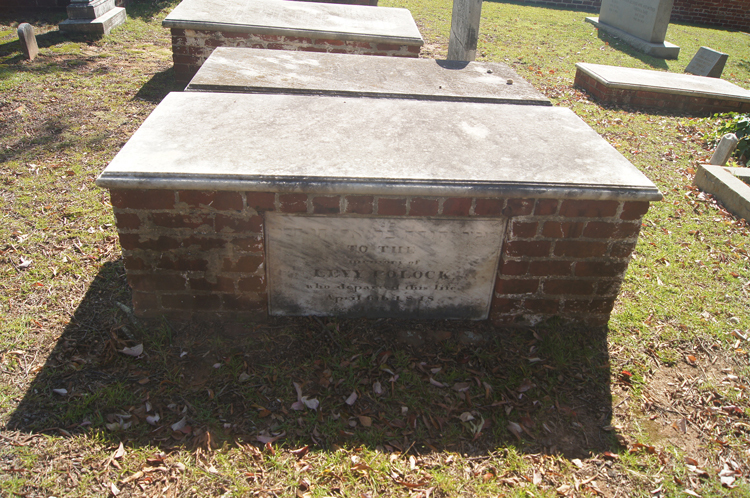 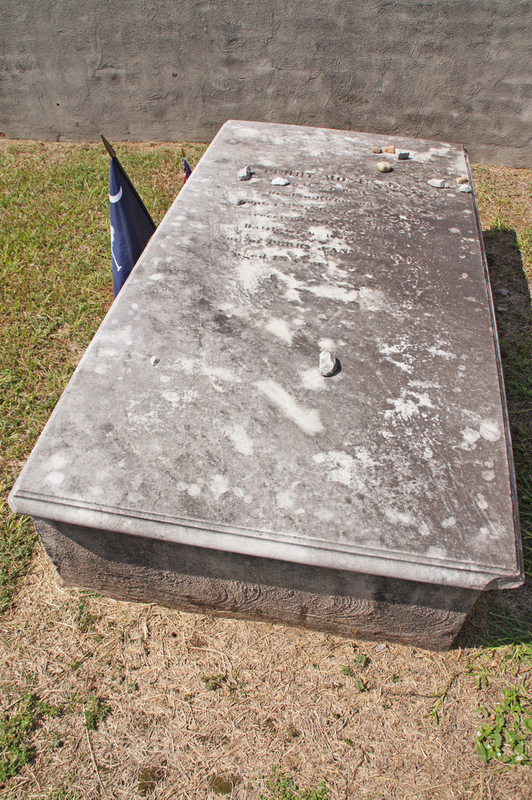 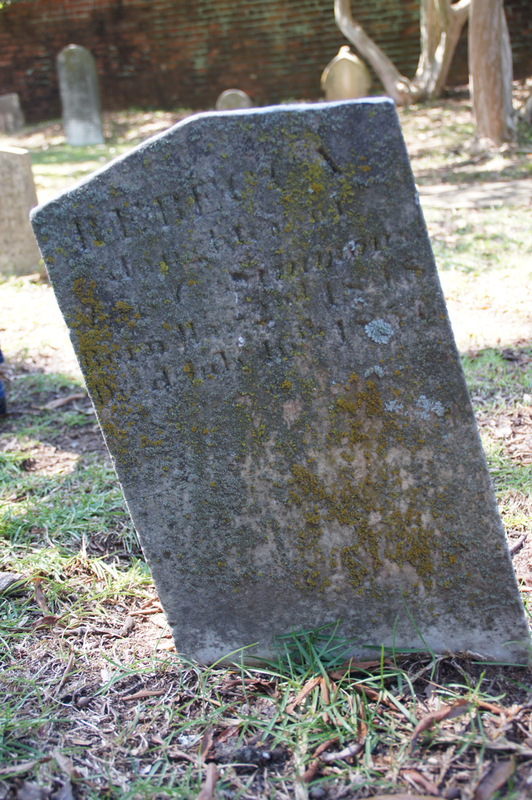 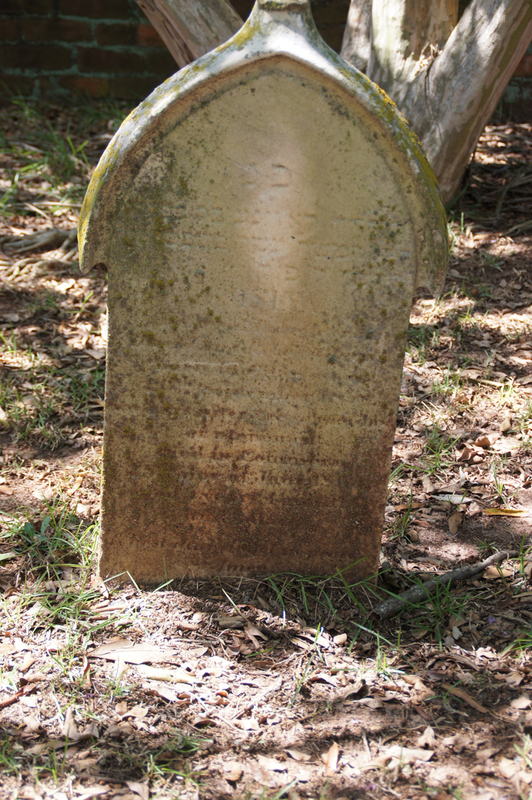 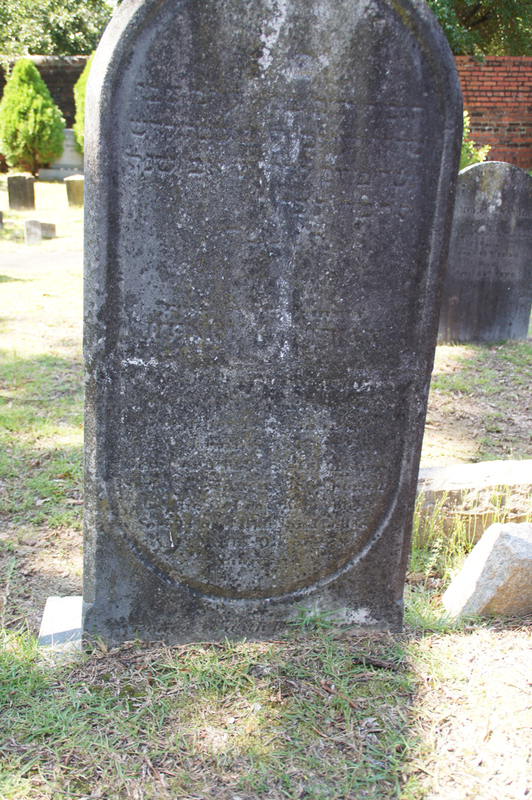 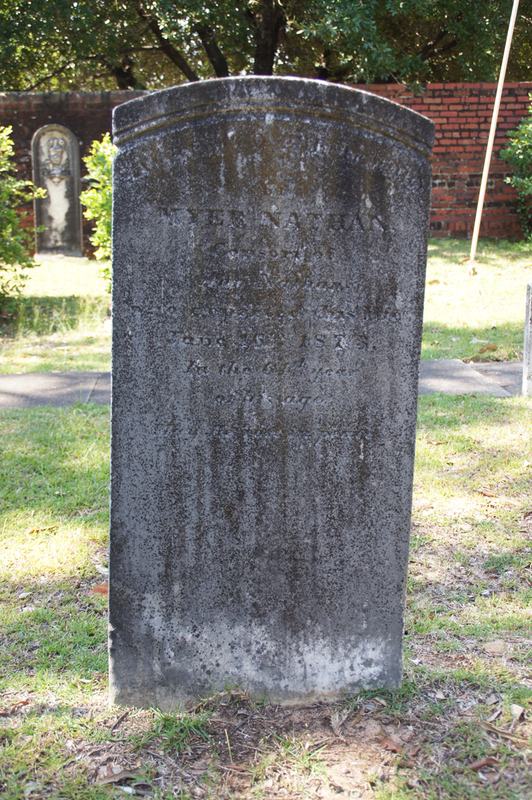 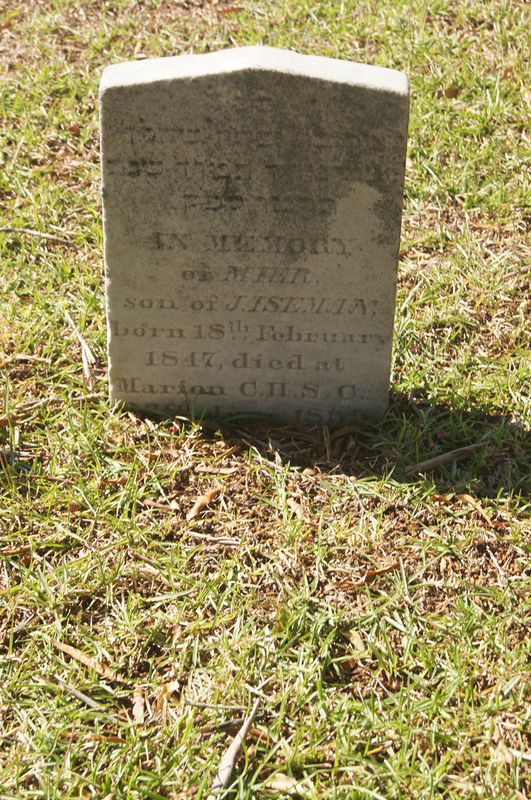 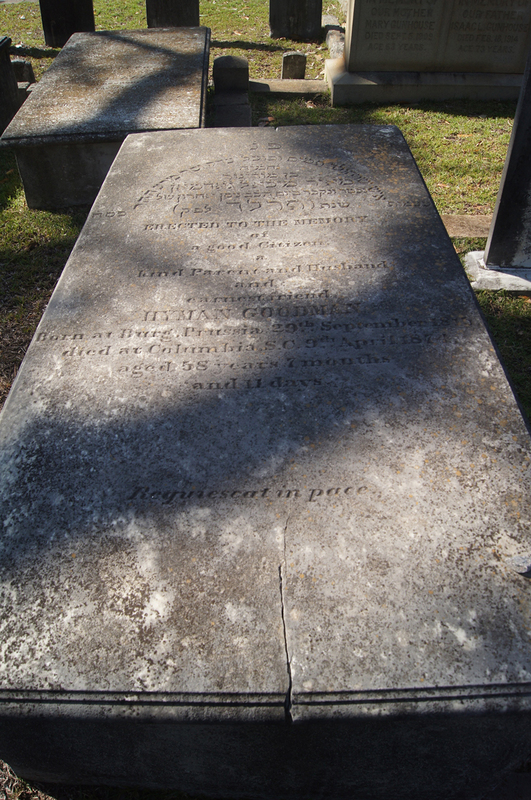 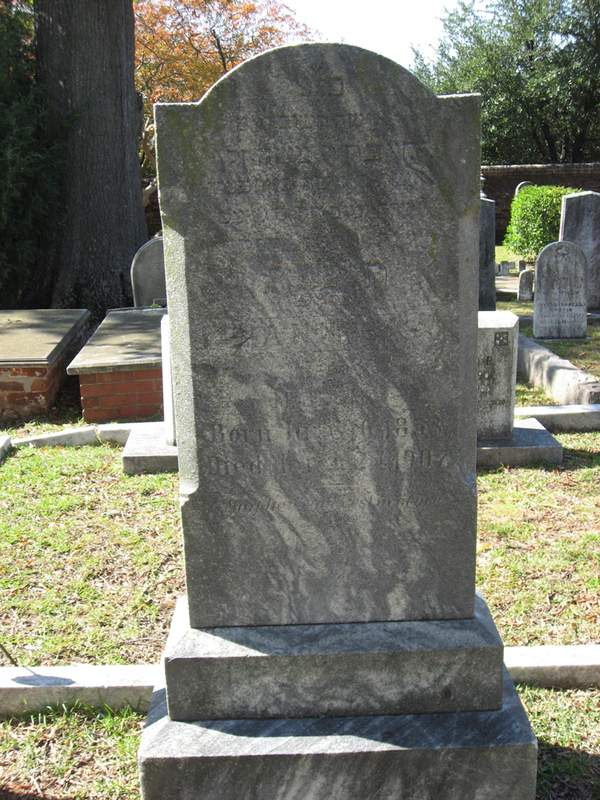 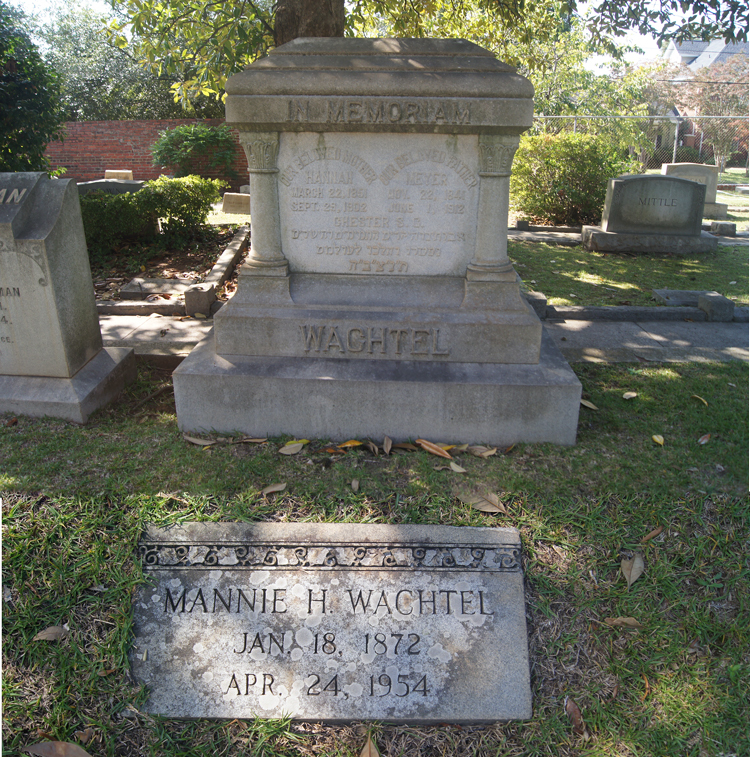 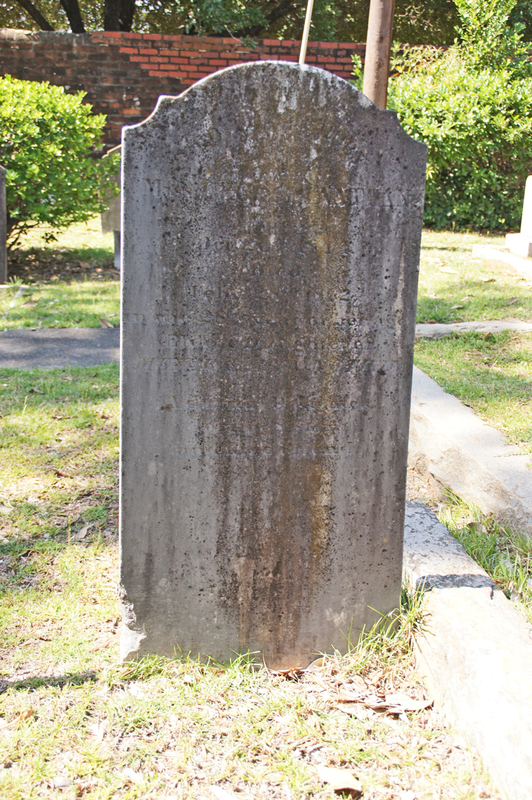 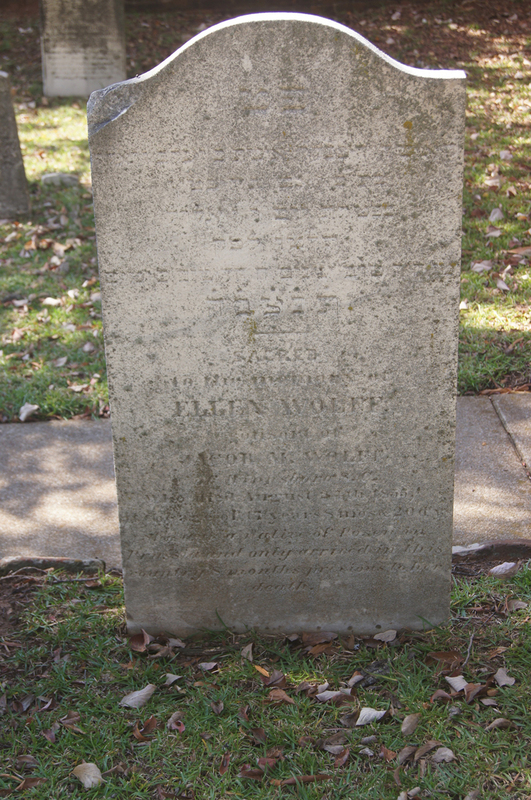 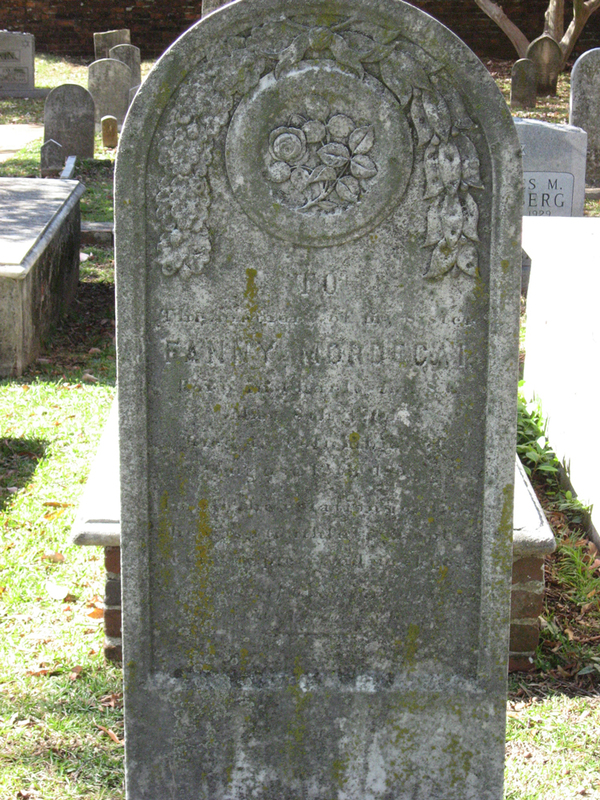 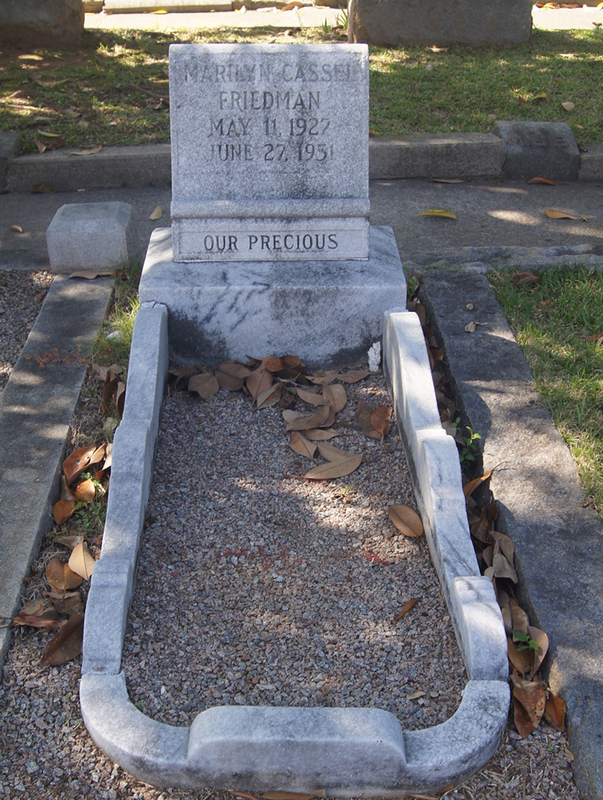 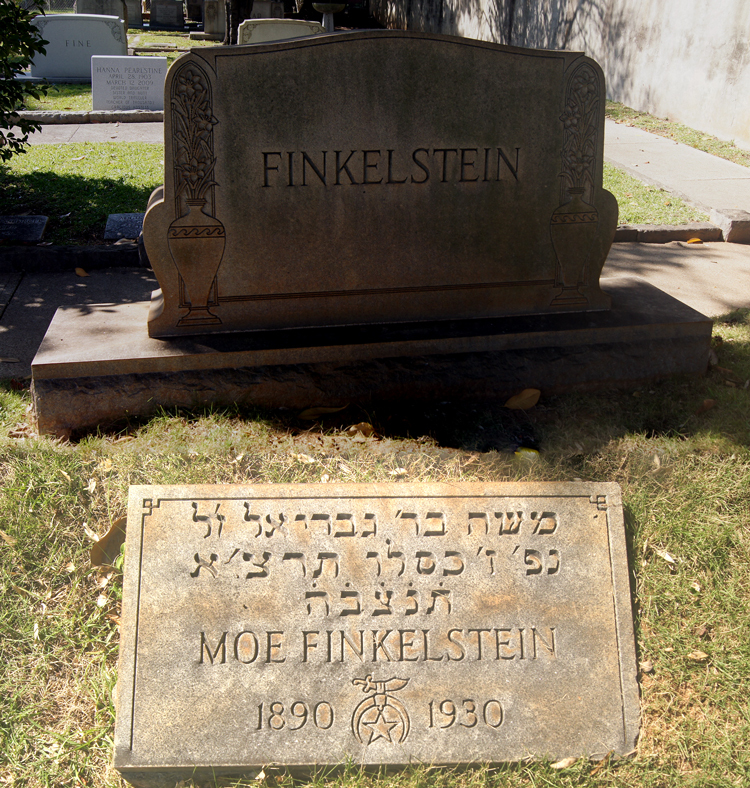 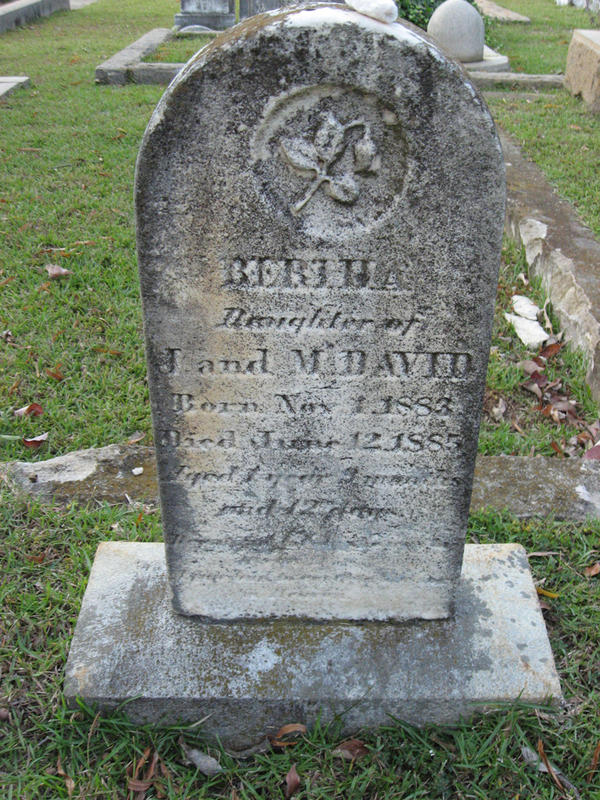 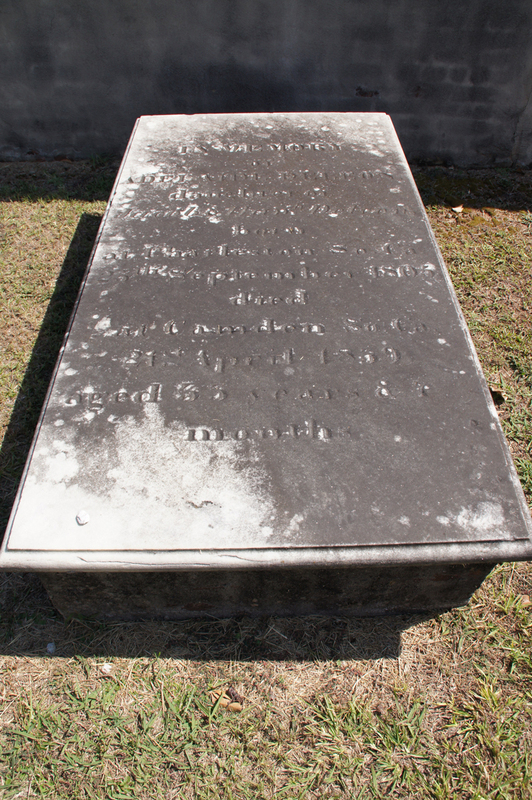 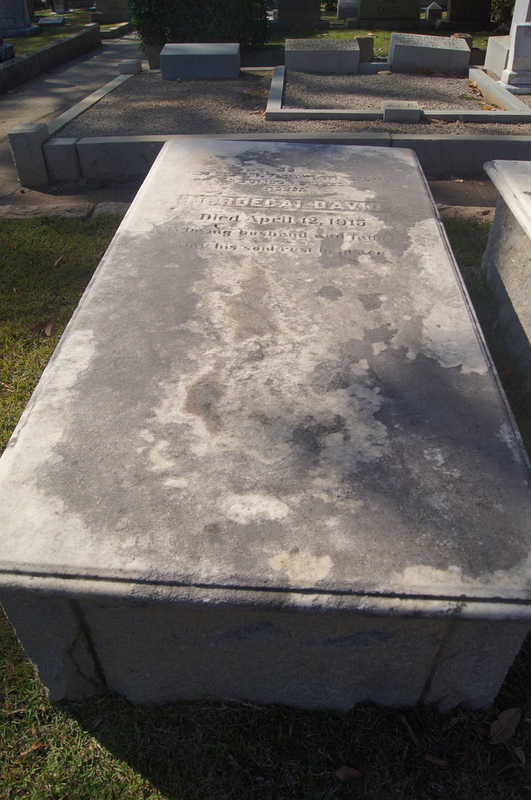 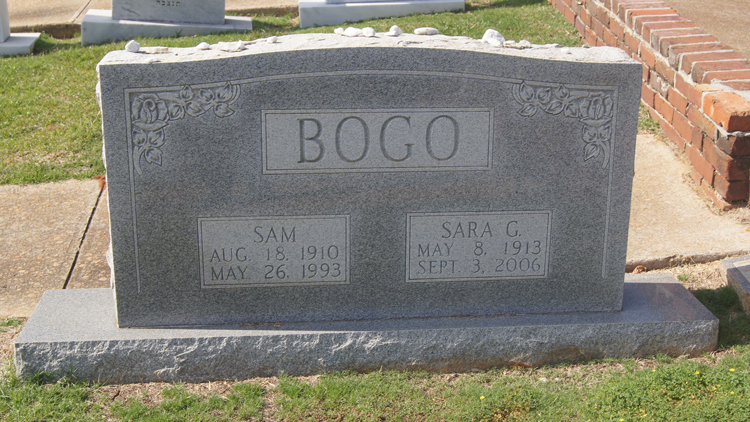 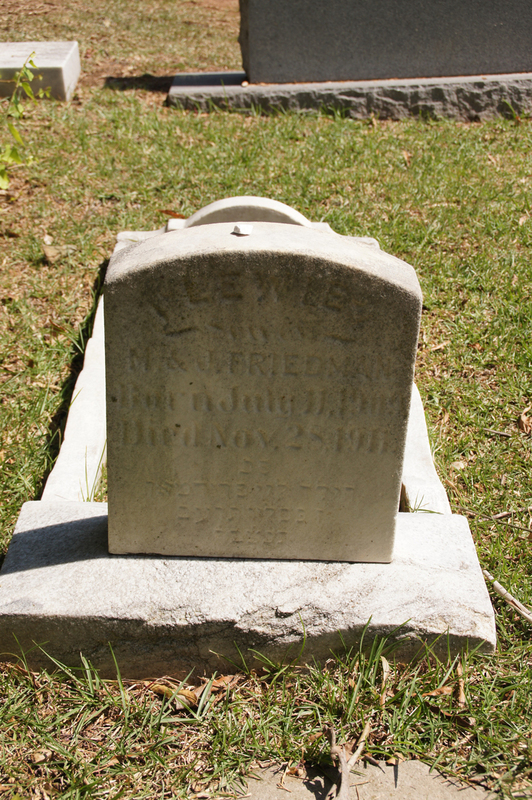 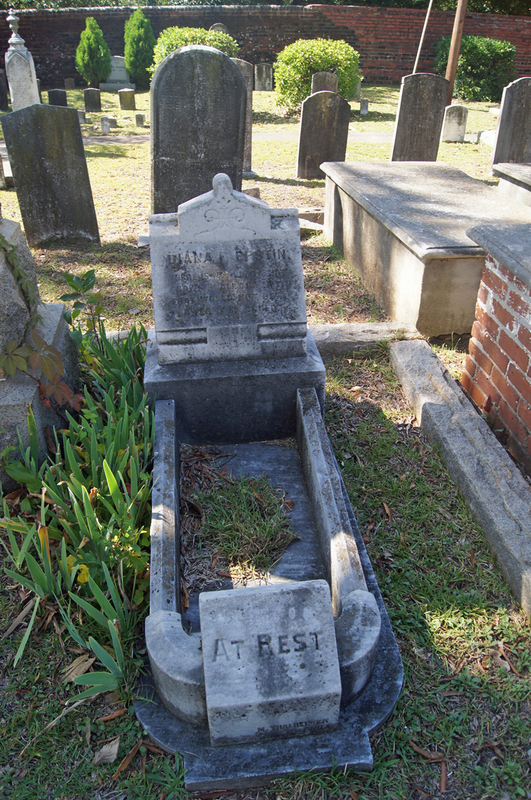 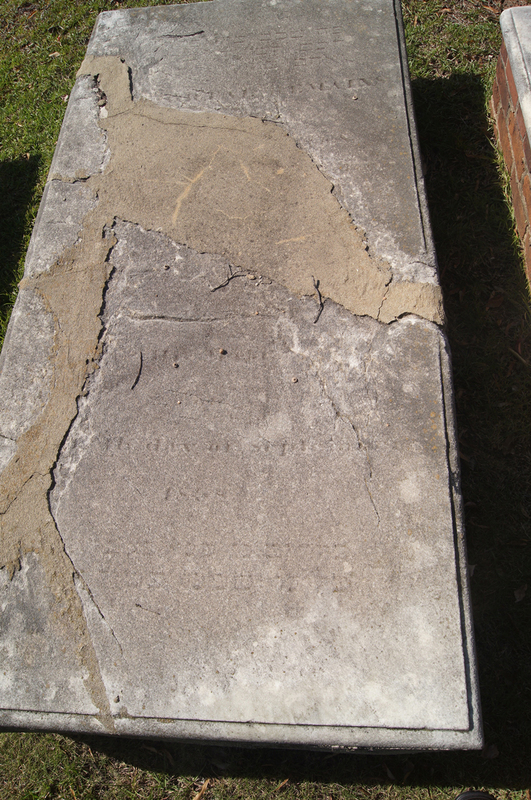 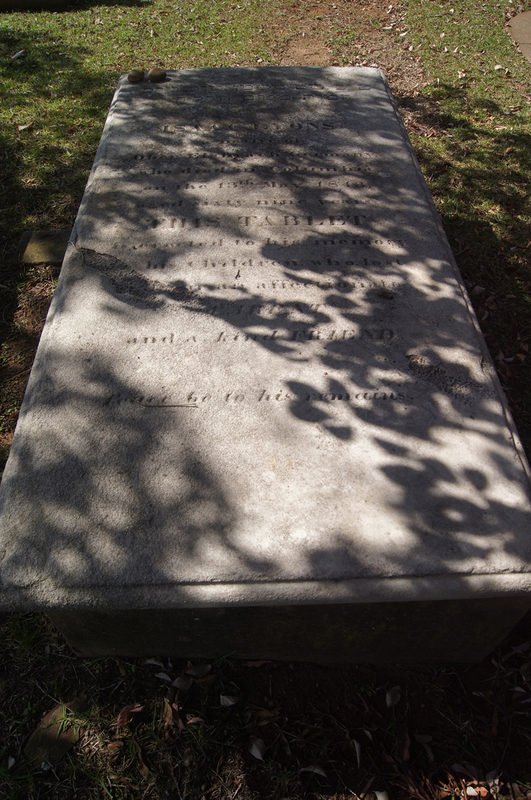 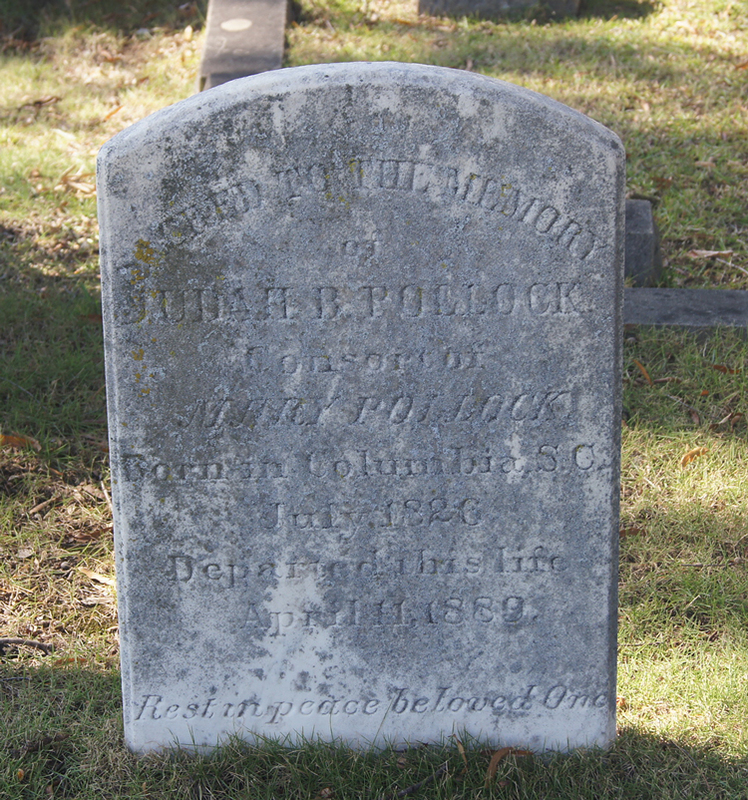 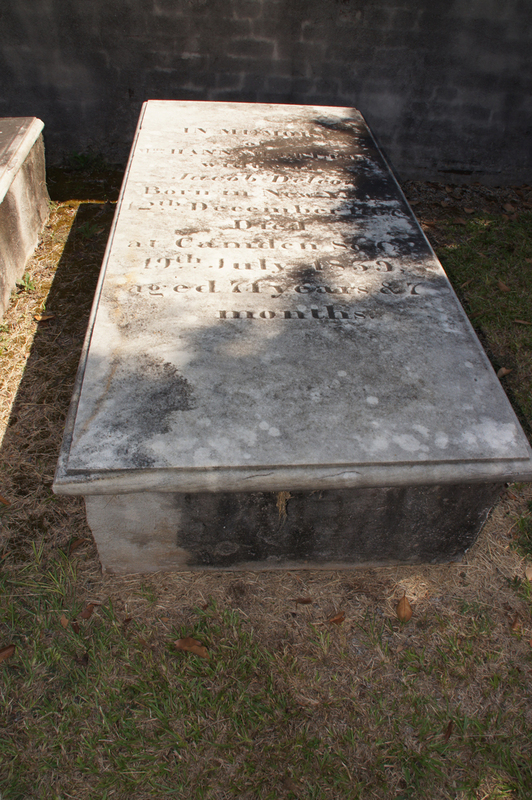 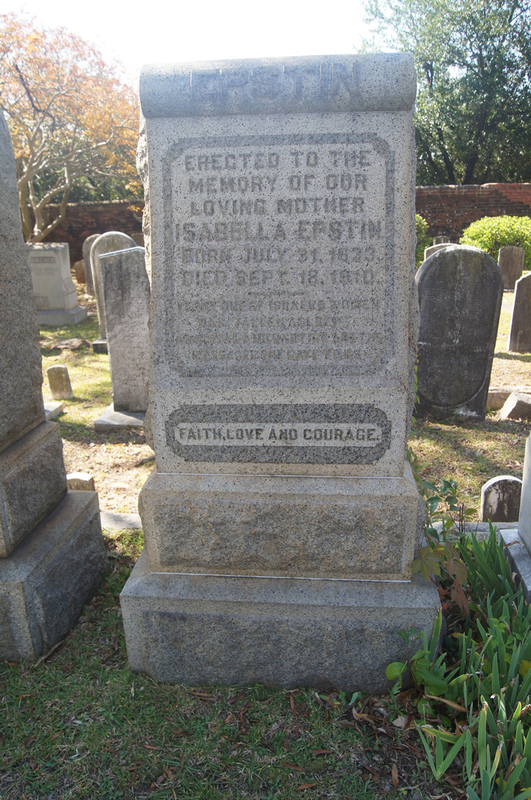 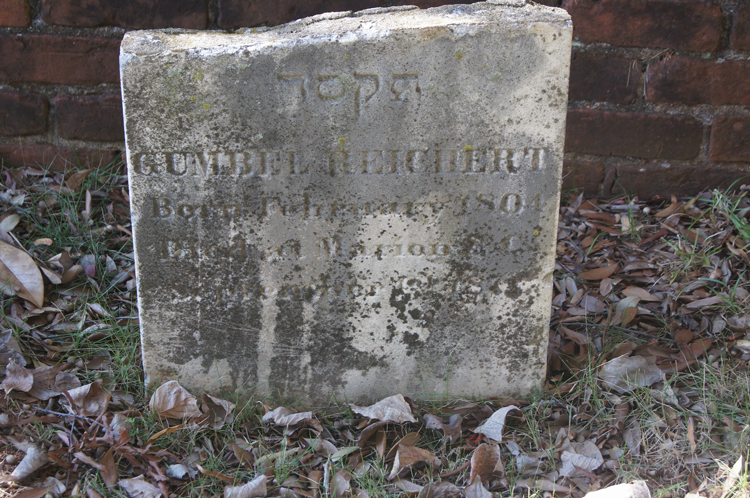 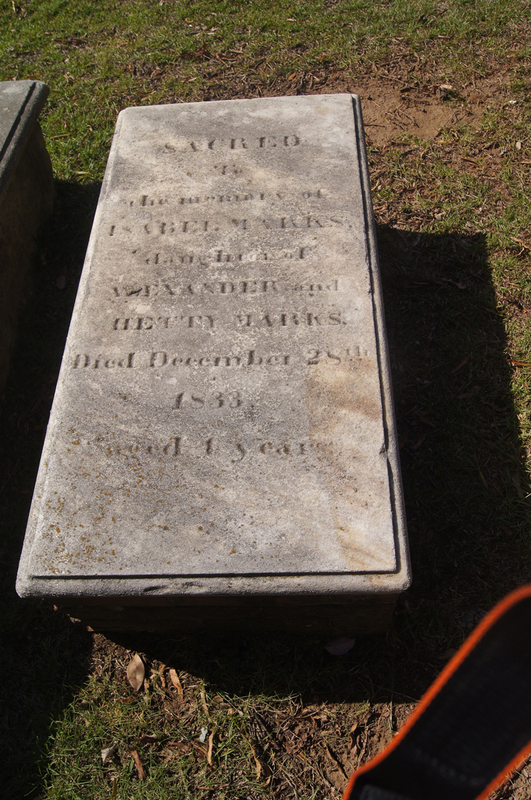 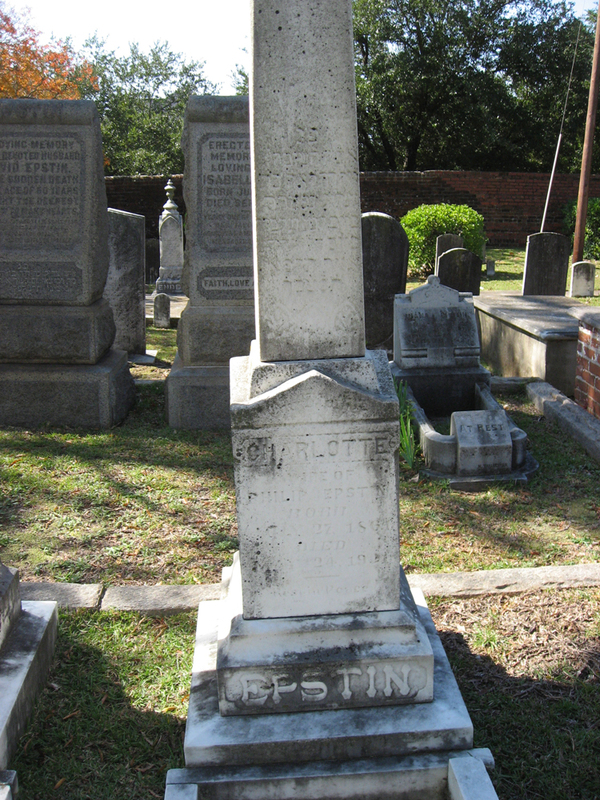 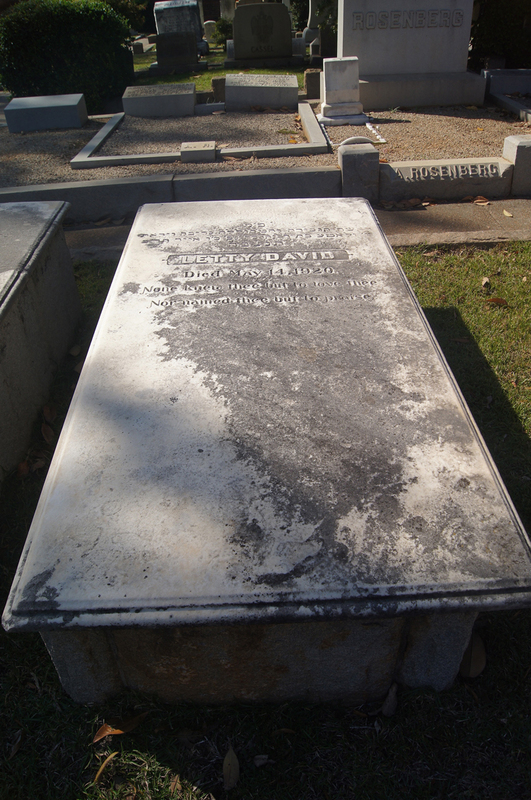 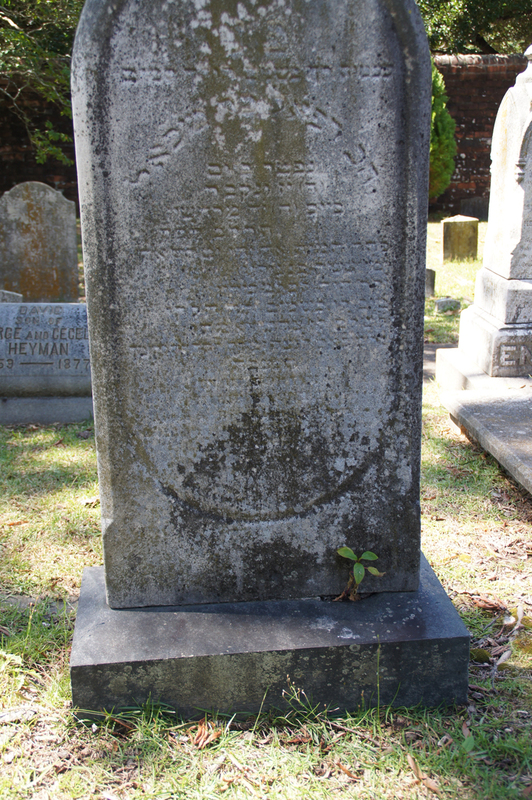 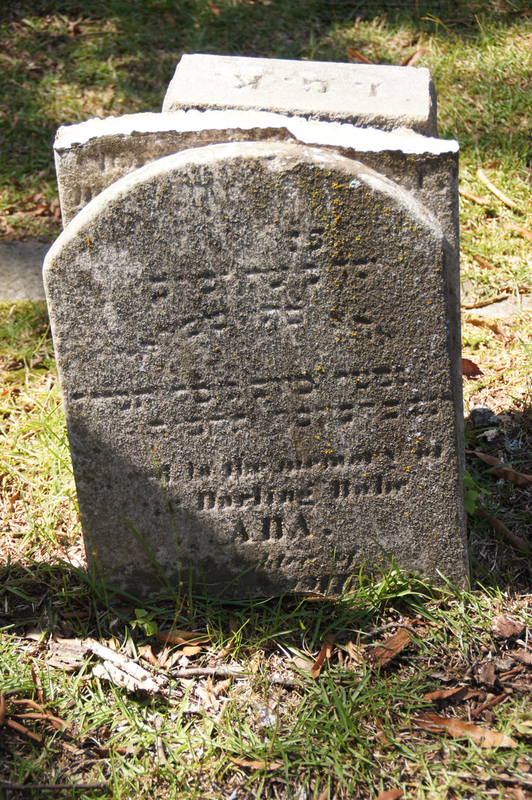 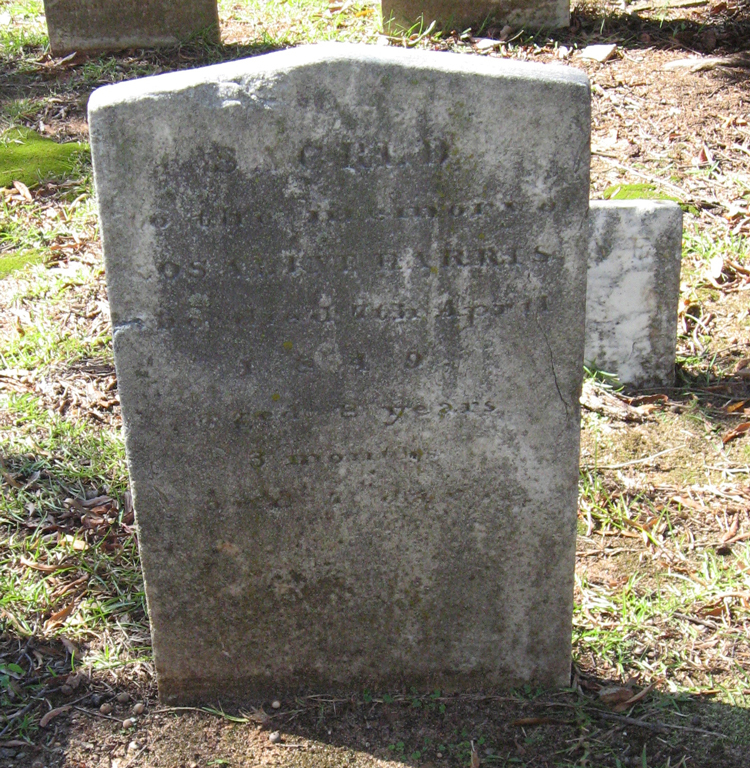 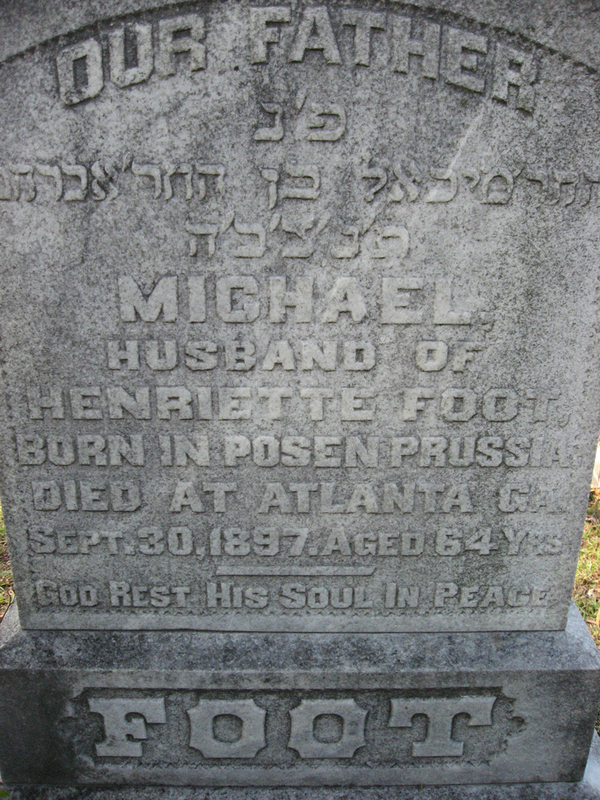 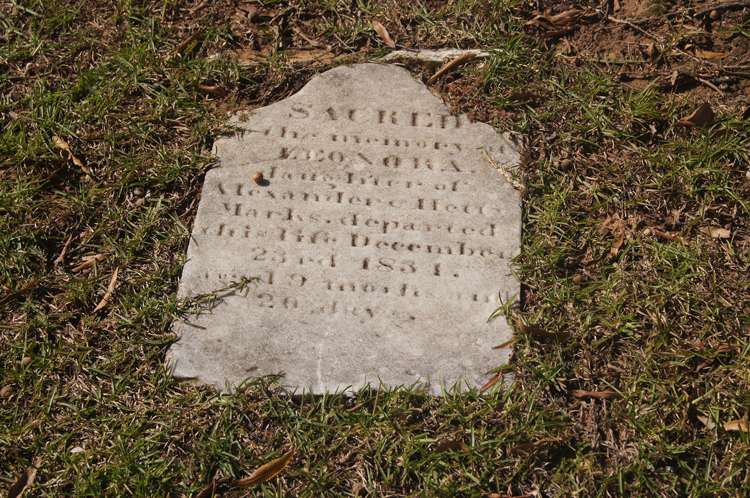 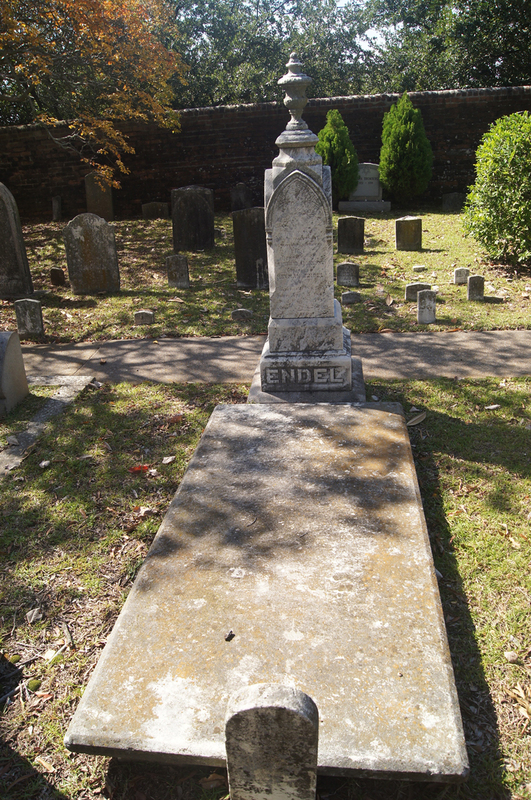 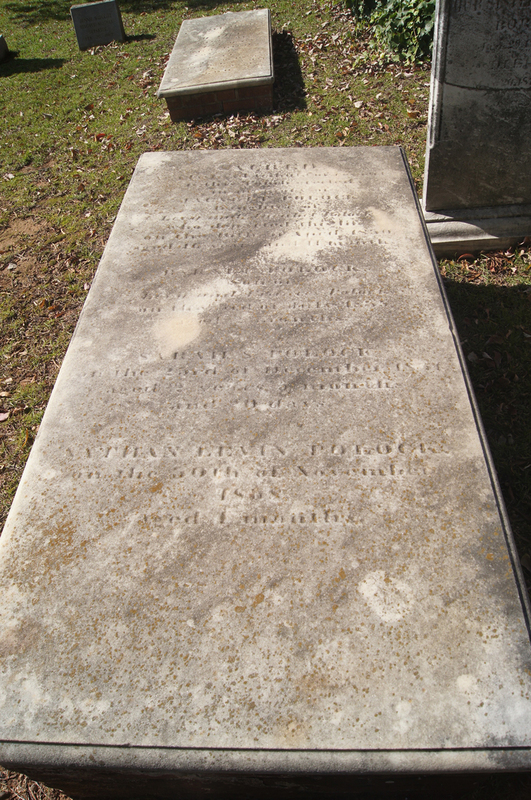 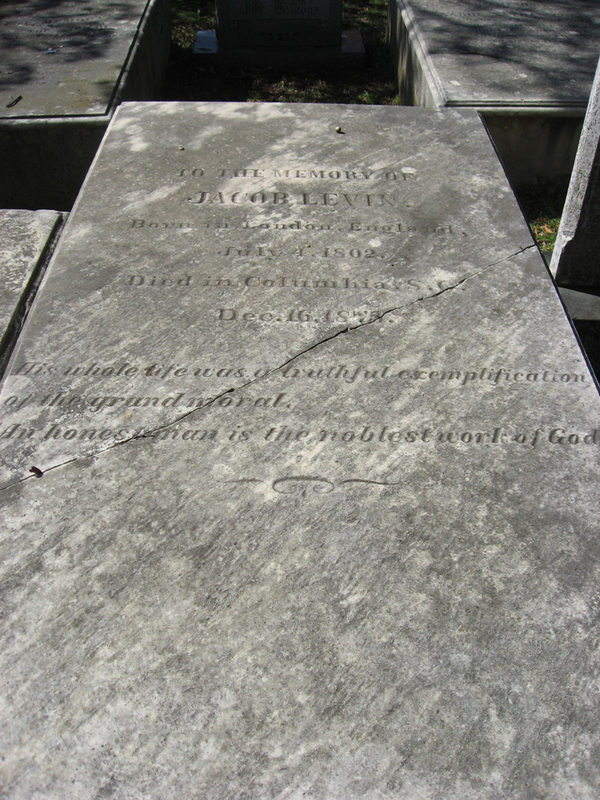 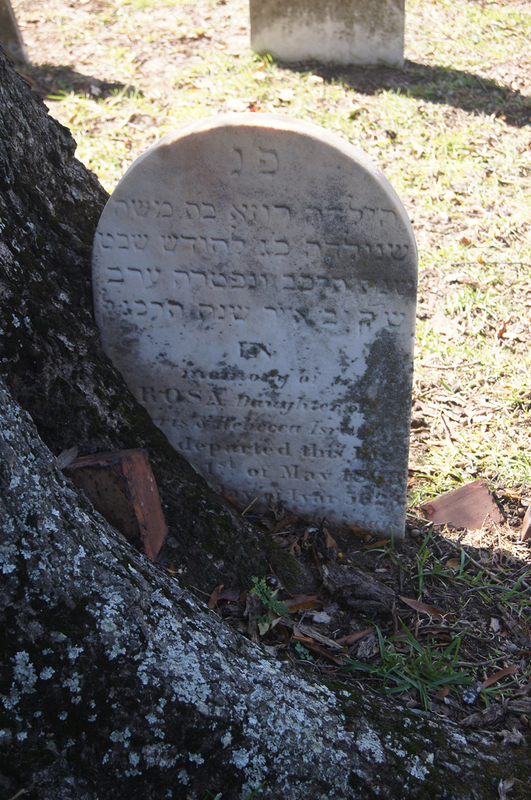 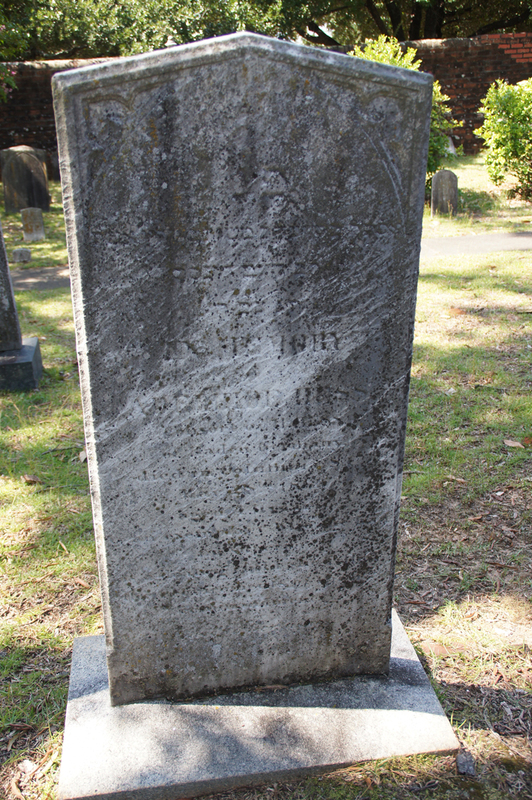 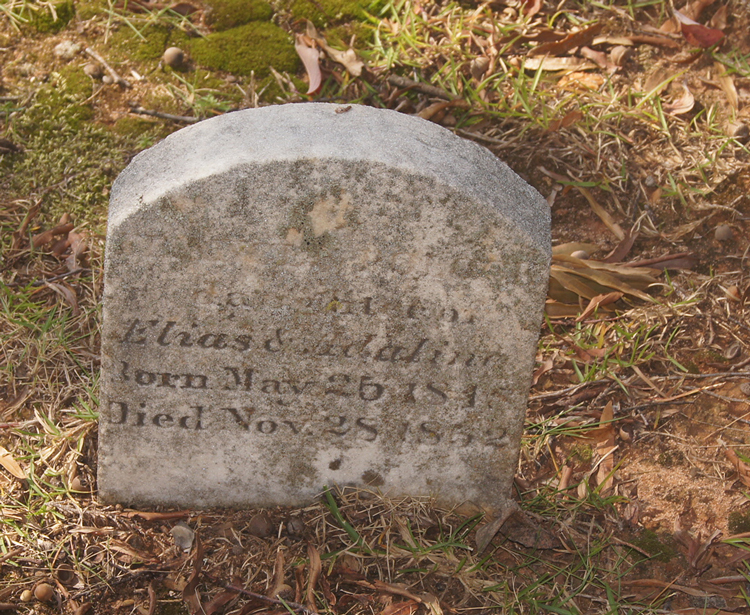 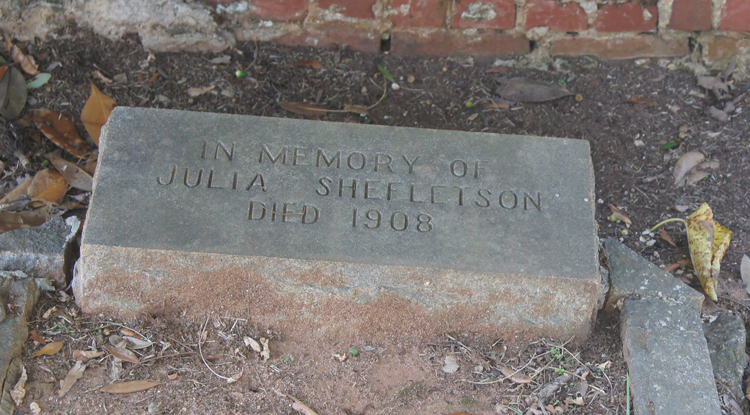 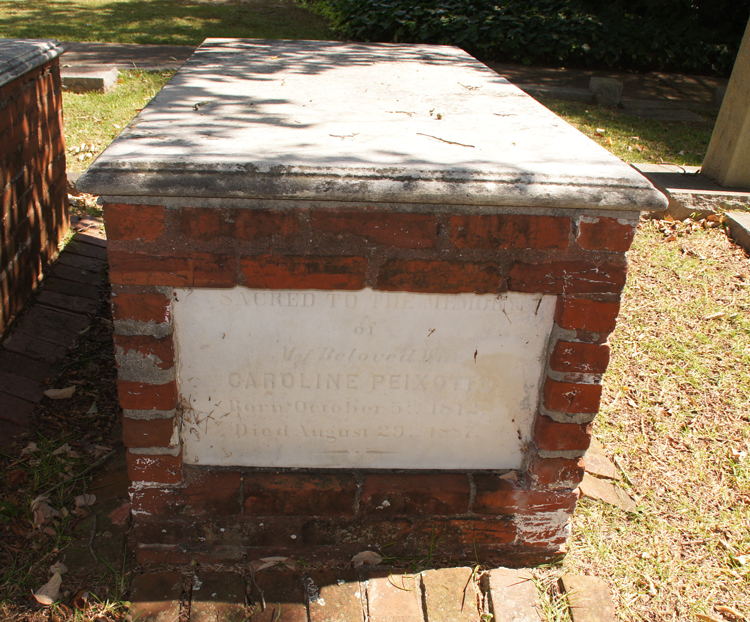 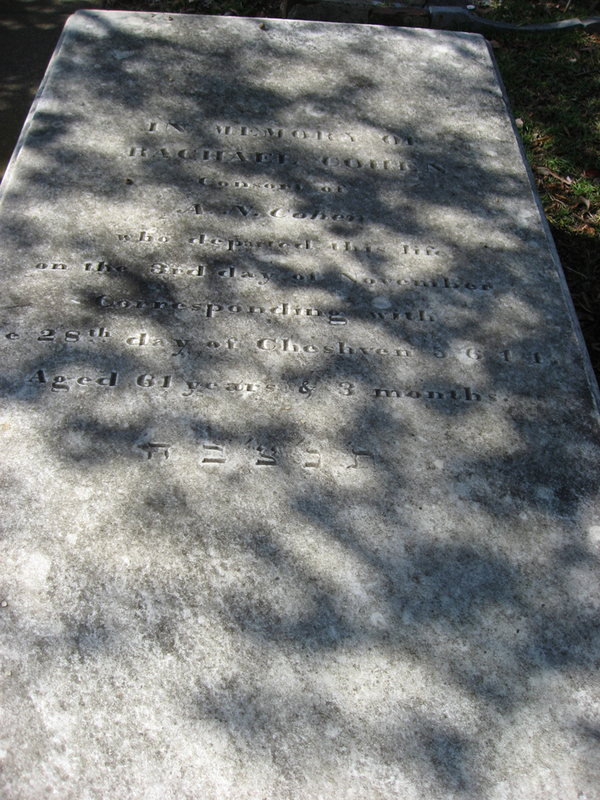 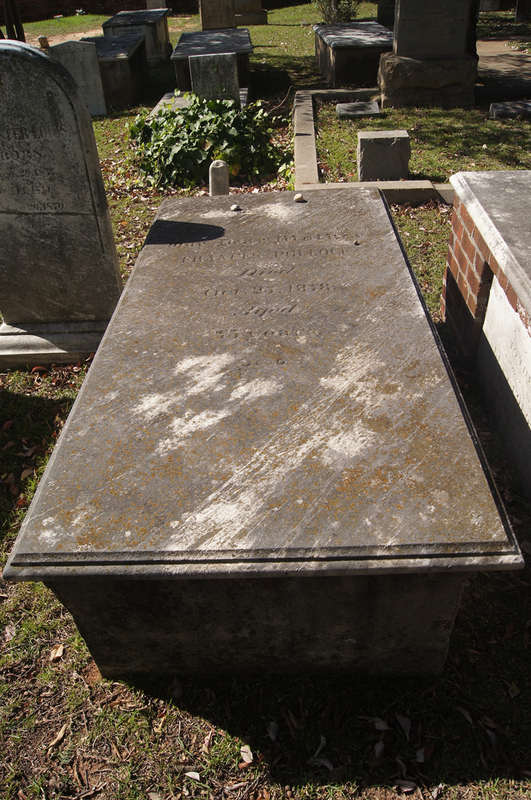 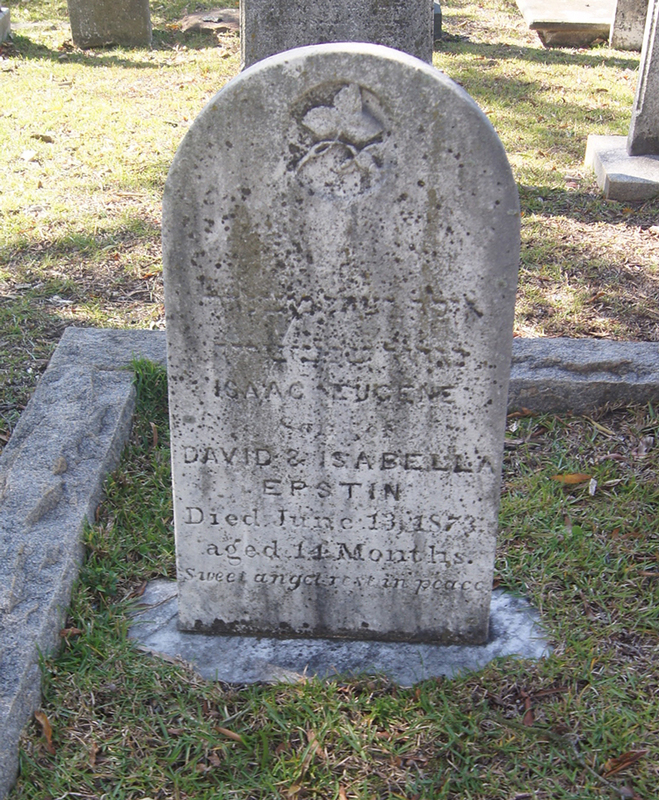 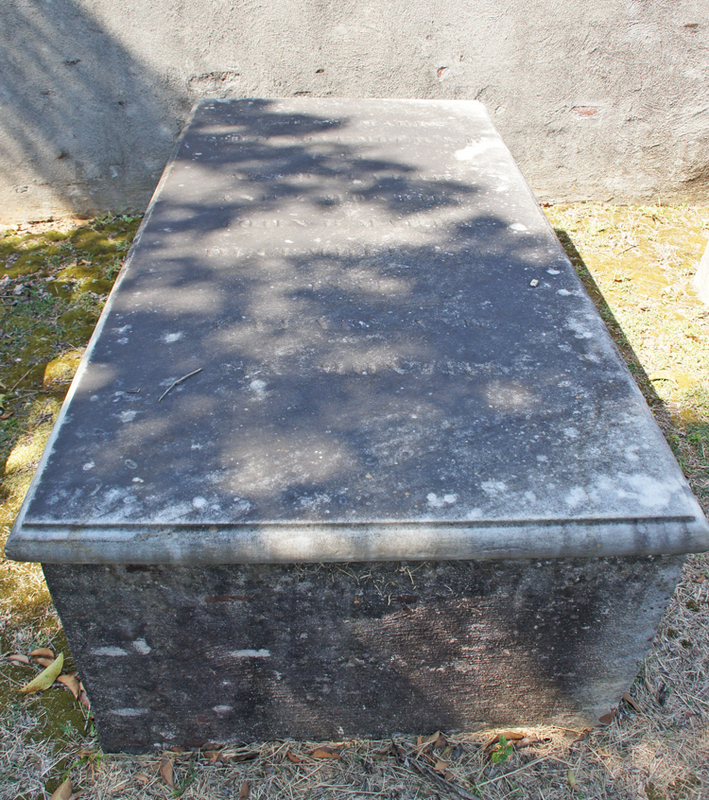 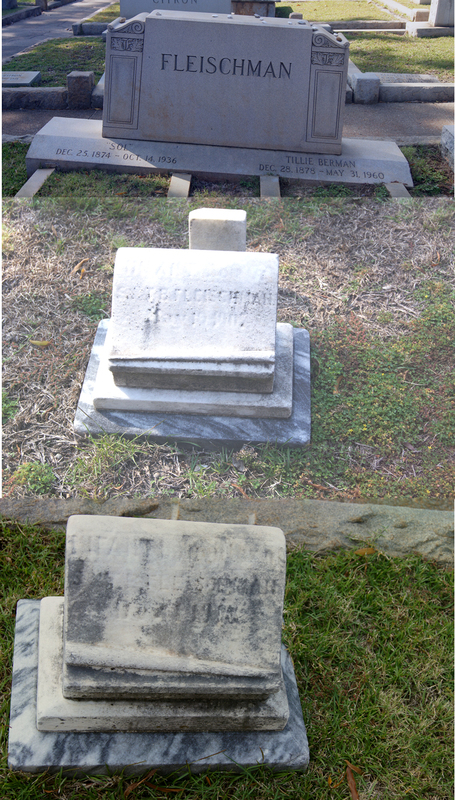 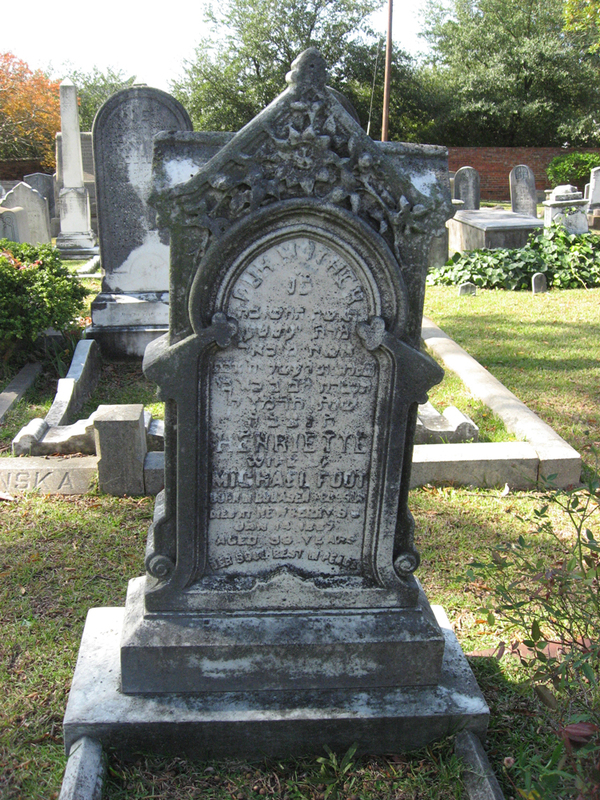 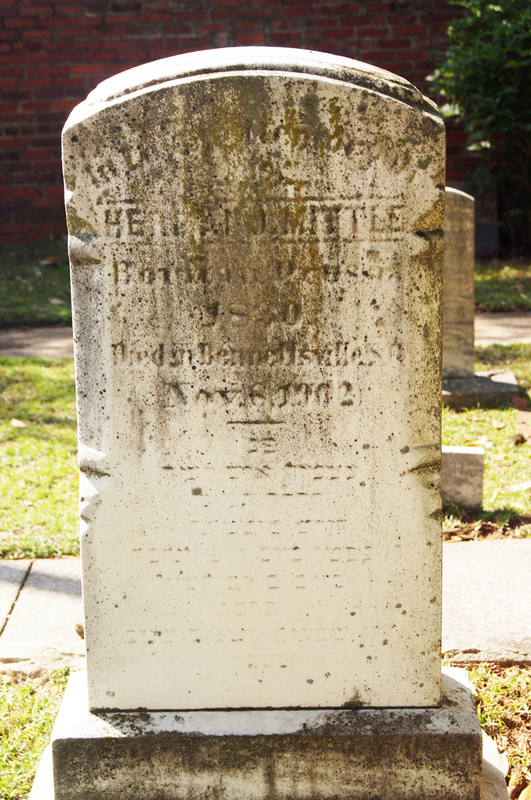 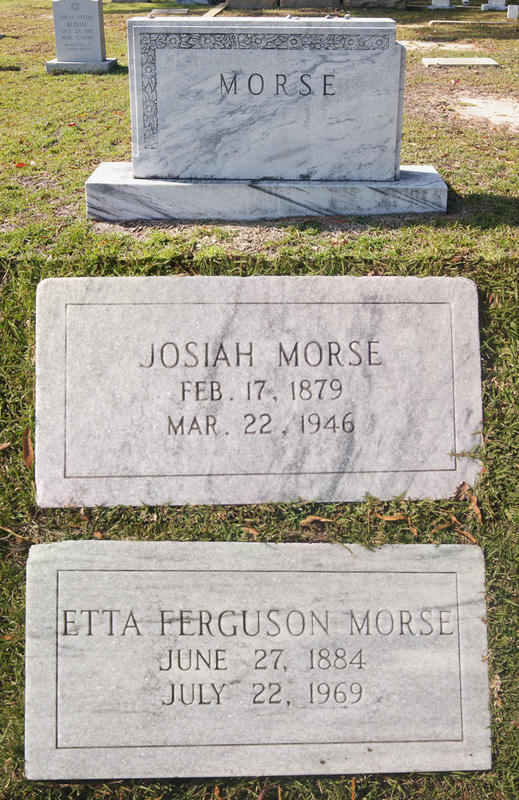 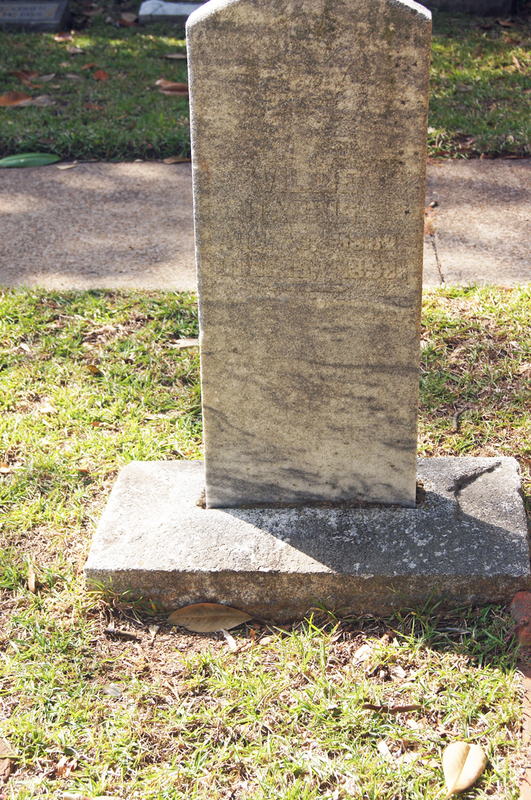 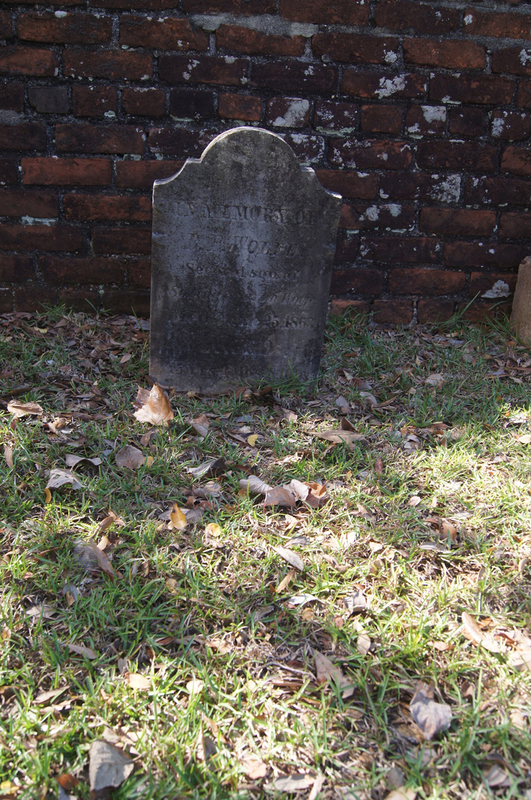 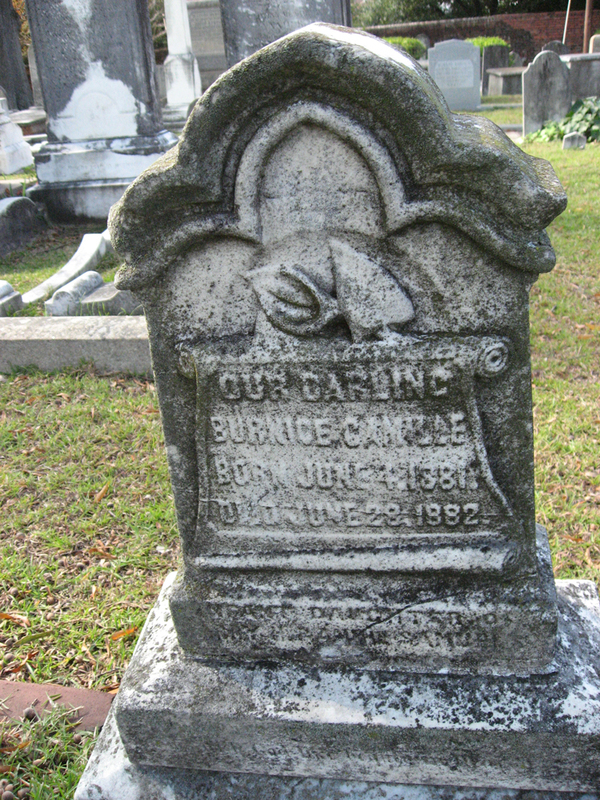 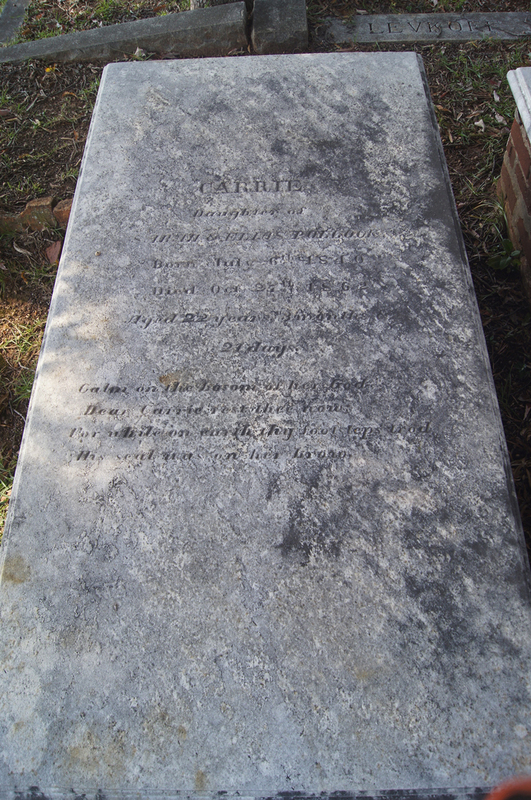 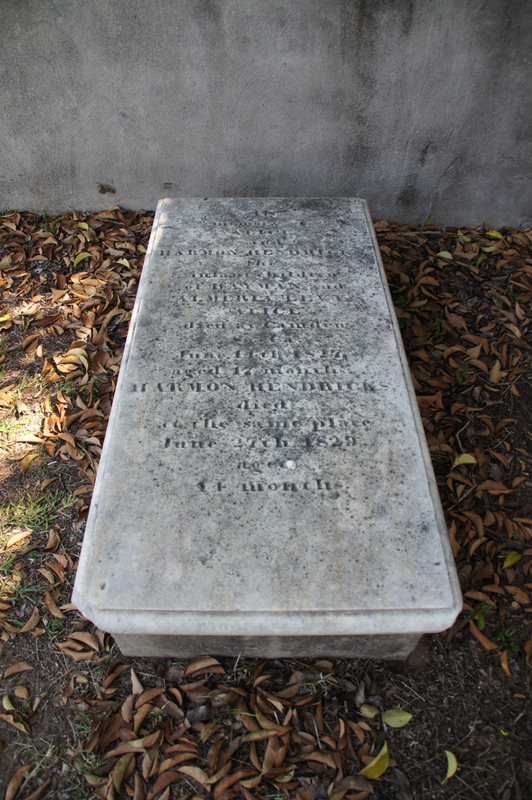 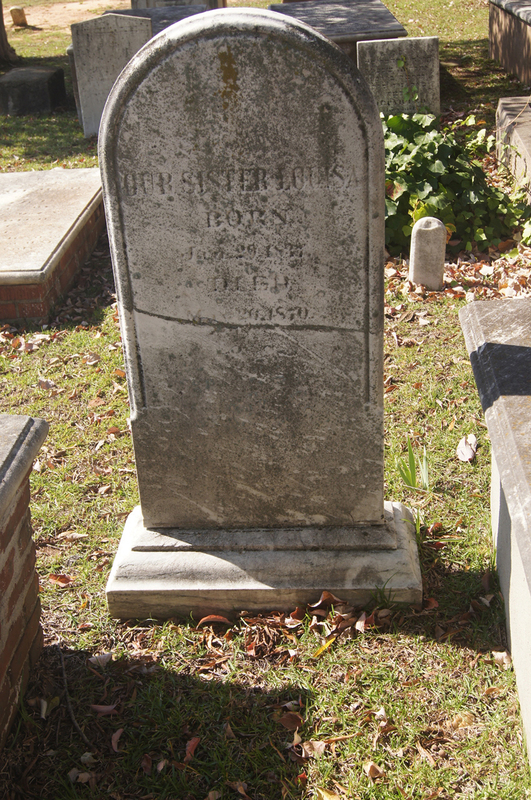 23-May-1858 11-May-1875 J. M.
20C-3 POLOCK Louisa 29-Jan-1837 26-May-1870 Frances B. 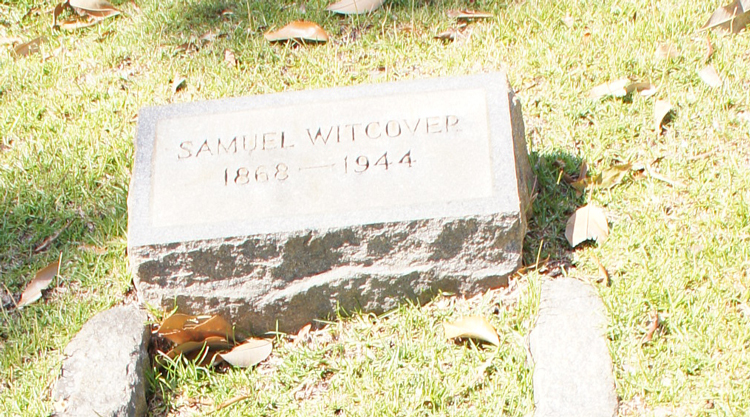 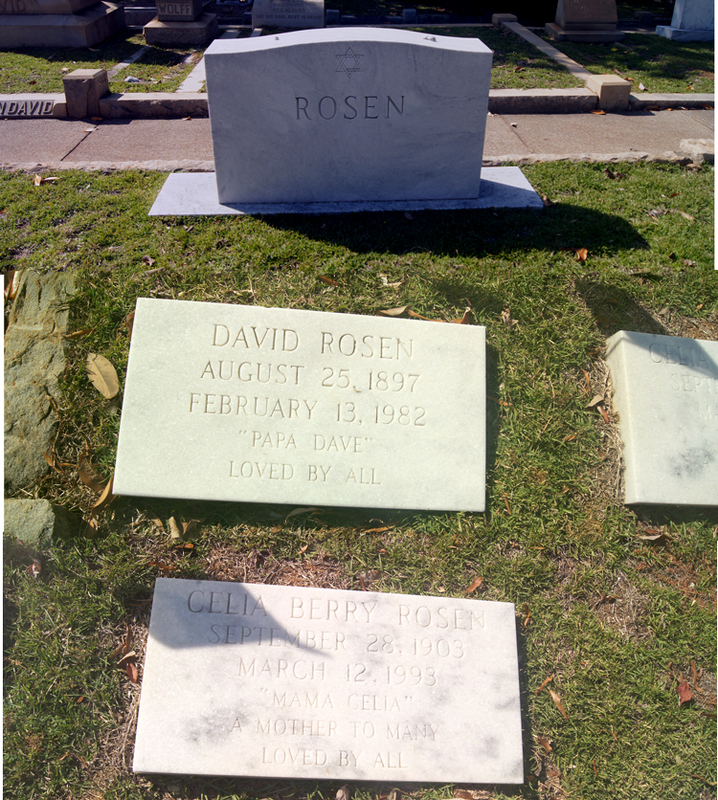 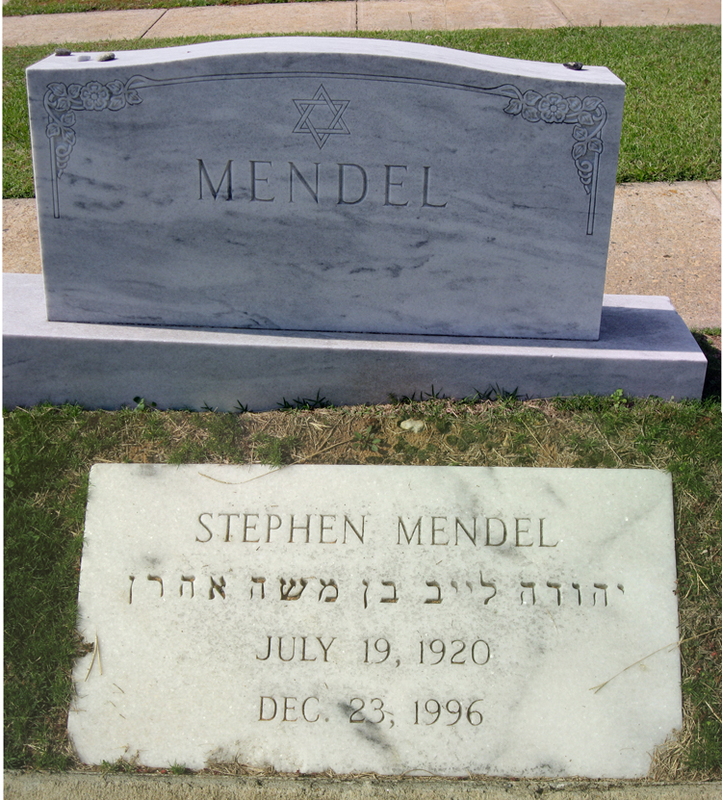 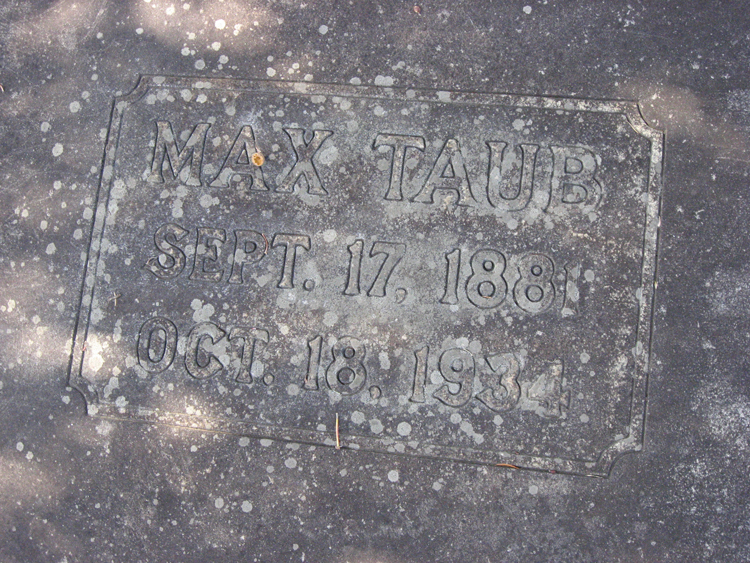 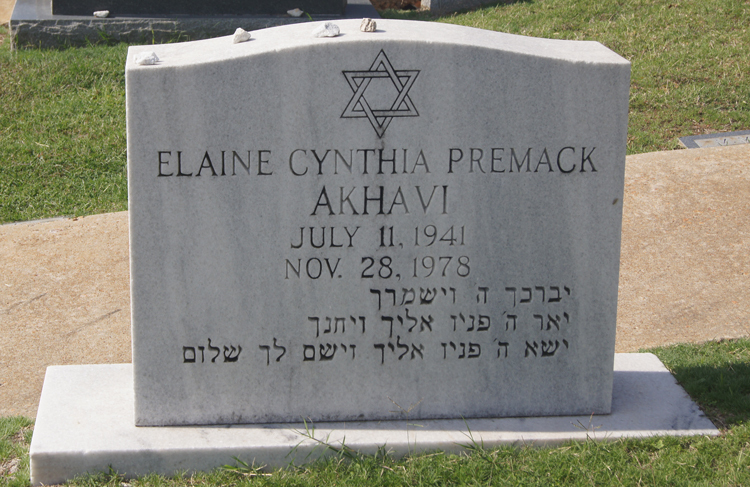 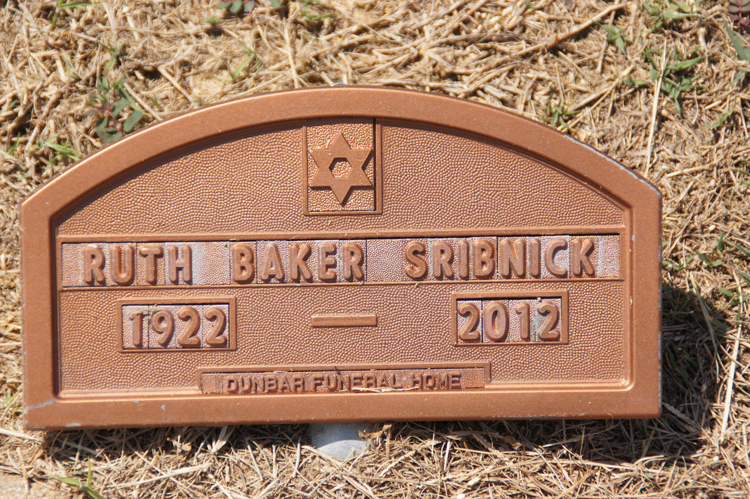 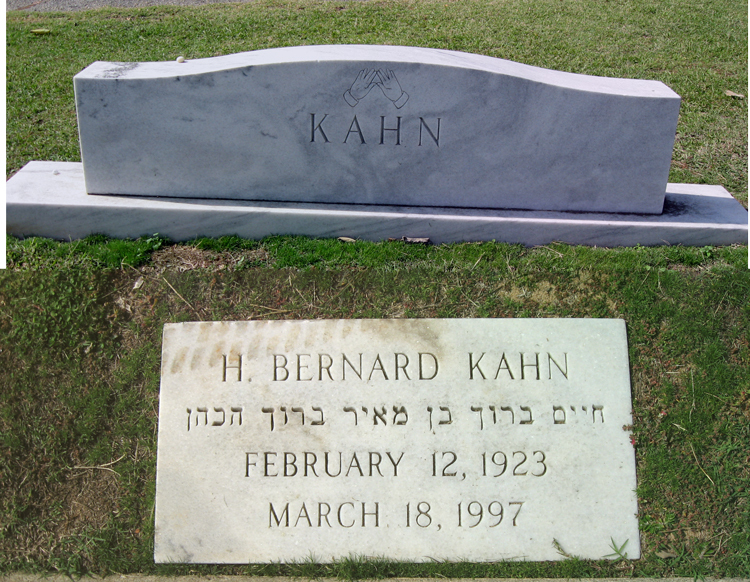 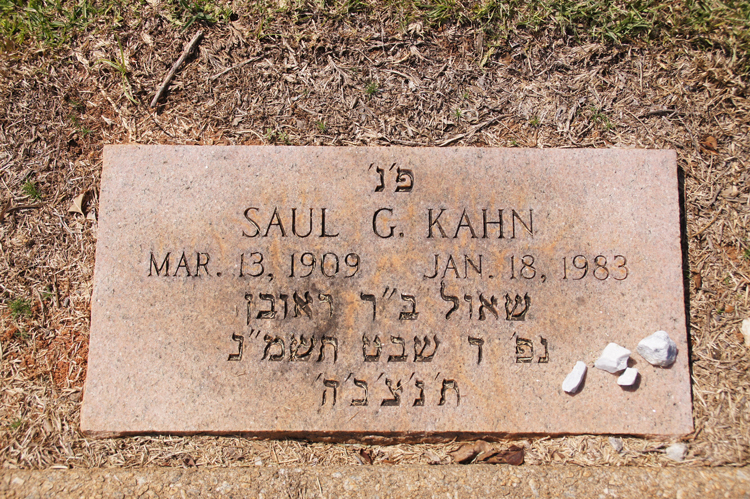 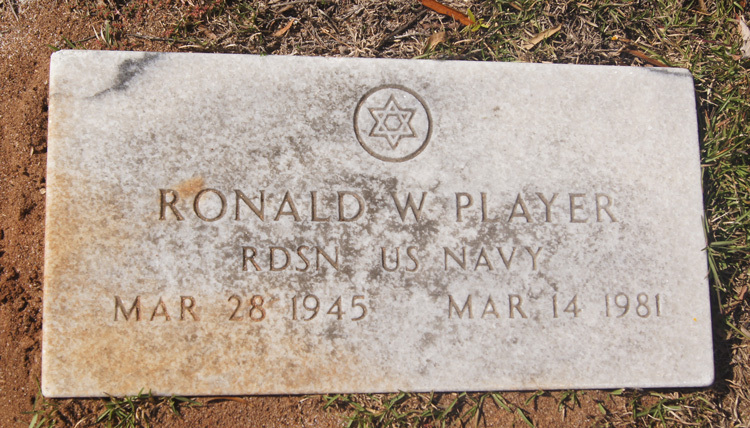 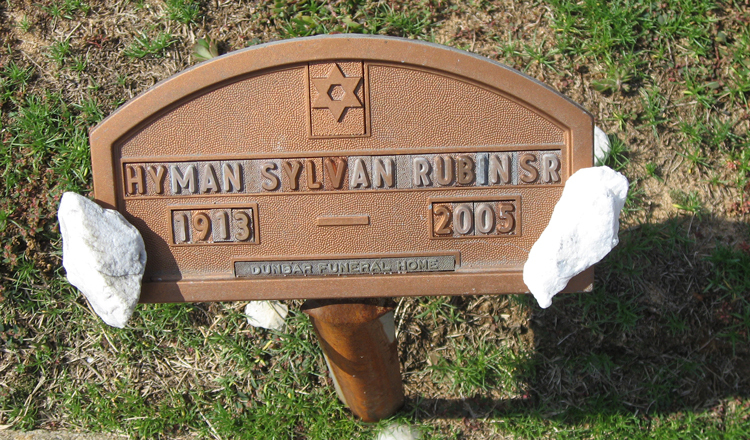 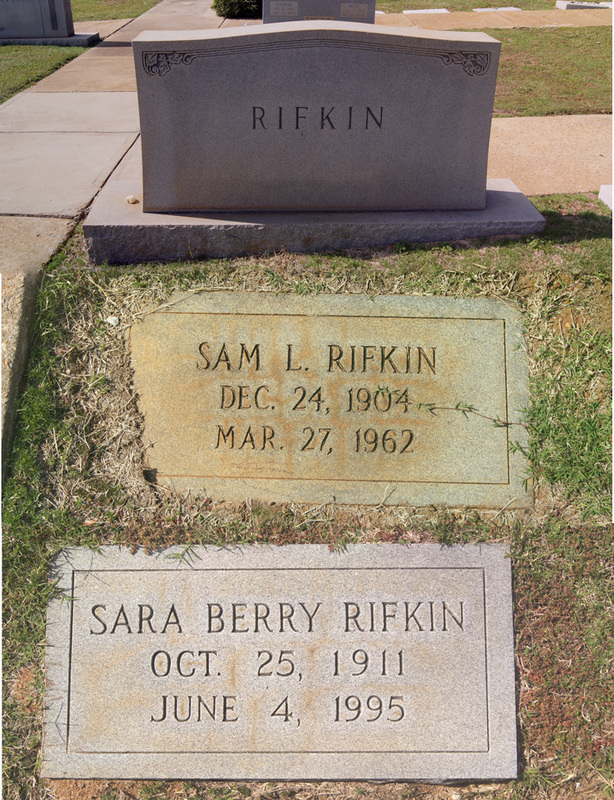 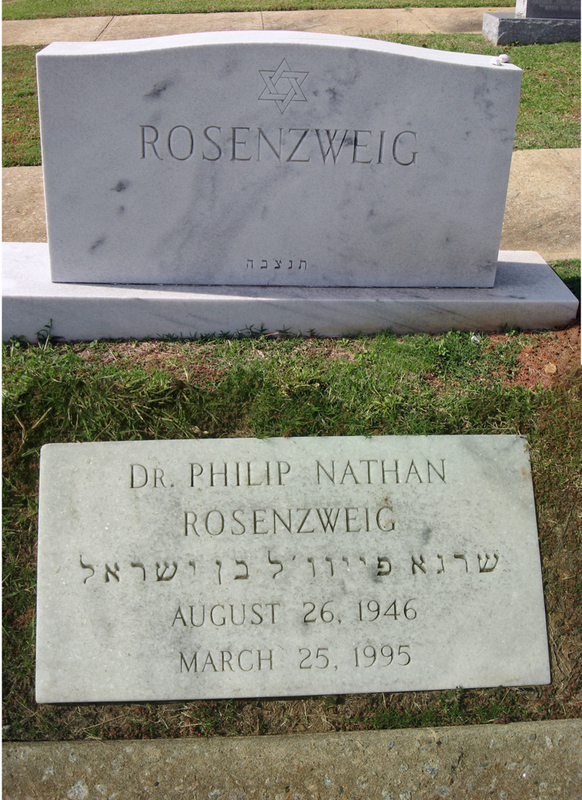 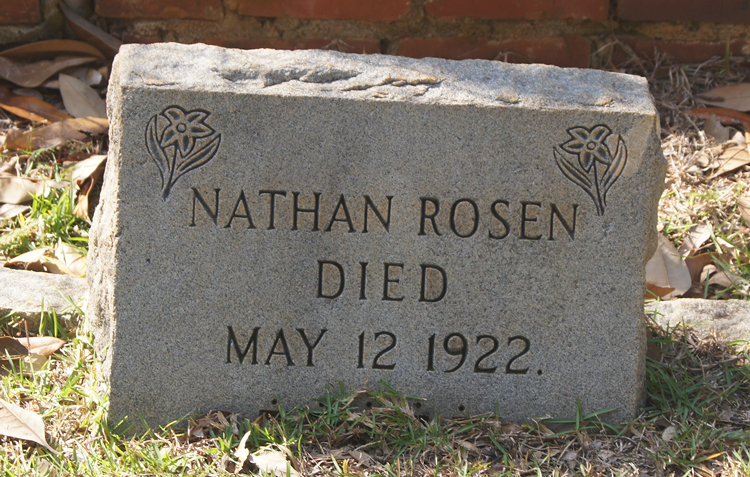 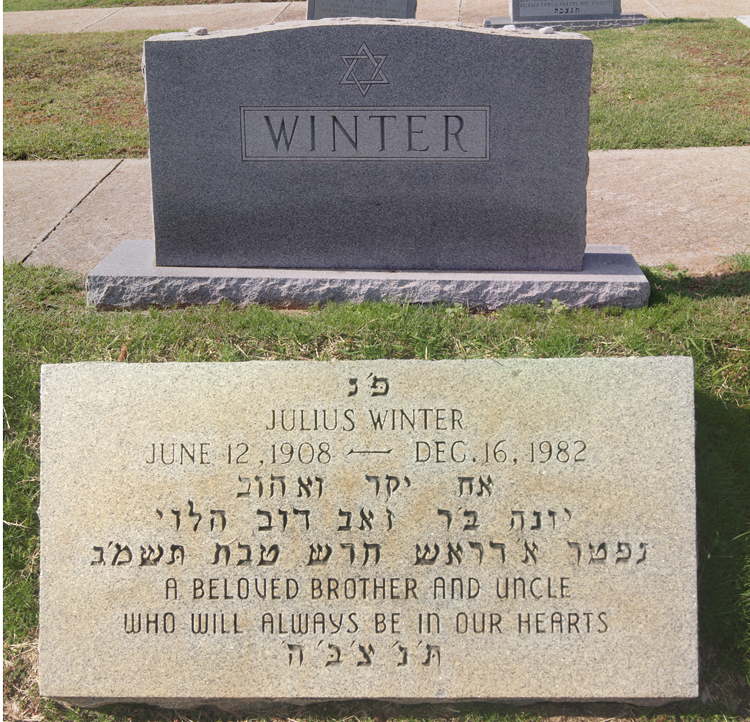 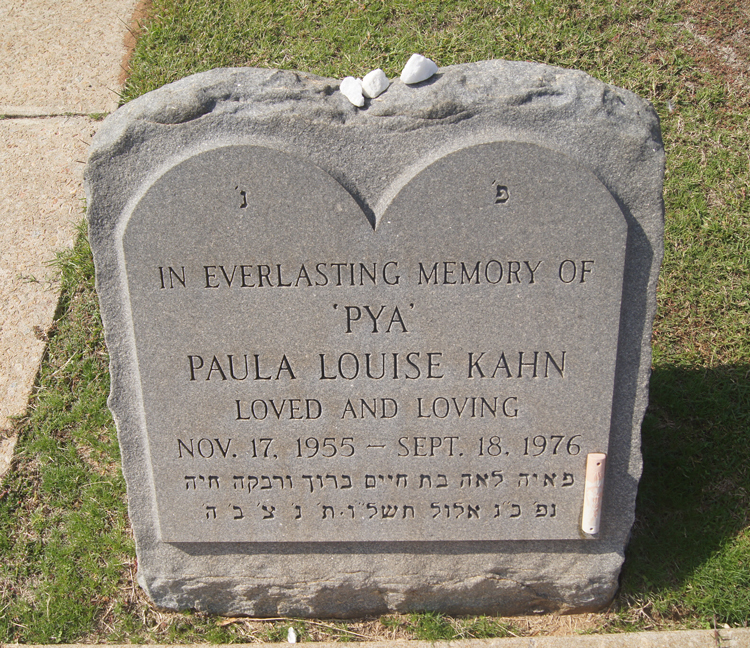 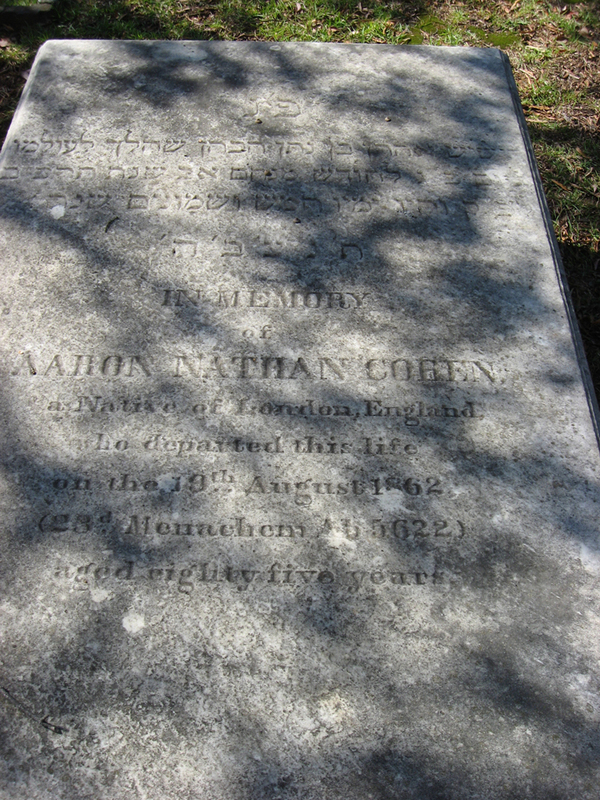 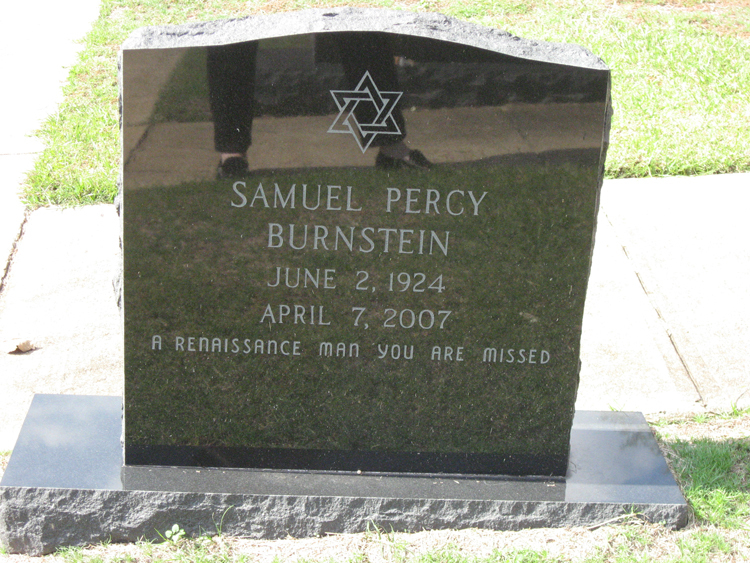 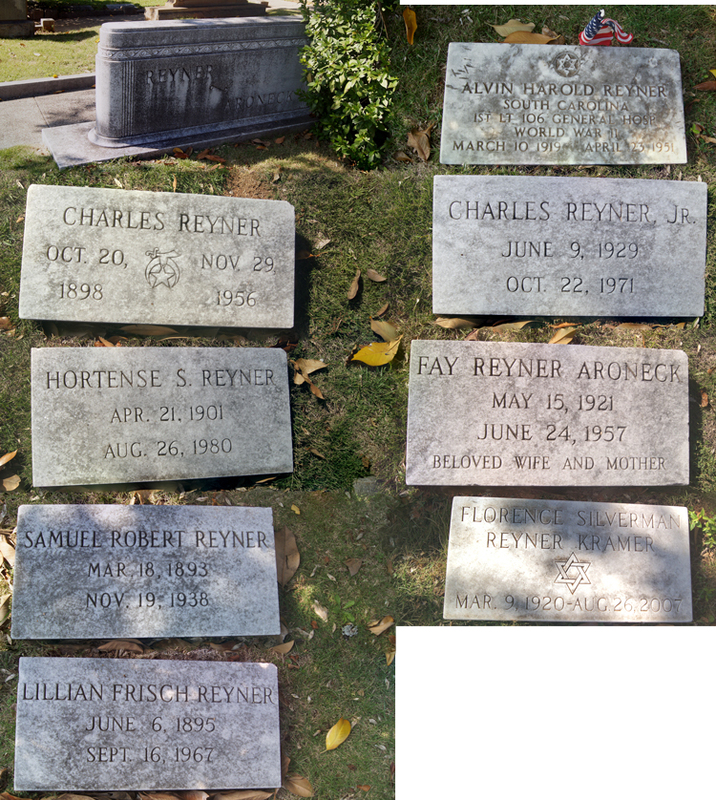 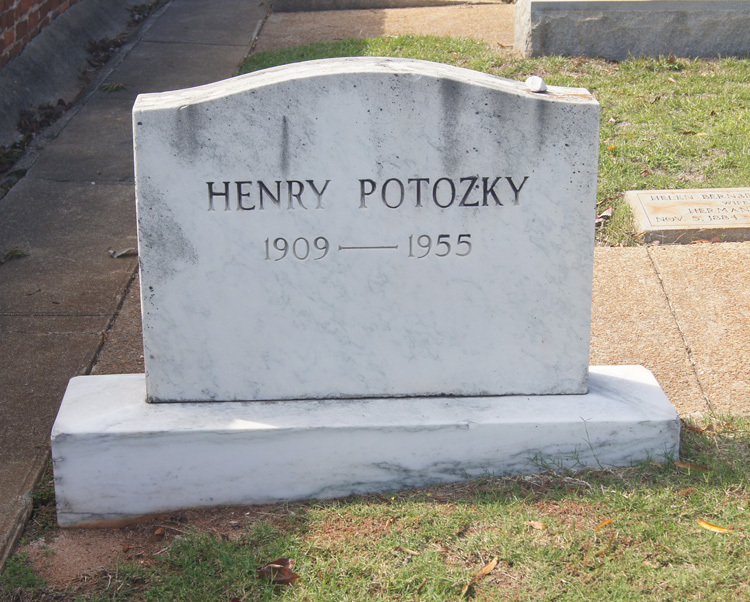 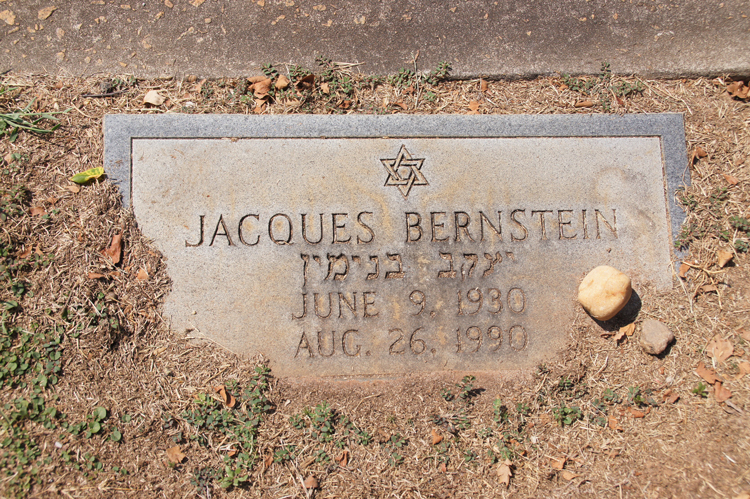 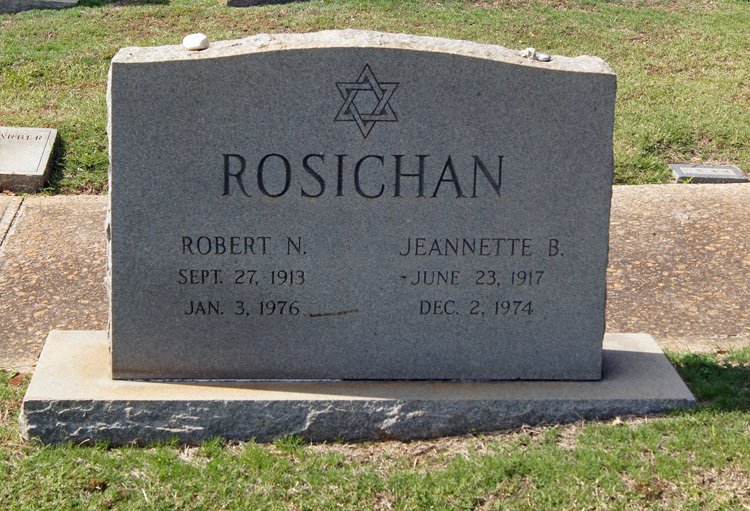 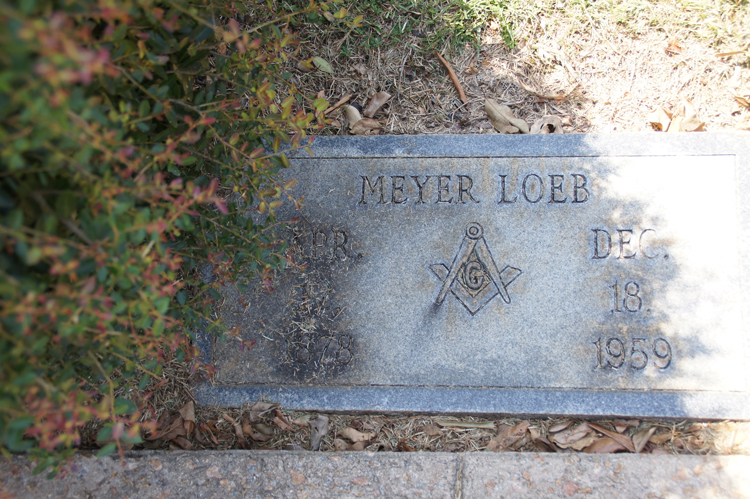 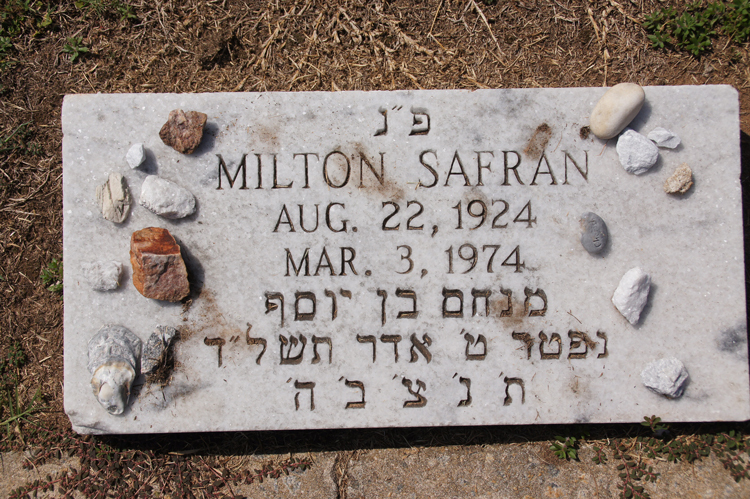 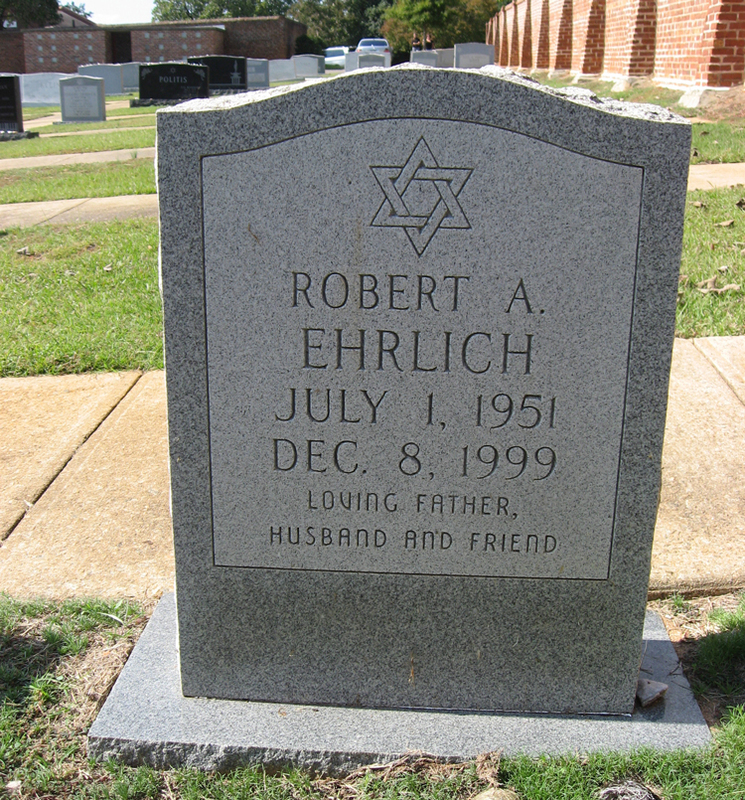 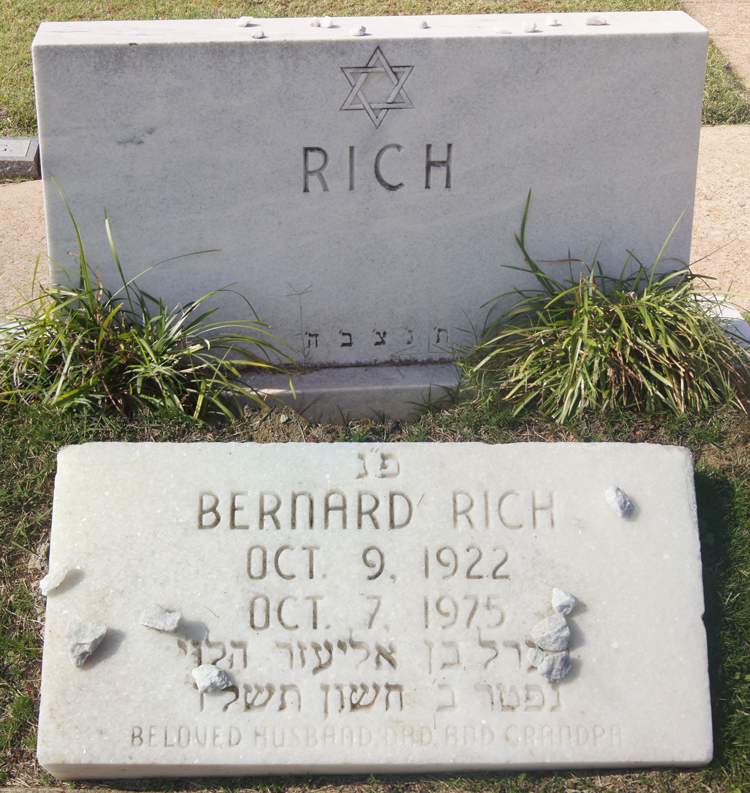 20C-4 POLOCK Nathan LEVIN 30-Nov-1838 Sarah S.
9-7 REYNER Alan Jay 08-Jul-1925 10-Nov-1974 Tobae LOVE Charles REYNER Hortense S.
8-6 REYNER Charles, Jr. 09-Jun-1929 22-Oct-1971 Charles REYNER Hortense S.
58-6 ROSICHAN Robert N. 27-Sep-1913 03-Jan-1976 Jeannette B.
ROTHBERG Sandra Evelyn 29-Apr-1942 24-Oct-1964 Hyman P. ROTHBERG SPECTOR Minna. 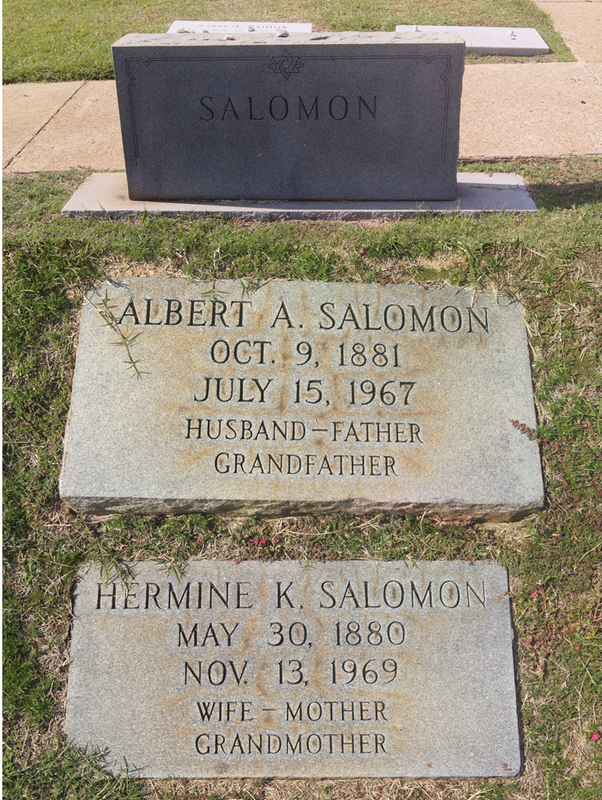 79-1 SALOMON Albert A. 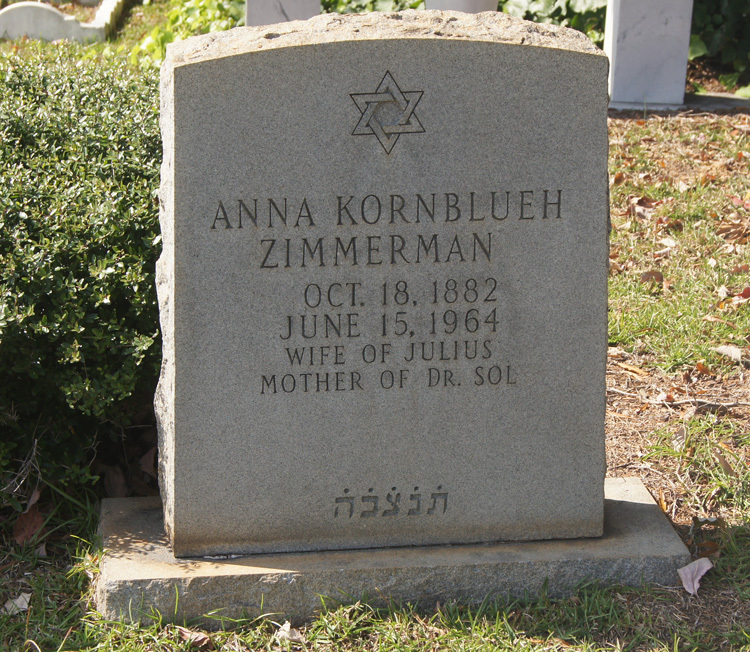 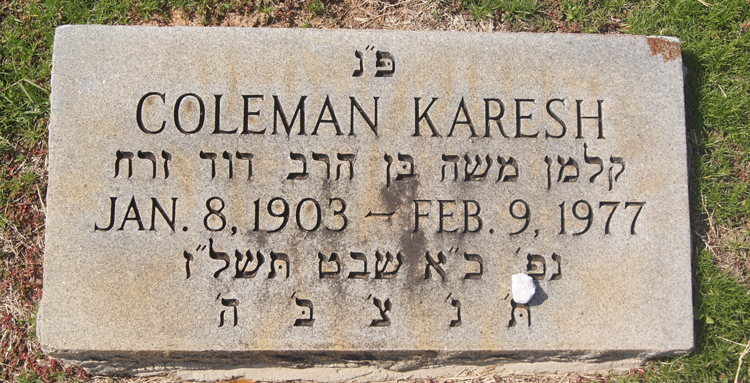 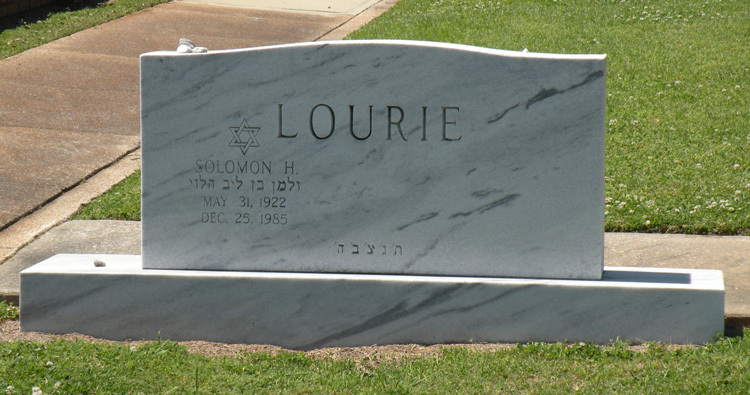 09-Oct-1881 15-Jul-1967 Hermine K.
18C-17 SOLOMON A.L. 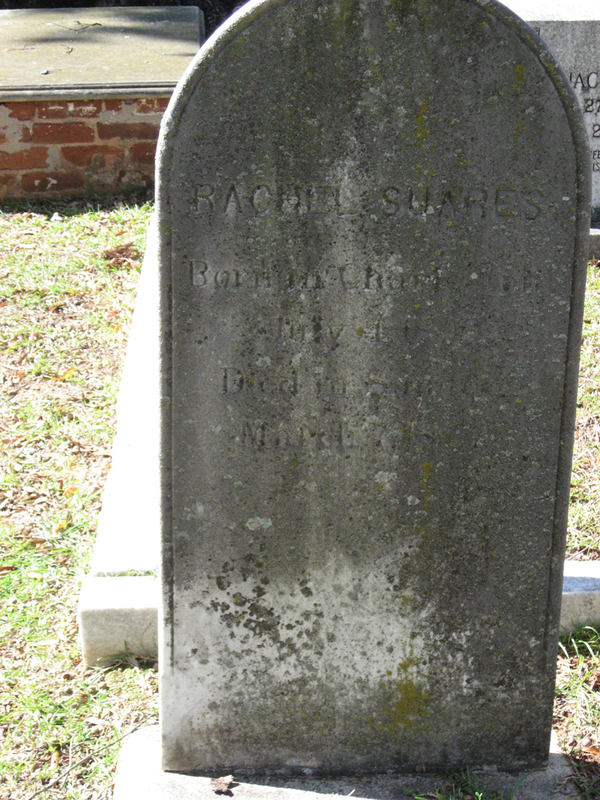 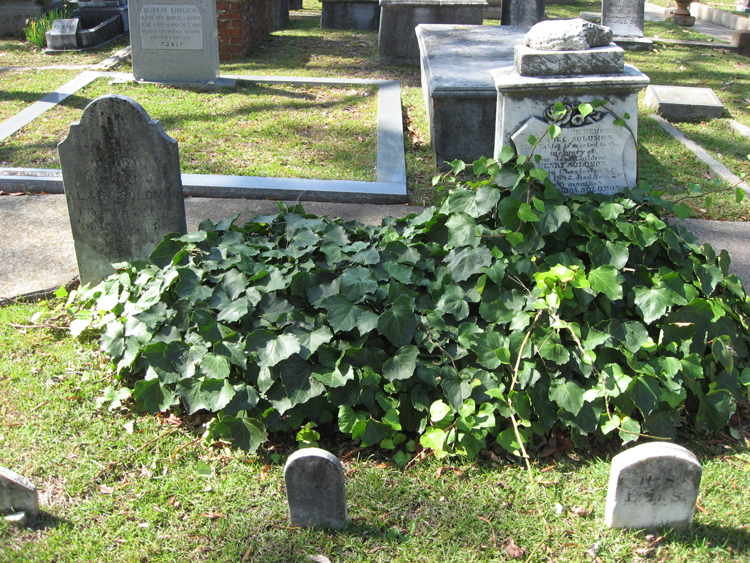 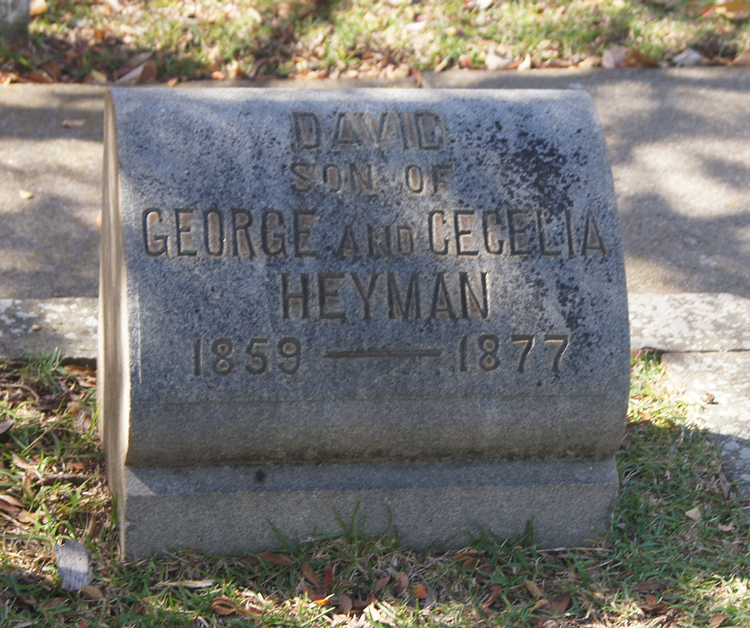 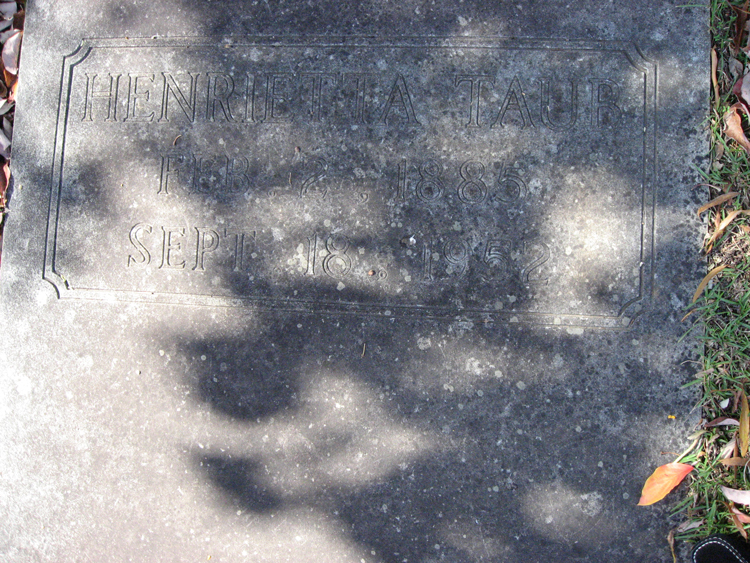 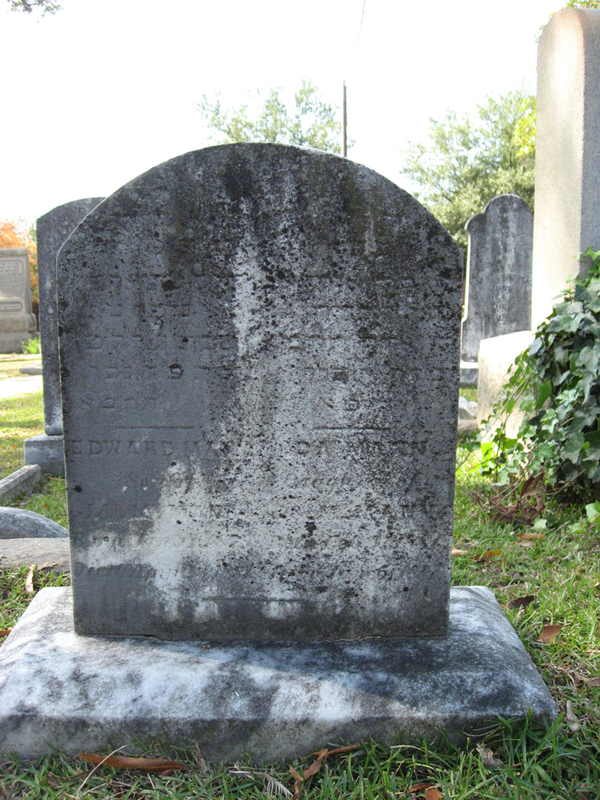 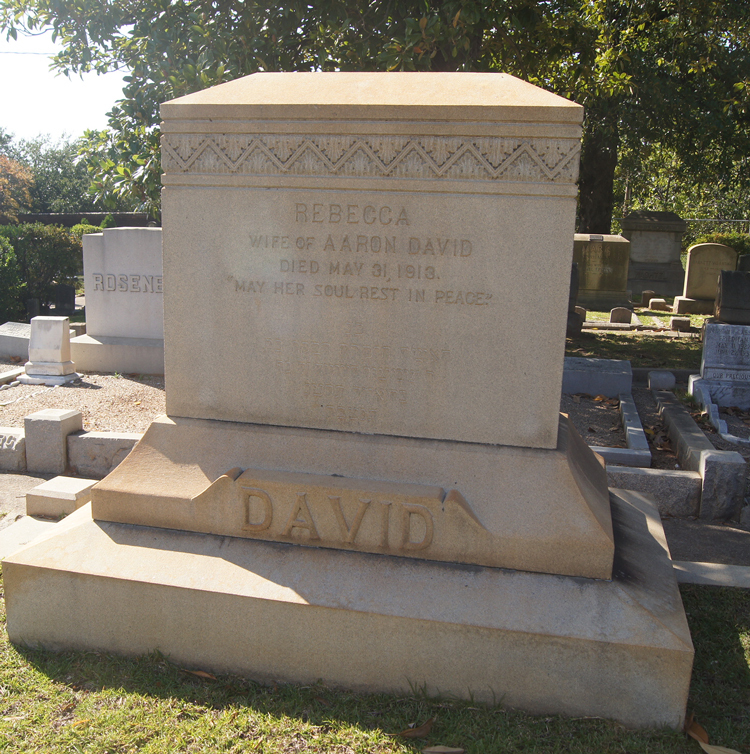 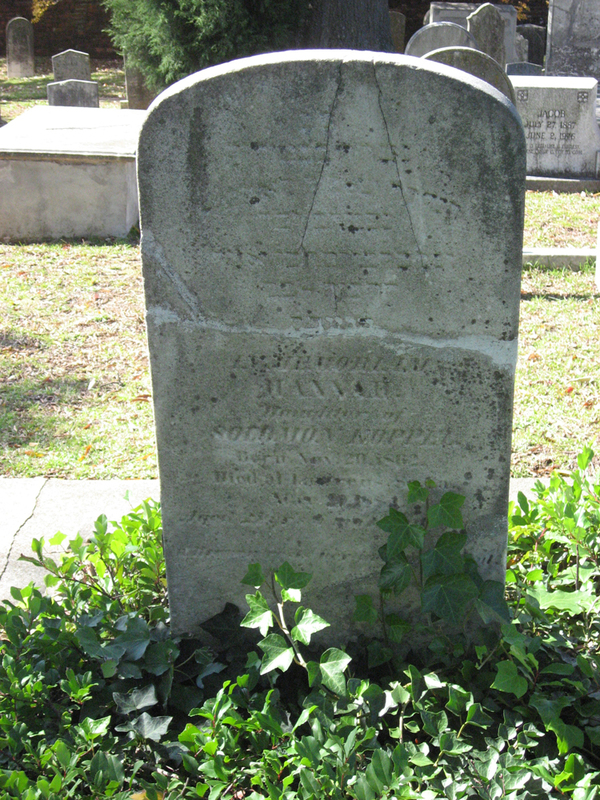 28-Mar-1828 04-Dec-1904 Rebecca C.
19A-3 SOLOMON Henry 1852 Charleston, SC USA 02-Nov-1852 A.L. 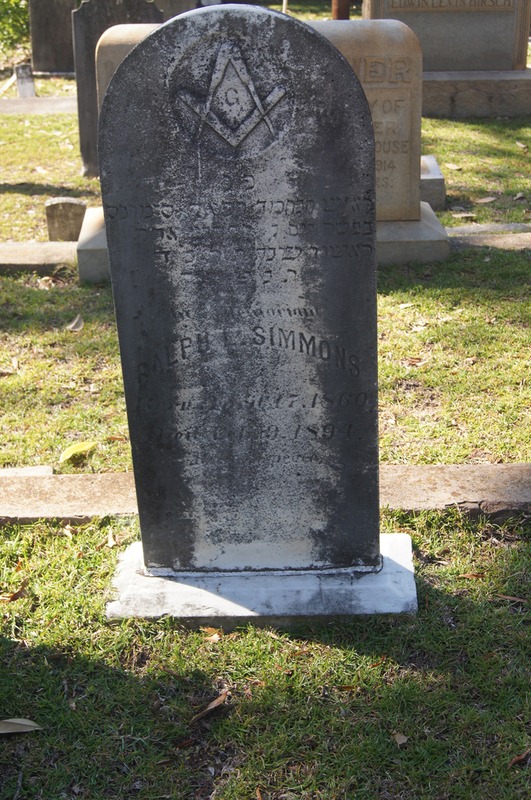 SOLOMON Rebecca C.
19A-5 SOLOMON Henry 25-Nov-1857 25-Mar-1865 A.L. 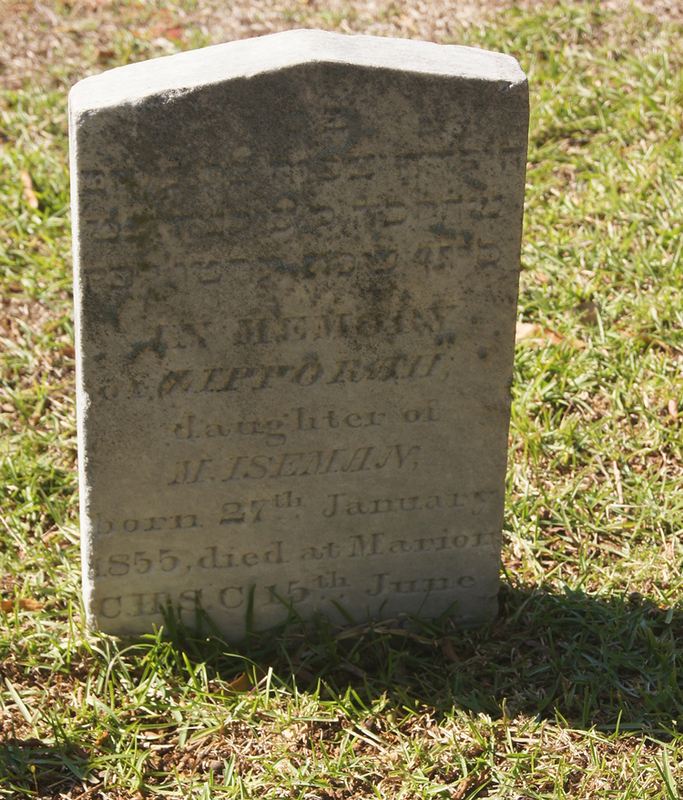 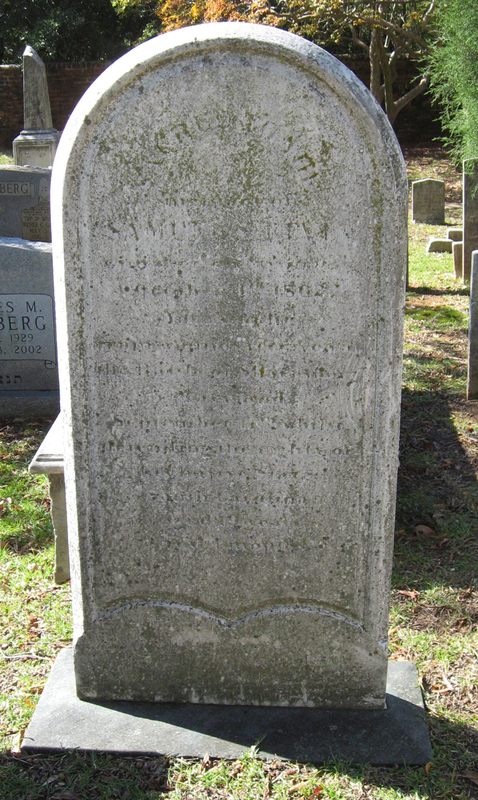 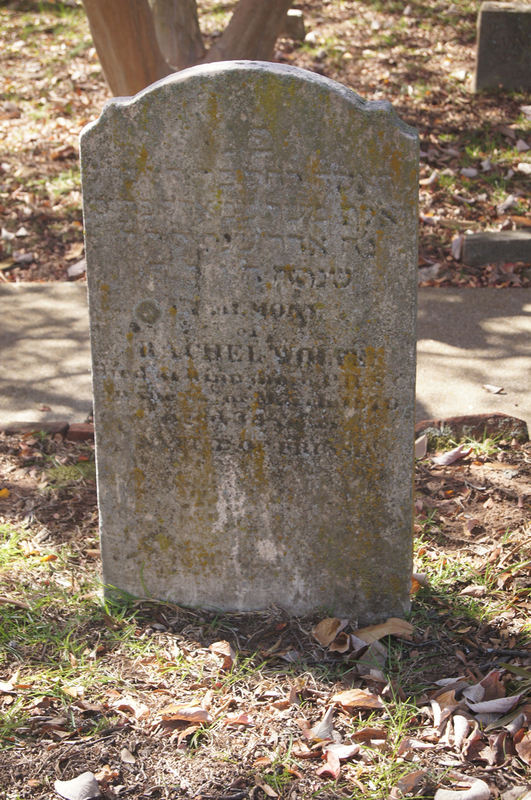 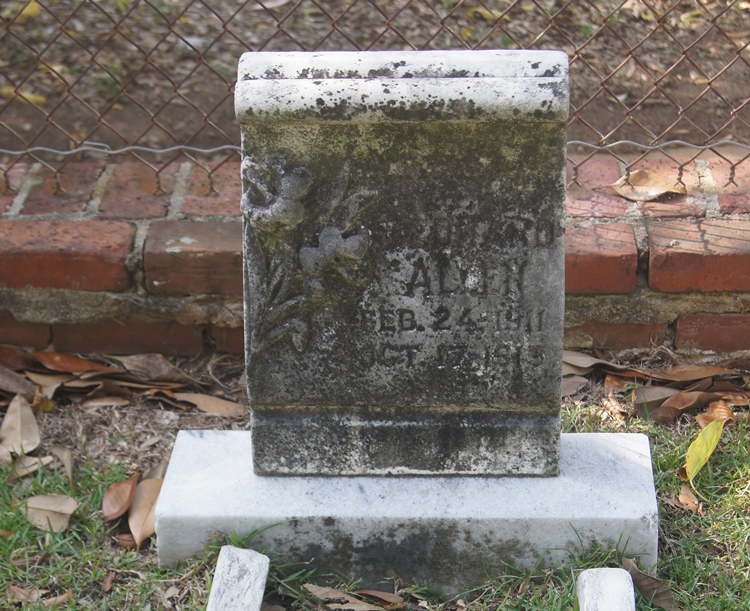 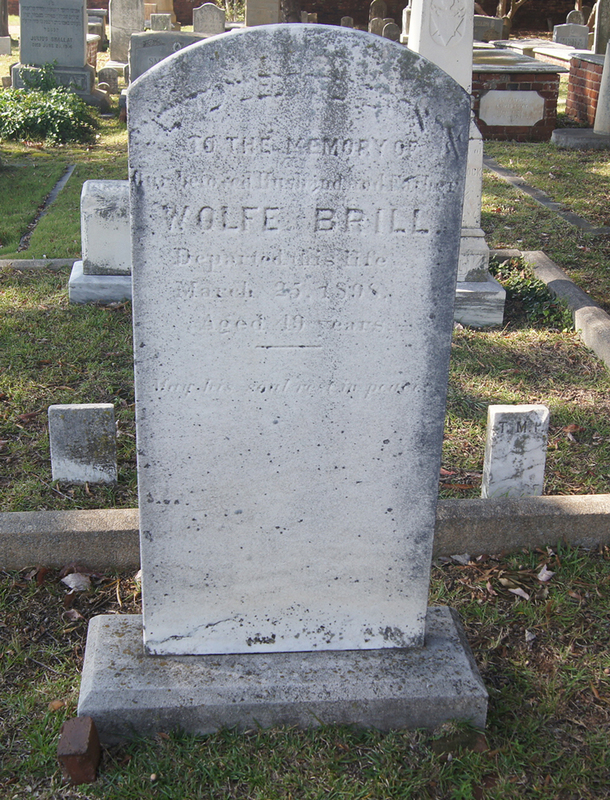 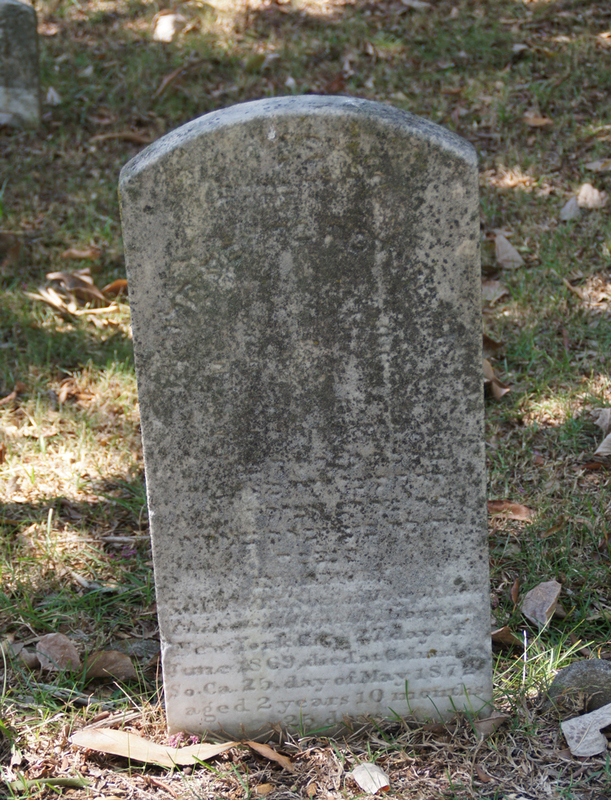 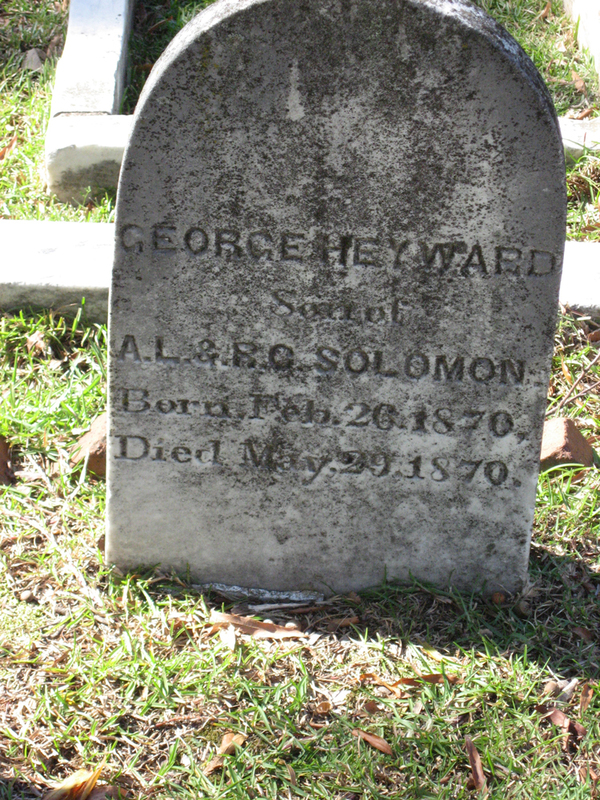 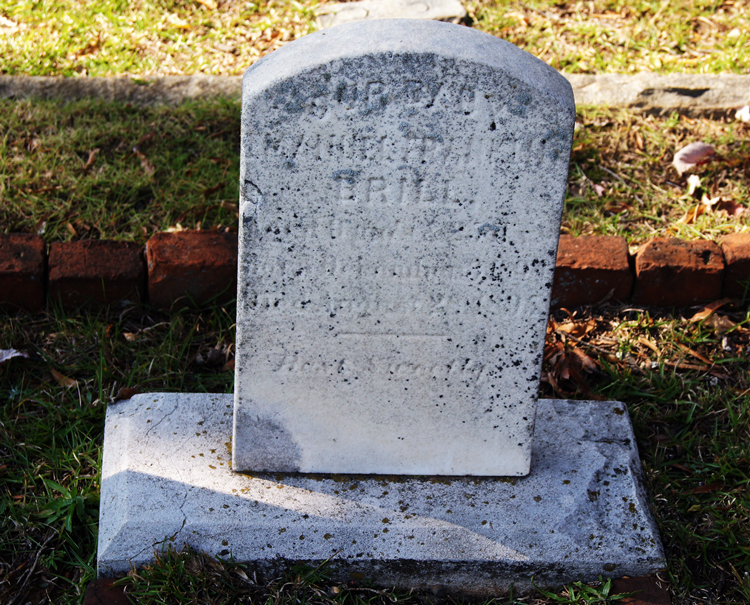 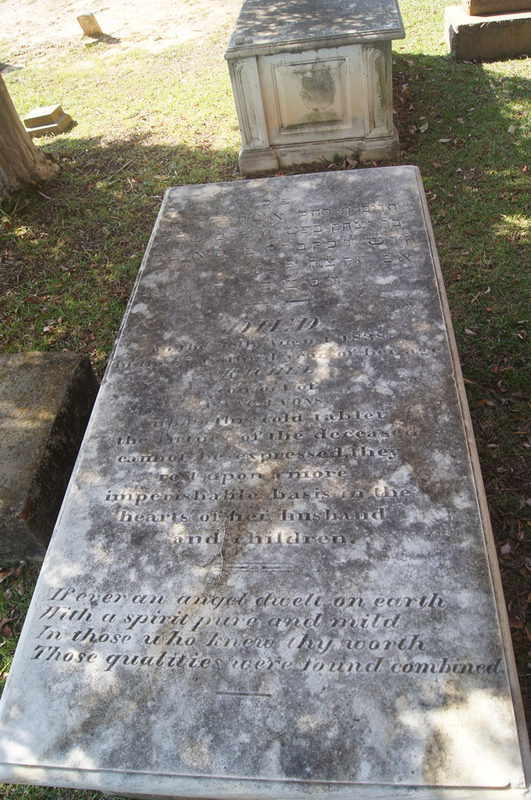 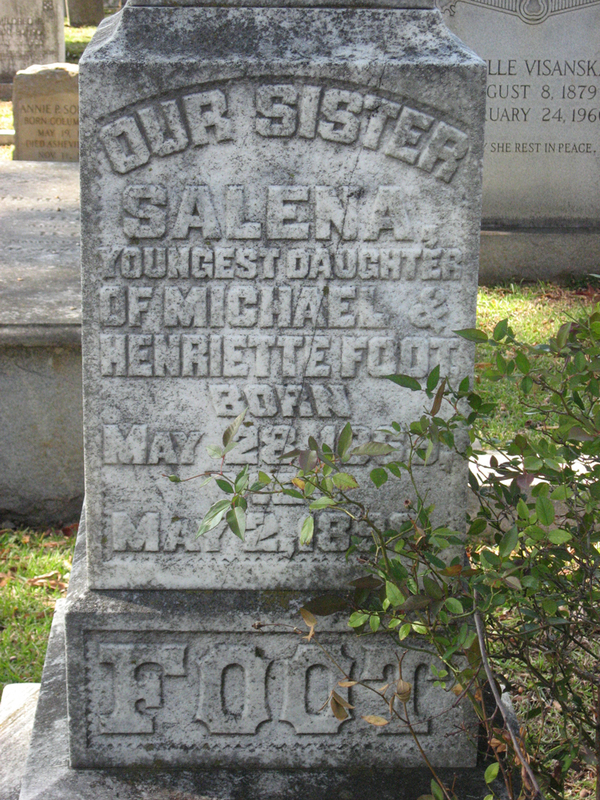 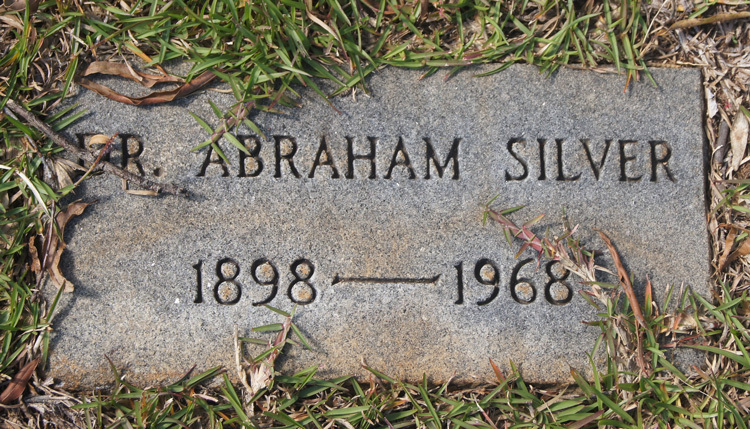 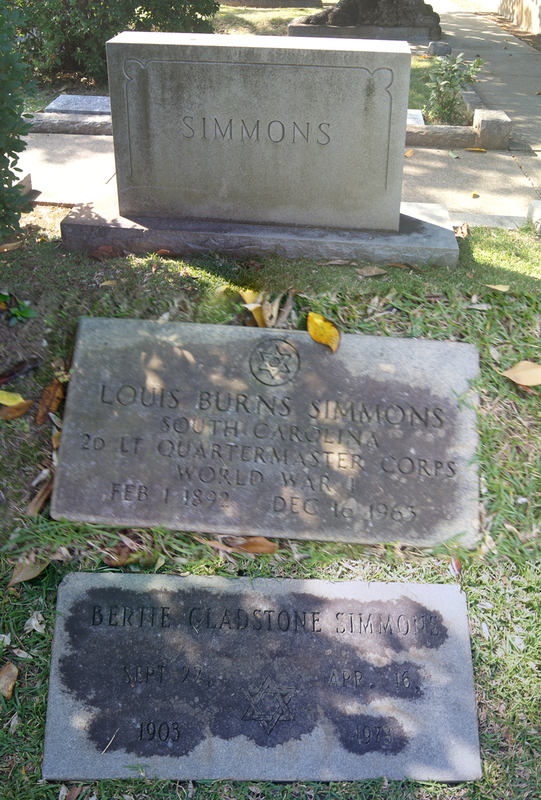 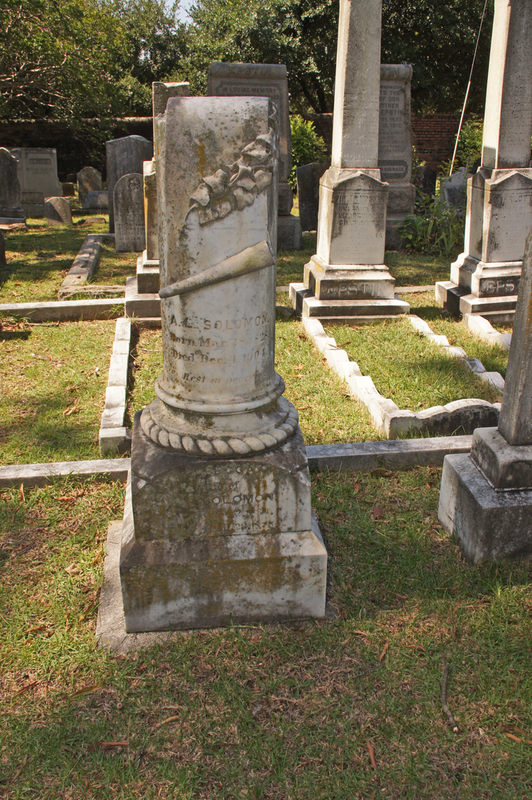 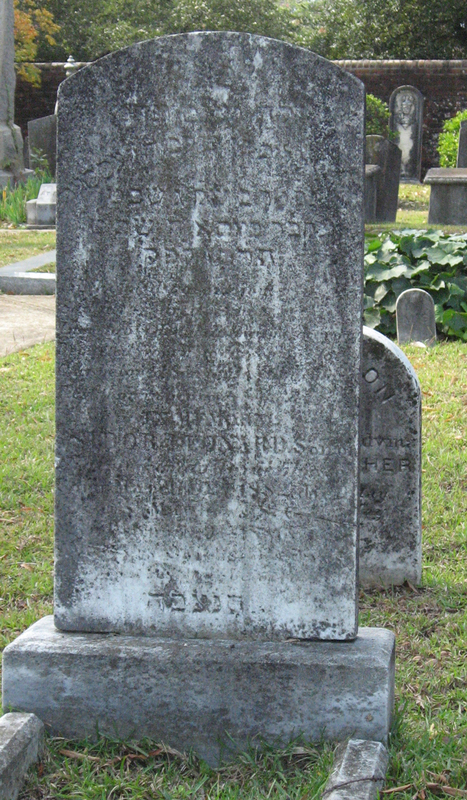 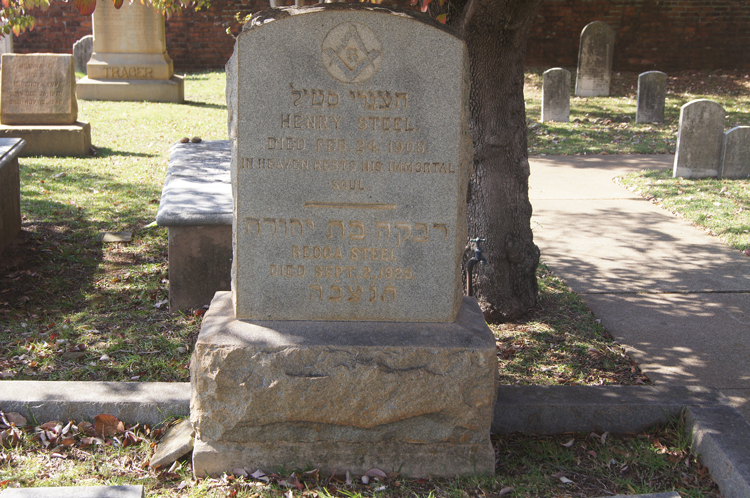 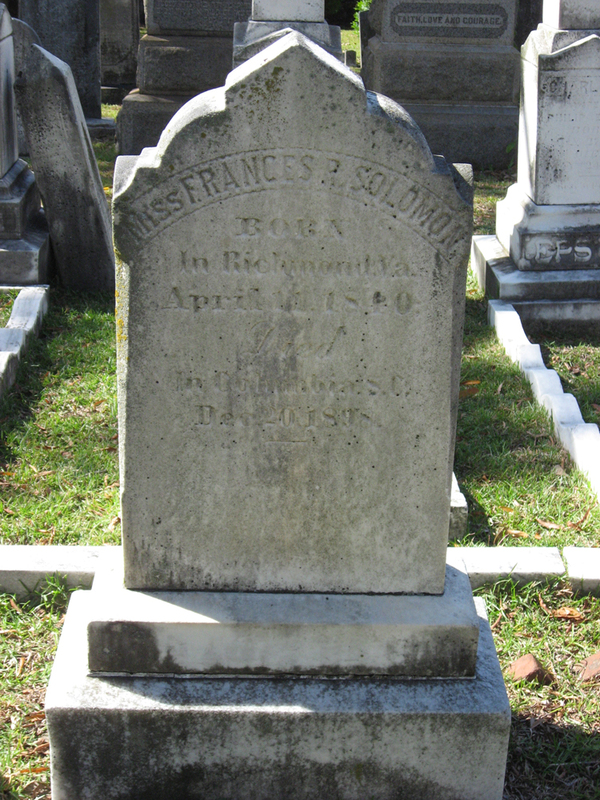 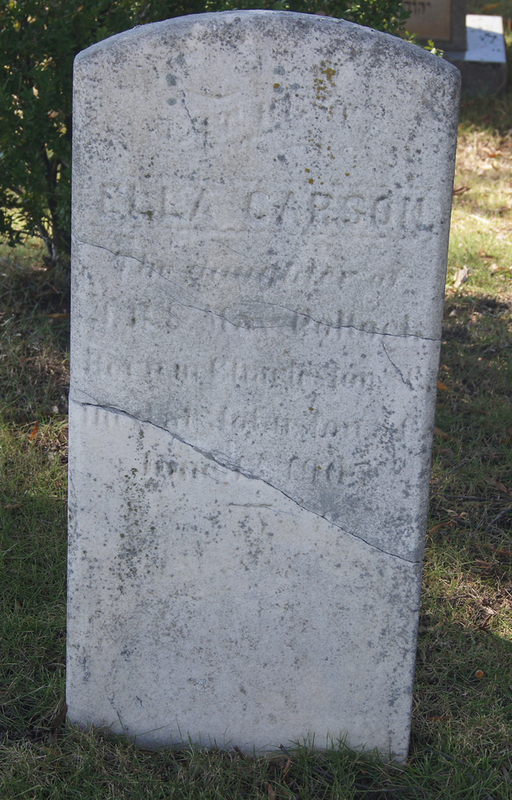 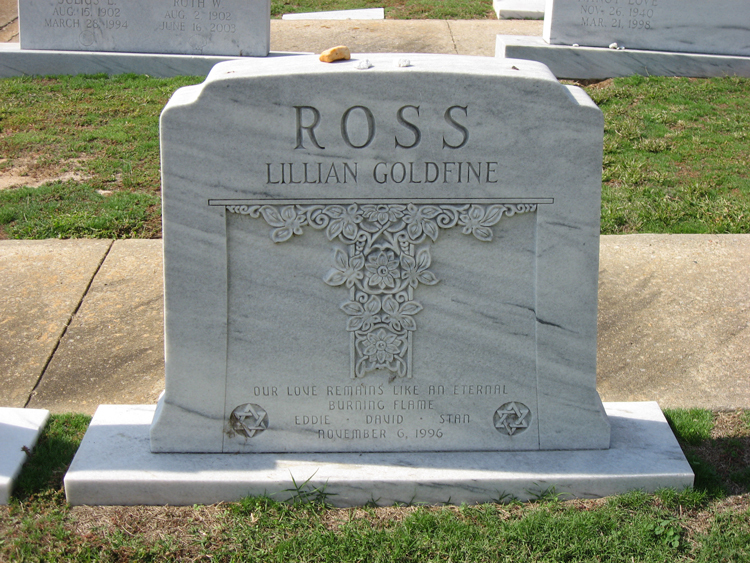 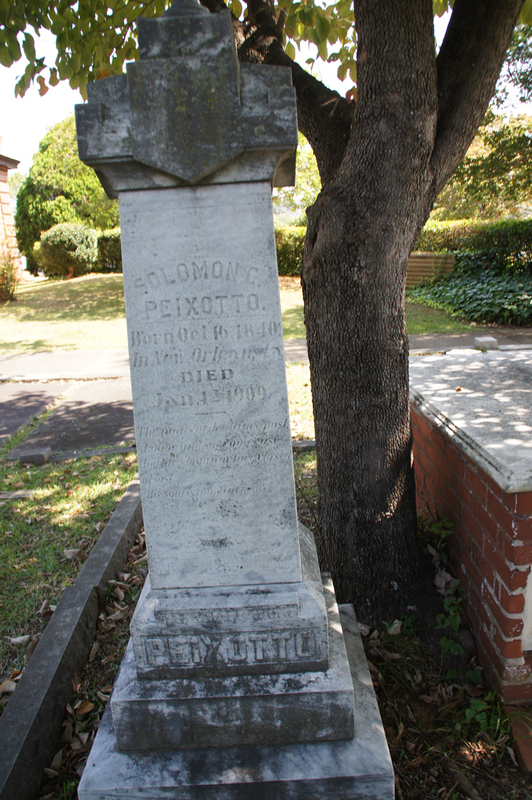 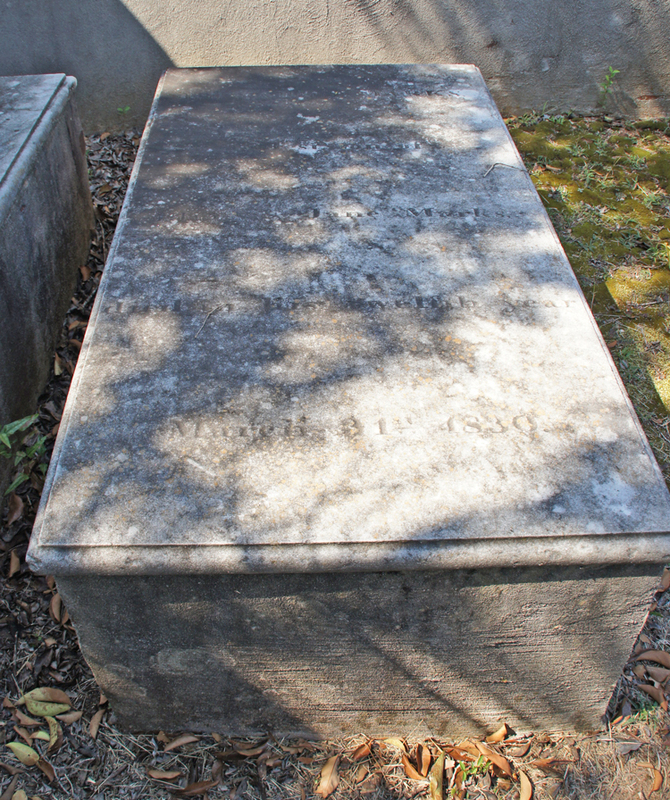 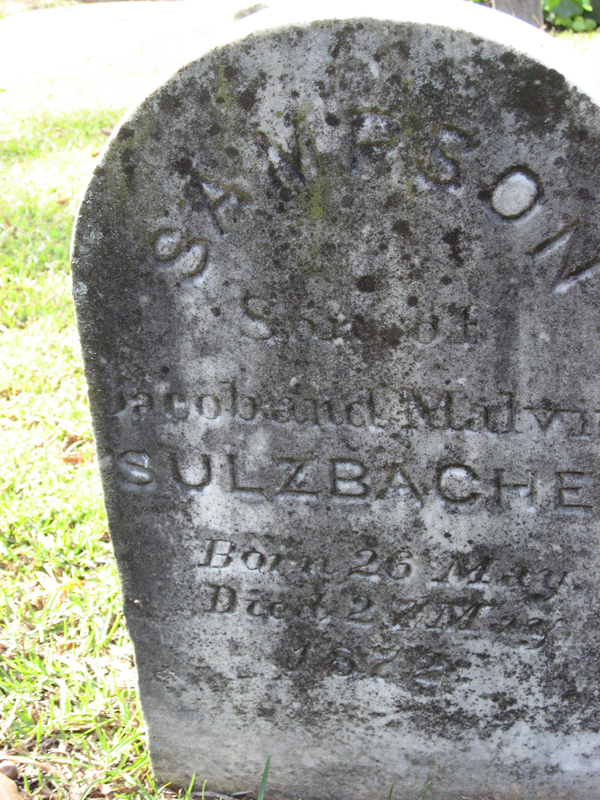 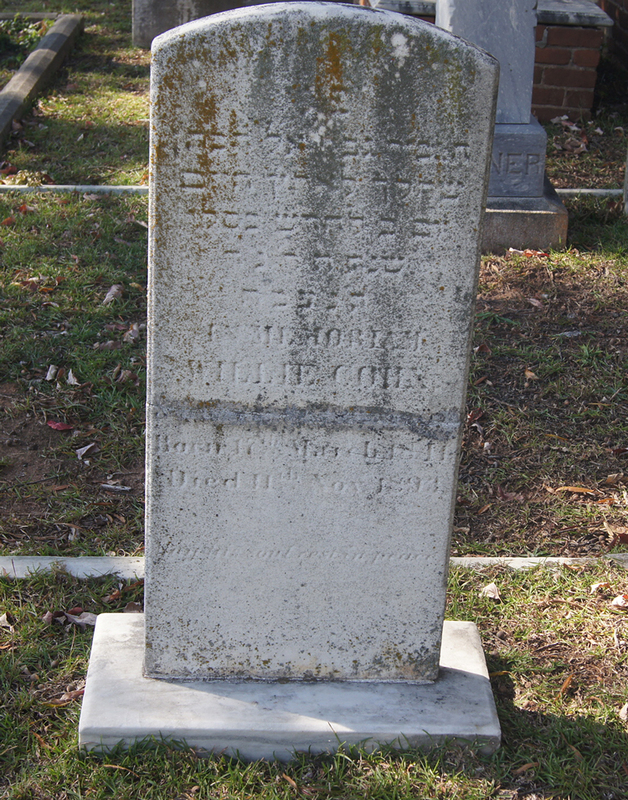 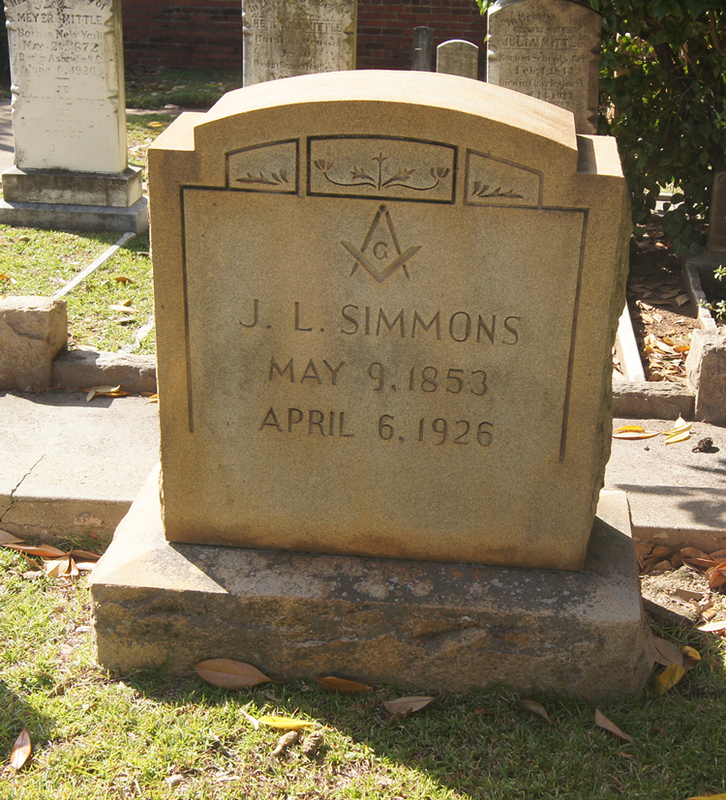 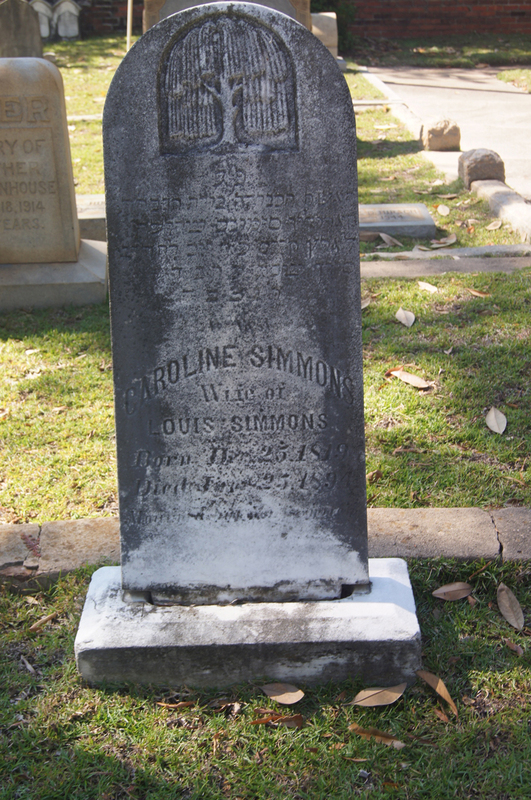 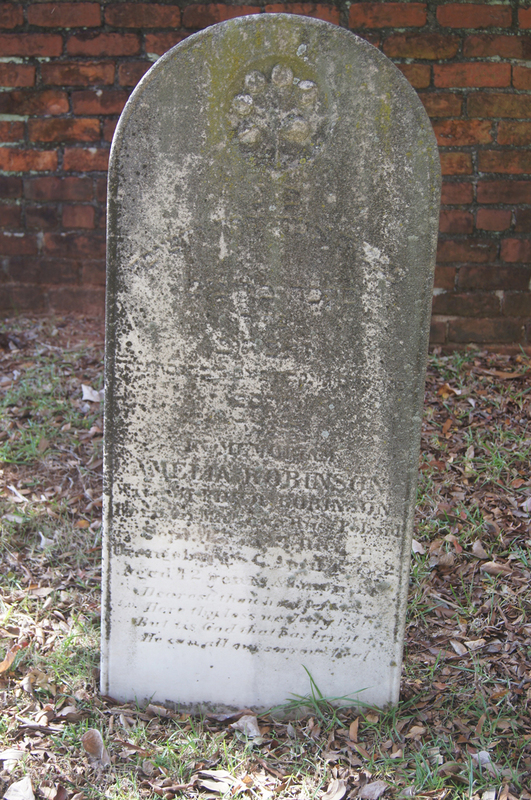 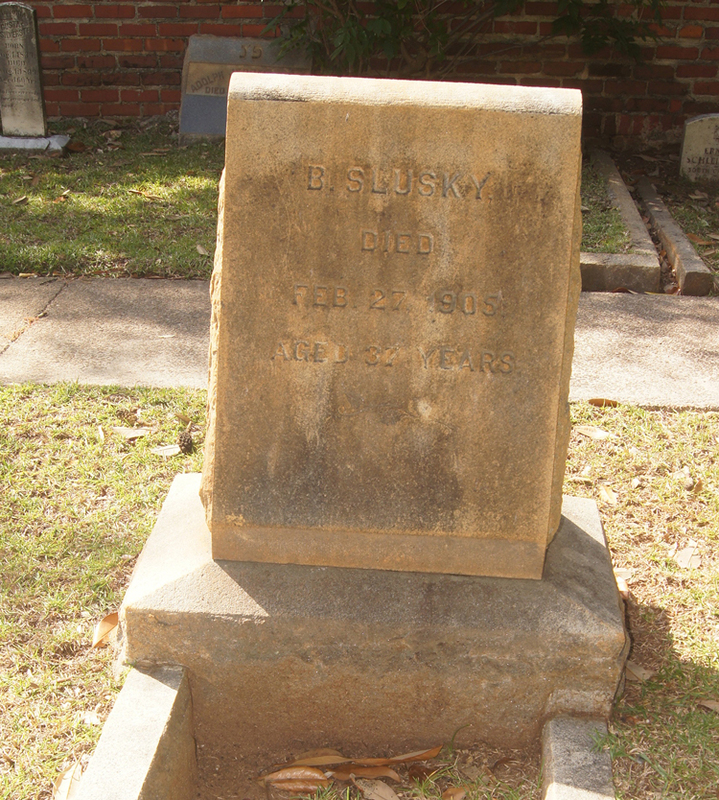 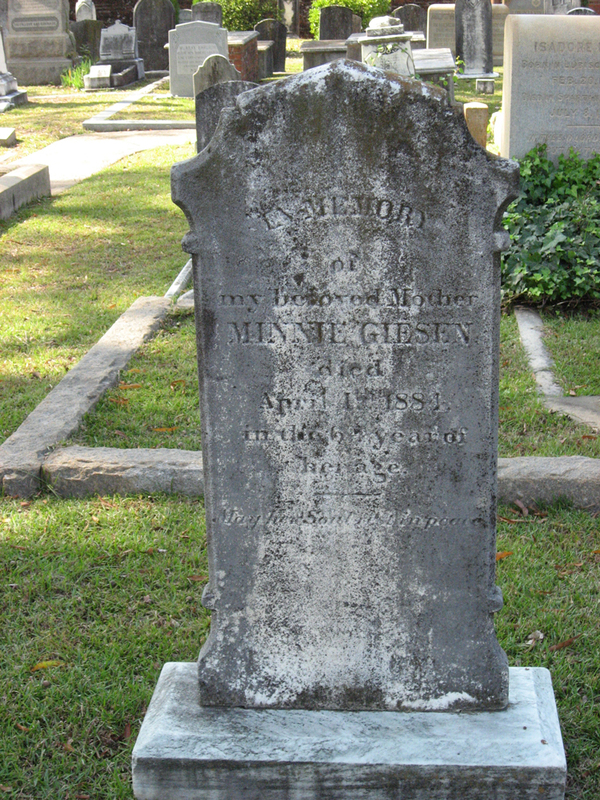 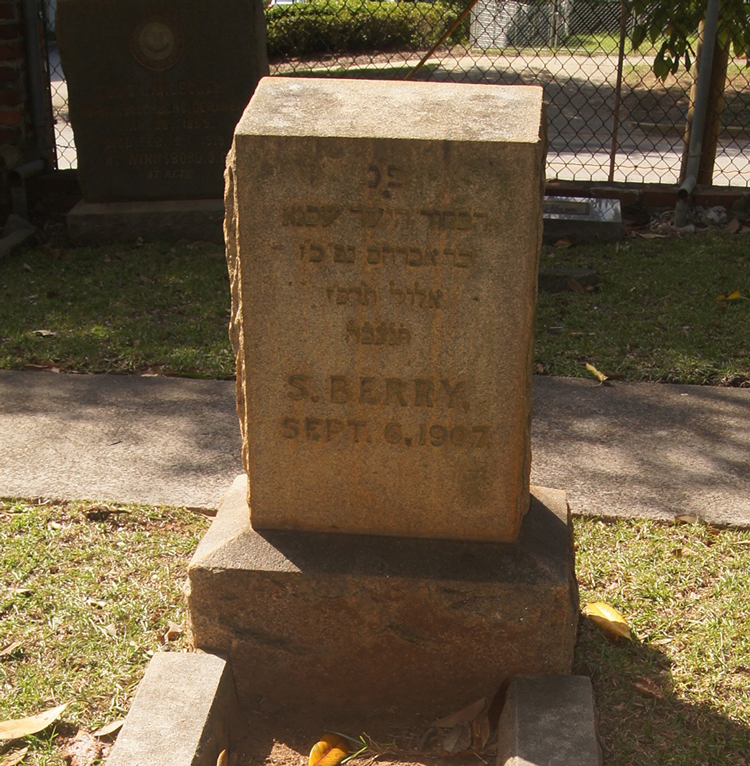 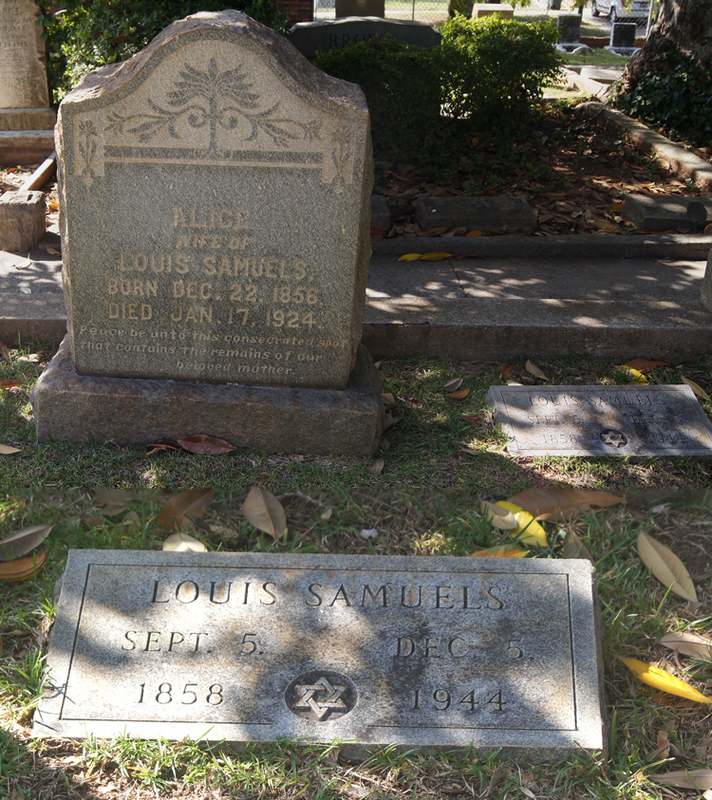 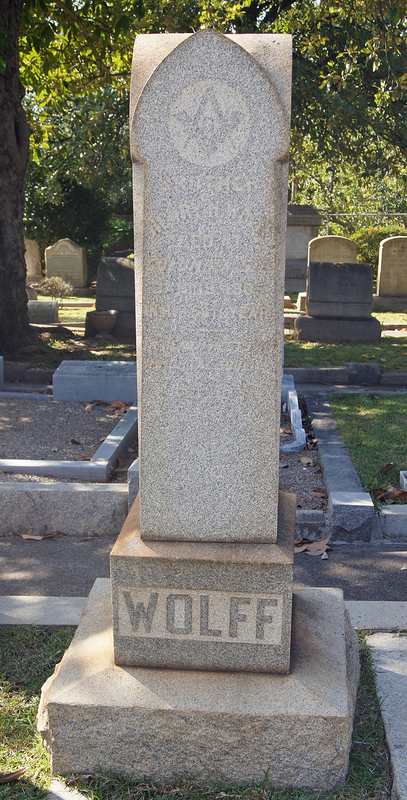 SOLOMON Rebecca C.
19A-3 SOLOMON Lillie Louisa 1858 1862 A.L. 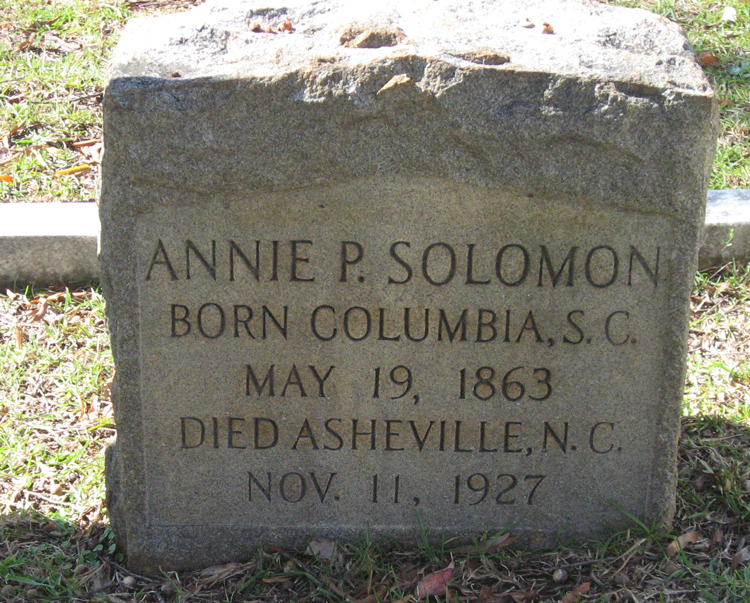 SOLOMON Rebecca C.
19A-4 SOLOMON Marion 1865 1866 A.L. 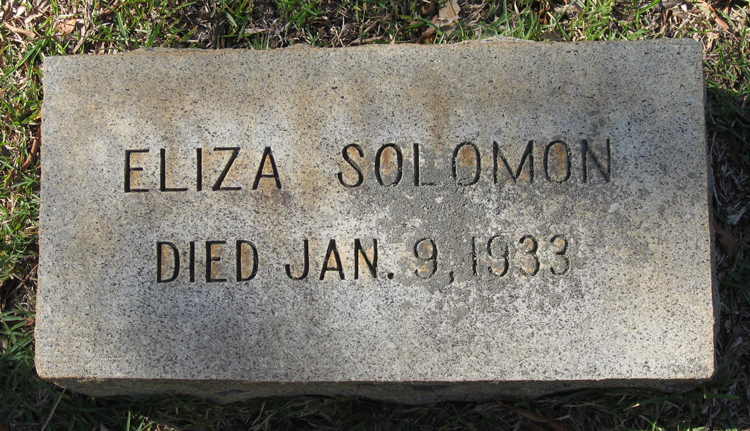 SOLOMON Rebecca C.
20E-18 STEBBINS Infant Son W. H.STEBBINS Louise R.
40-1 VIGODSKY Harry 10-Jan-1892 16-Feb-1958 Mollie Q. 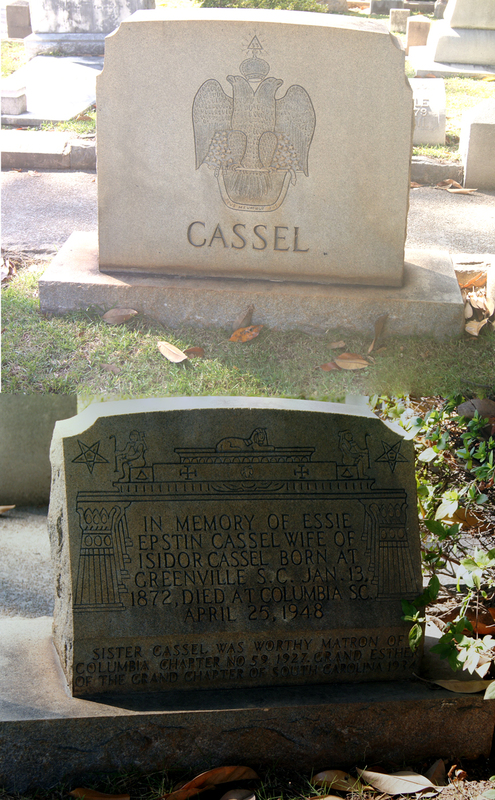 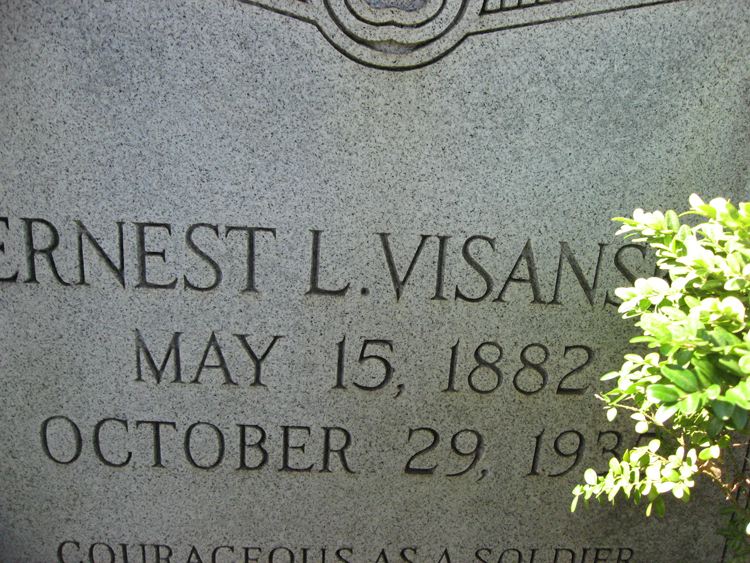 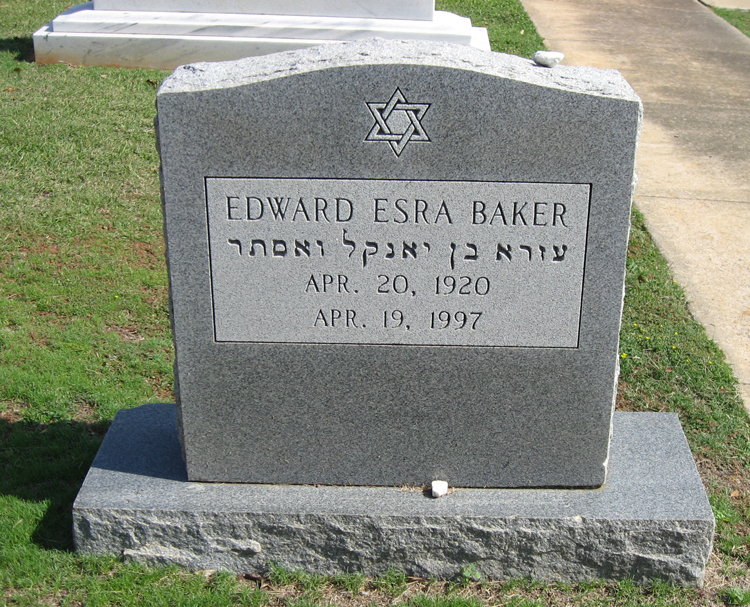 19A-12 VISANSKA Ernest L. Abbeville, SC USA 15-May-1882 Charleston, SC USA 29-Oct-1935 George A. 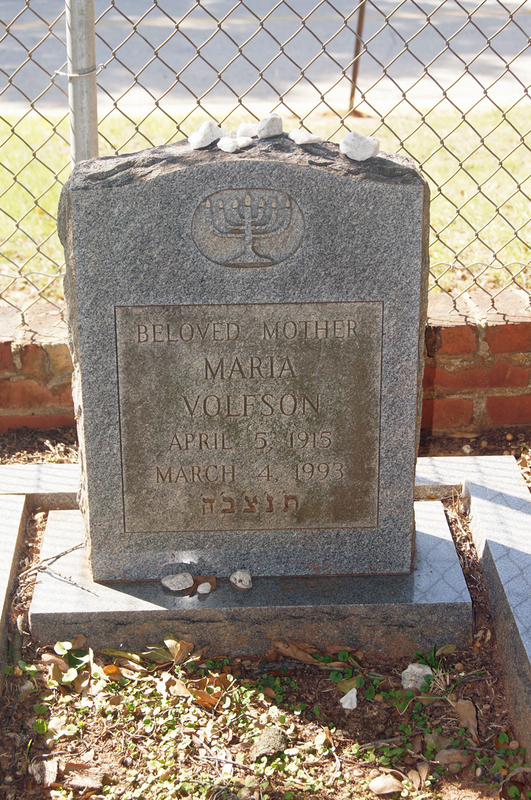 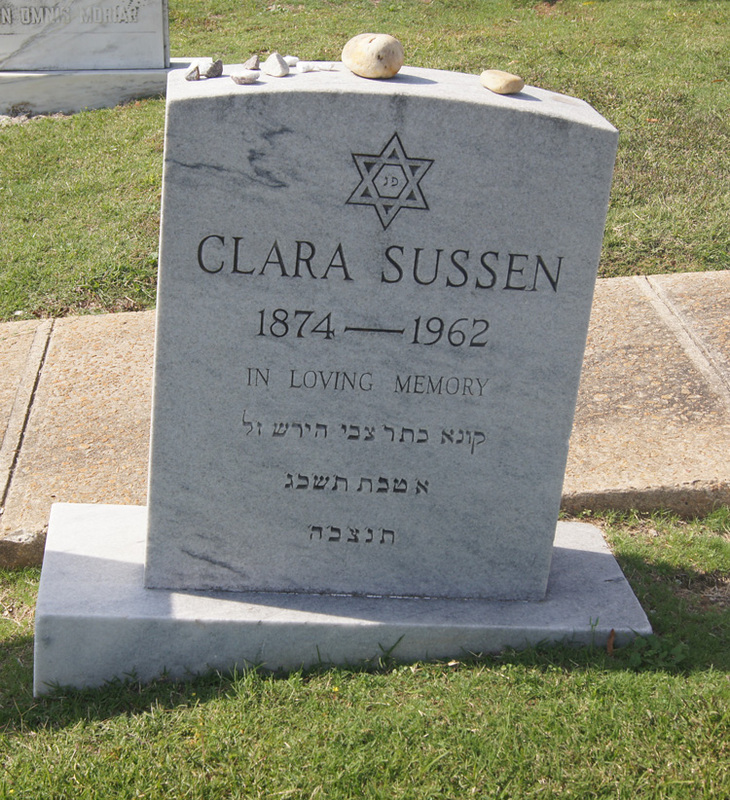 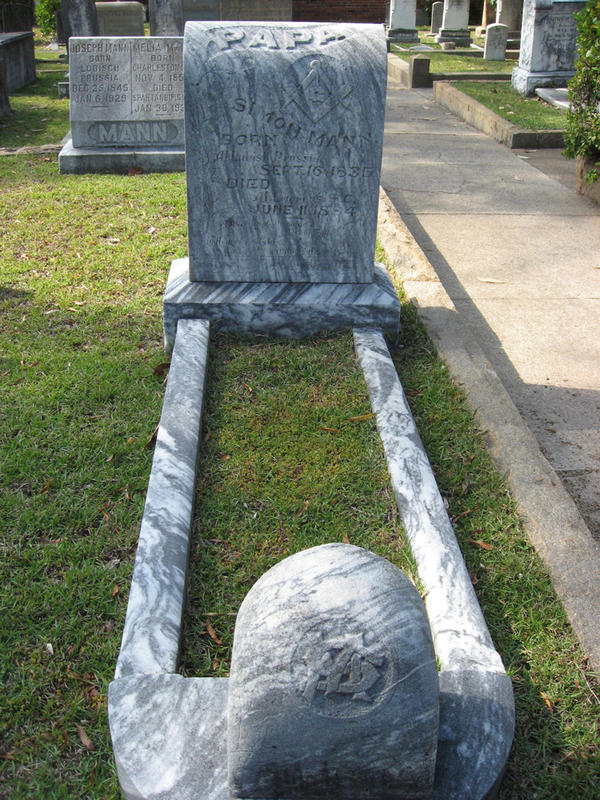 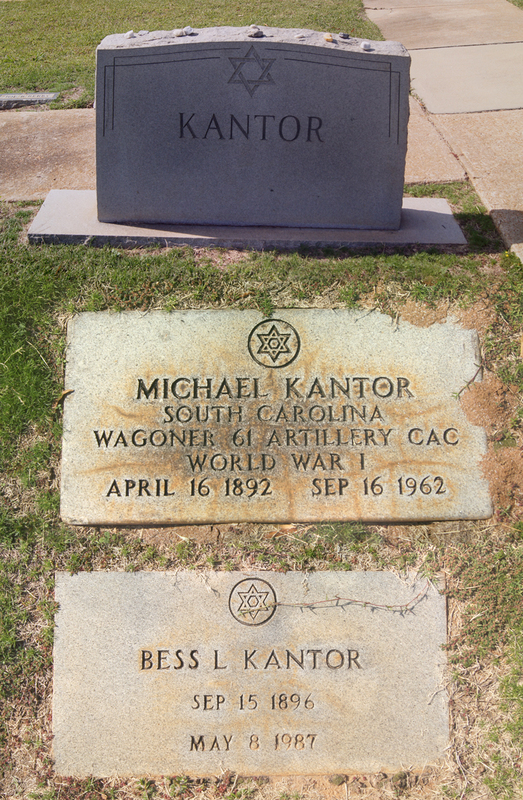 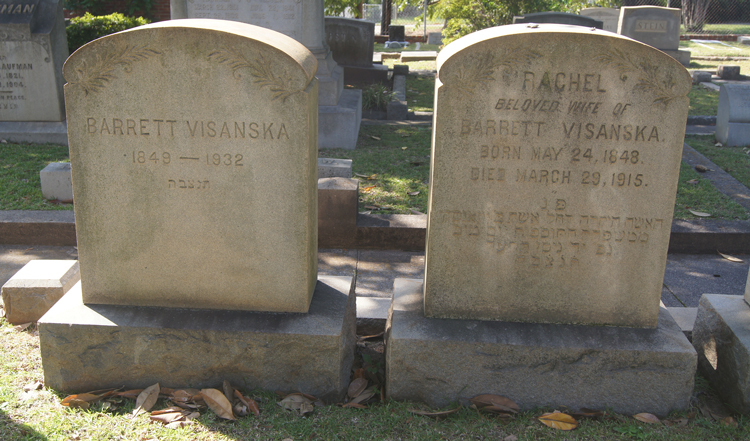 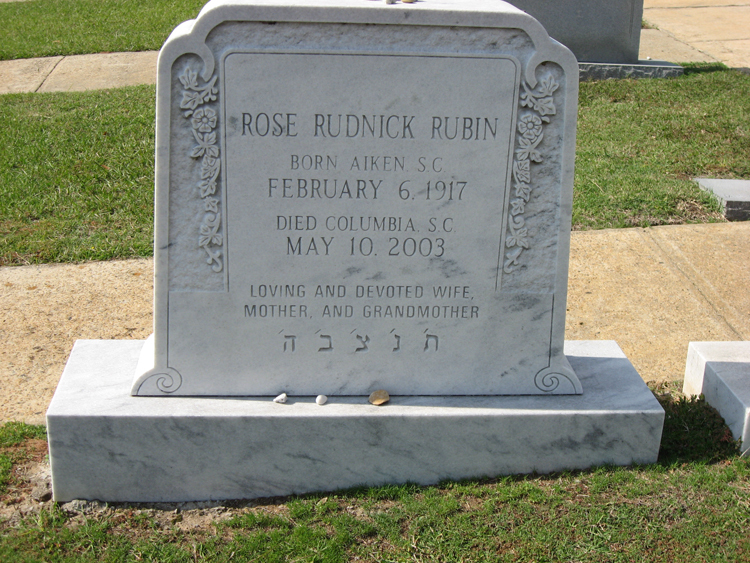 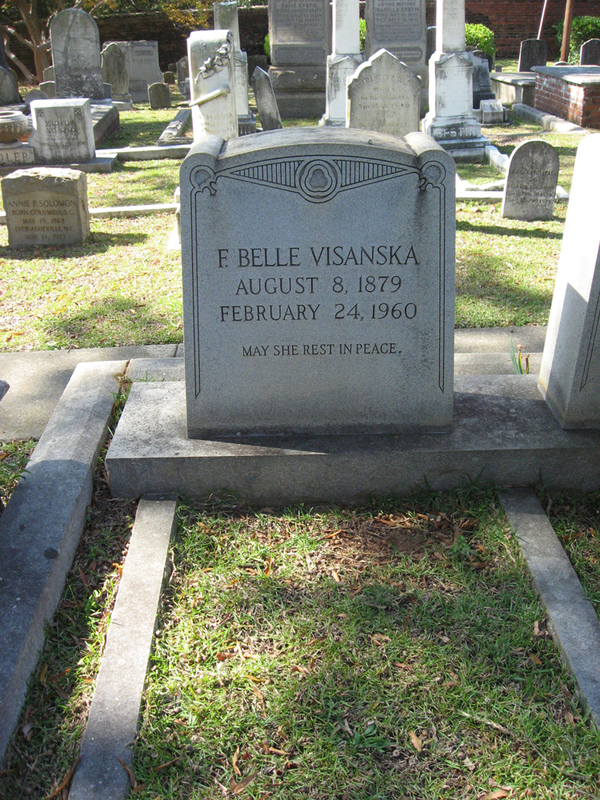 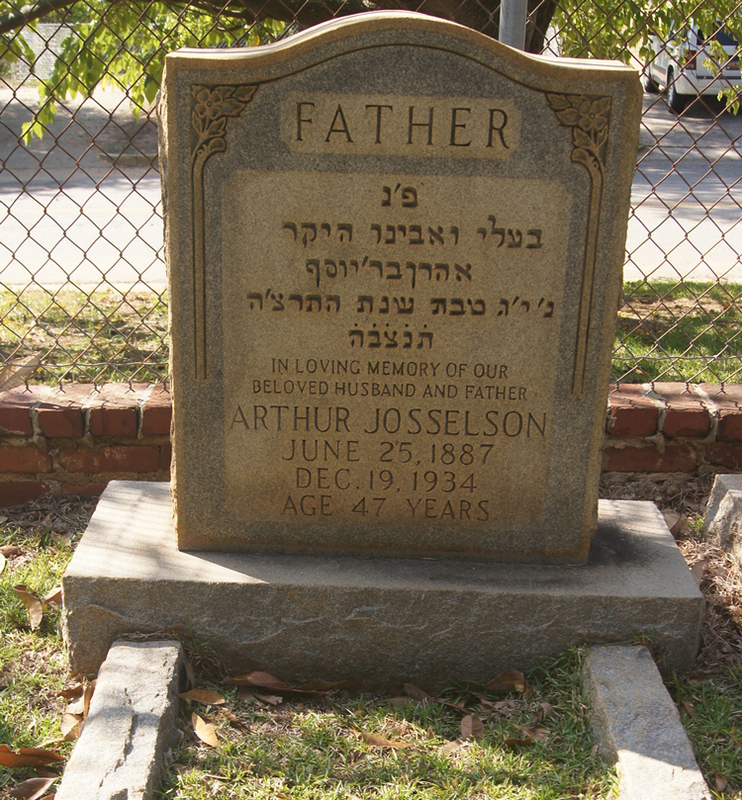 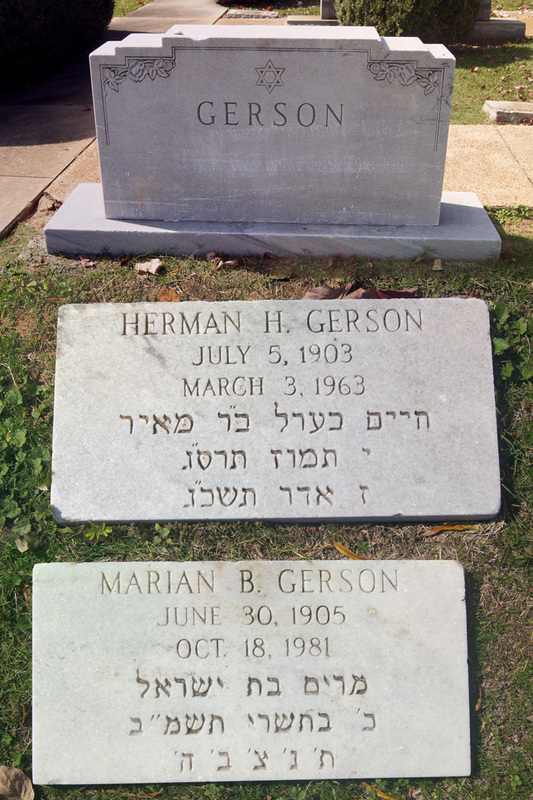 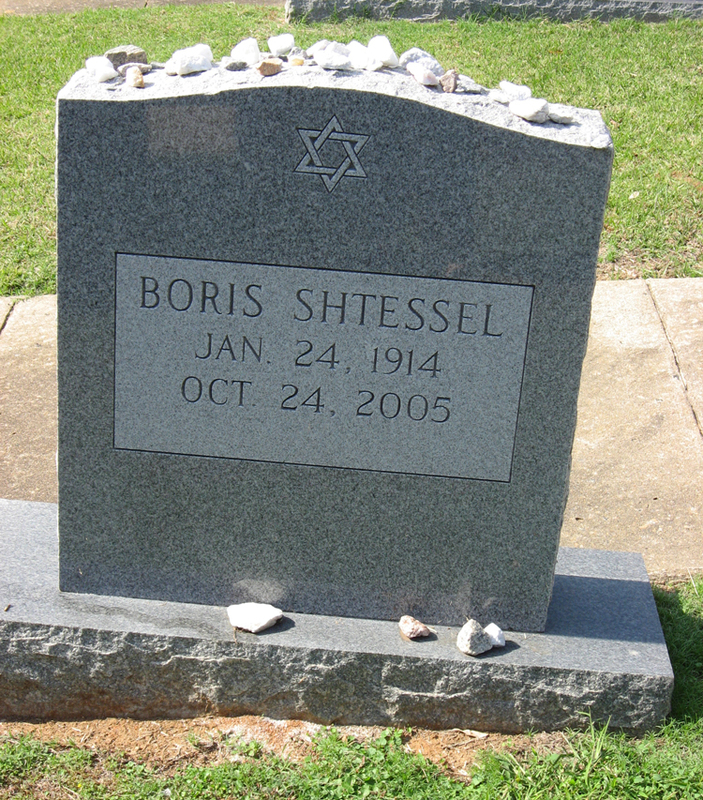 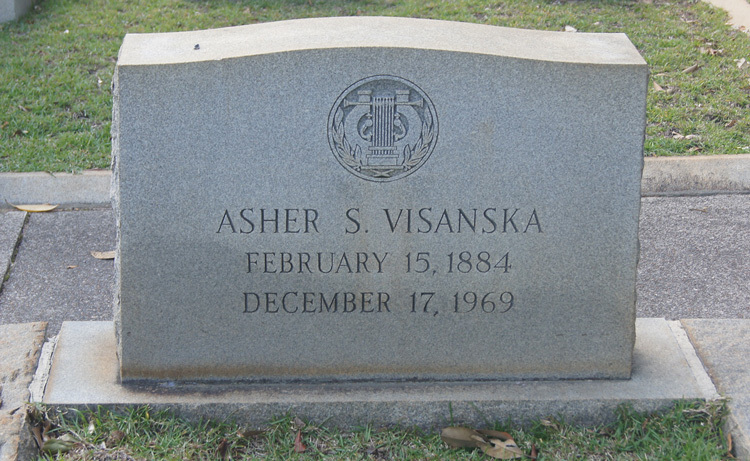 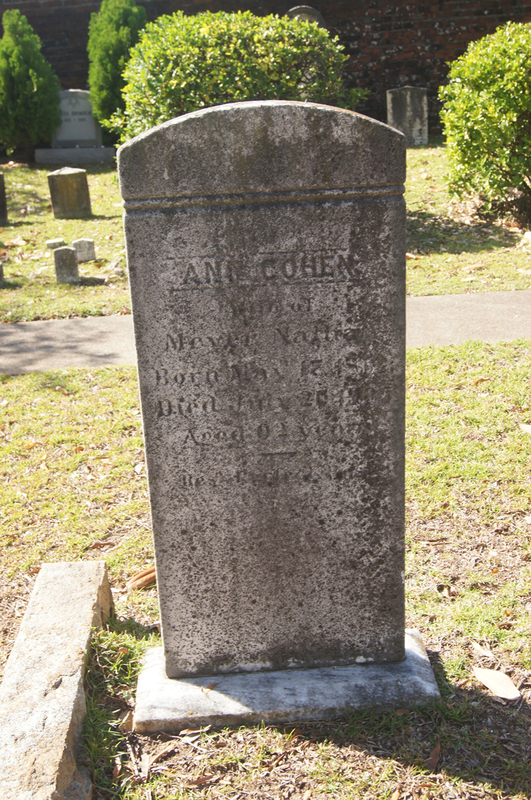 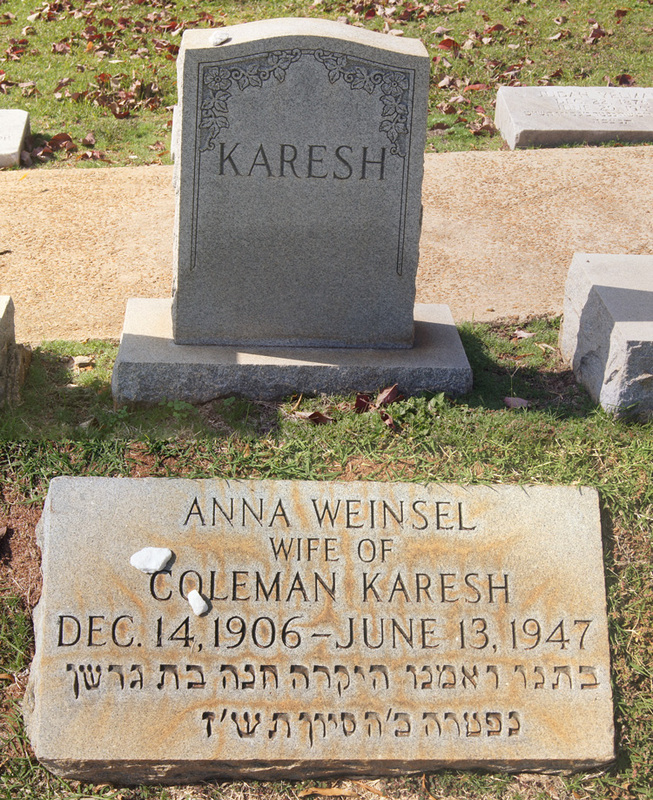 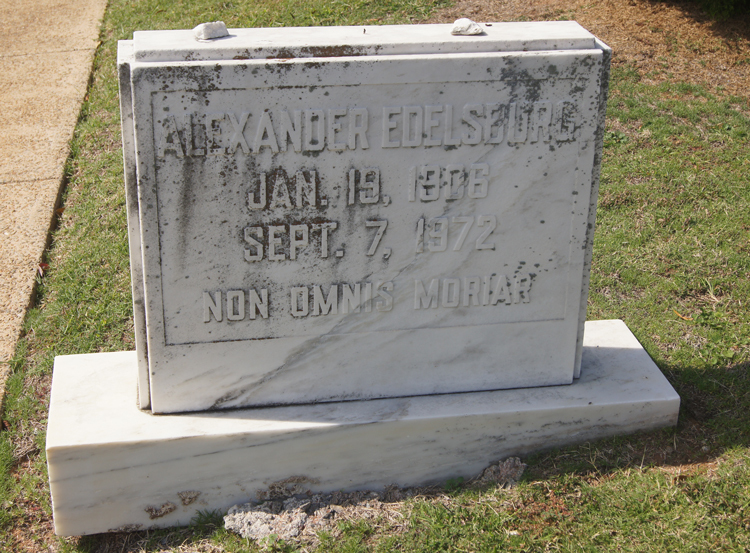 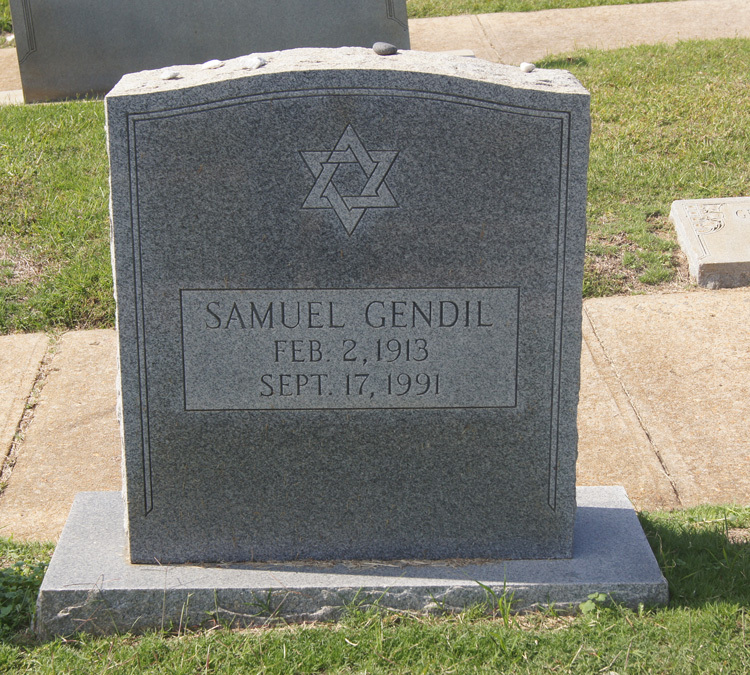 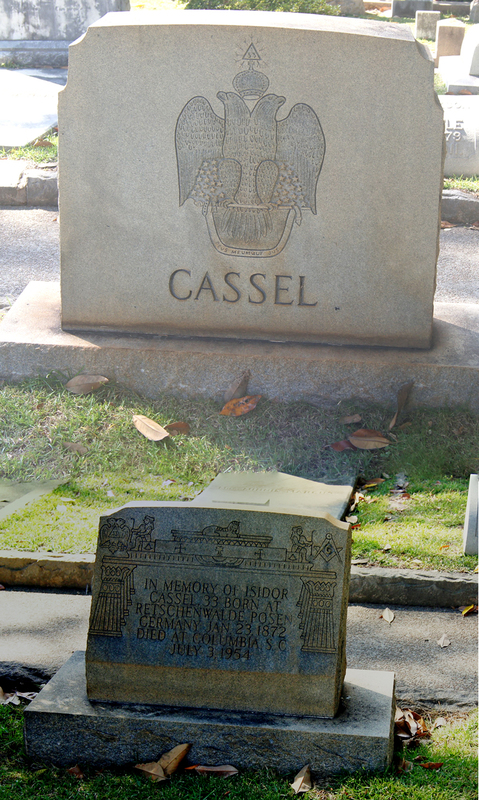 'Gershon Aaron' VISANSKA Annie R.
19A-13 VISANSKA F. Belle Abbeville, SC USA 08-Aug-1879 24-Feb-1960 George A. 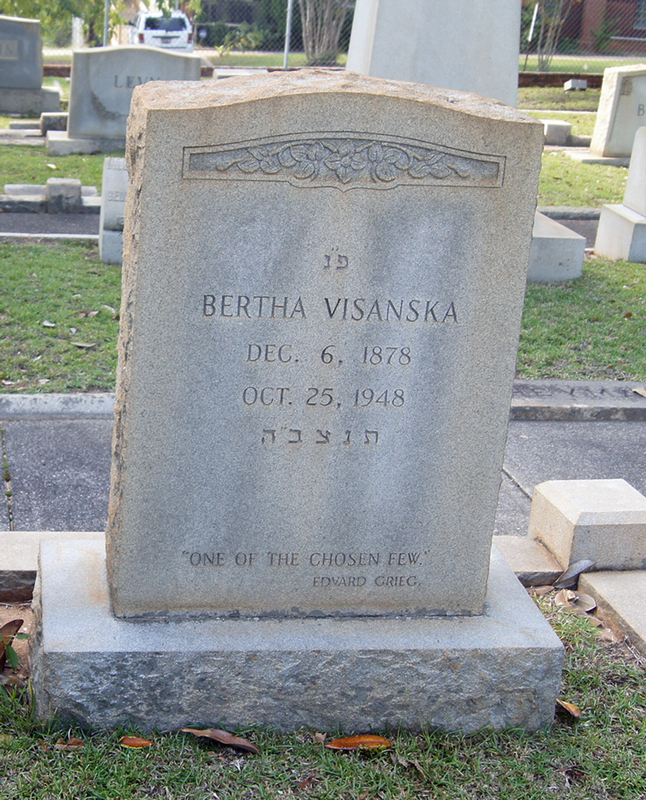 'Gershon Aaron' VISANSKA Annie R.
20A-24 VISANSKA Sarah Irene 1883 George A. 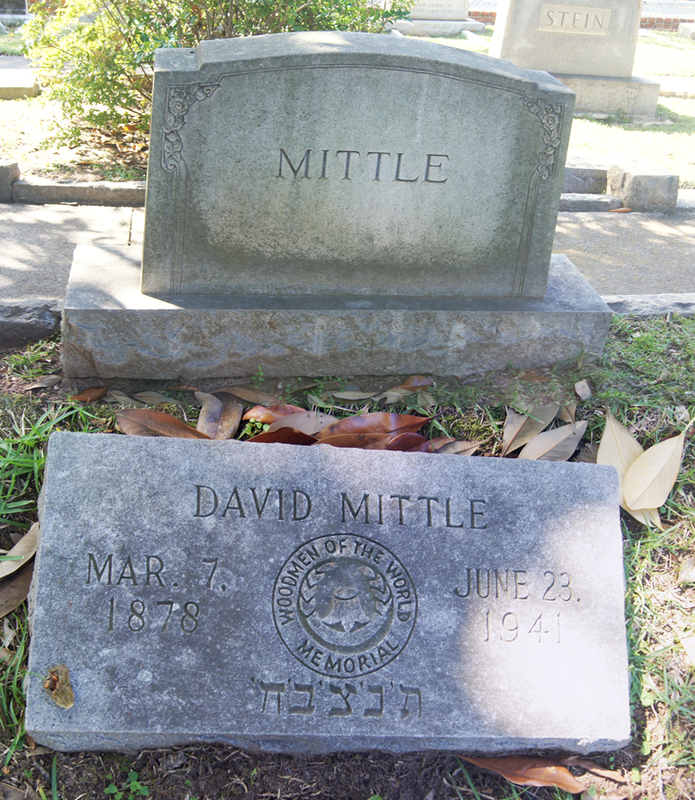 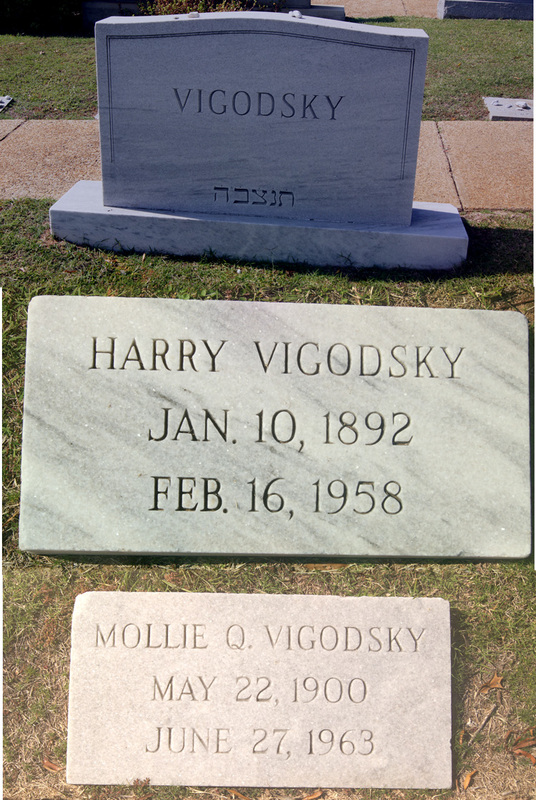 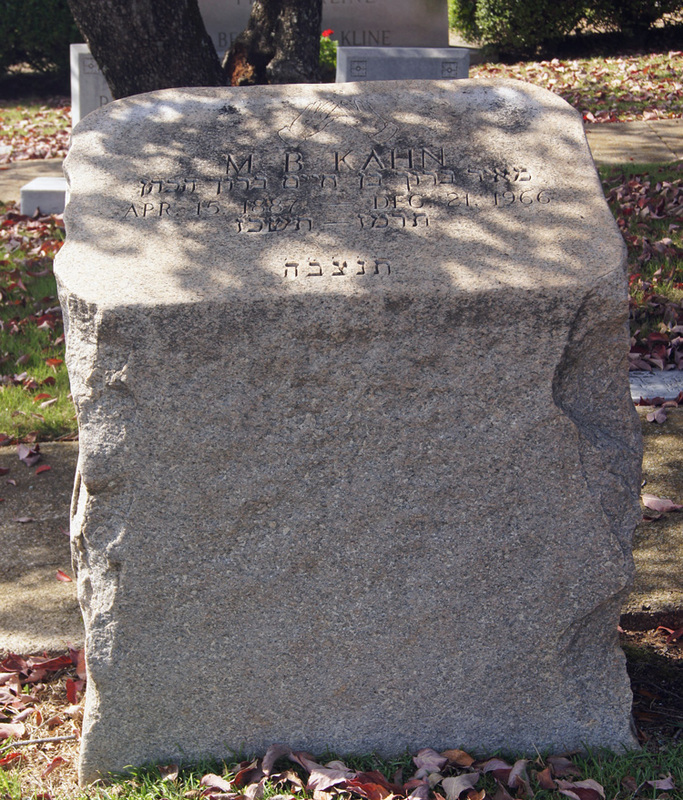 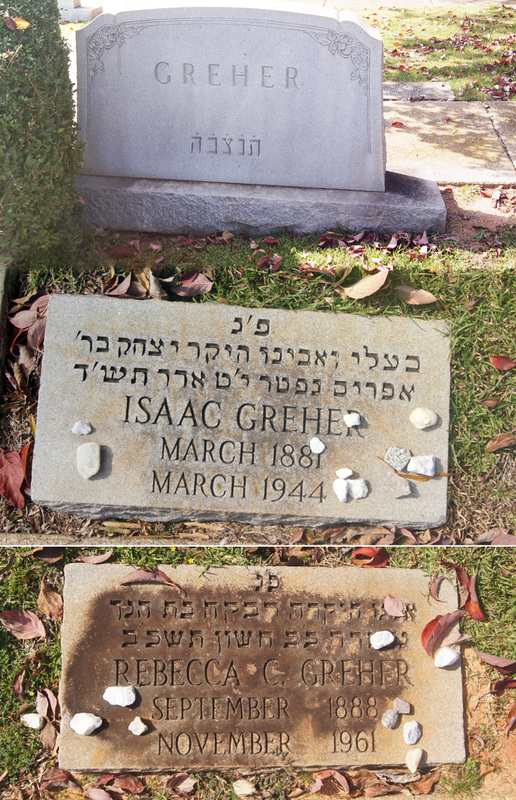 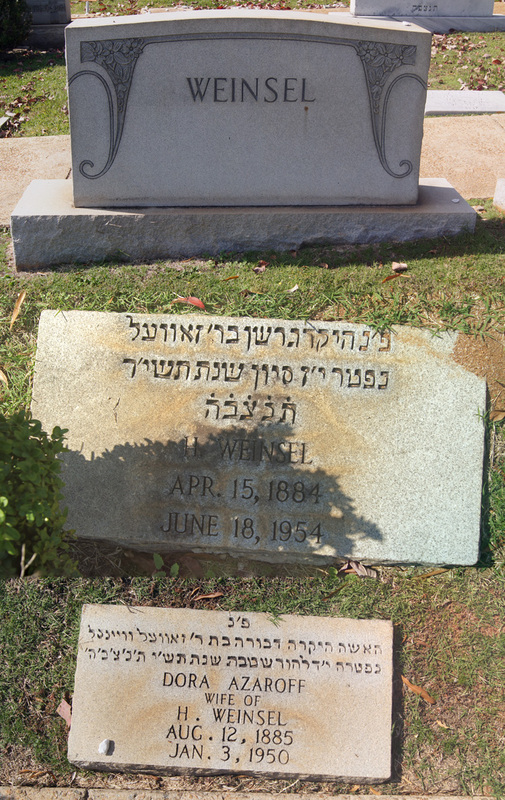 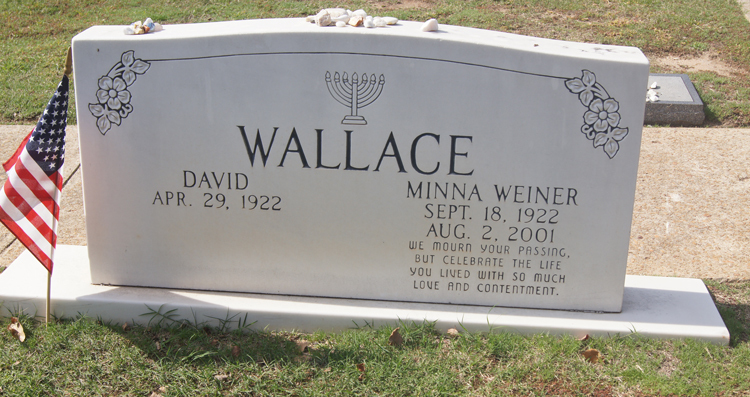 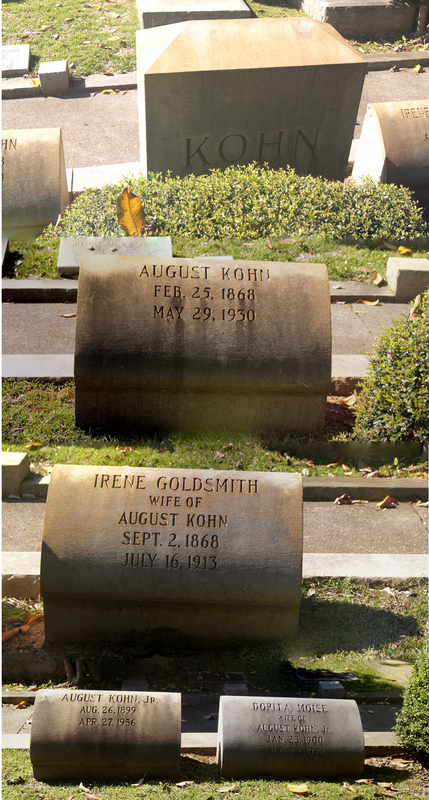 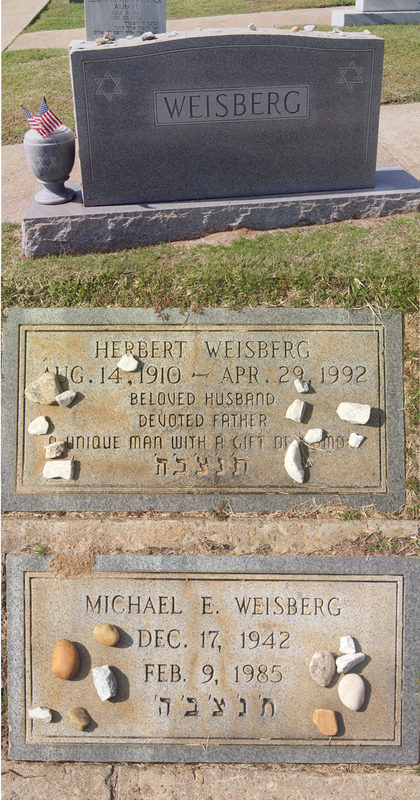 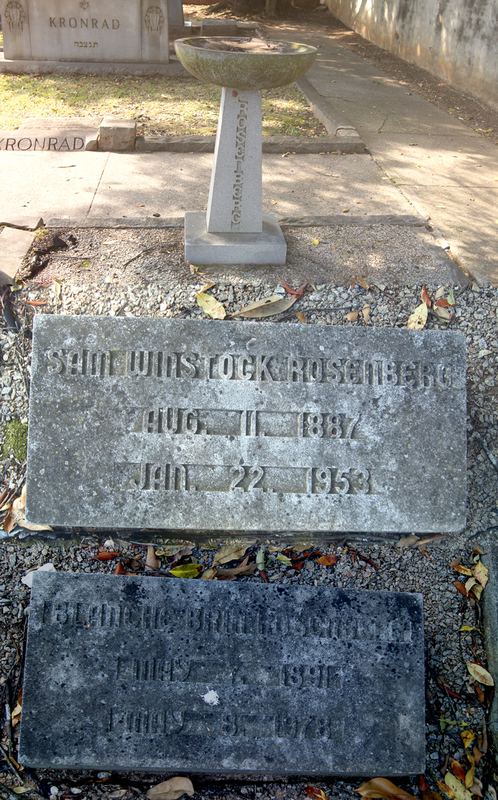 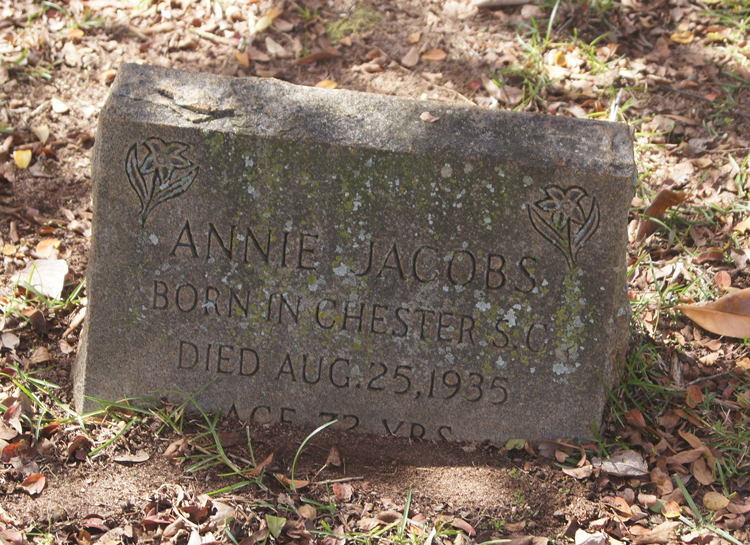 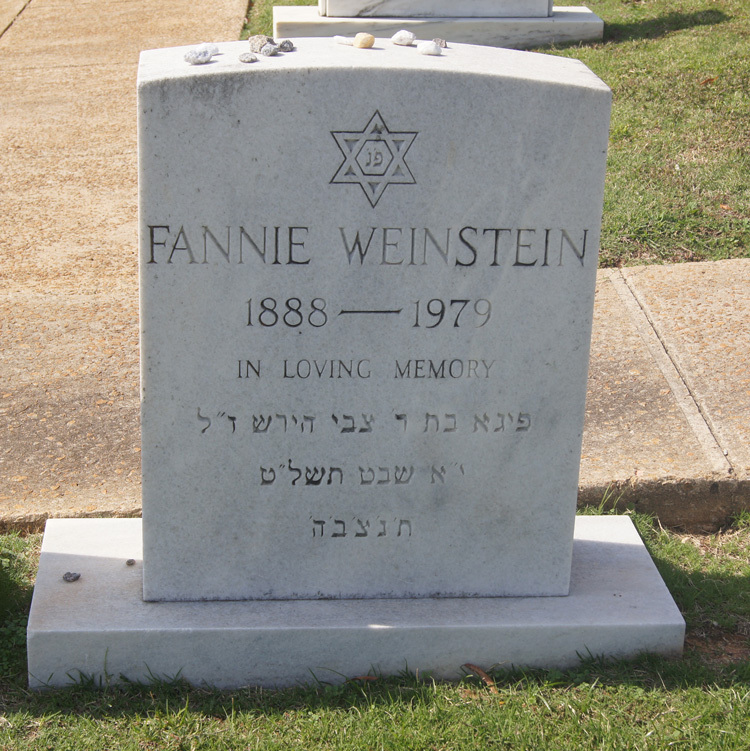 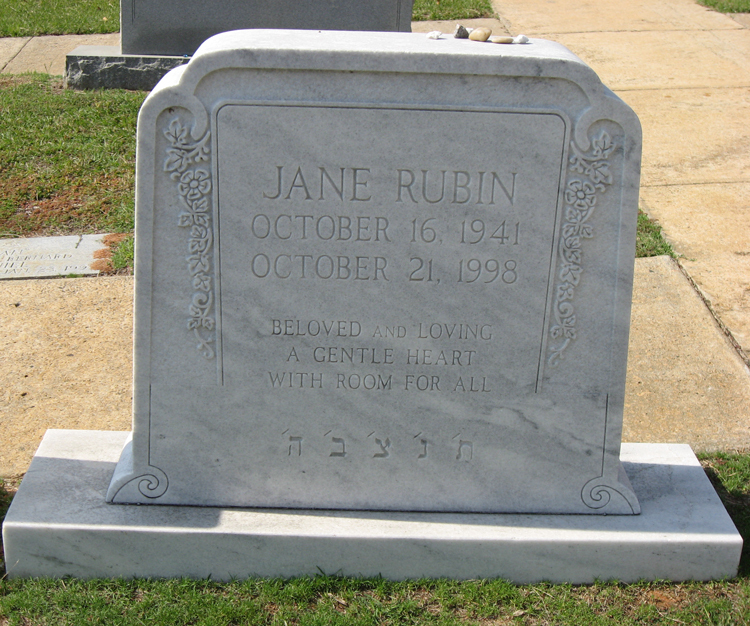 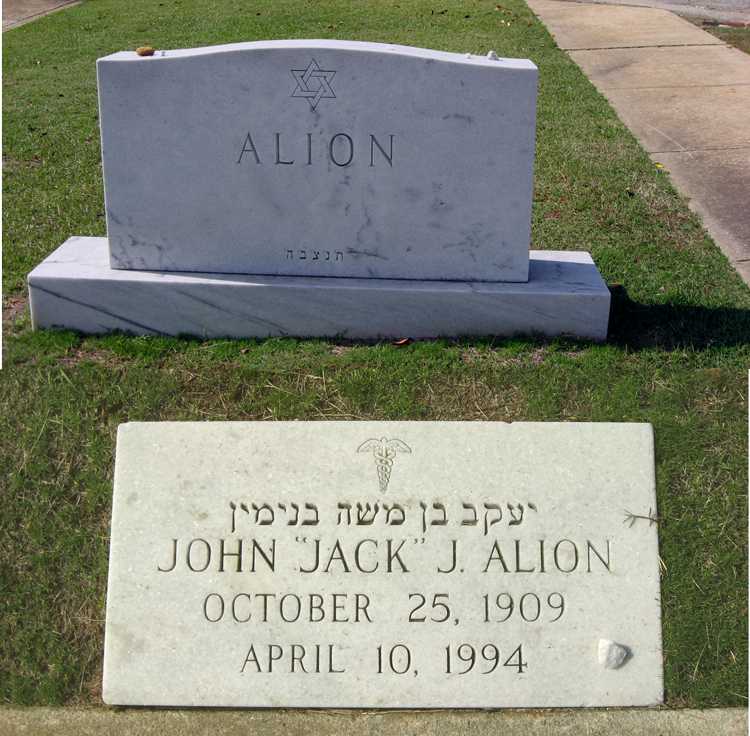 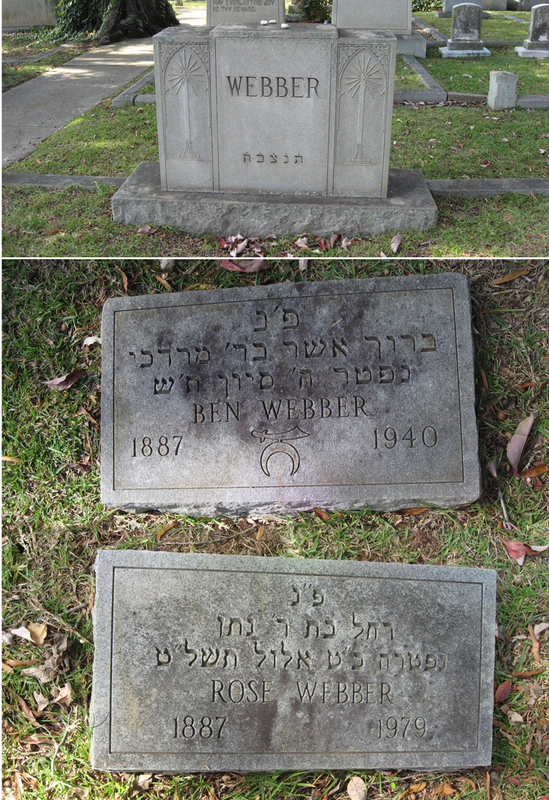 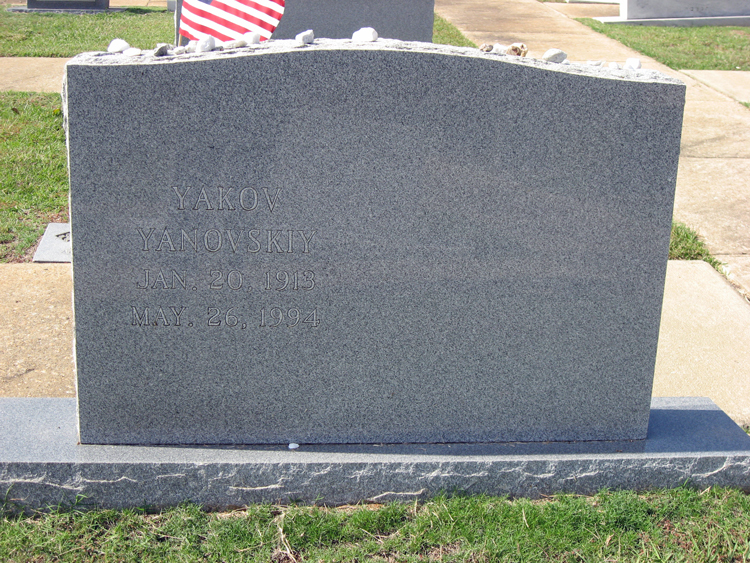 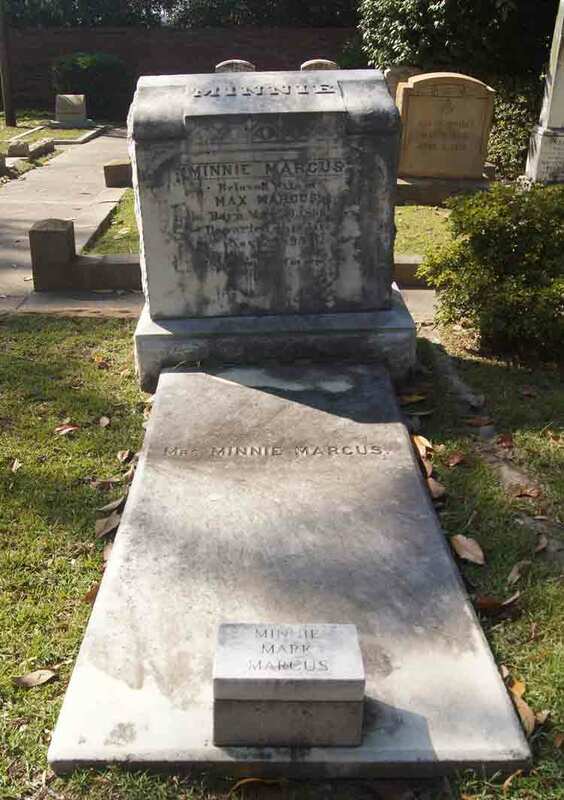 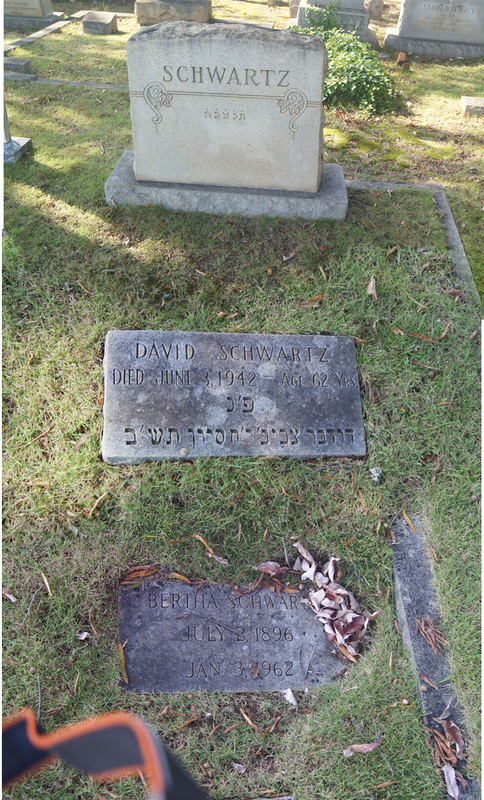 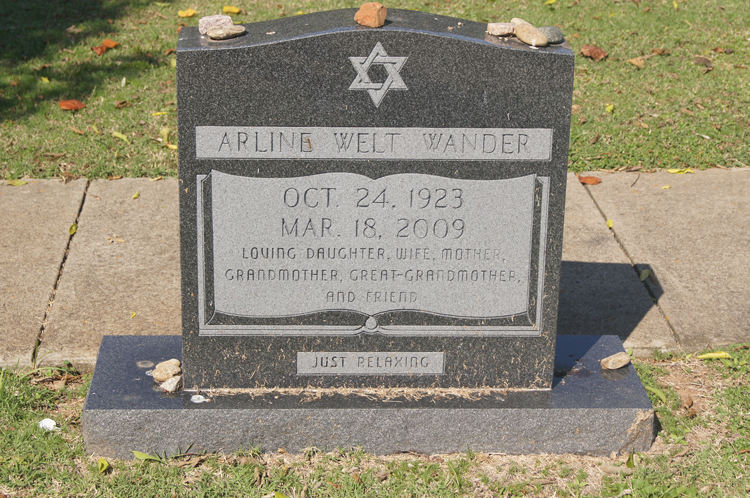 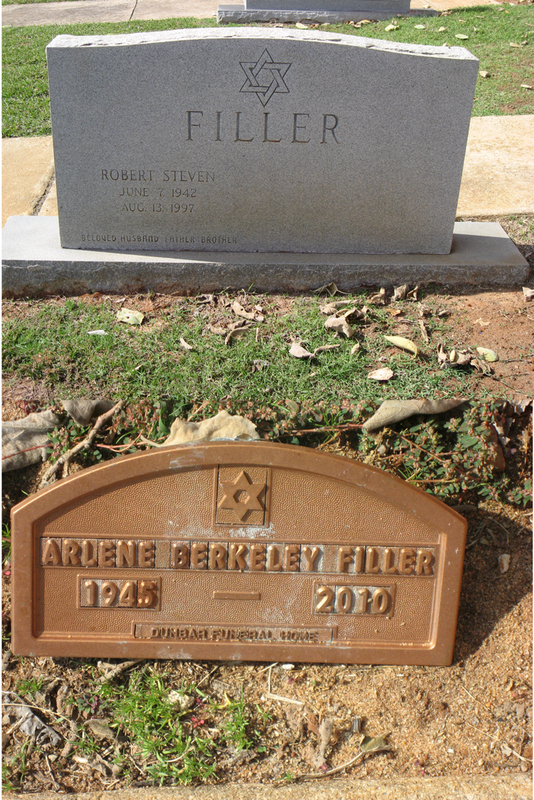 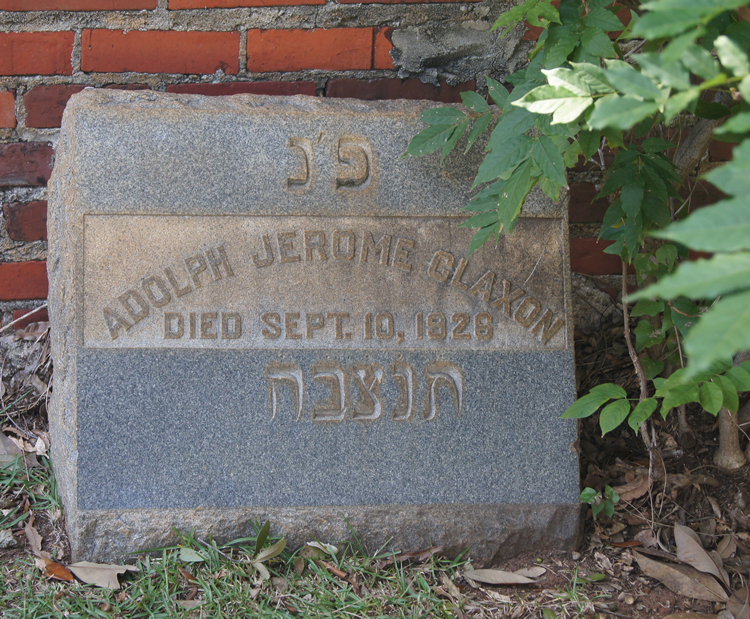 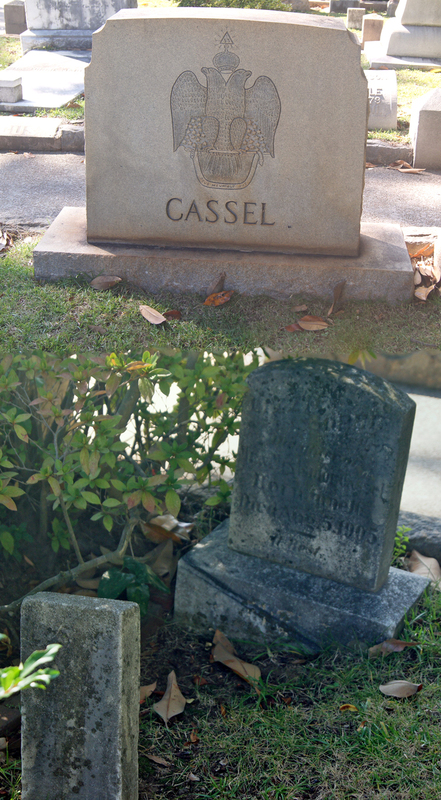 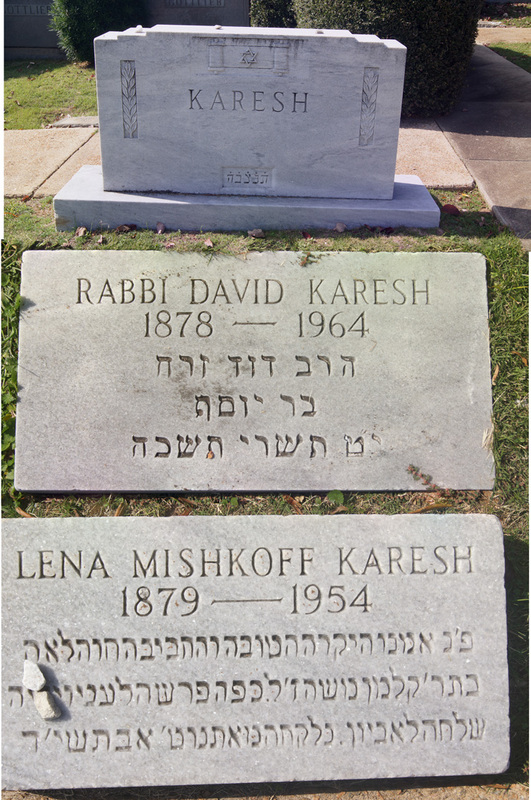 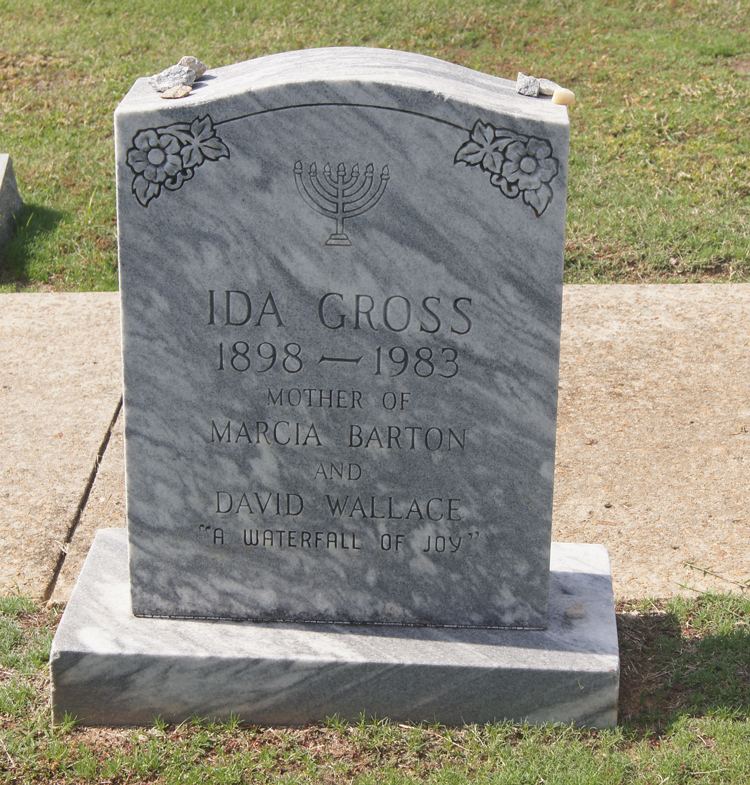 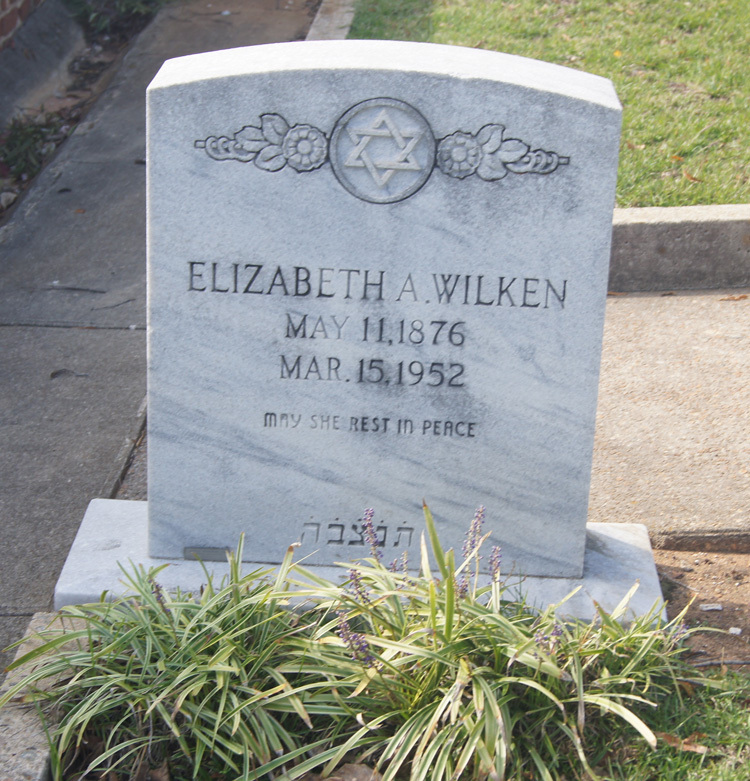 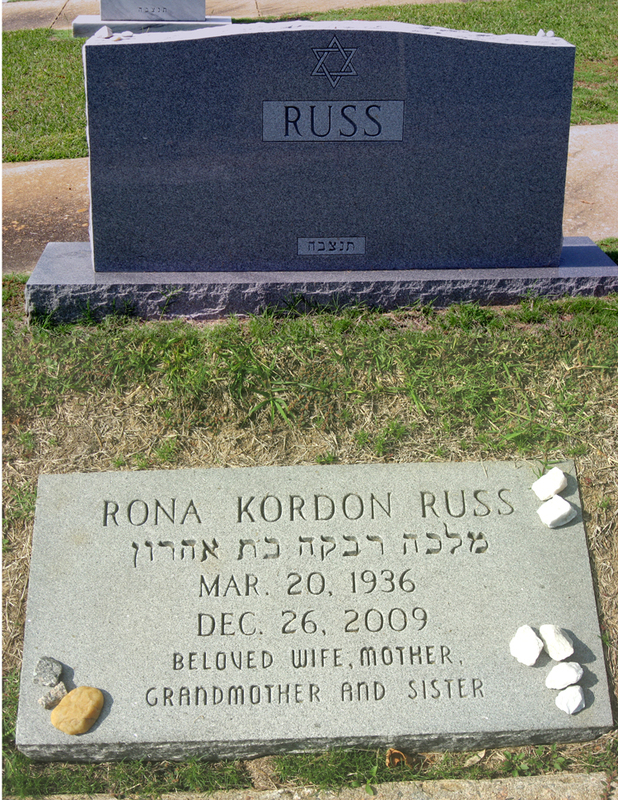 'Gershon Aaron' VISANSKA Annie R.
WALLACE David 29-Apr-1922 Living Minna W.
Grave stone pictures taken by Max B. Hellman. 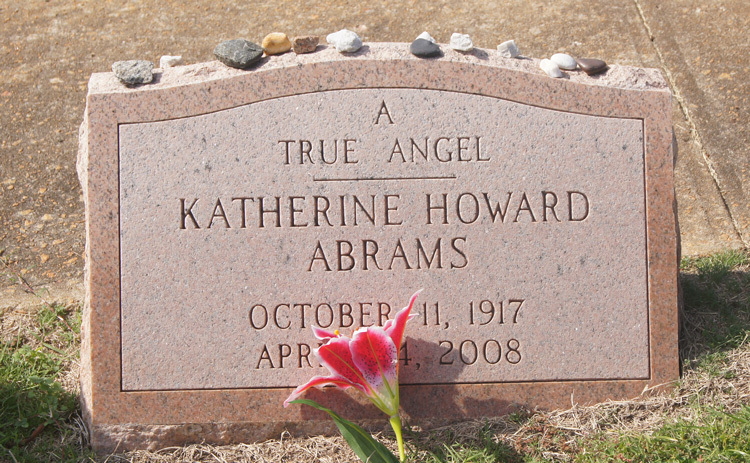 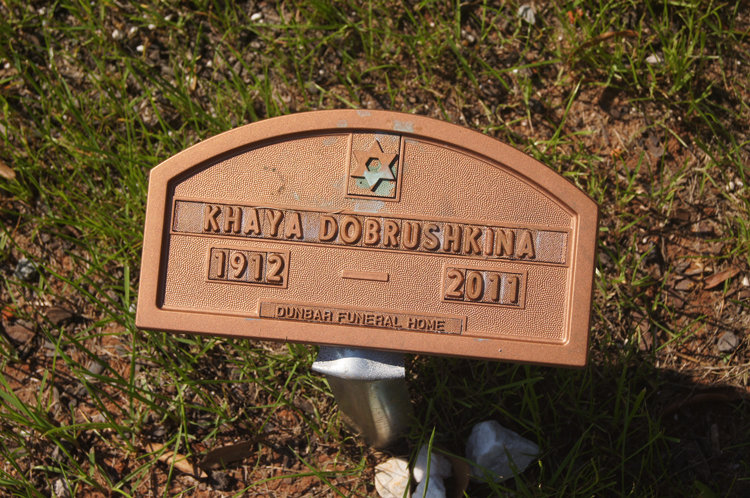 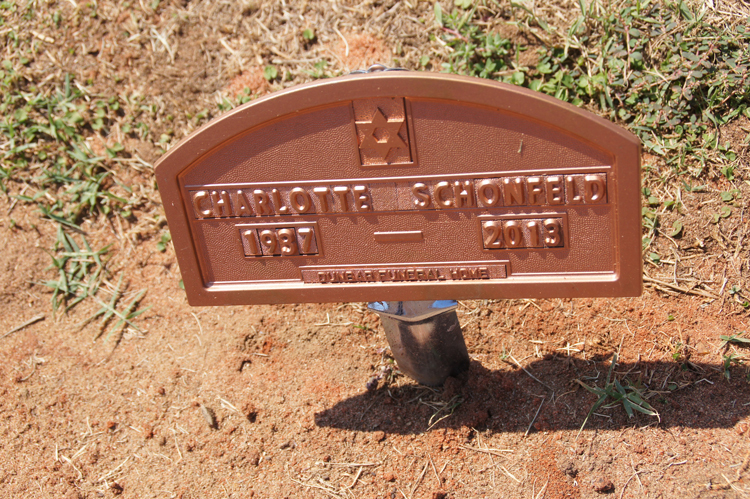 Additional information from SC Death Certificates and Obituaries. 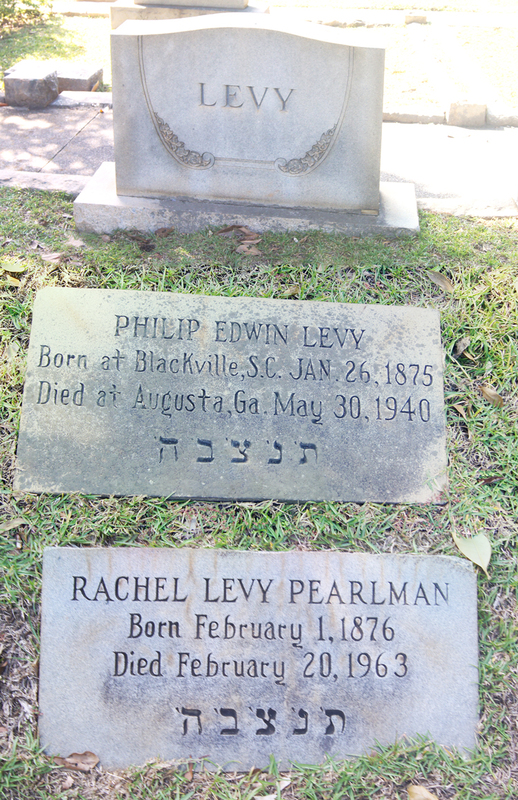 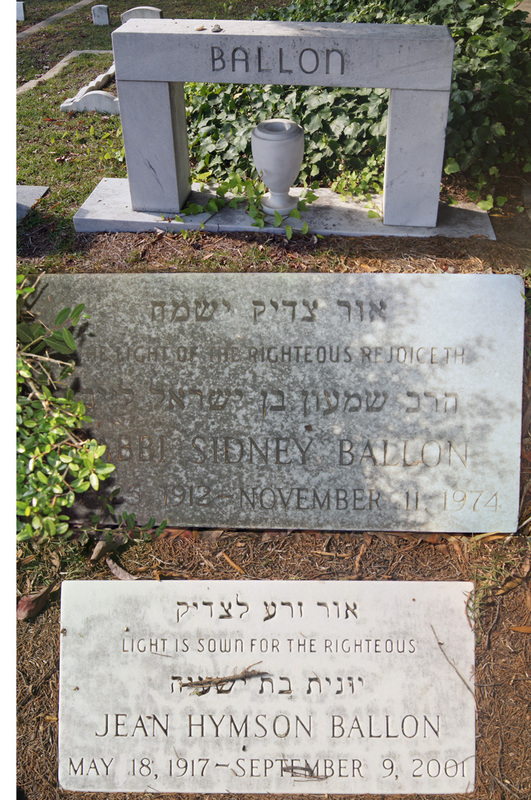 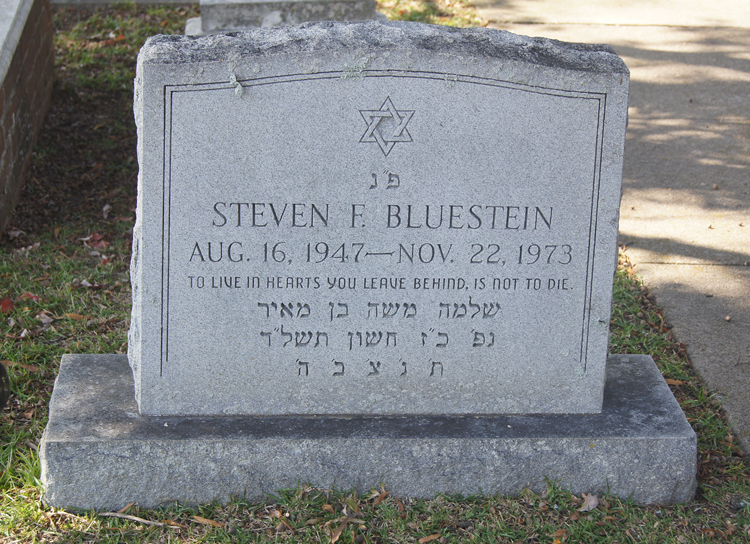 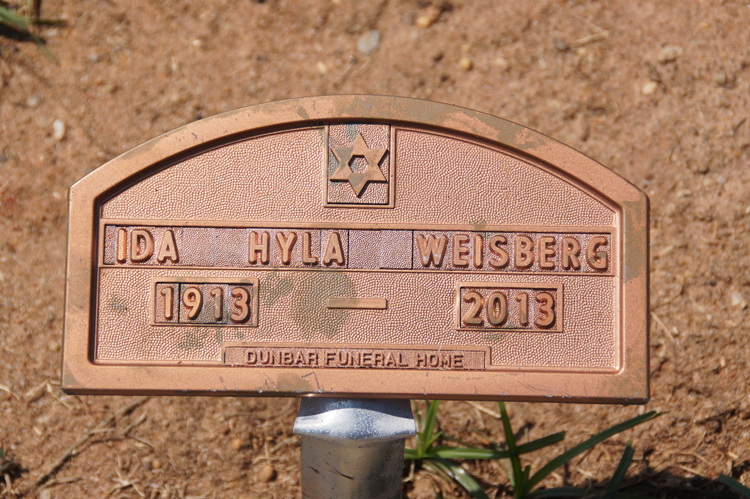 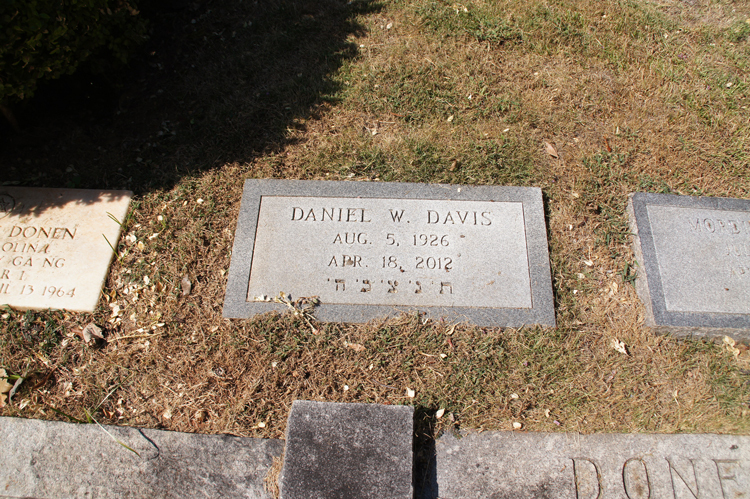 Additional information available at Columbia Hebrew Benevolent Society.